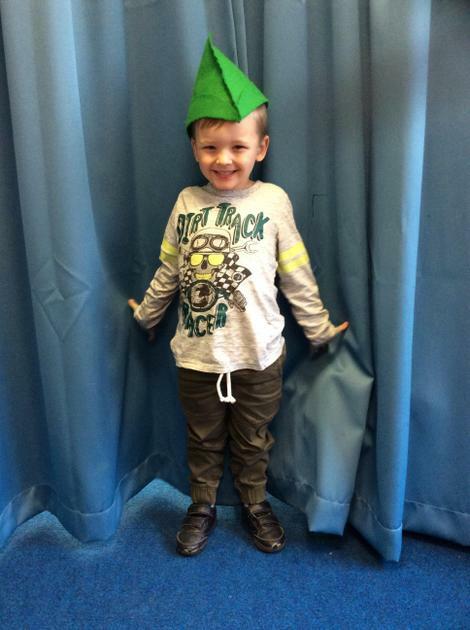 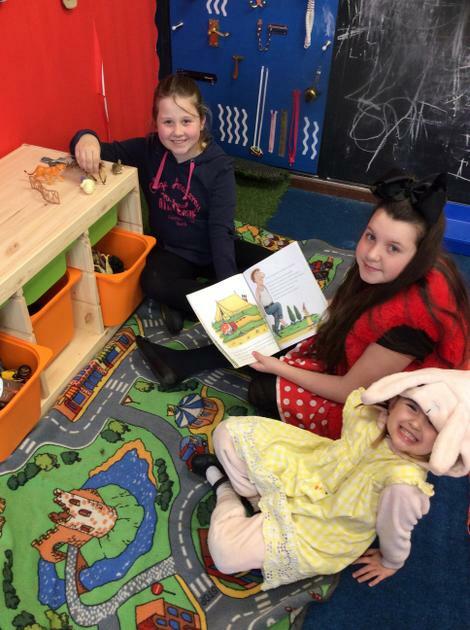 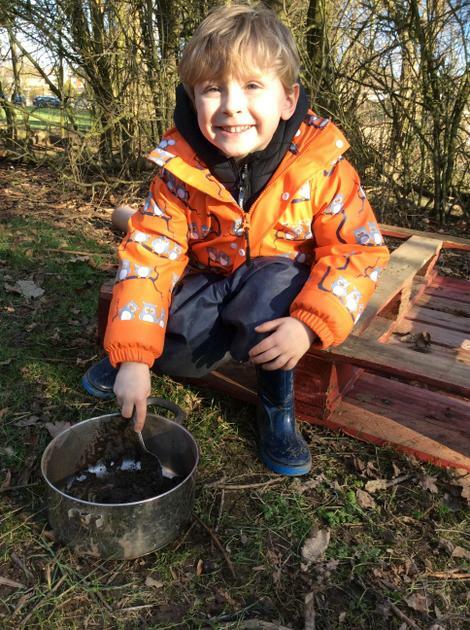 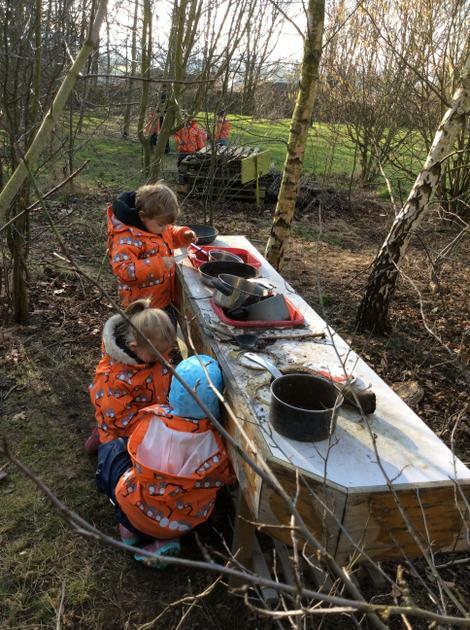 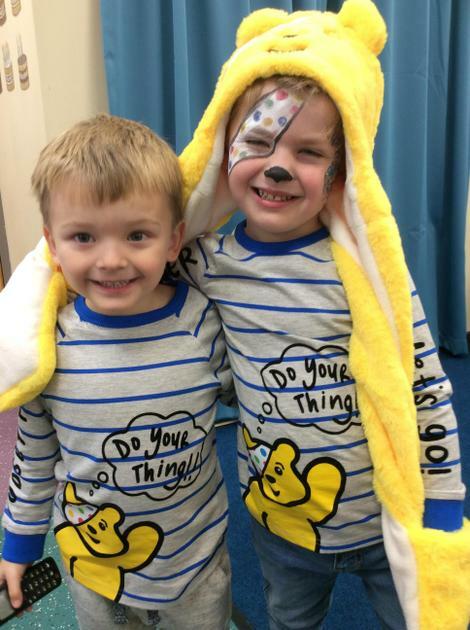 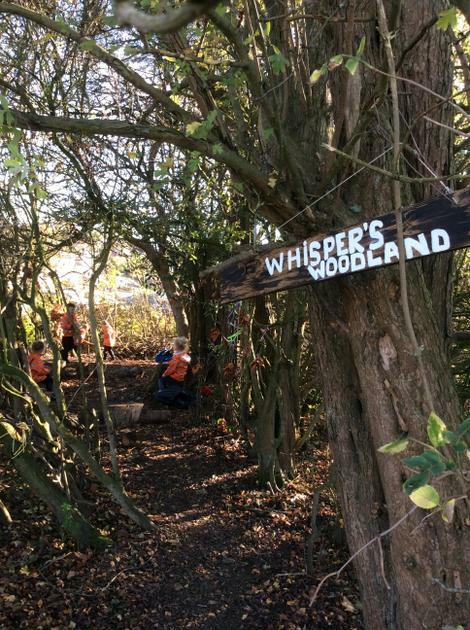 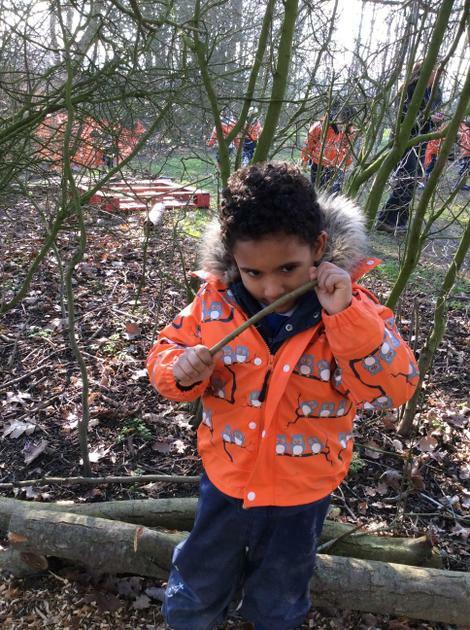 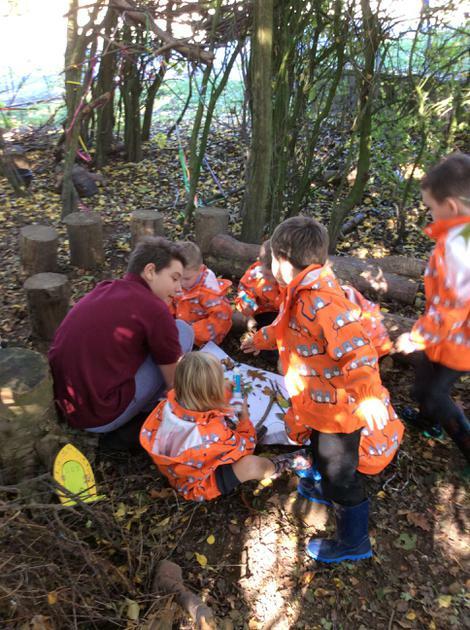 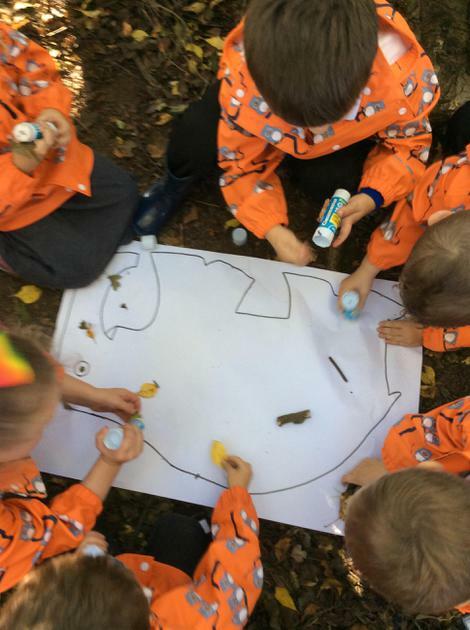 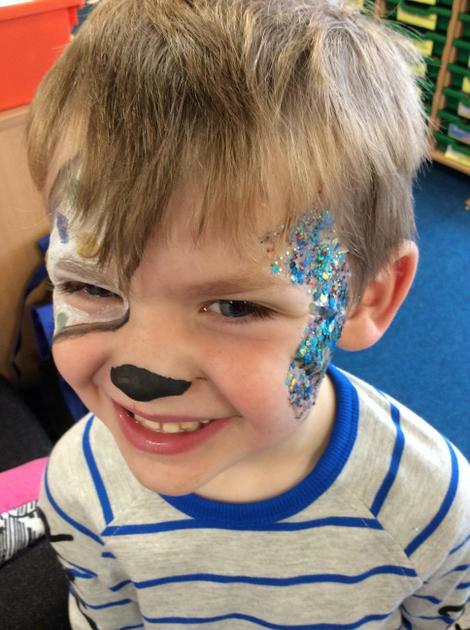 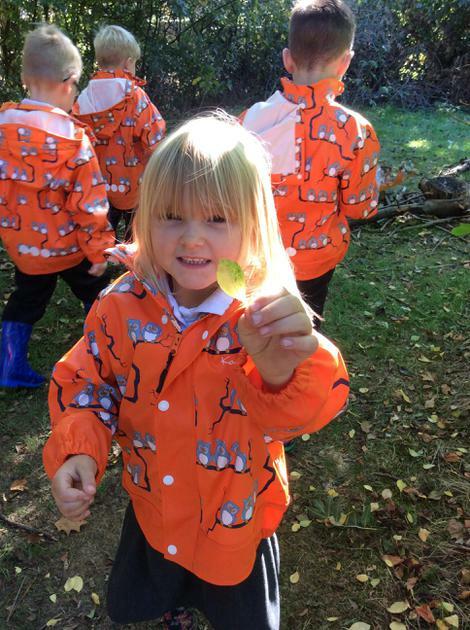 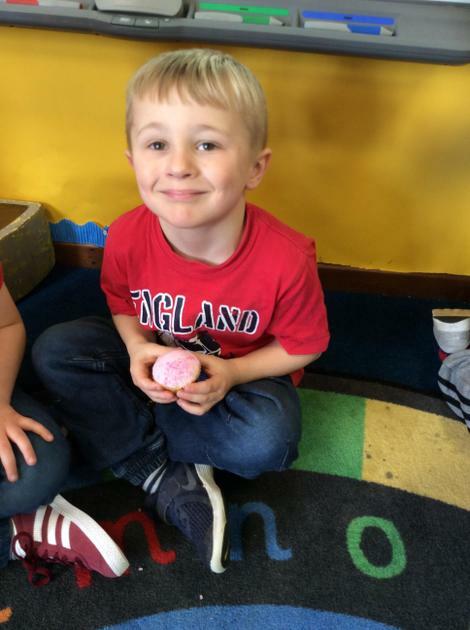 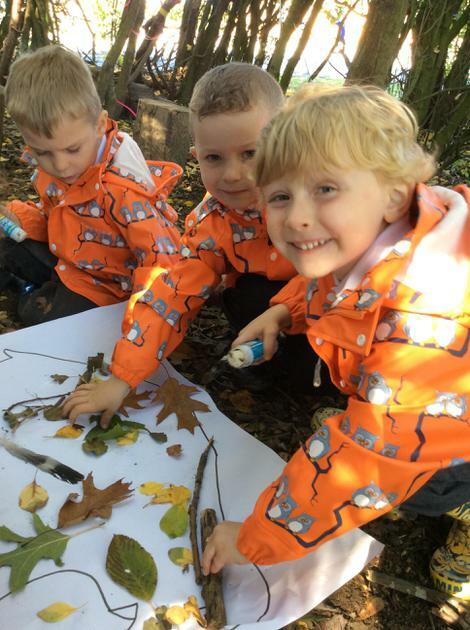 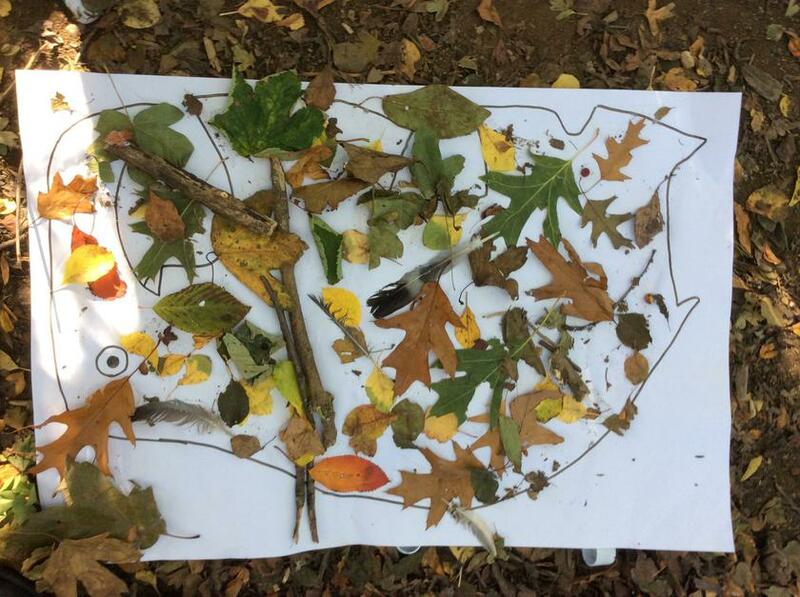 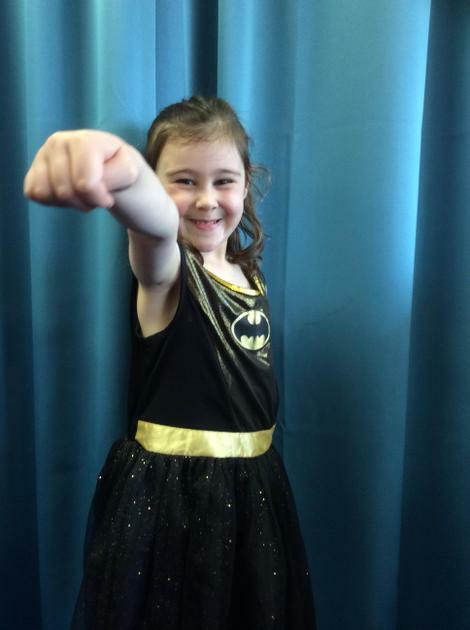 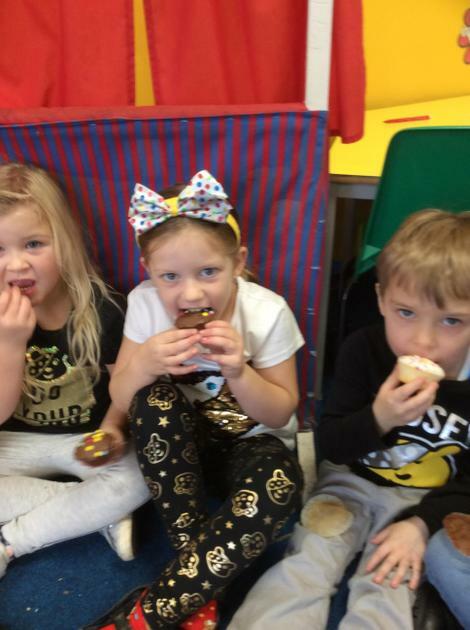 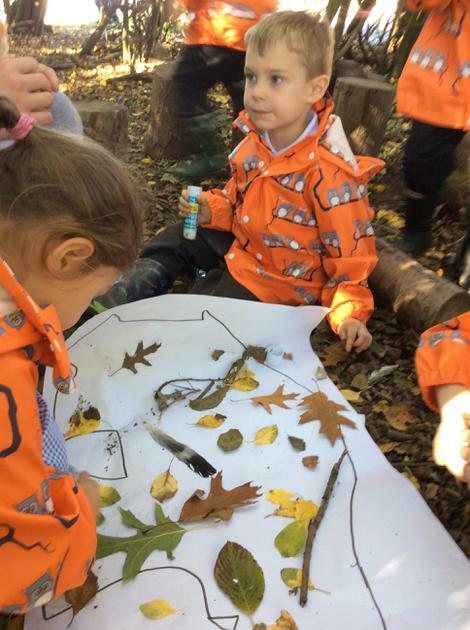 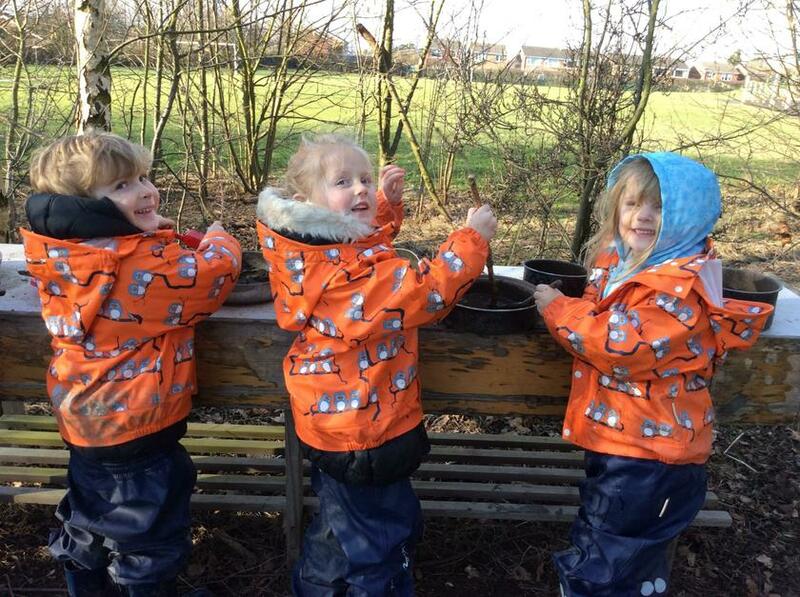 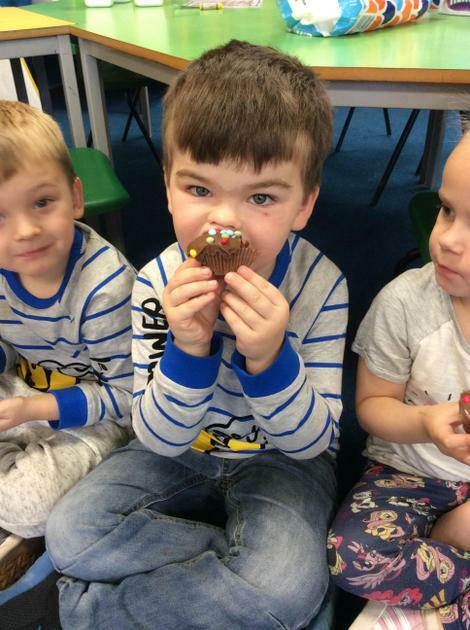 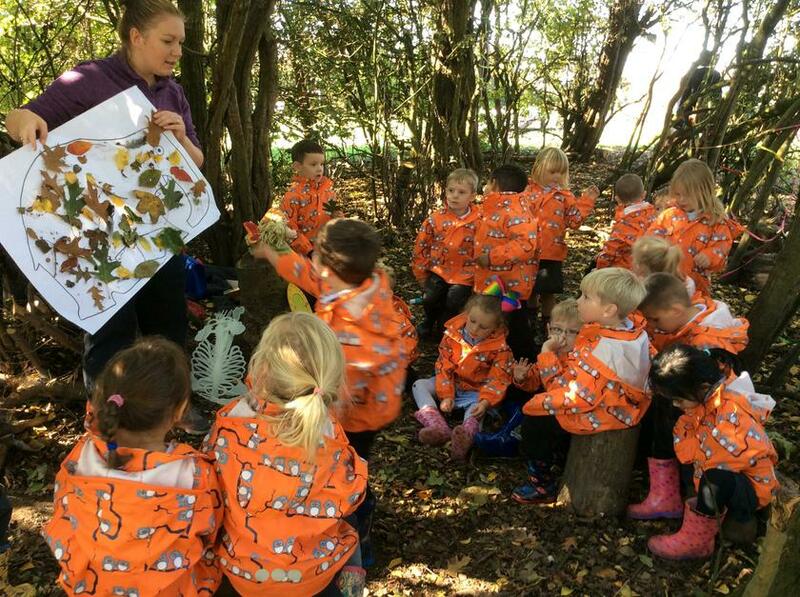 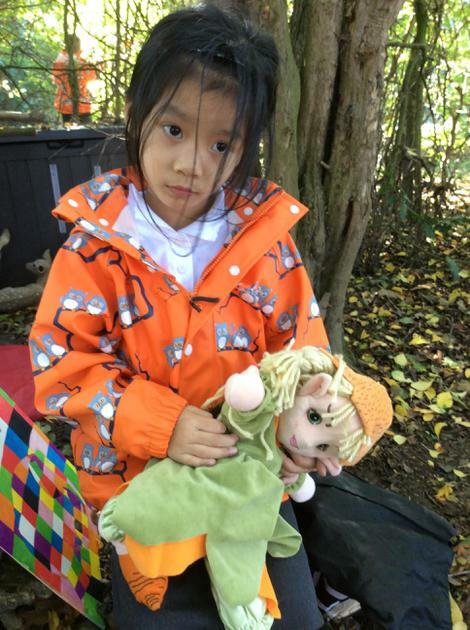 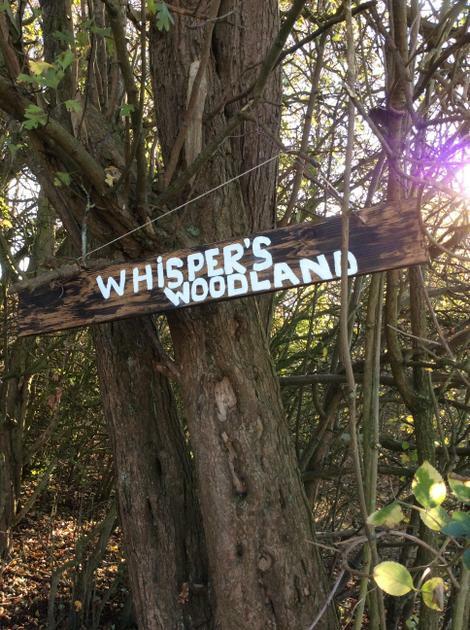 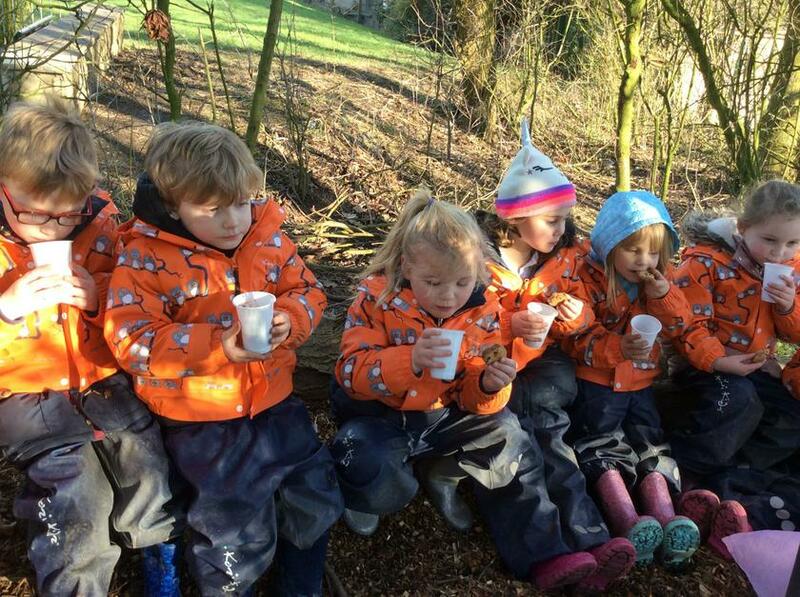 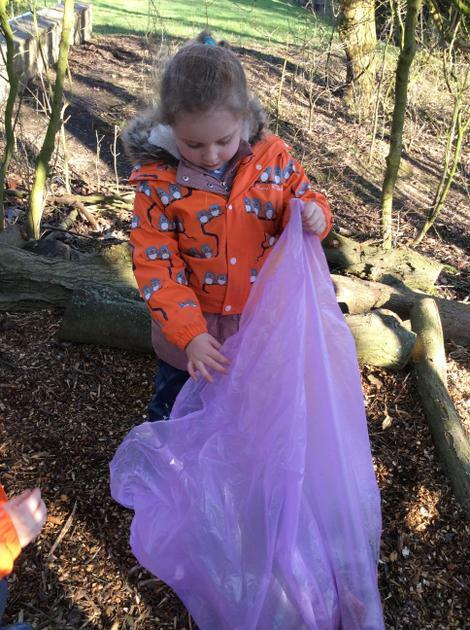 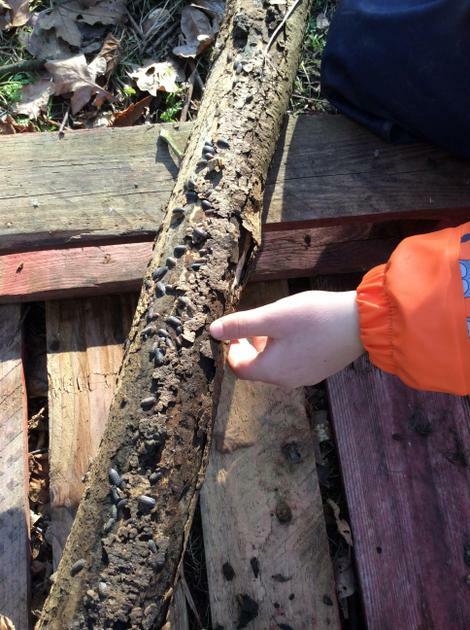 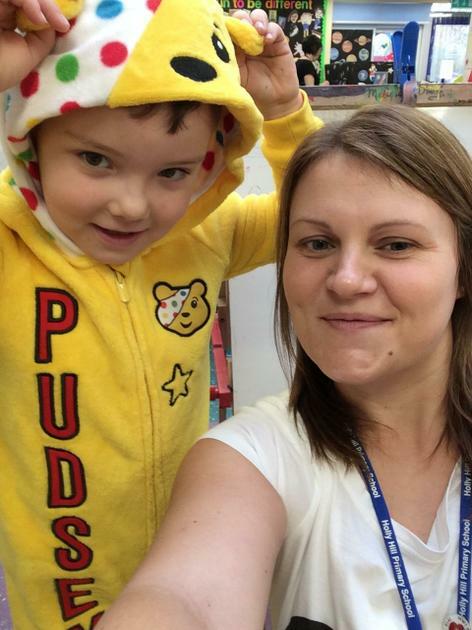 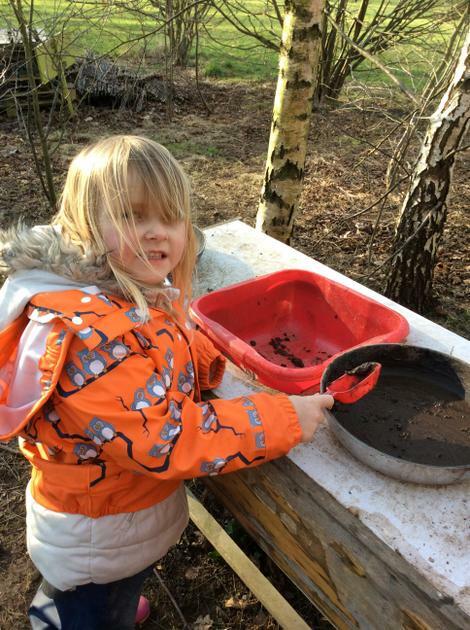 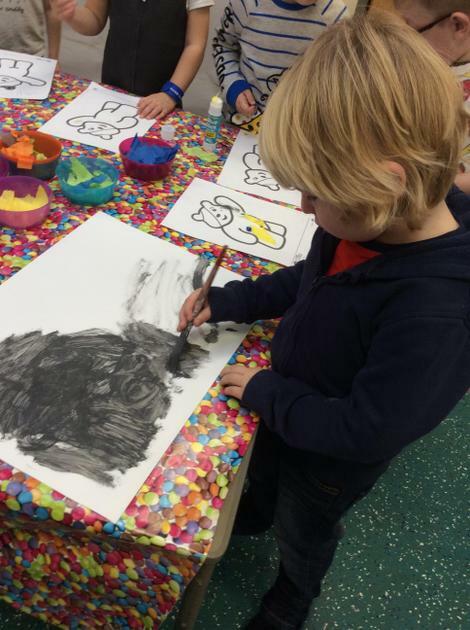 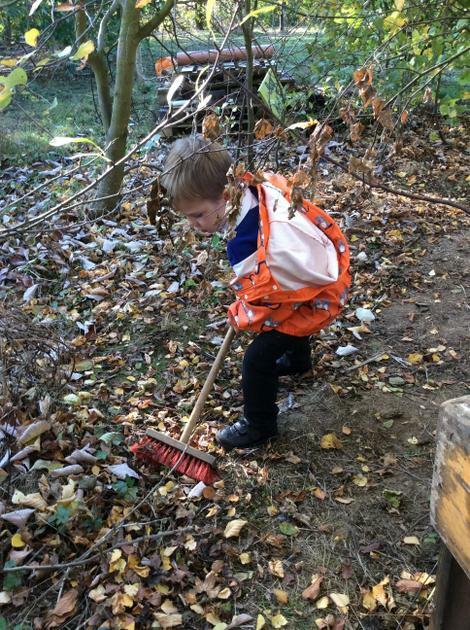 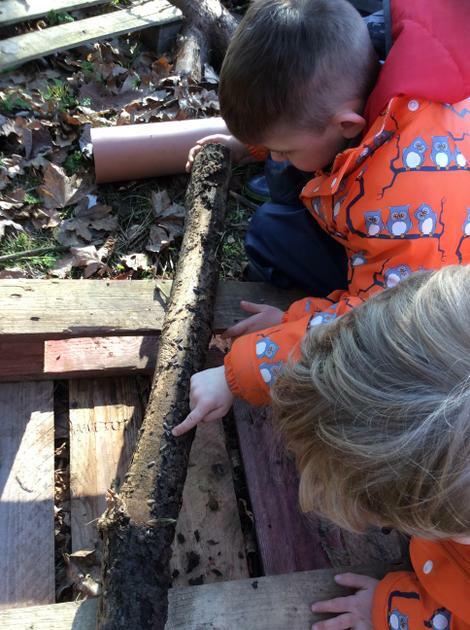 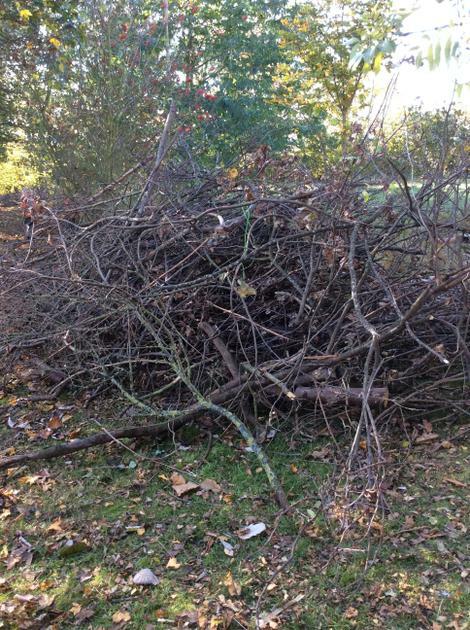 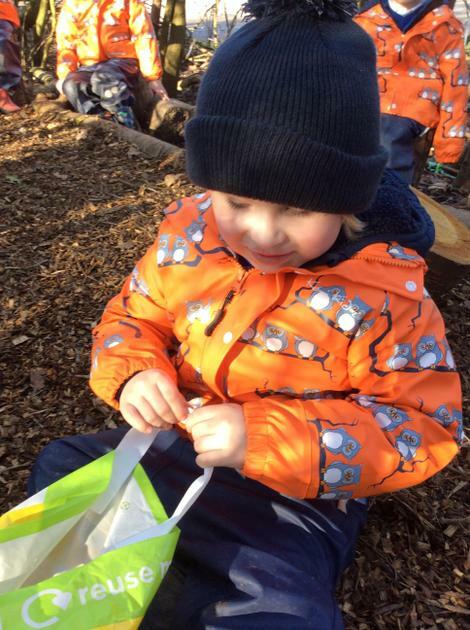 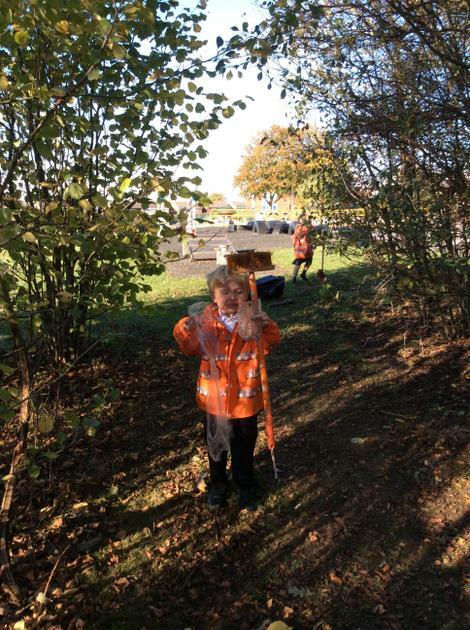 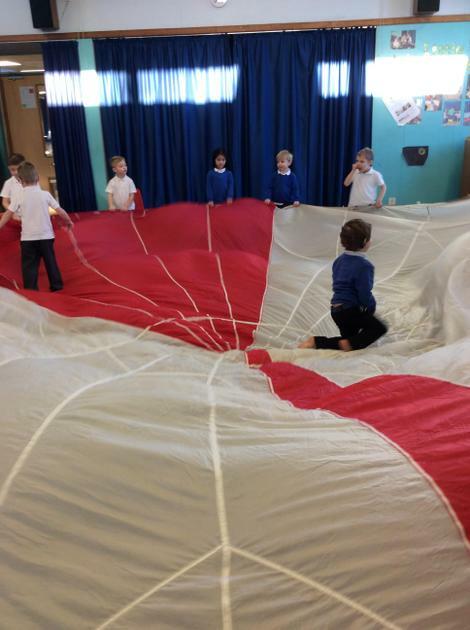 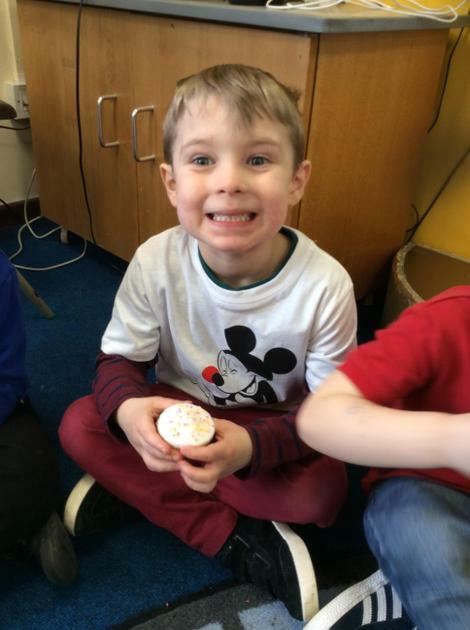 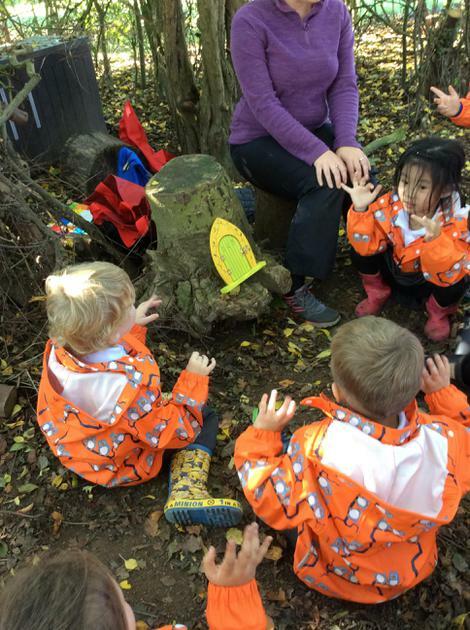 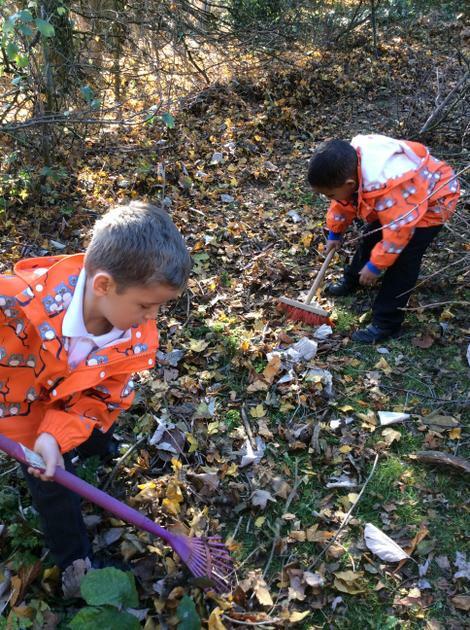 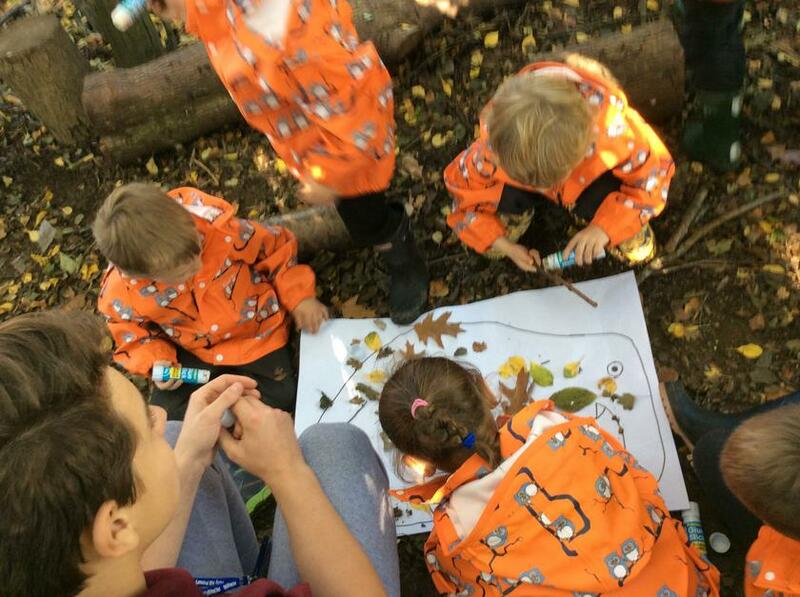 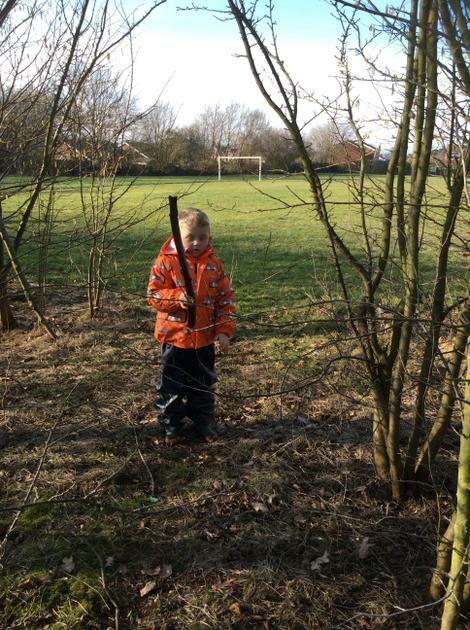 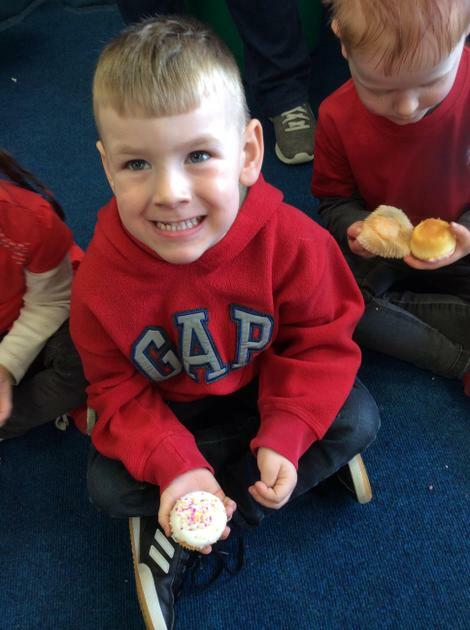 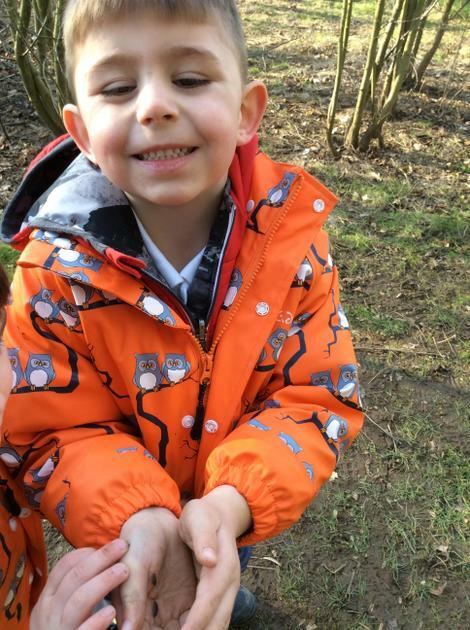 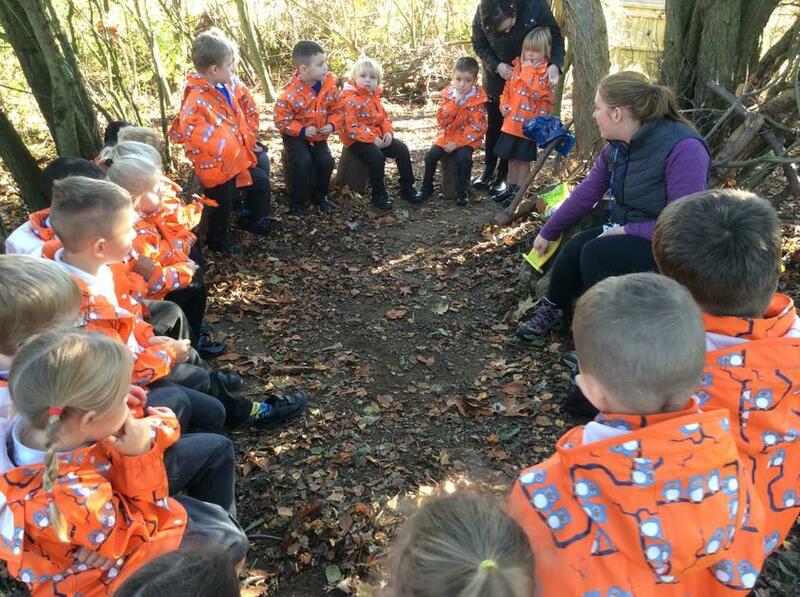 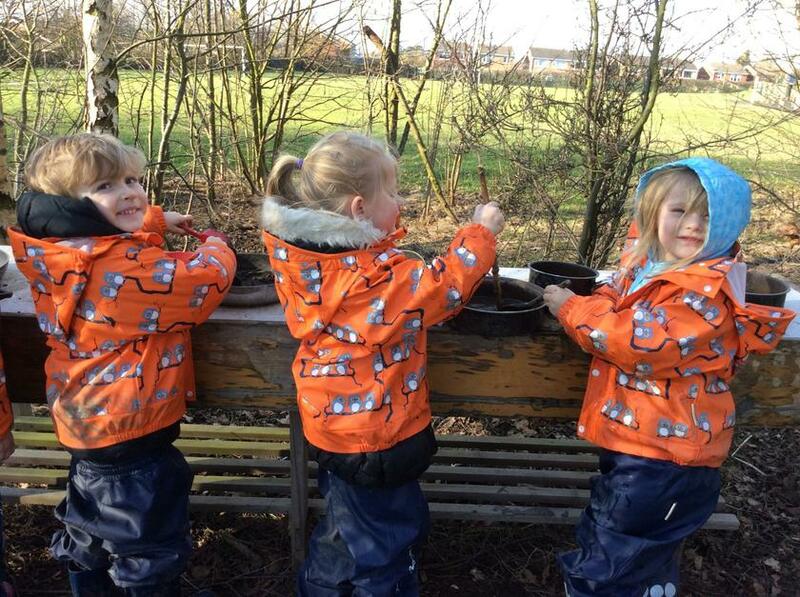 Welcome to the Robin and Goldfinch class web page! 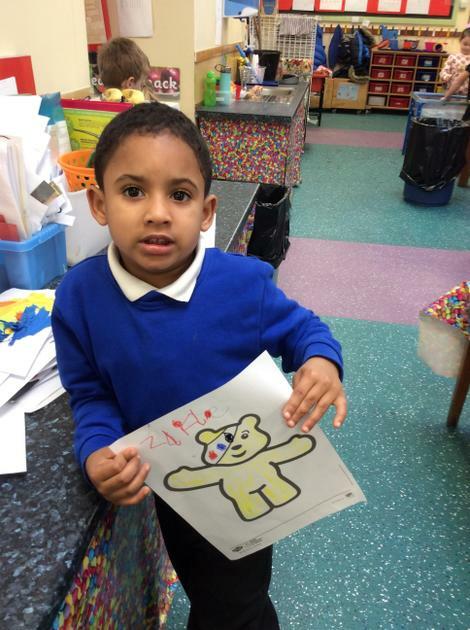 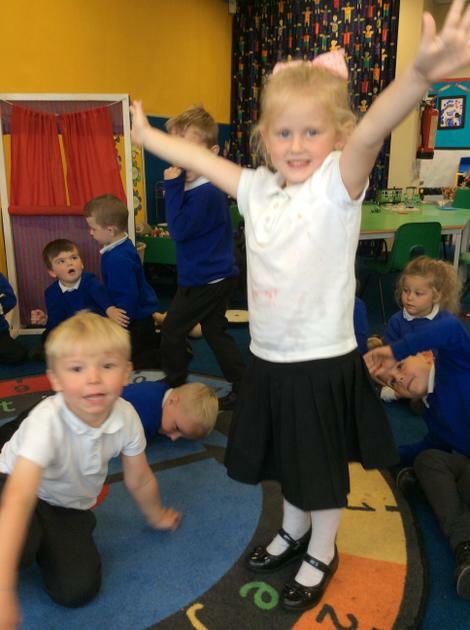 We are excited to show you all the wonderful things we will get up to throughout the year in F2! 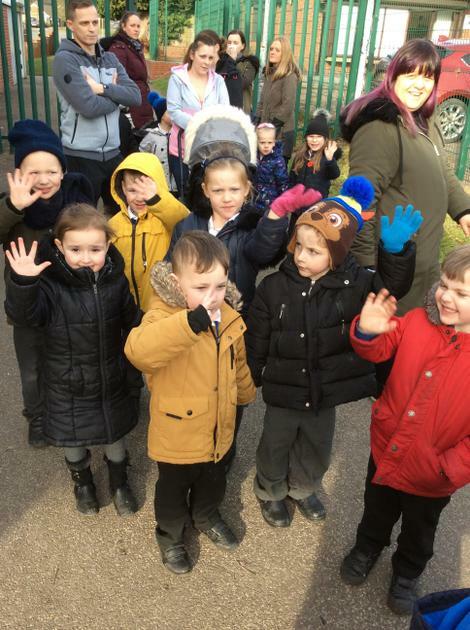 We are looking forward to a fab year! 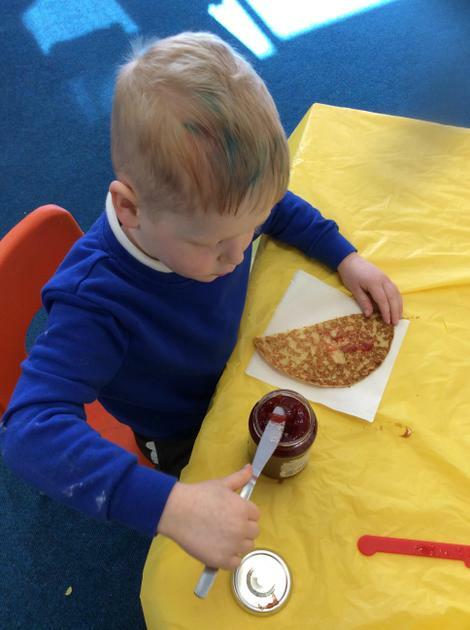 Look at our new indoor painting wall! 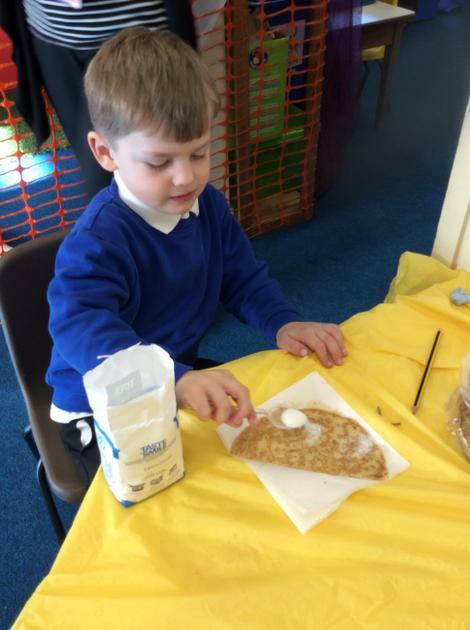 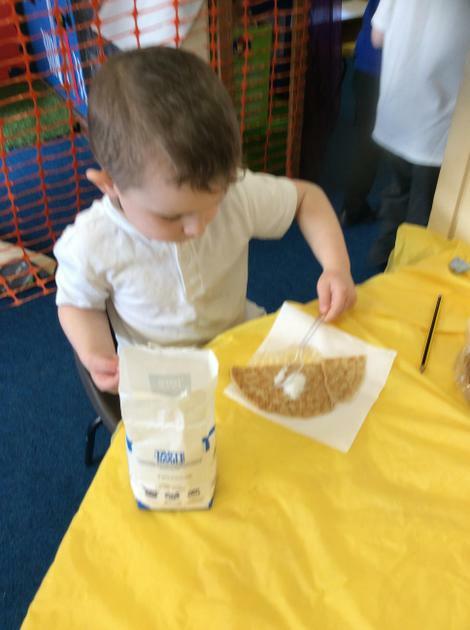 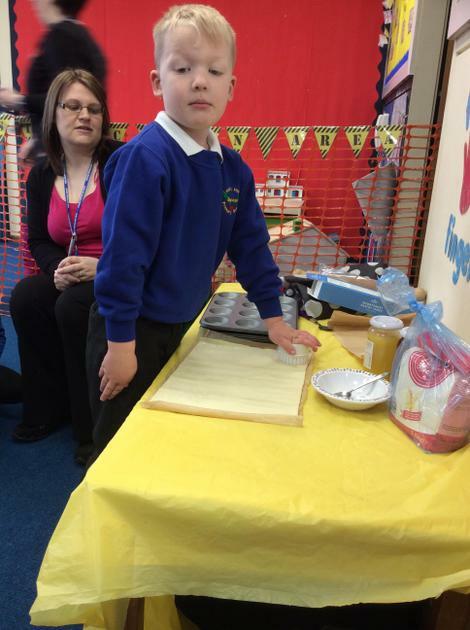 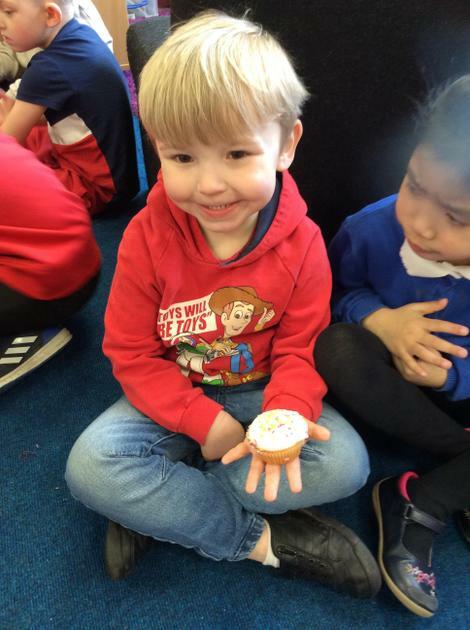 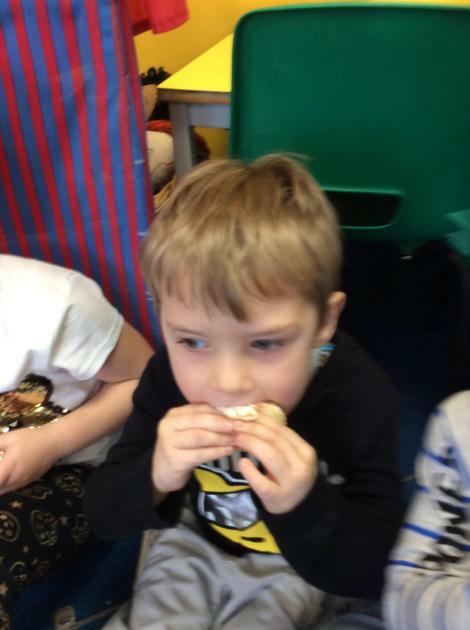 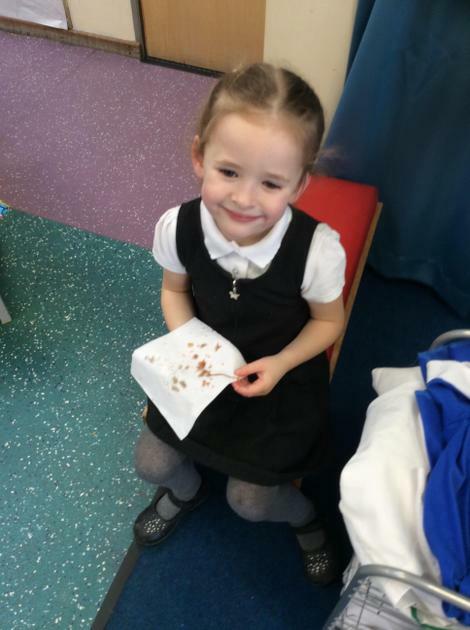 Today we learnt all about flour. 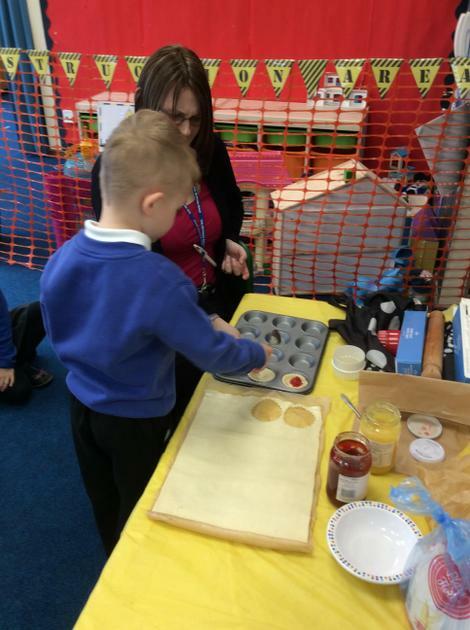 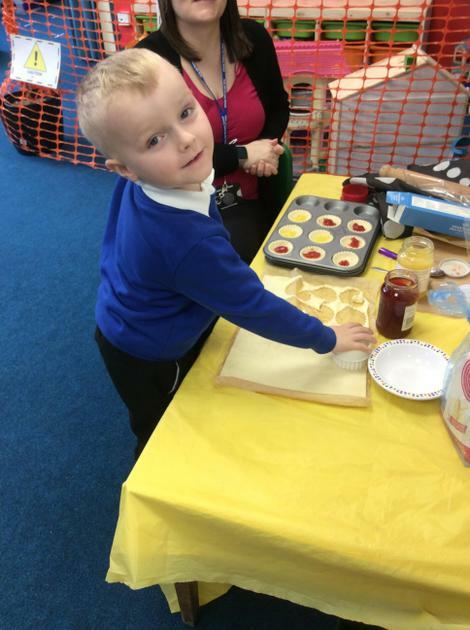 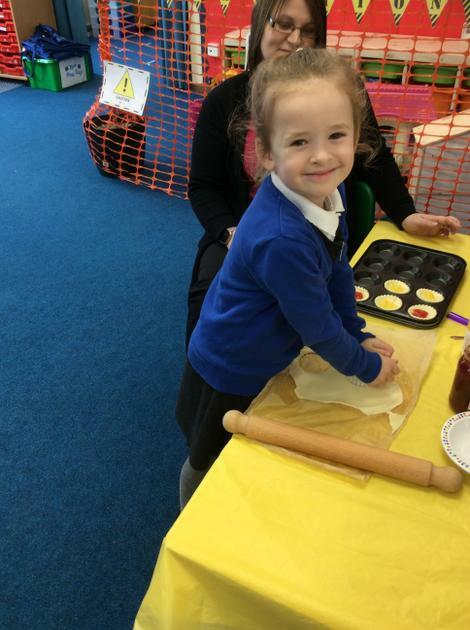 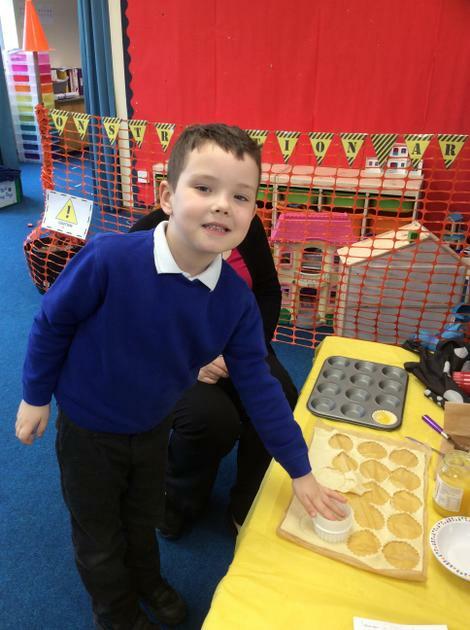 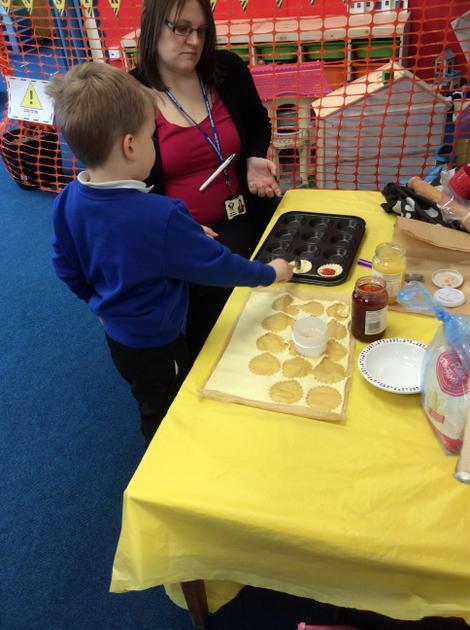 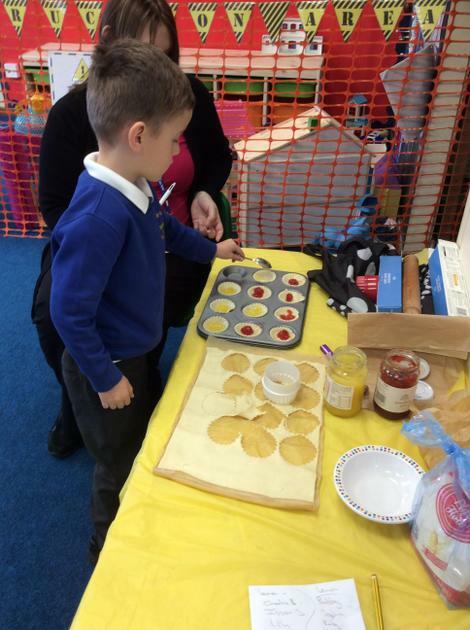 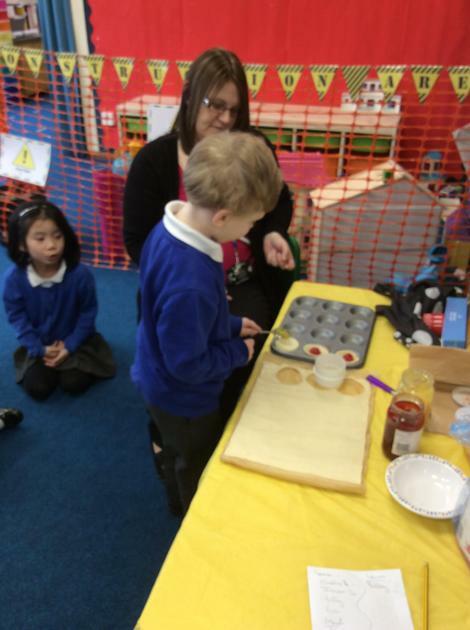 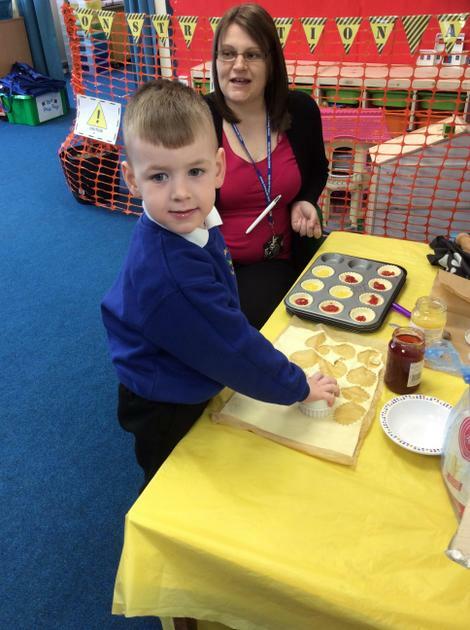 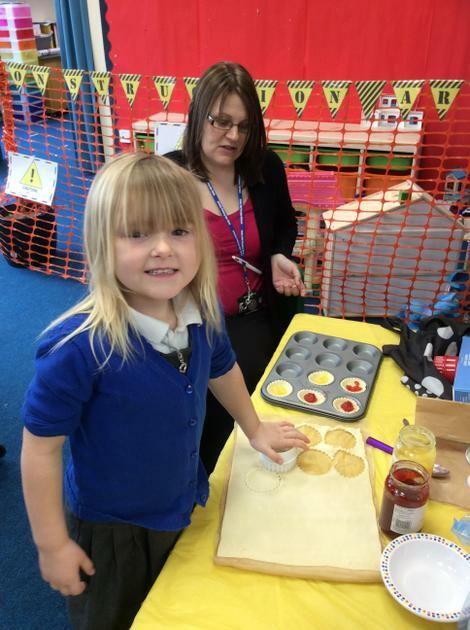 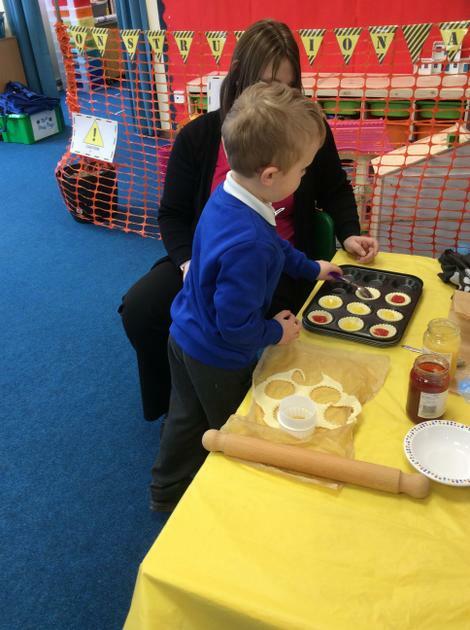 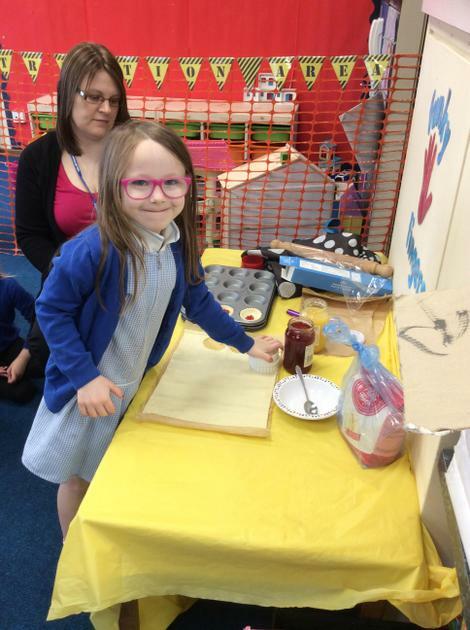 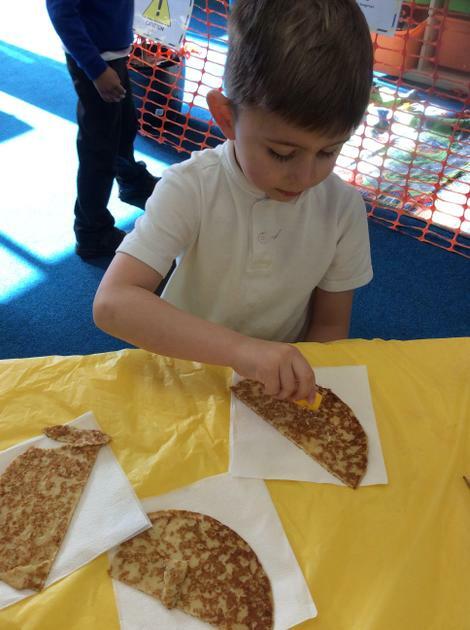 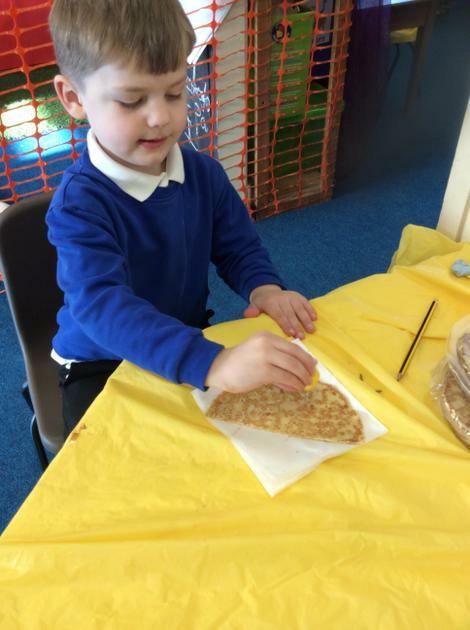 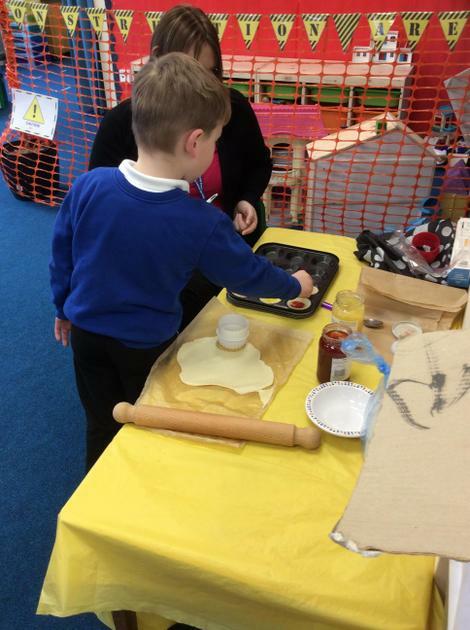 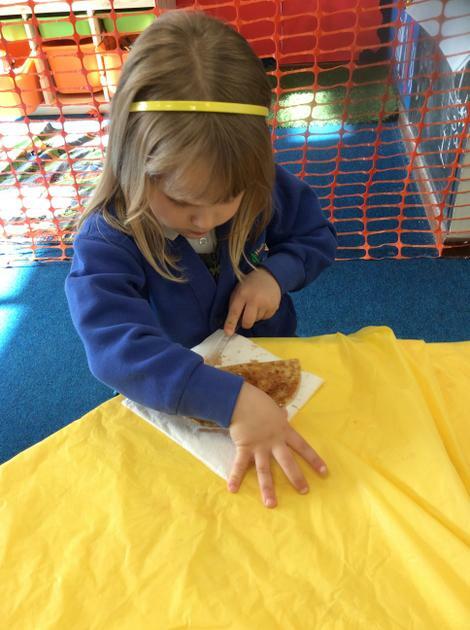 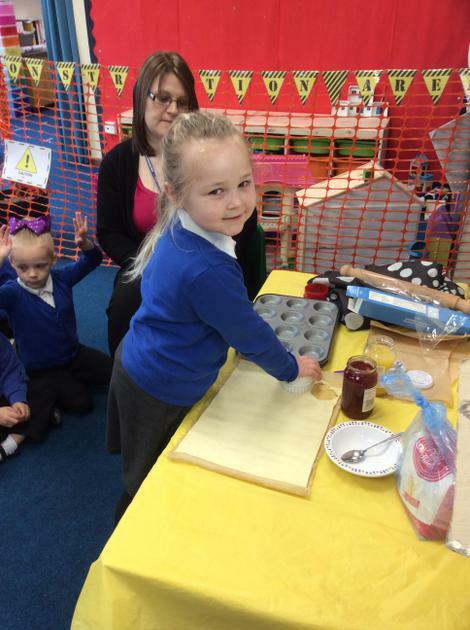 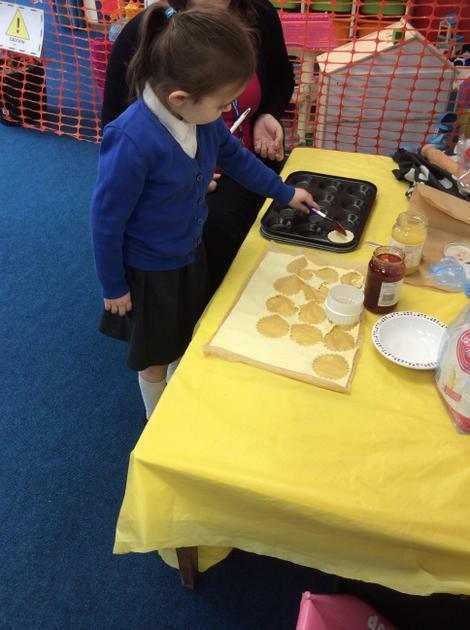 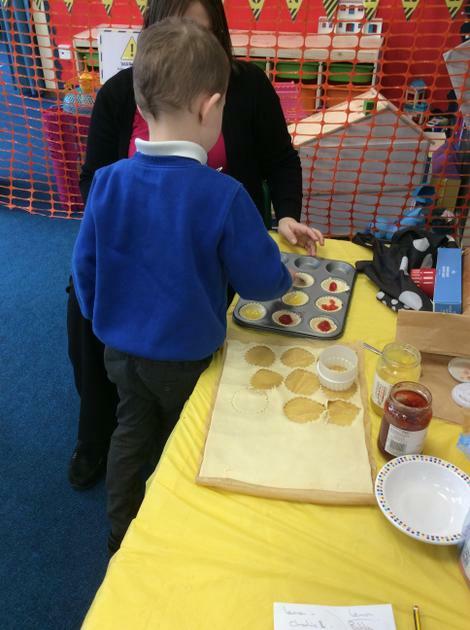 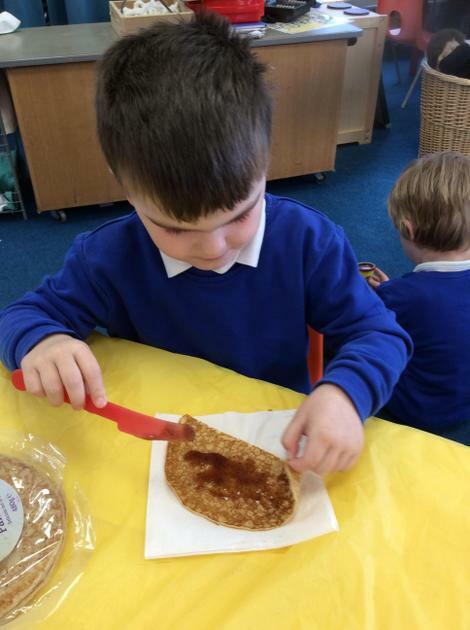 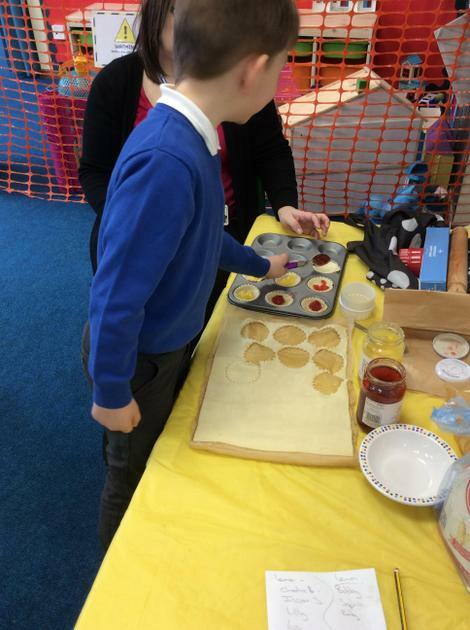 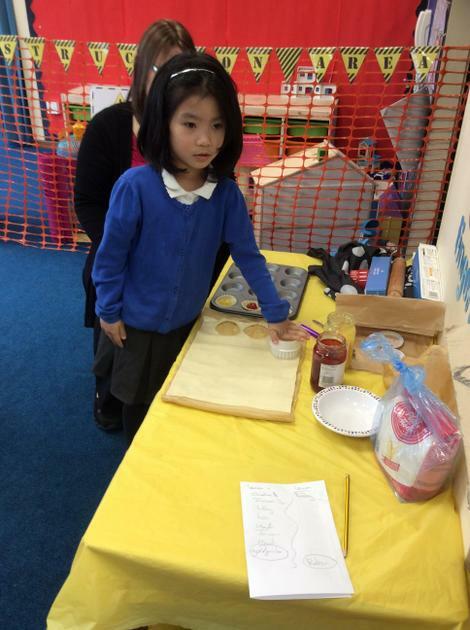 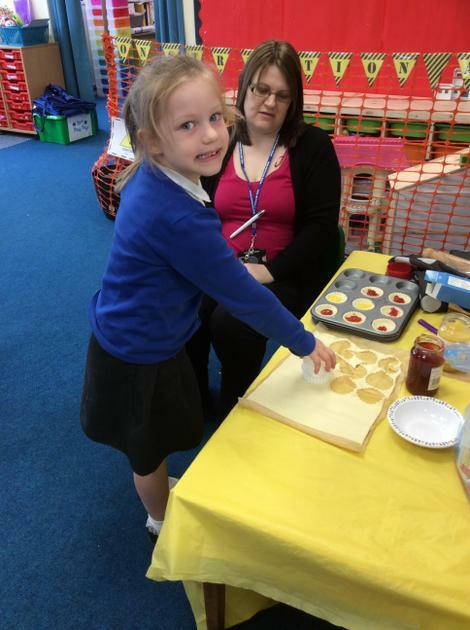 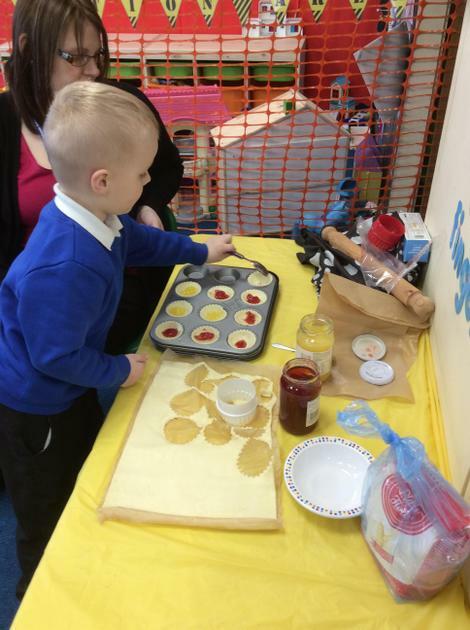 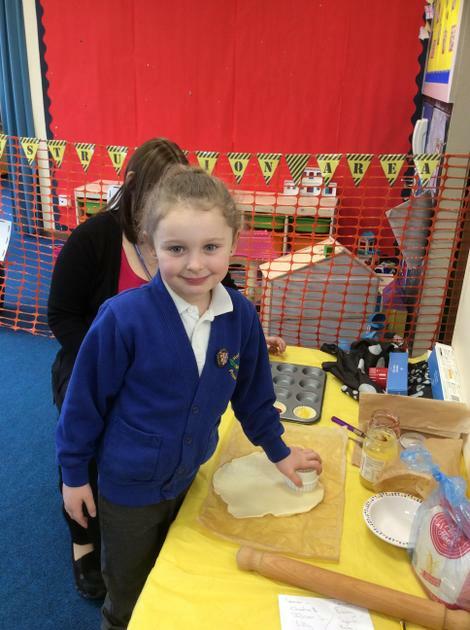 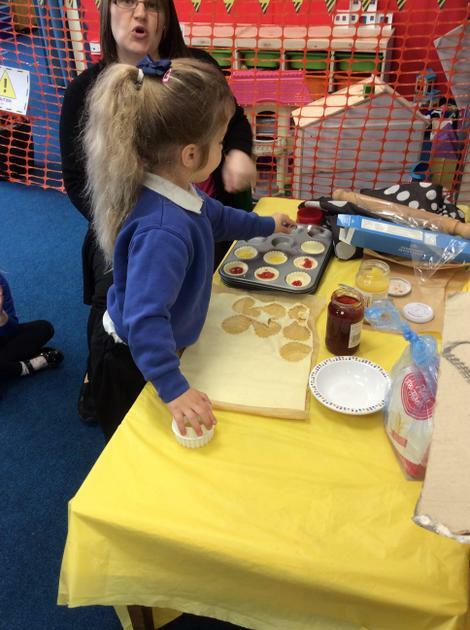 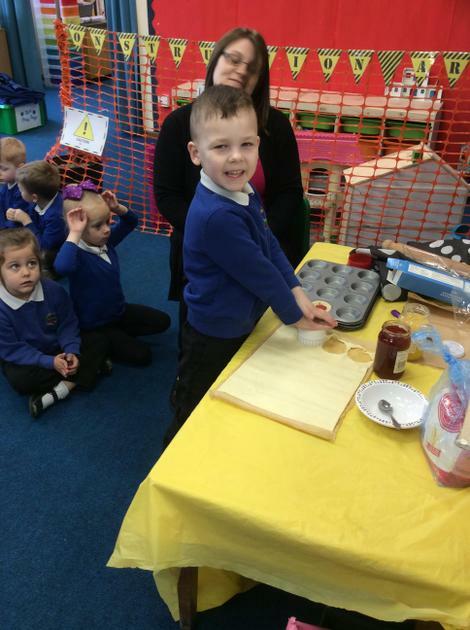 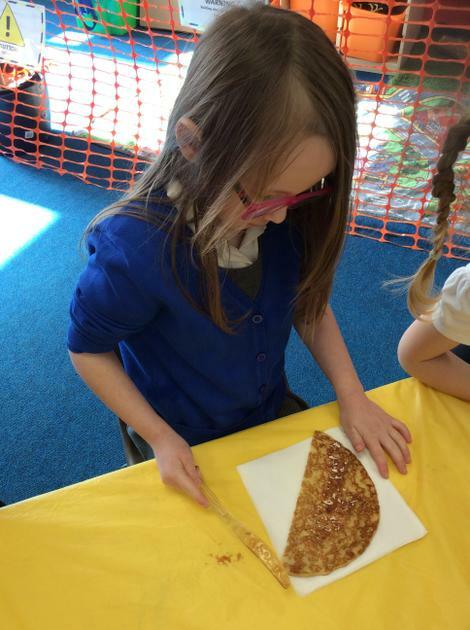 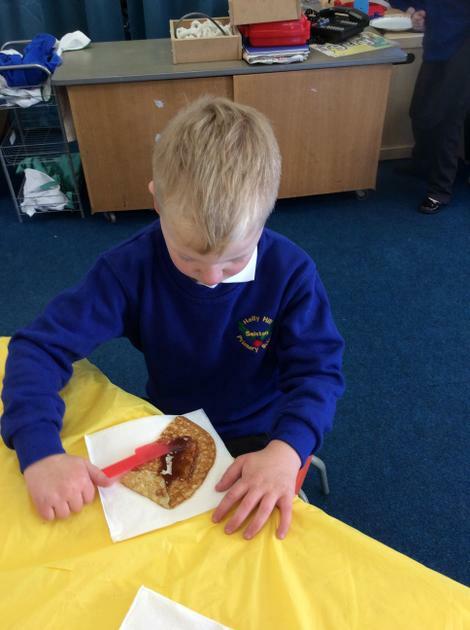 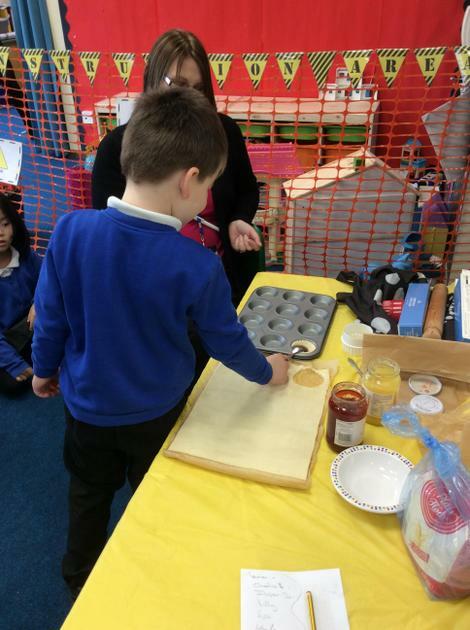 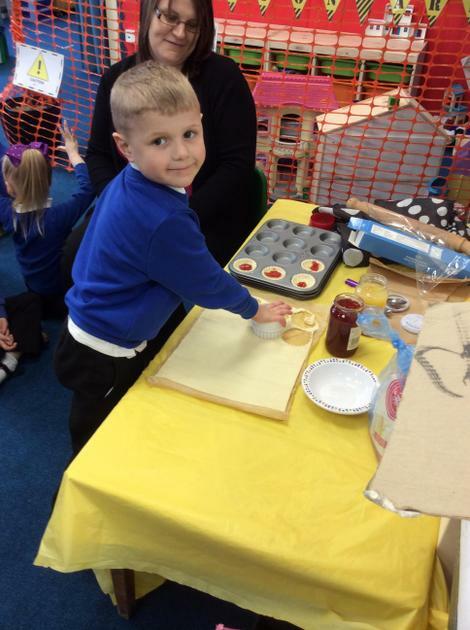 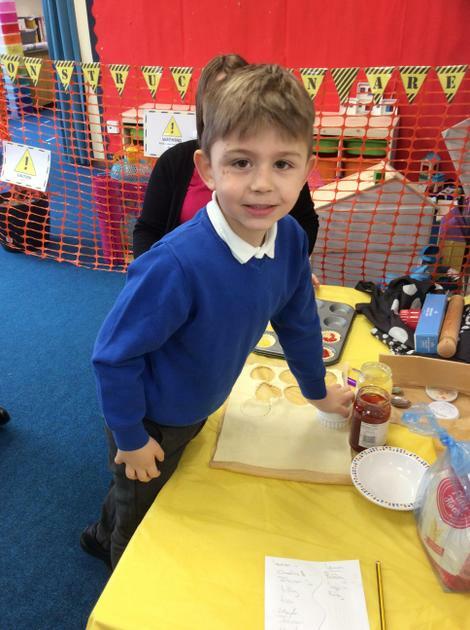 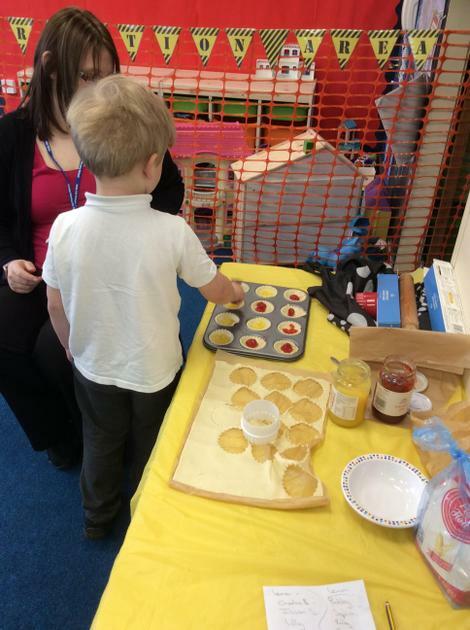 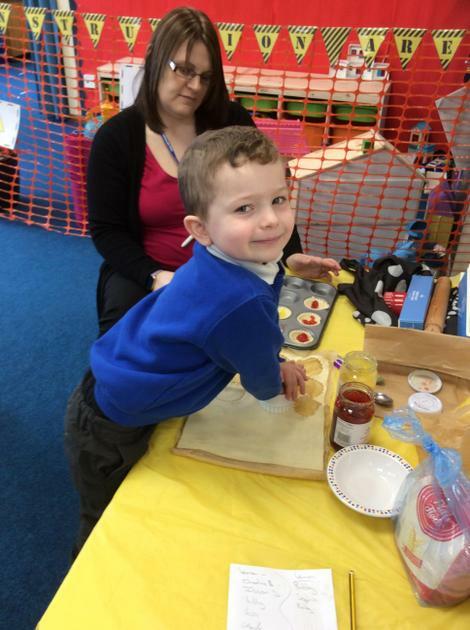 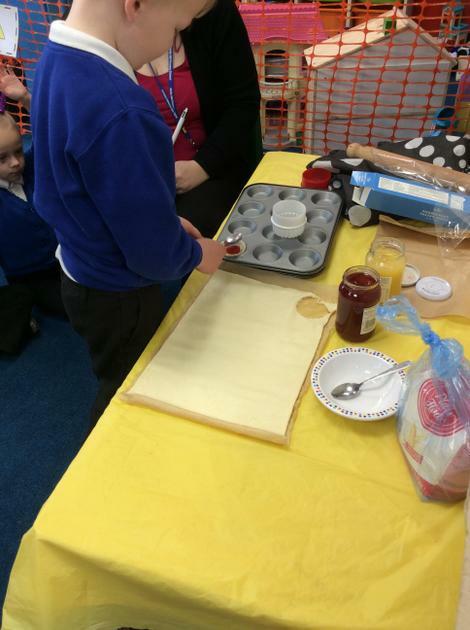 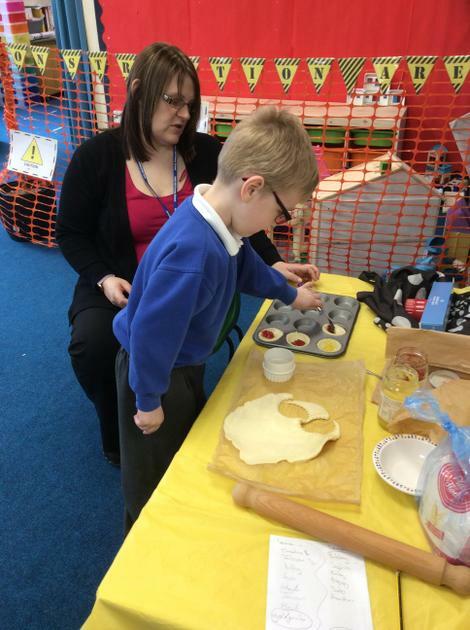 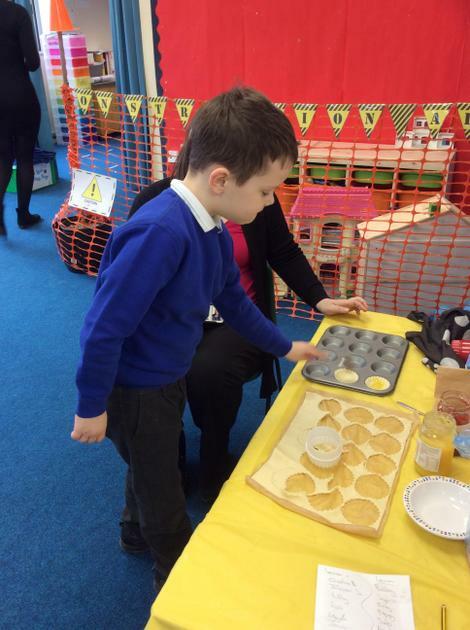 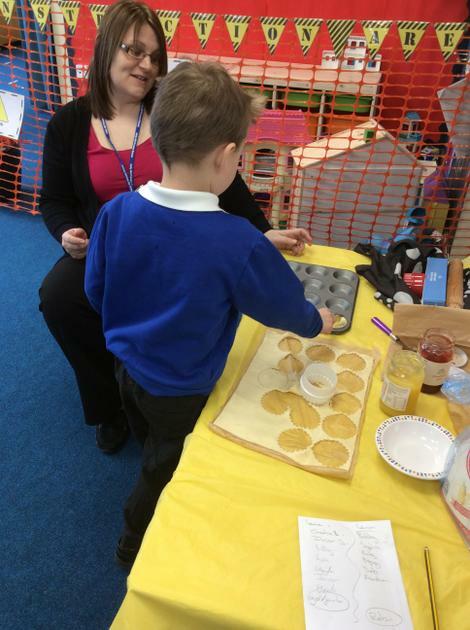 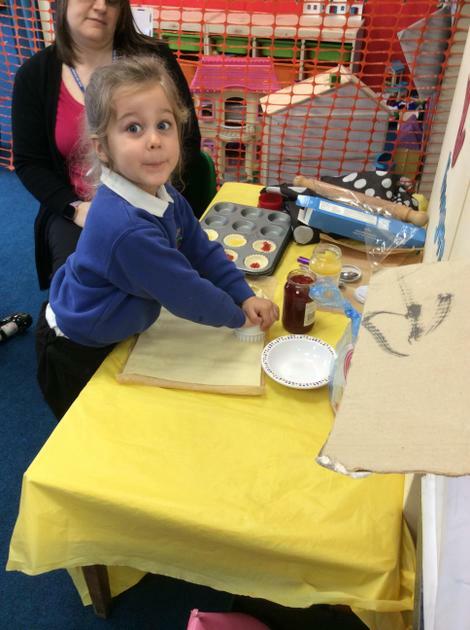 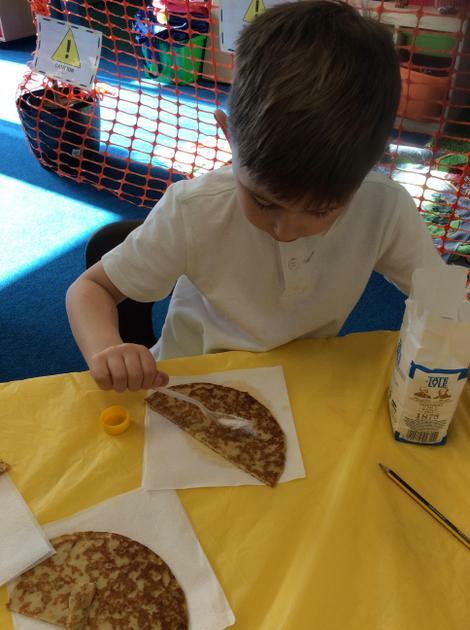 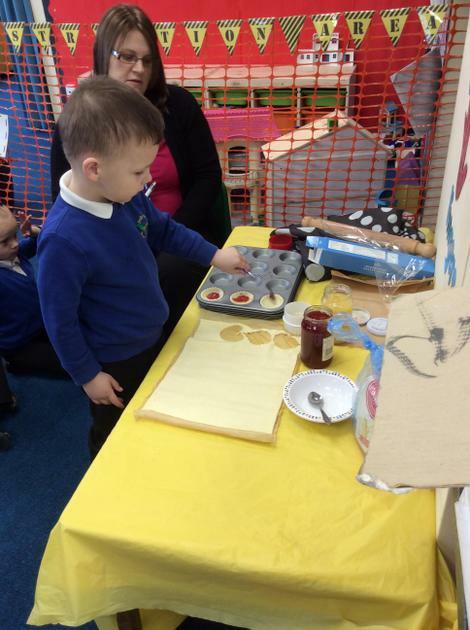 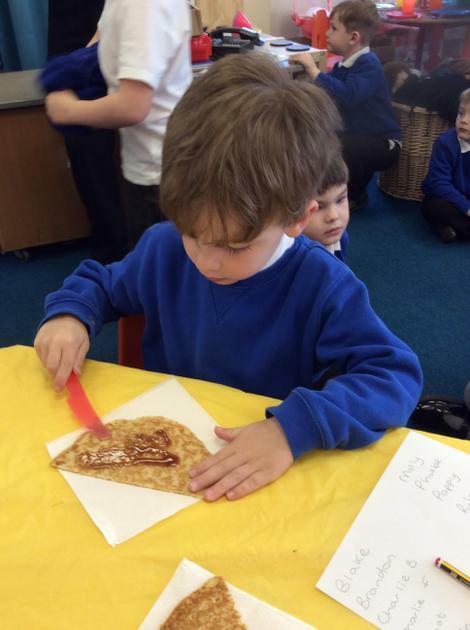 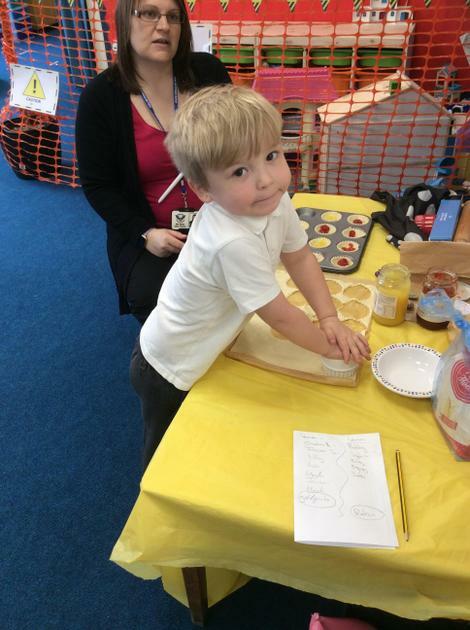 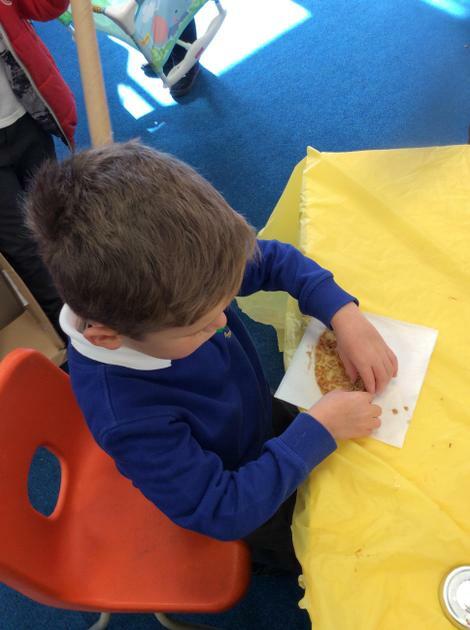 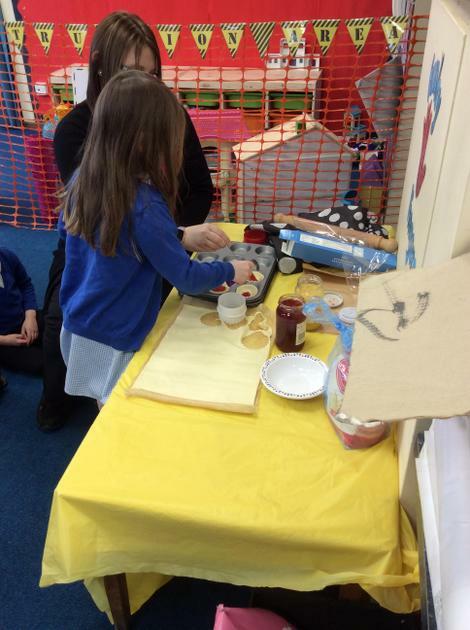 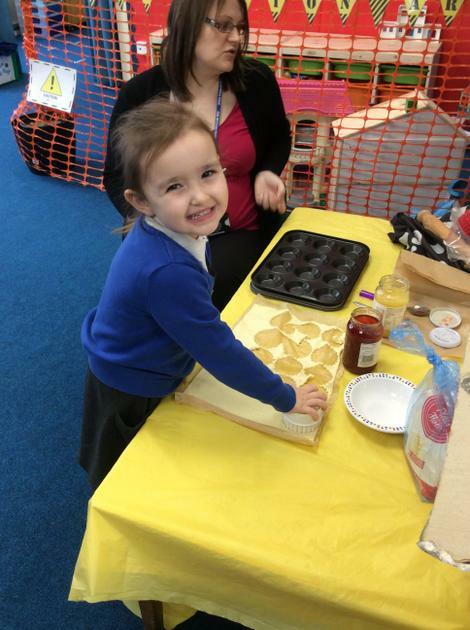 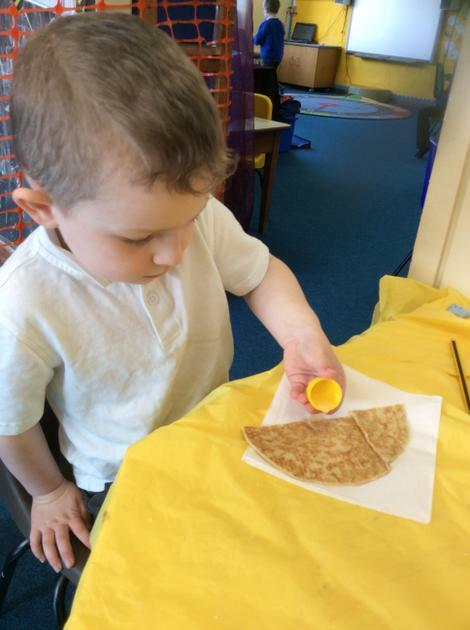 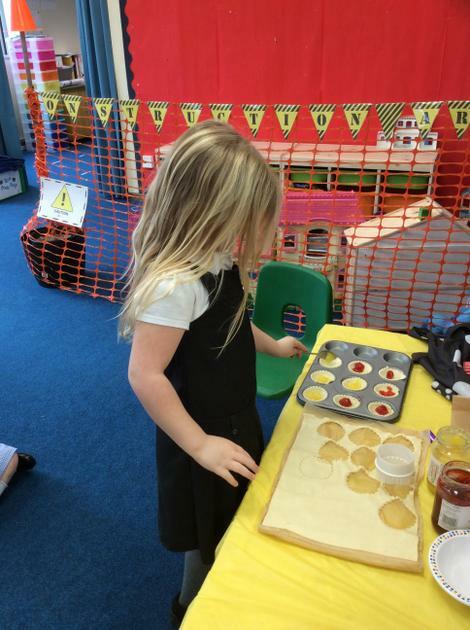 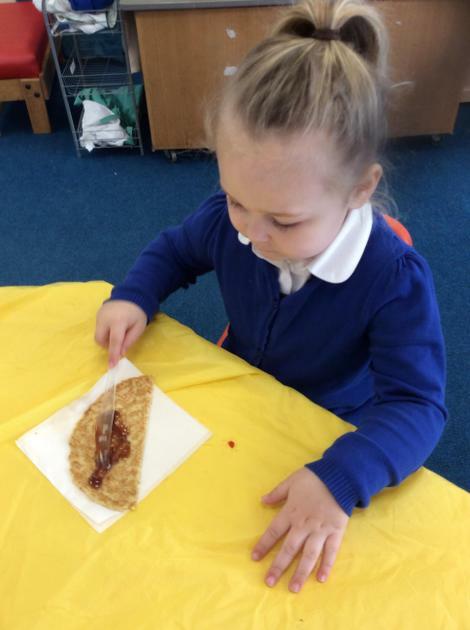 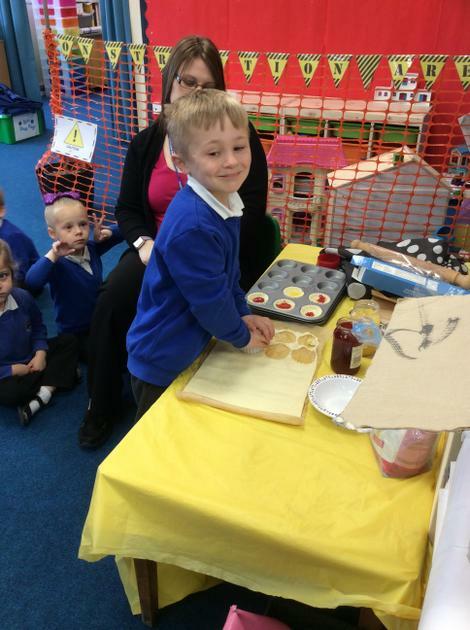 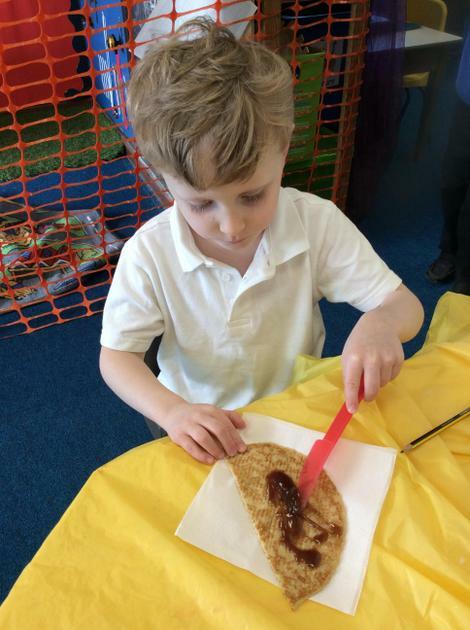 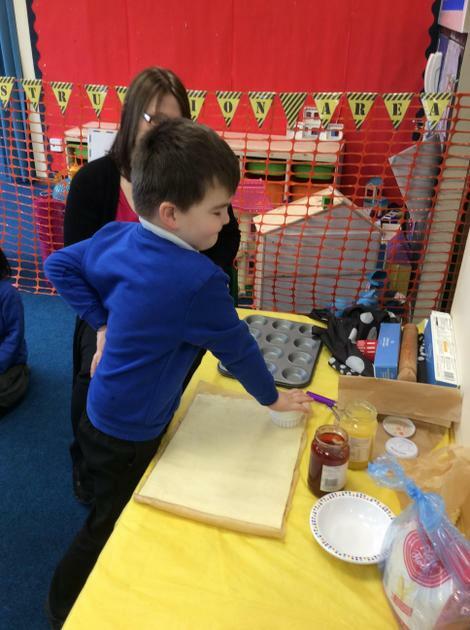 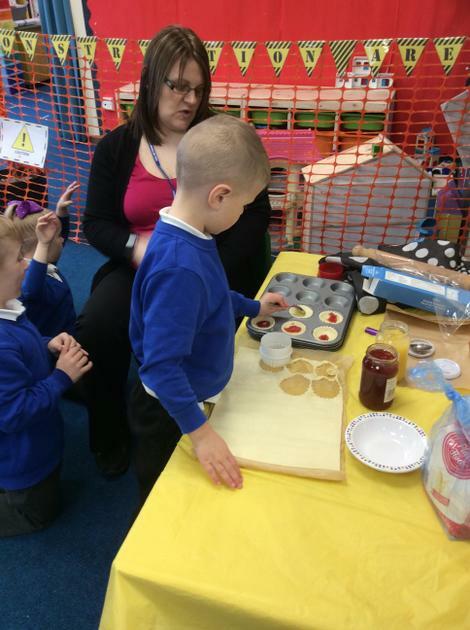 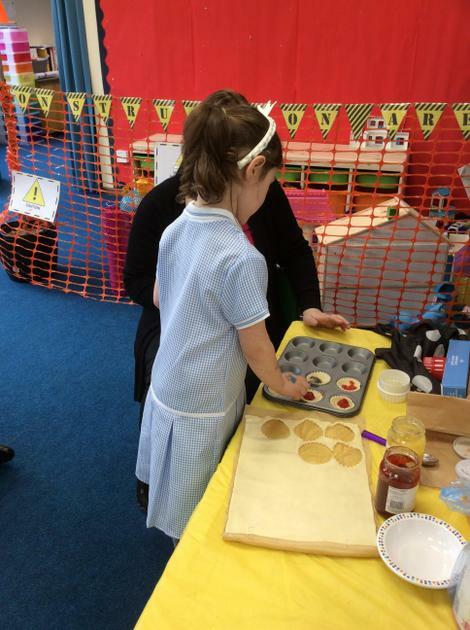 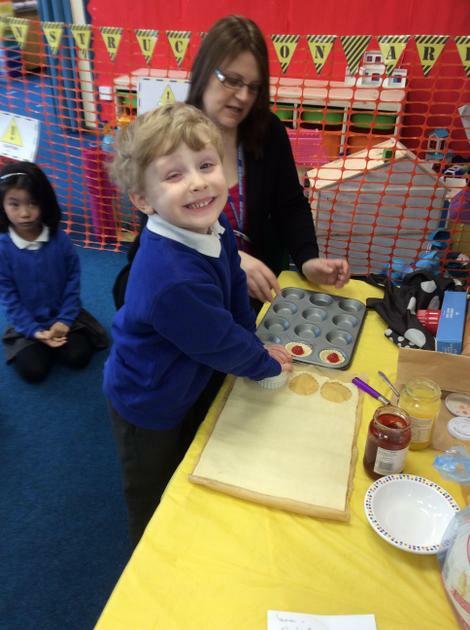 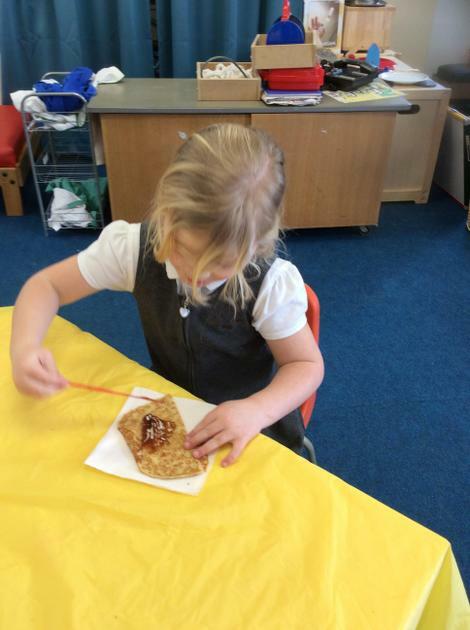 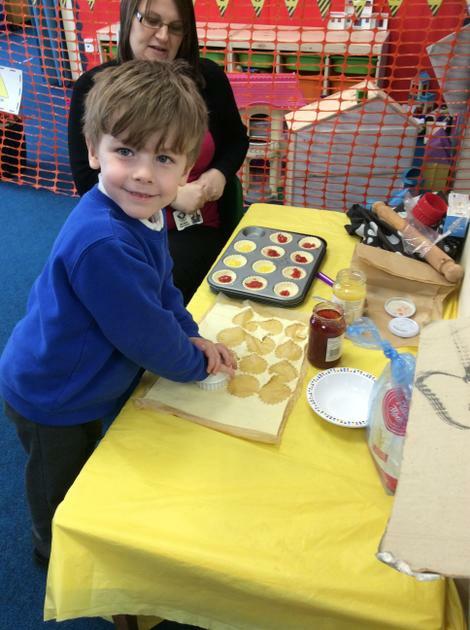 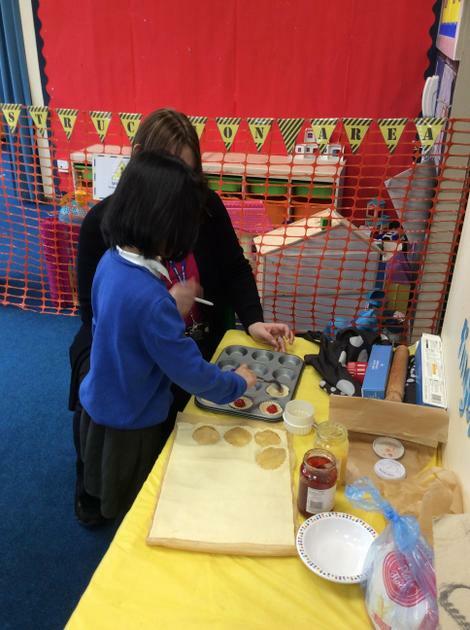 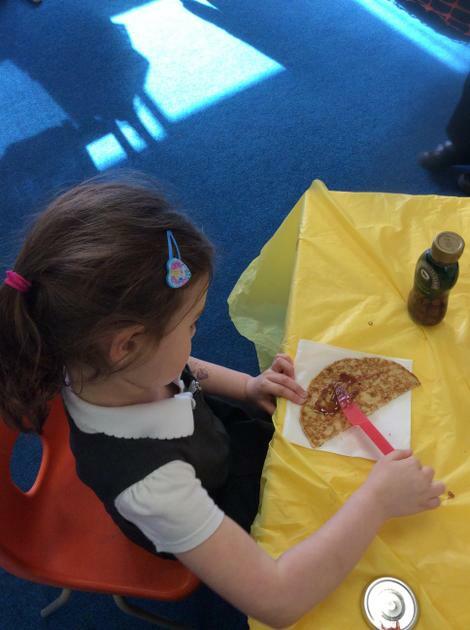 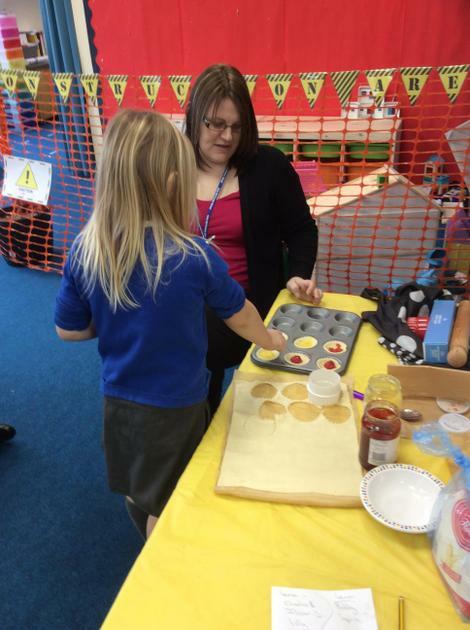 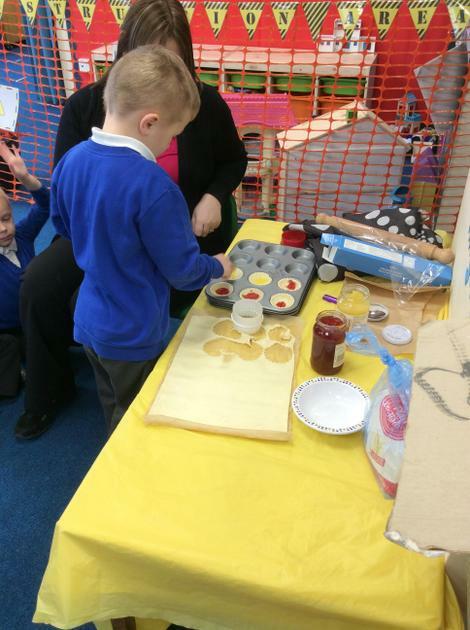 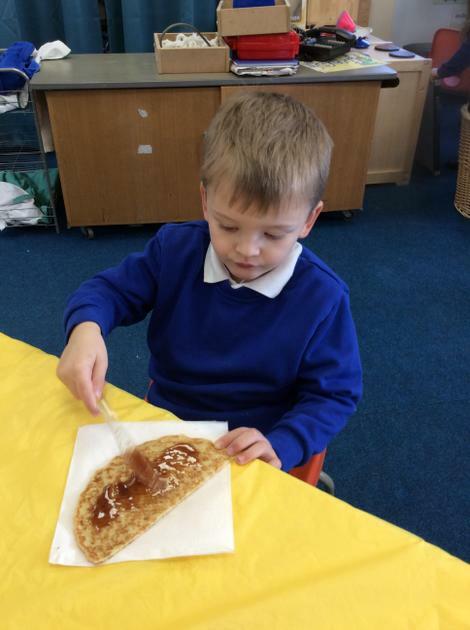 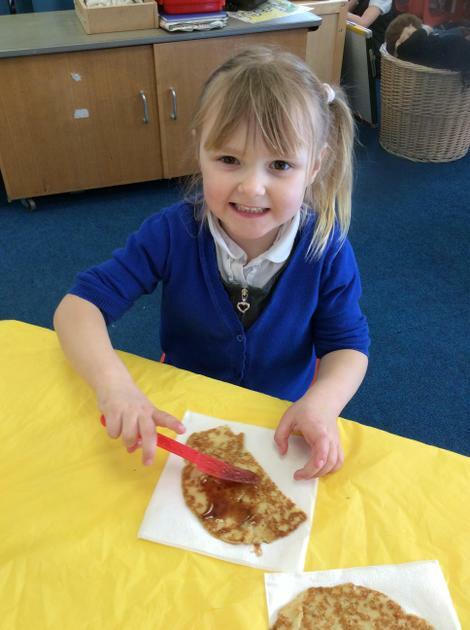 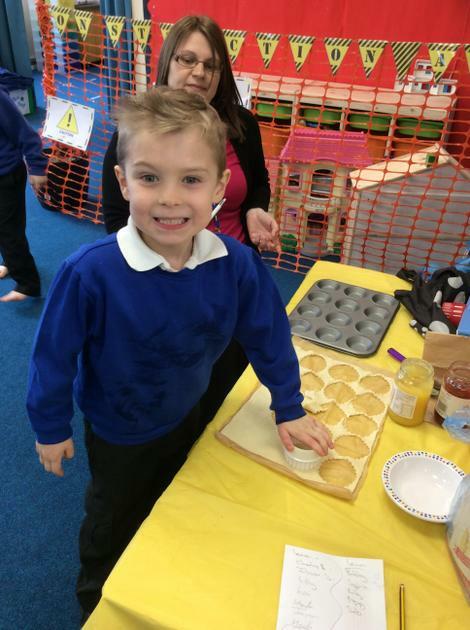 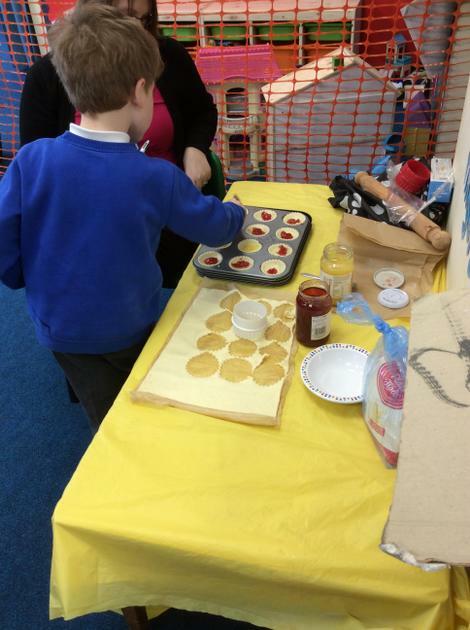 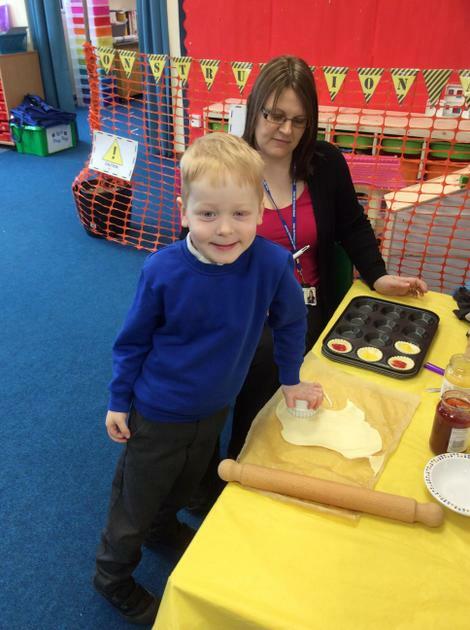 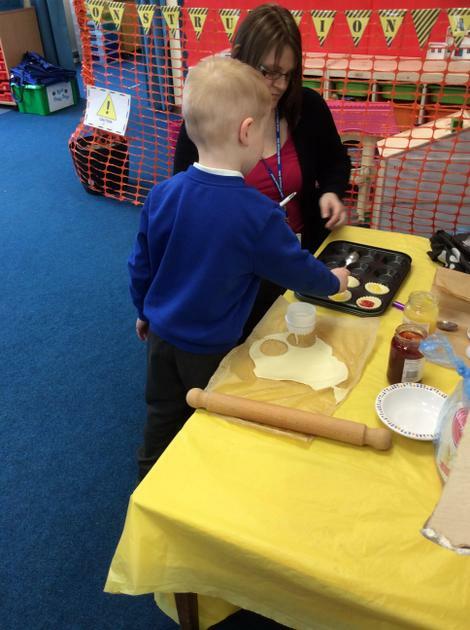 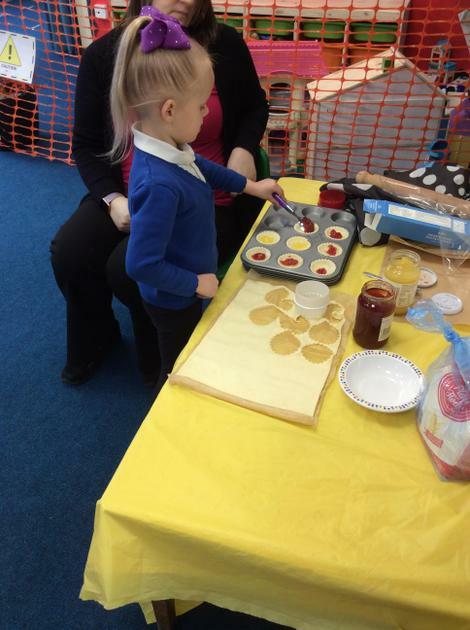 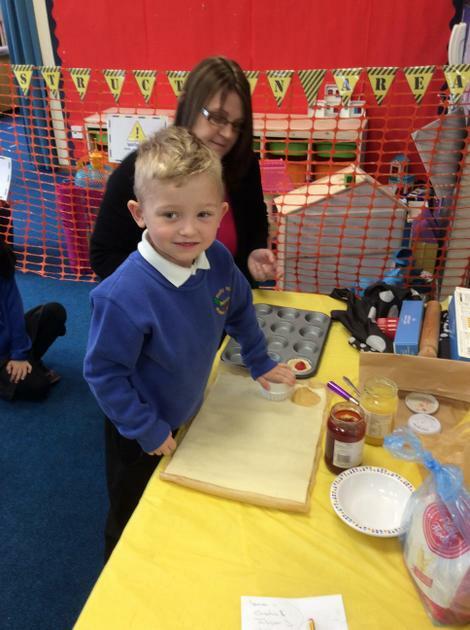 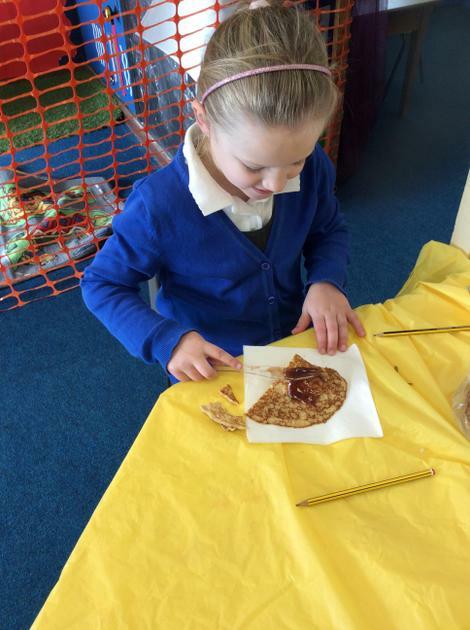 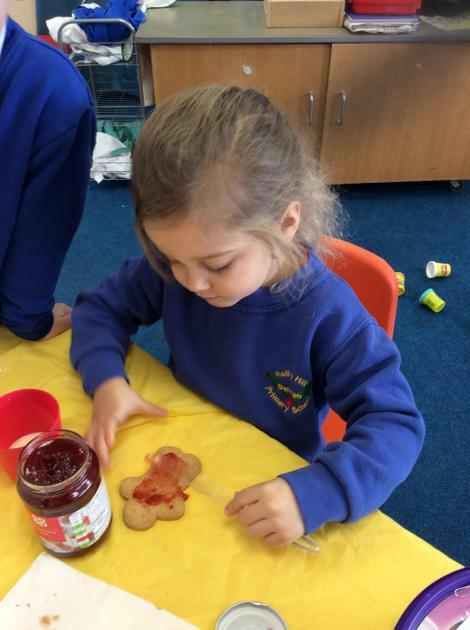 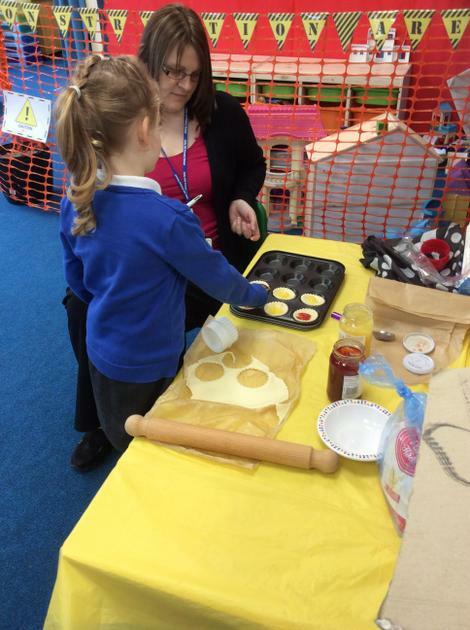 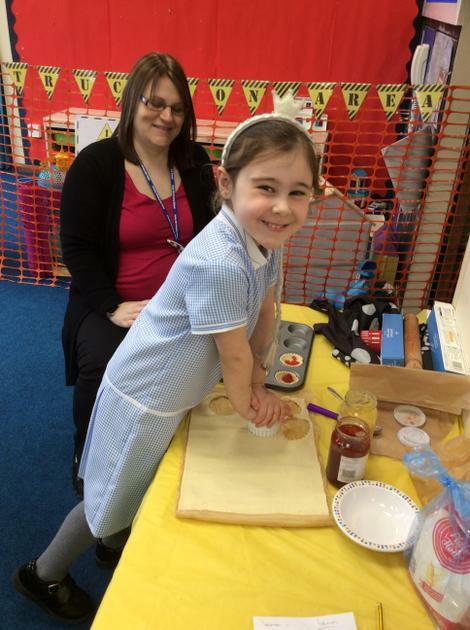 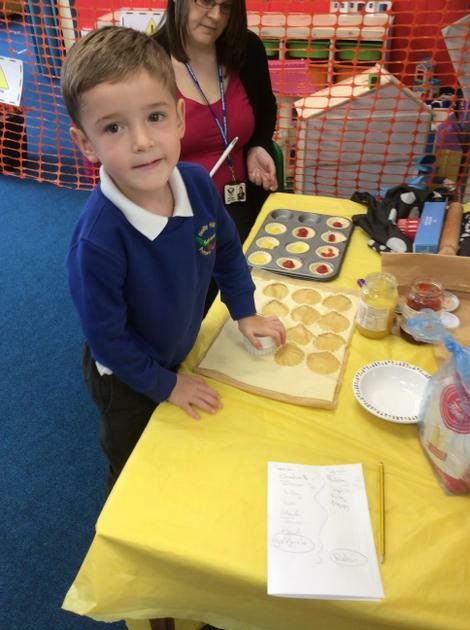 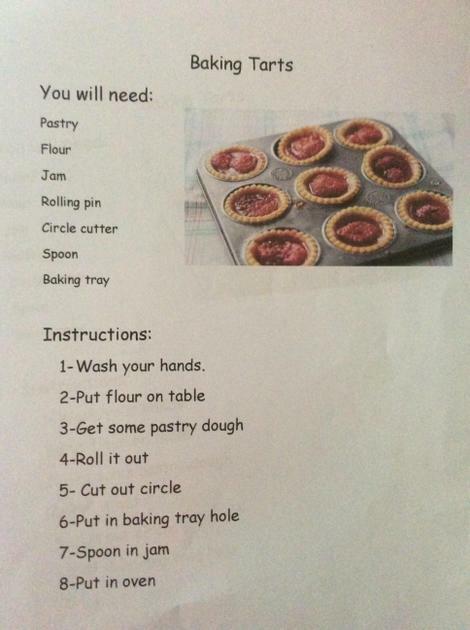 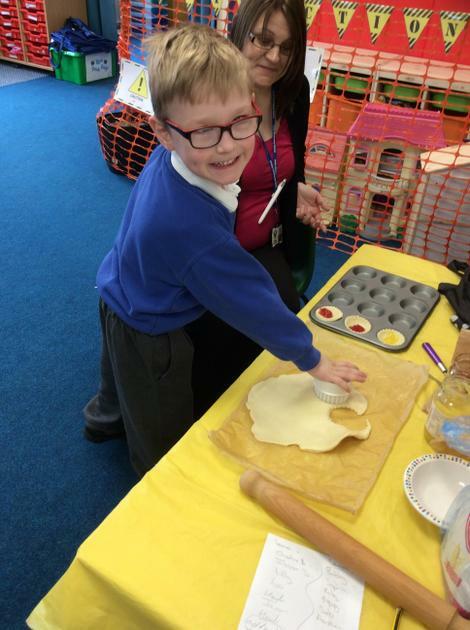 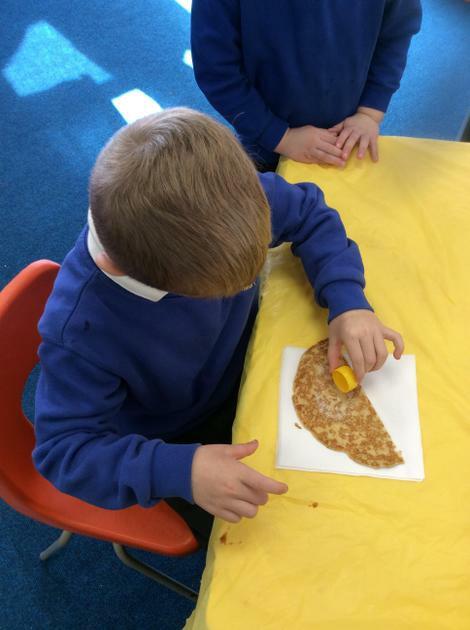 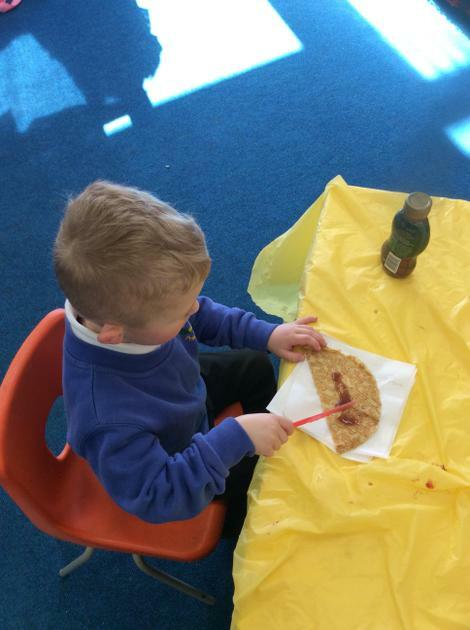 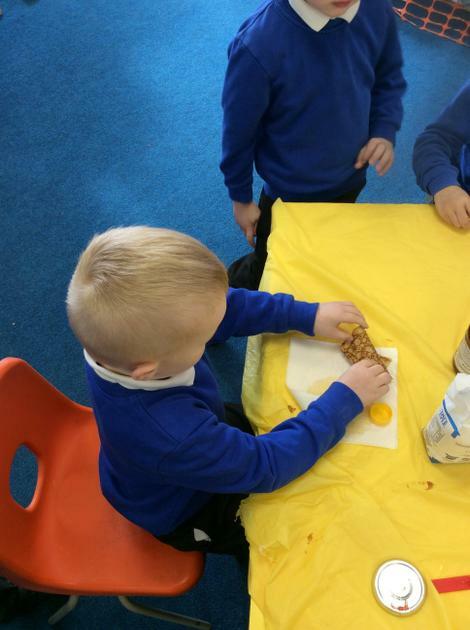 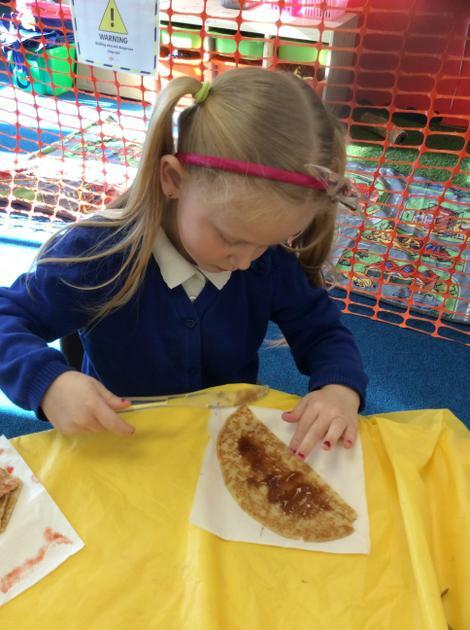 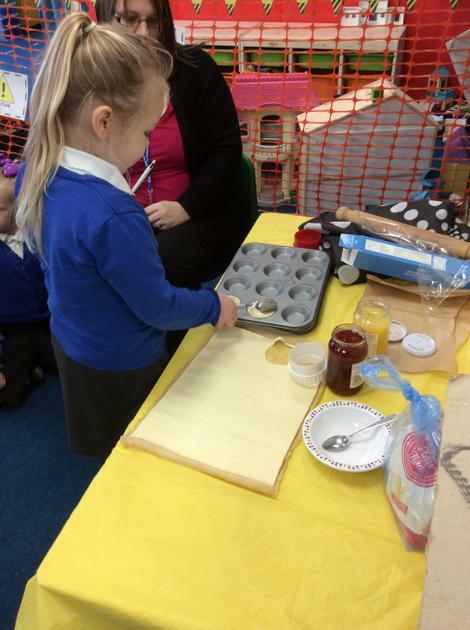 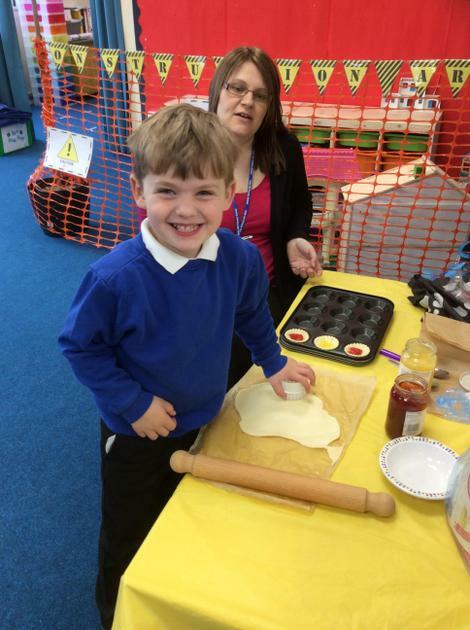 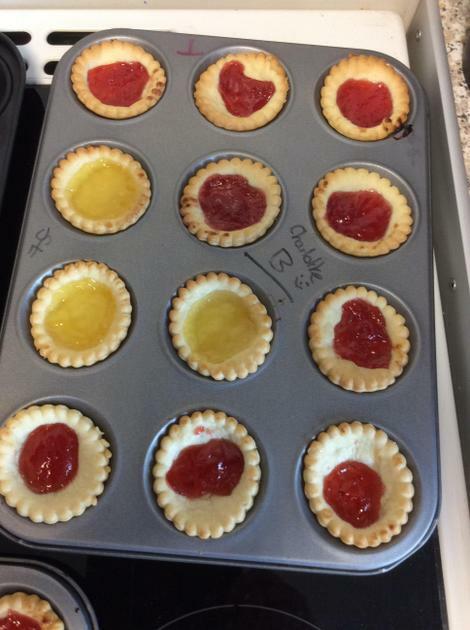 We followed instructions on how to make tarts. 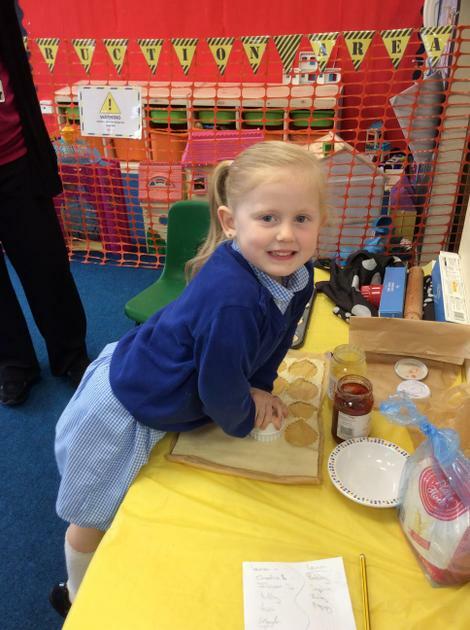 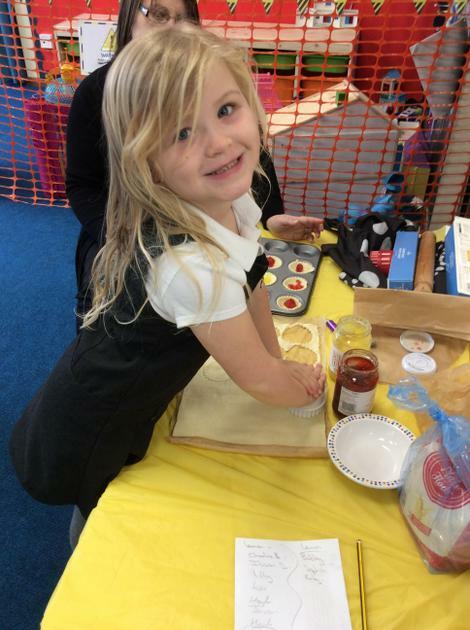 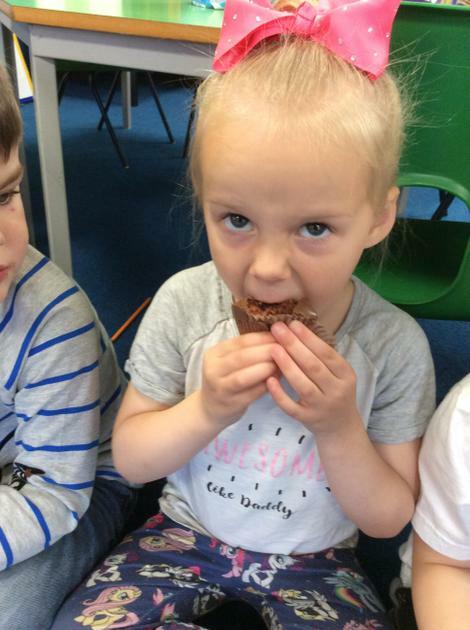 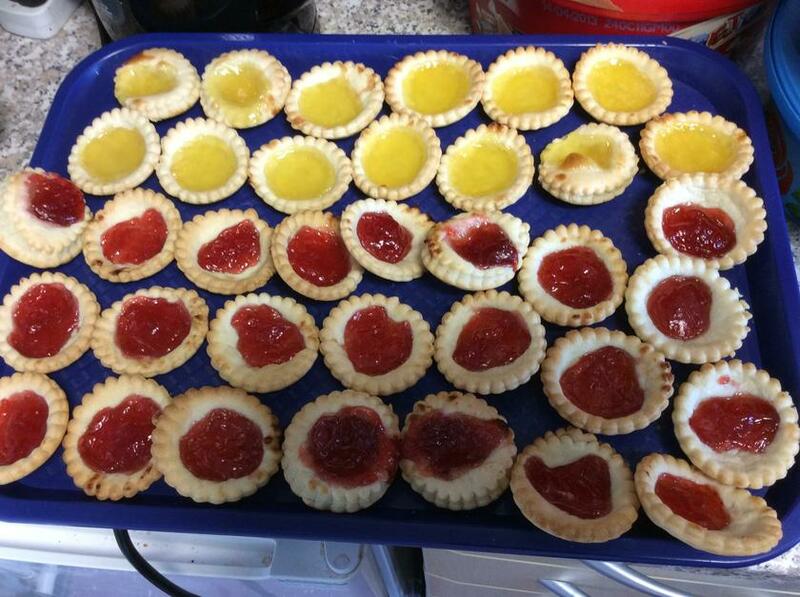 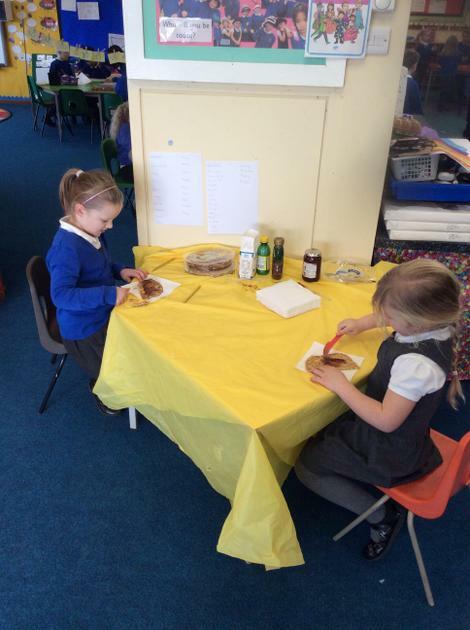 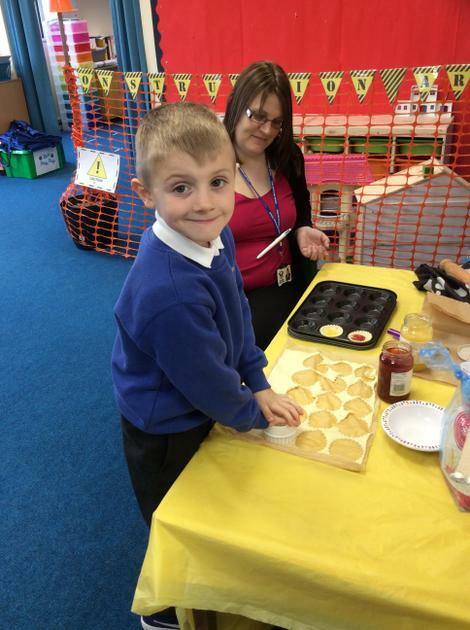 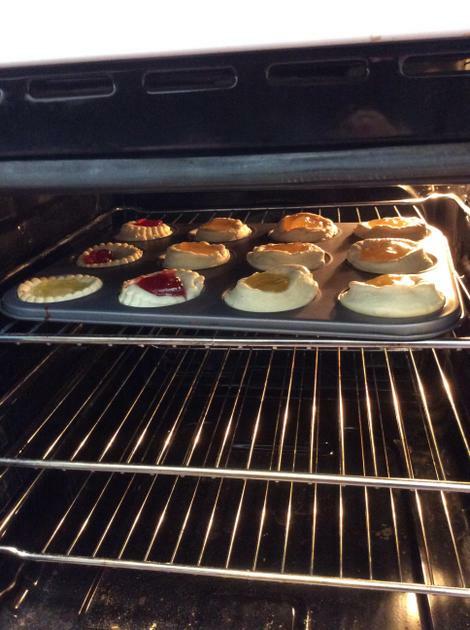 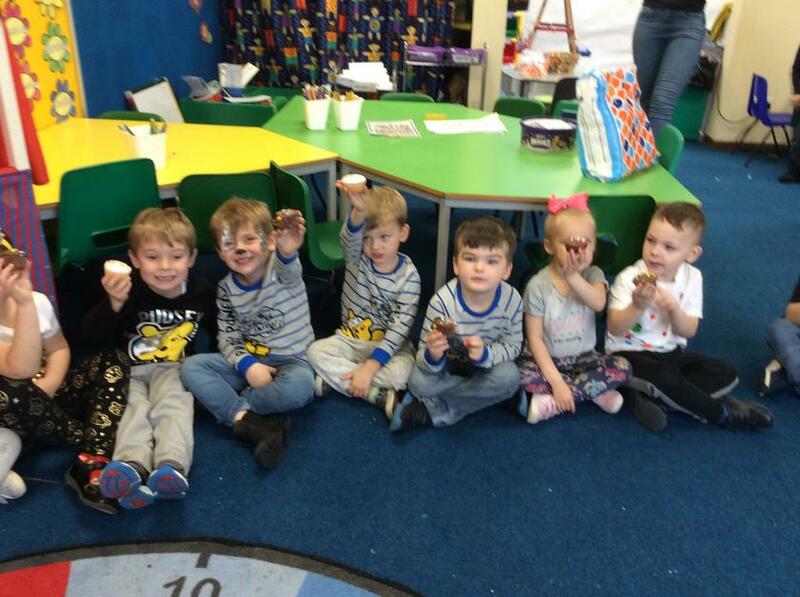 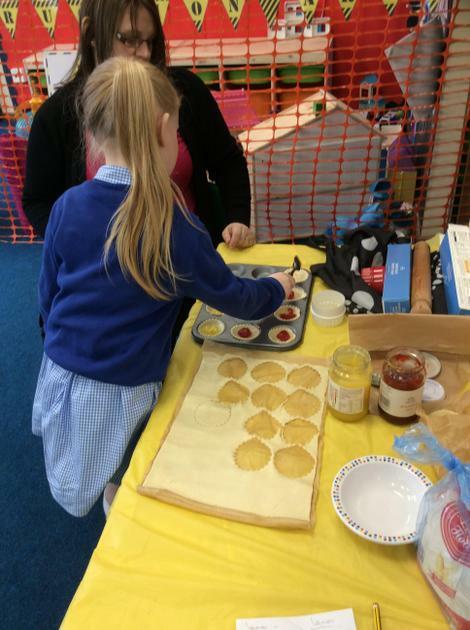 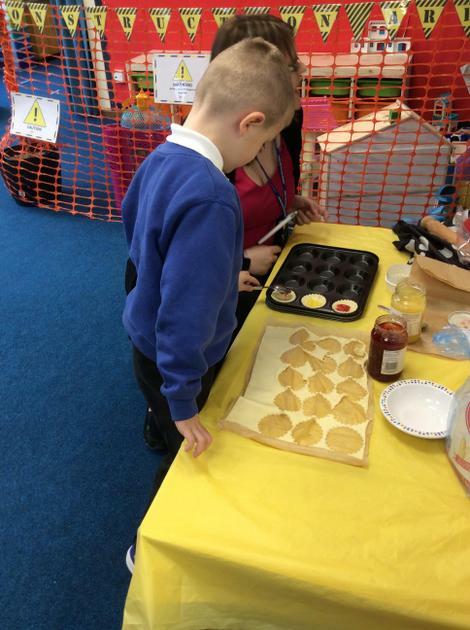 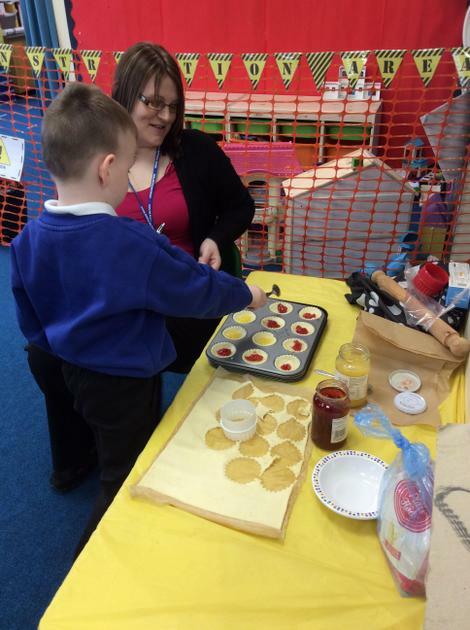 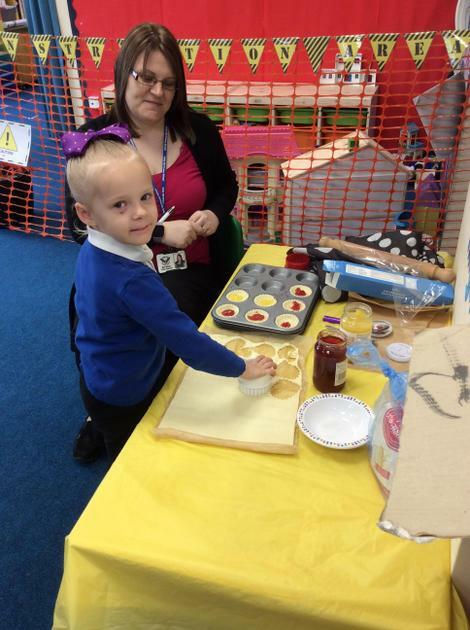 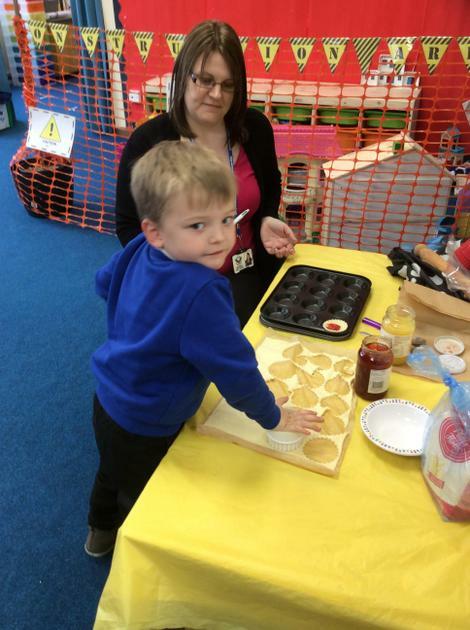 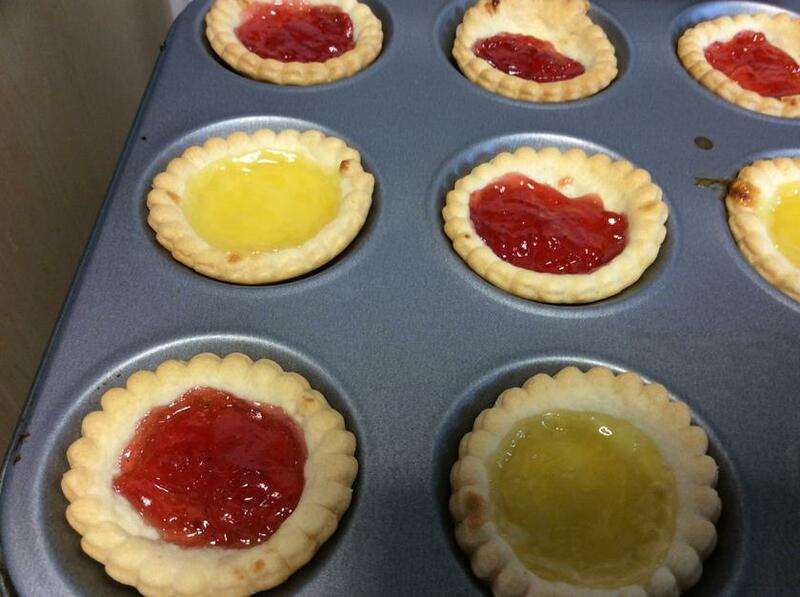 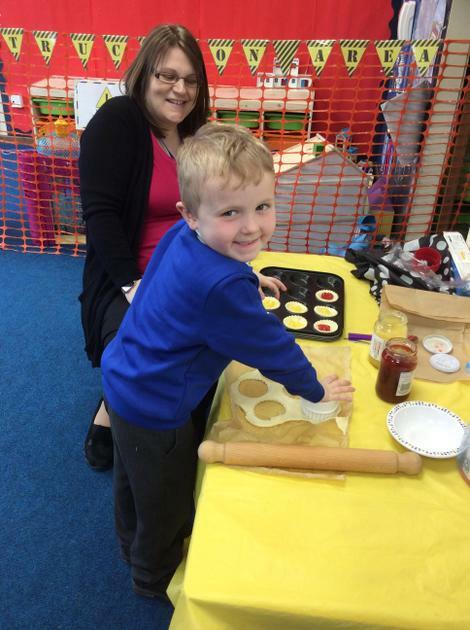 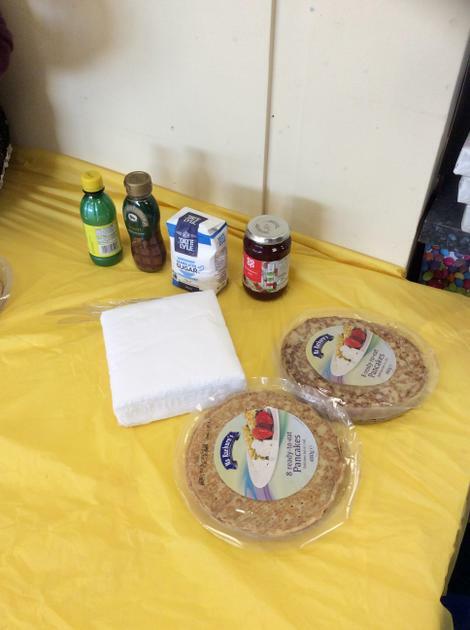 Thank you to the people who have sent in their 50p donations, which has meant we could make the tarts today. 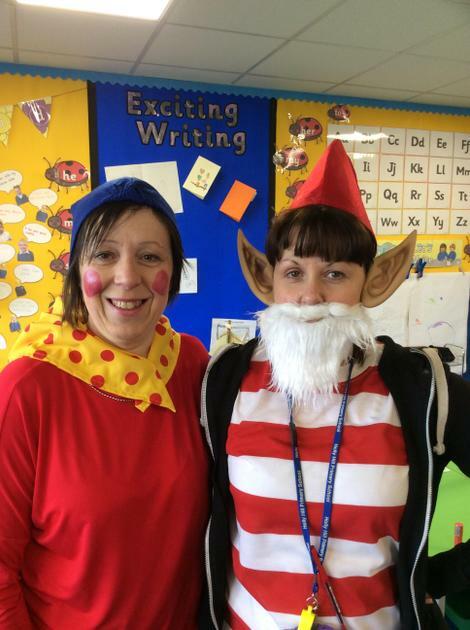 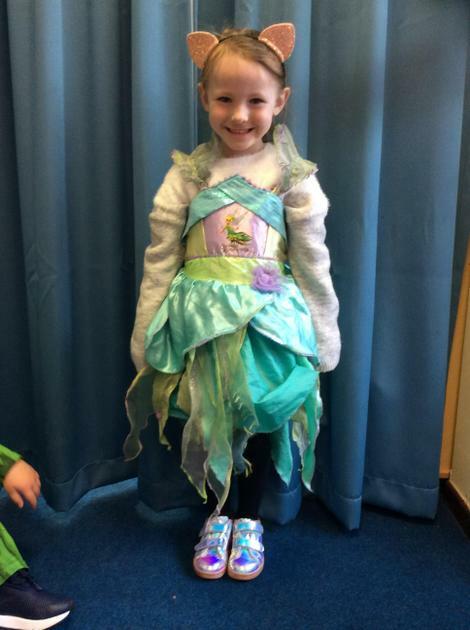 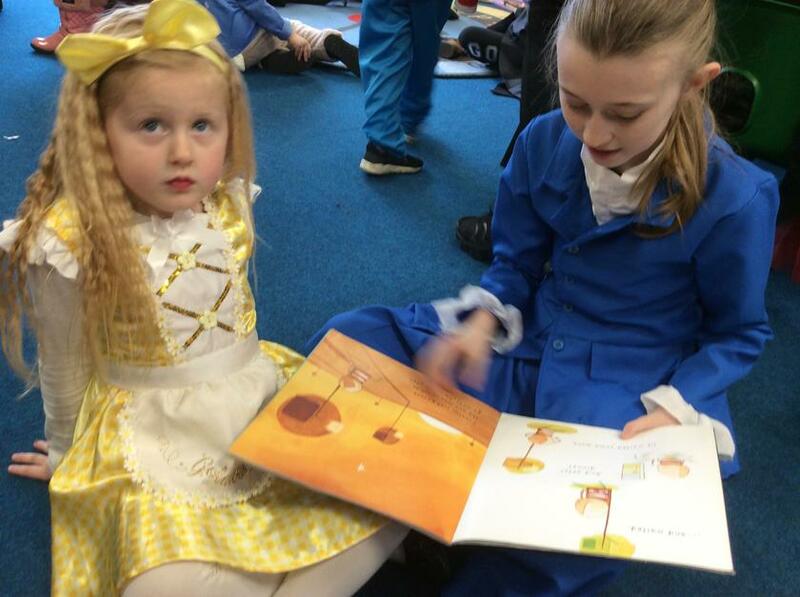 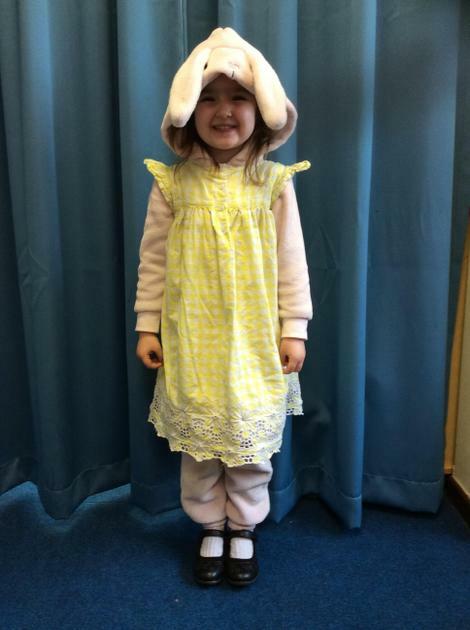 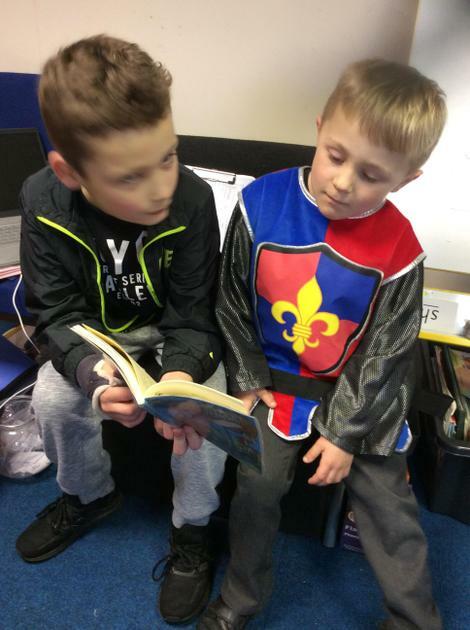 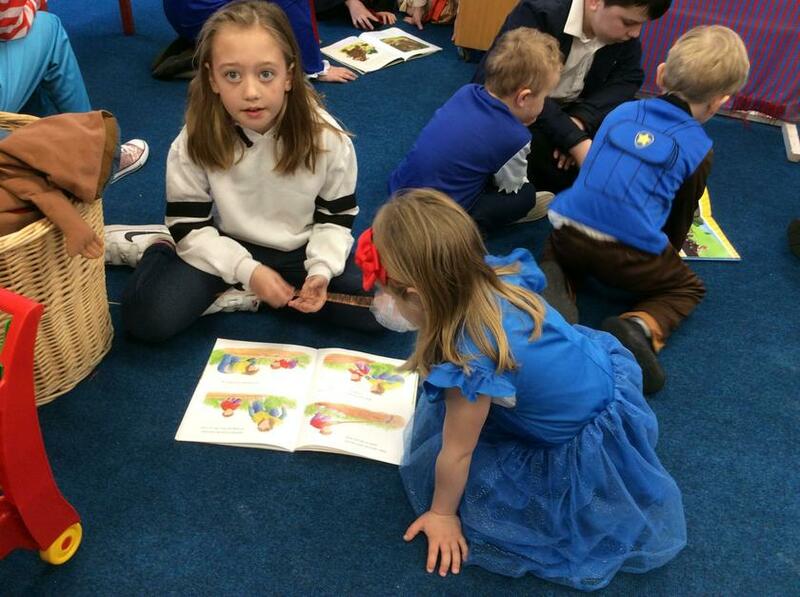 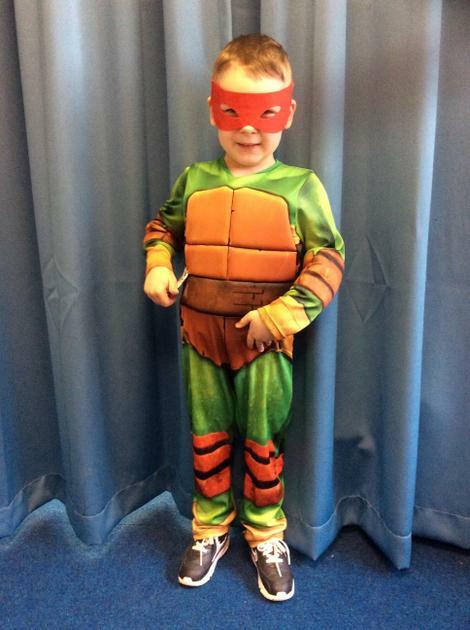 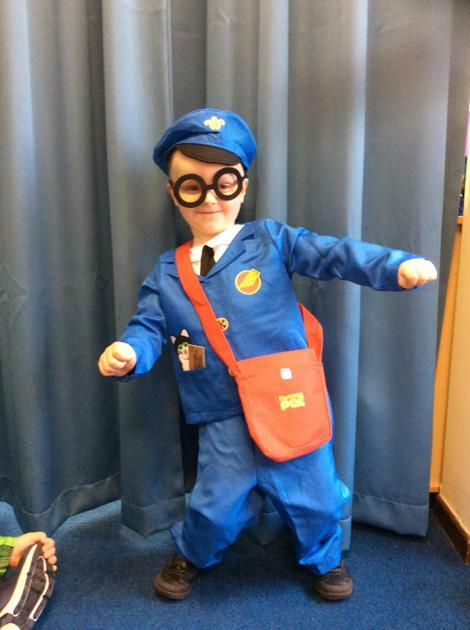 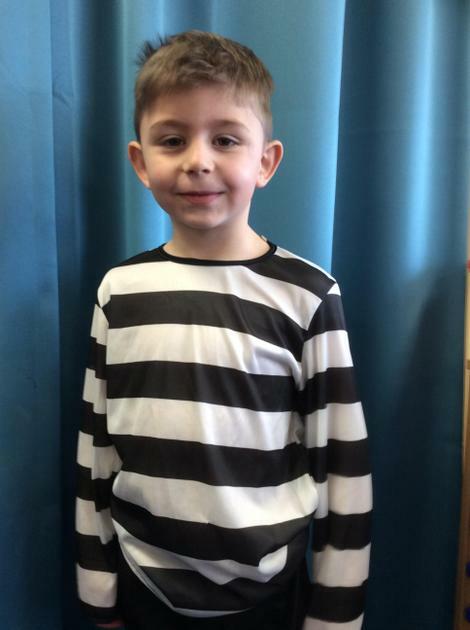 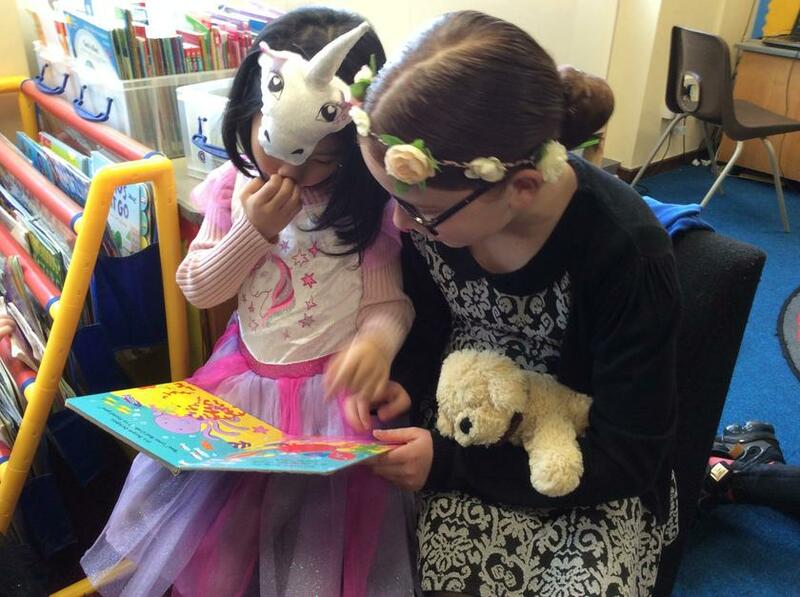 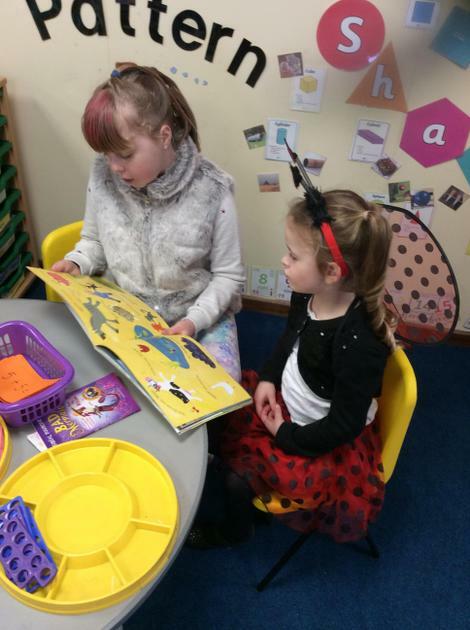 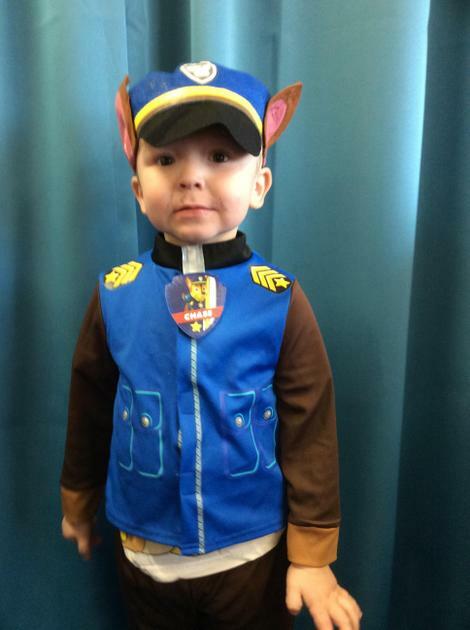 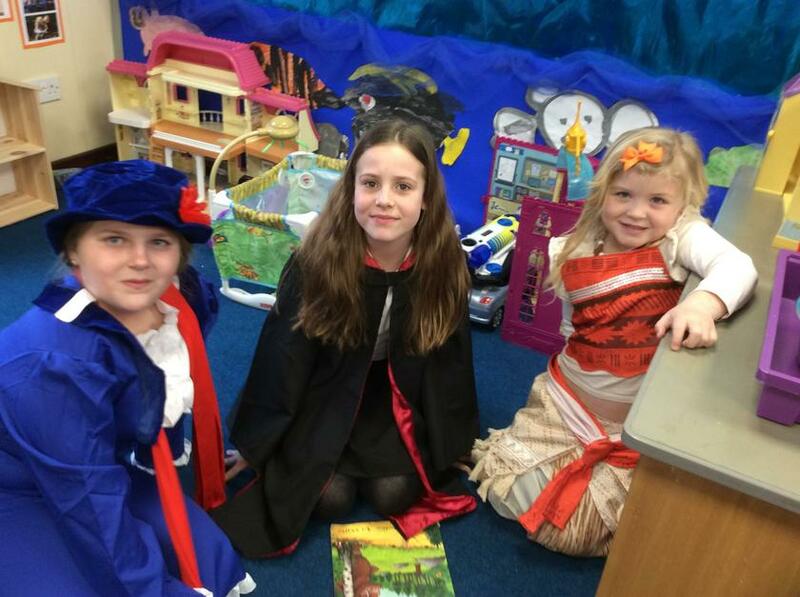 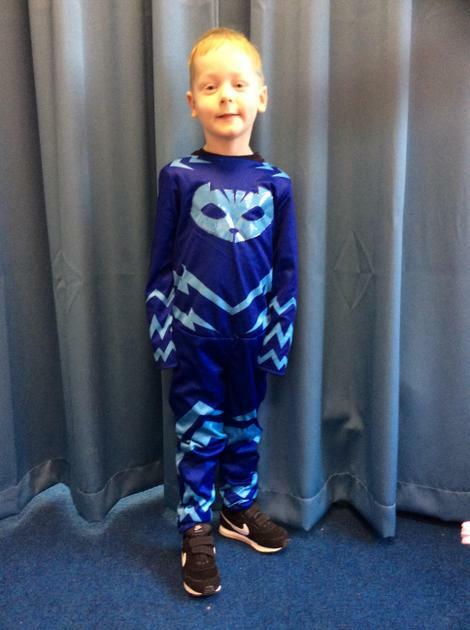 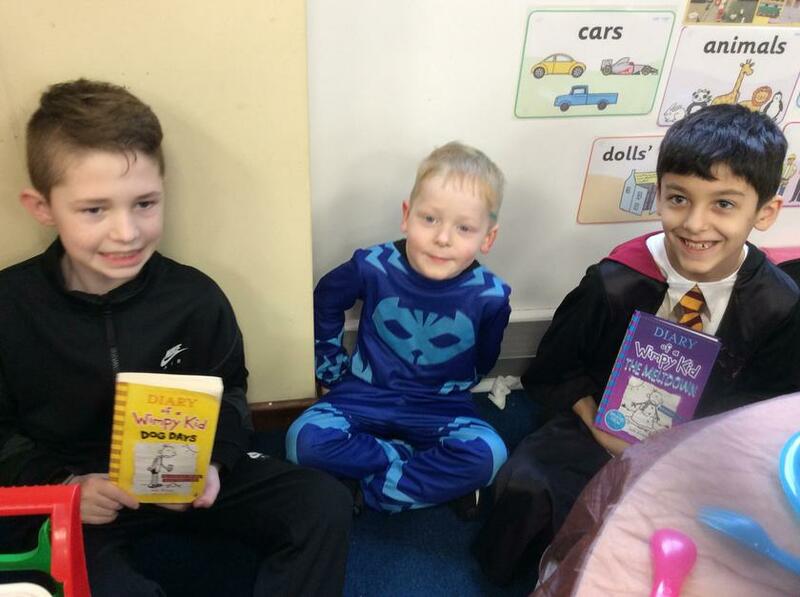 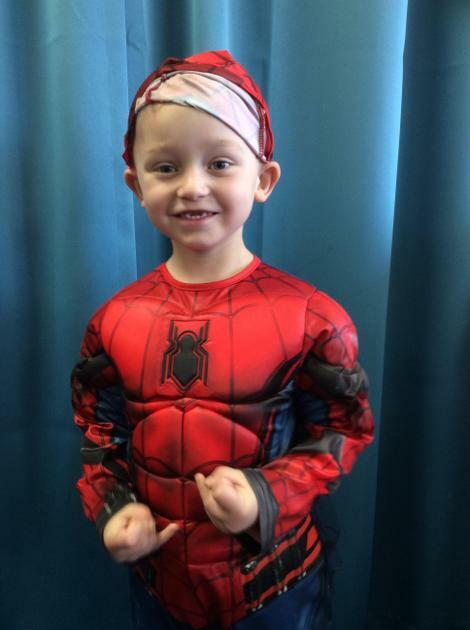 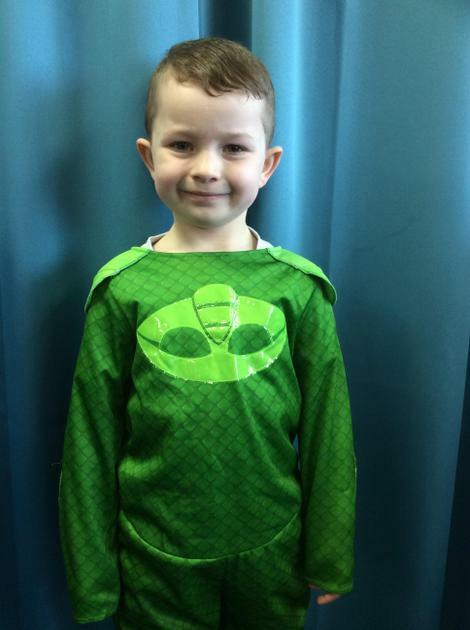 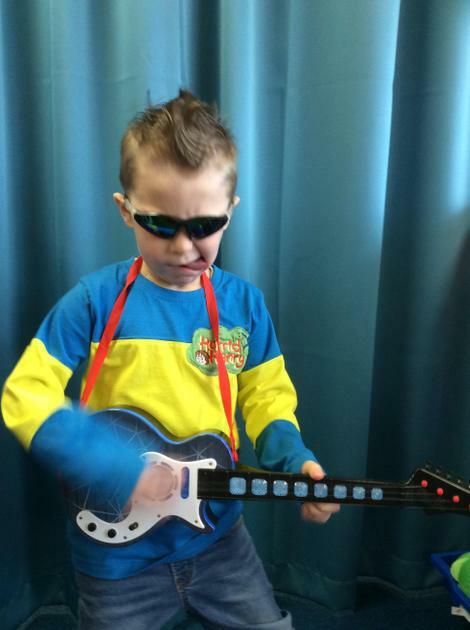 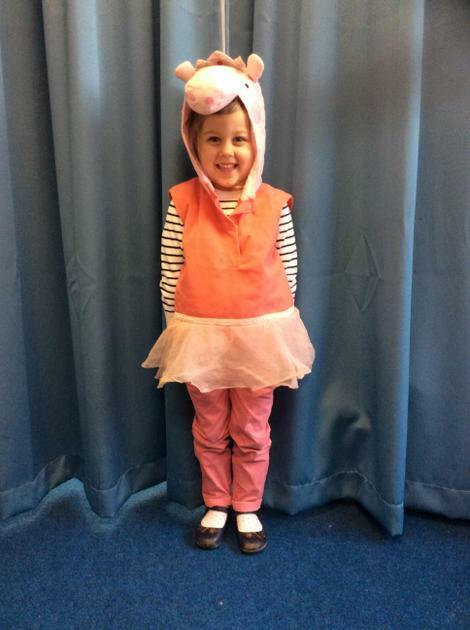 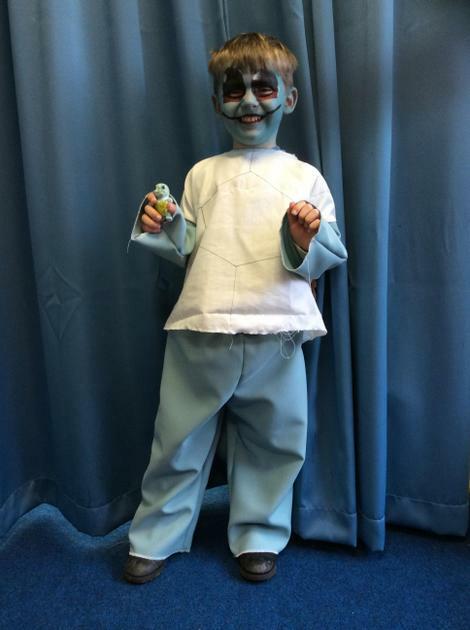 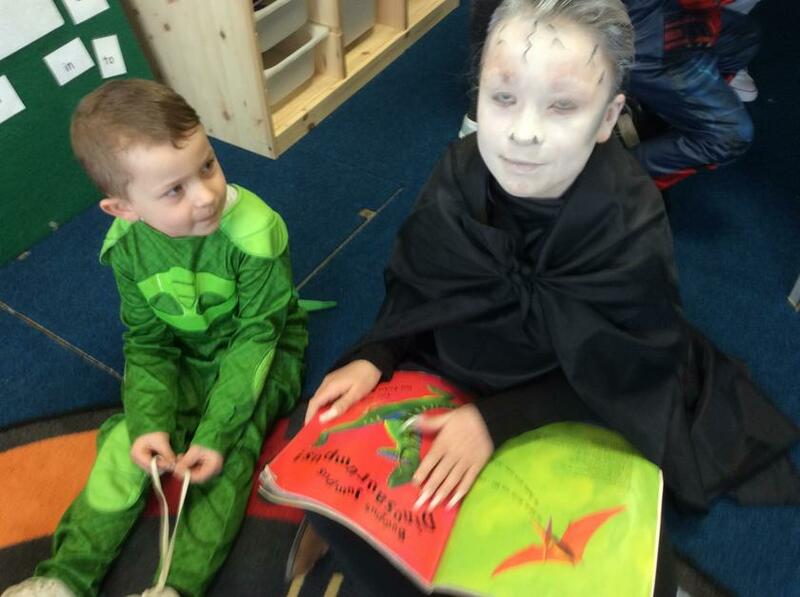 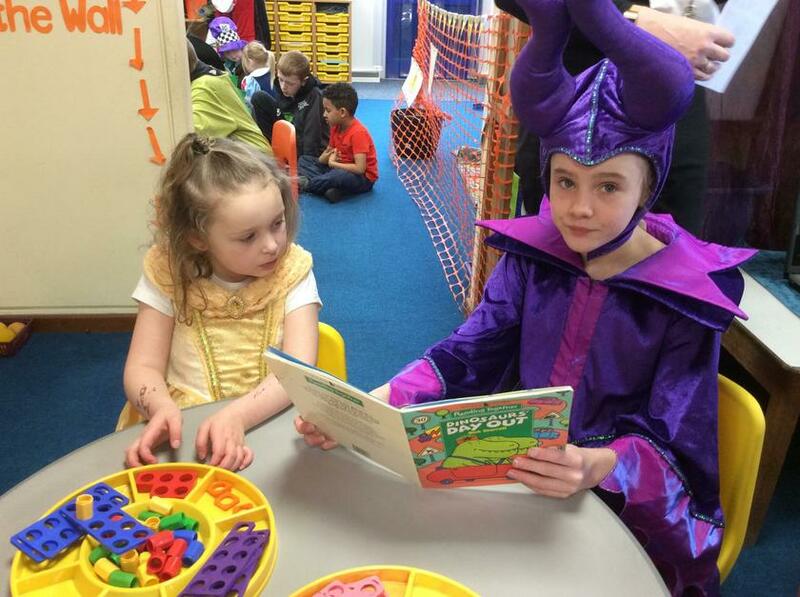 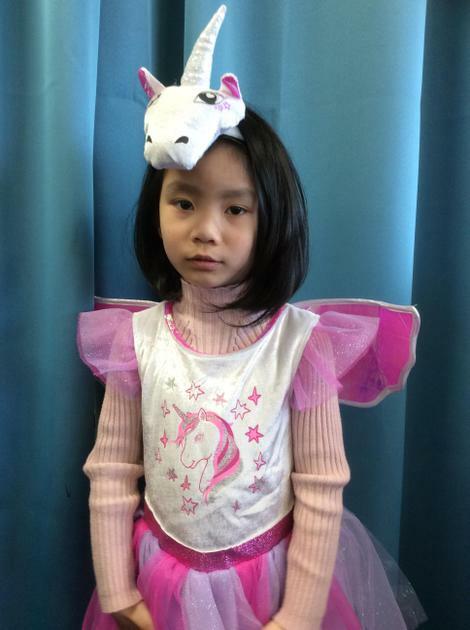 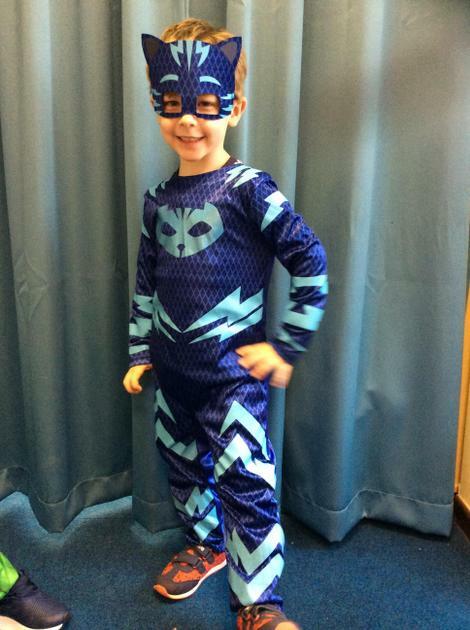 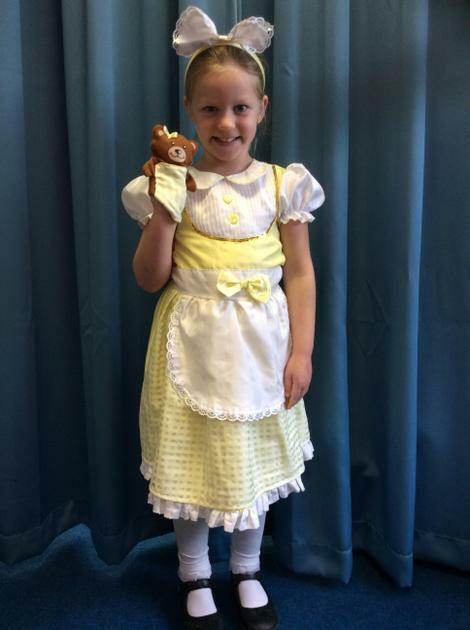 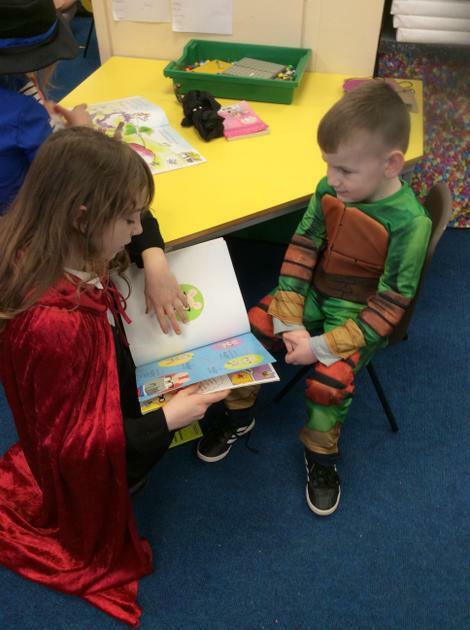 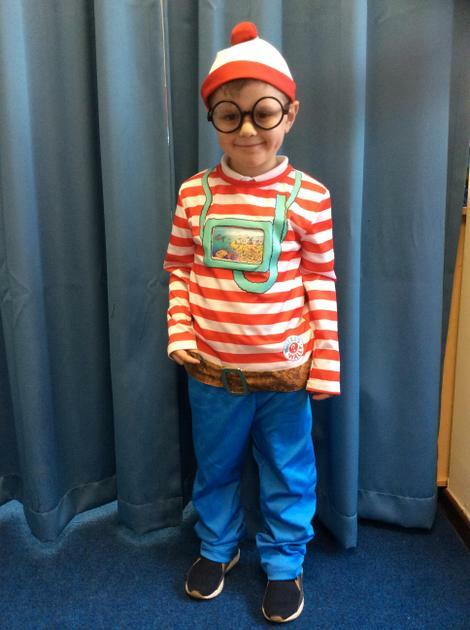 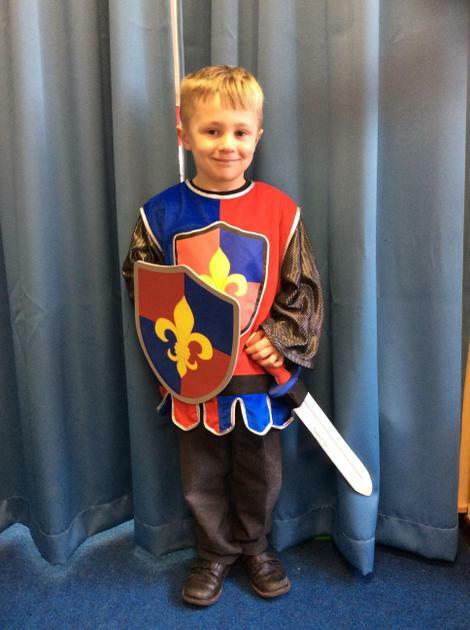 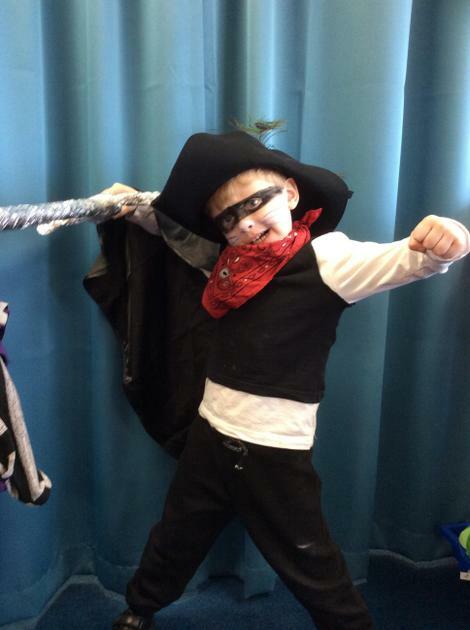 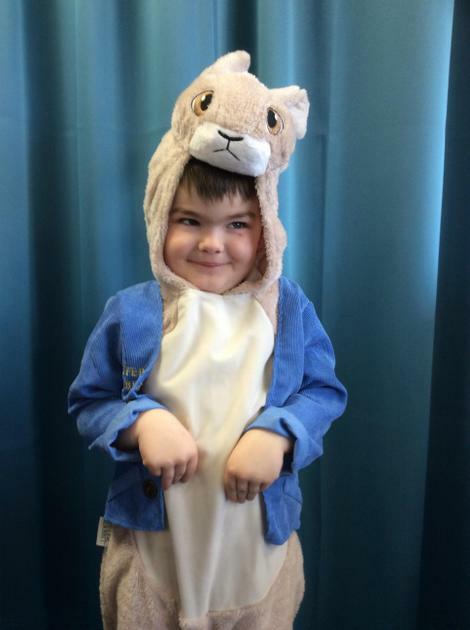 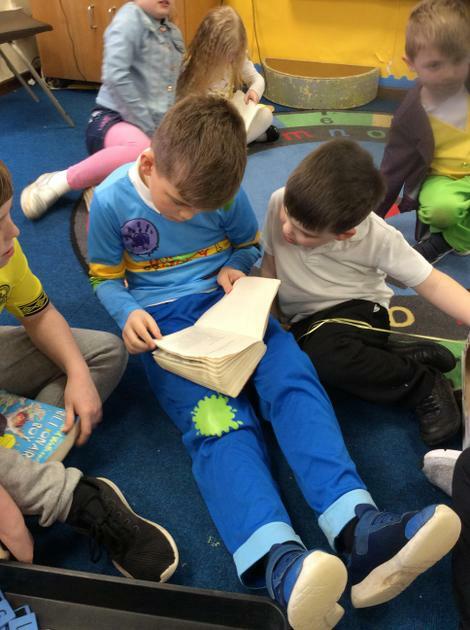 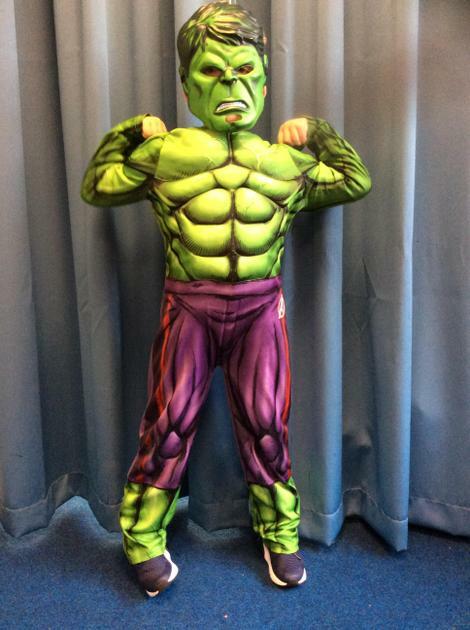 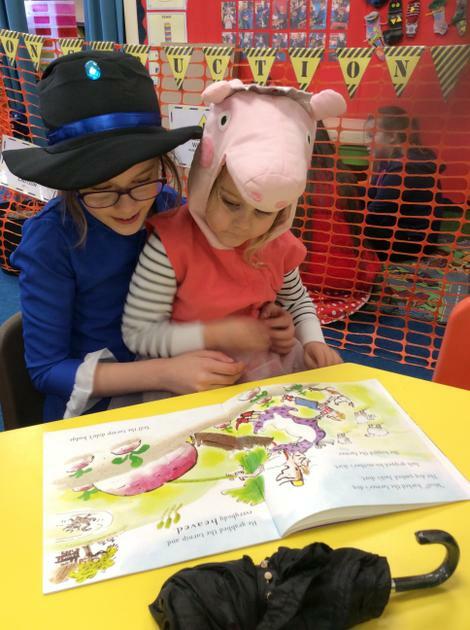 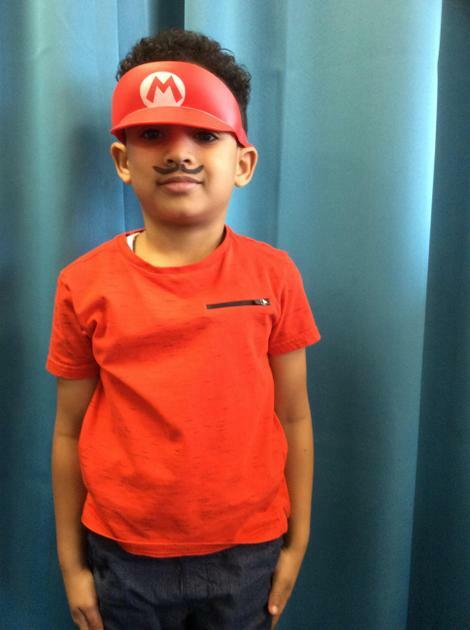 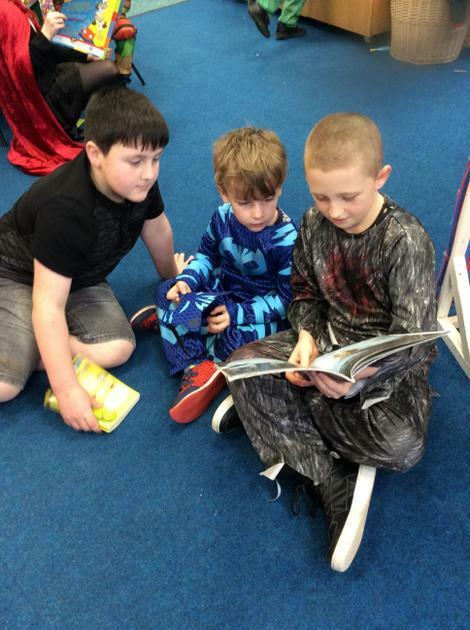 Keeping the "World Book Day" spirit alive. 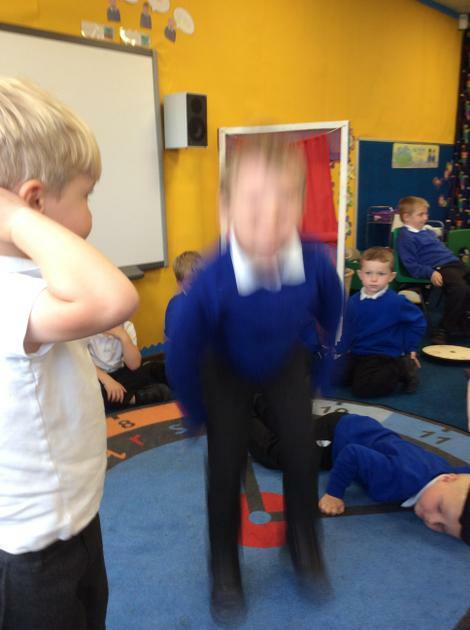 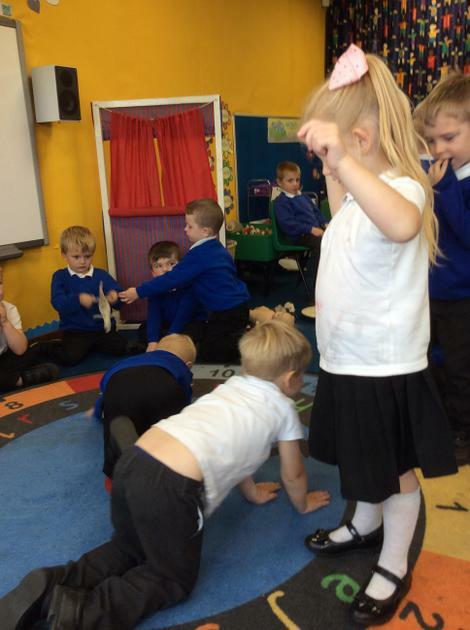 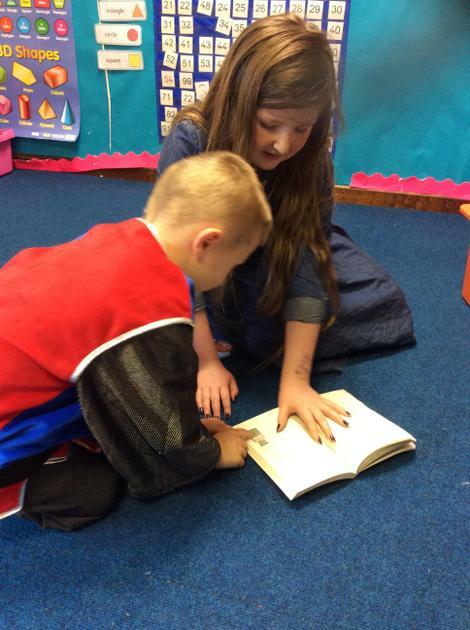 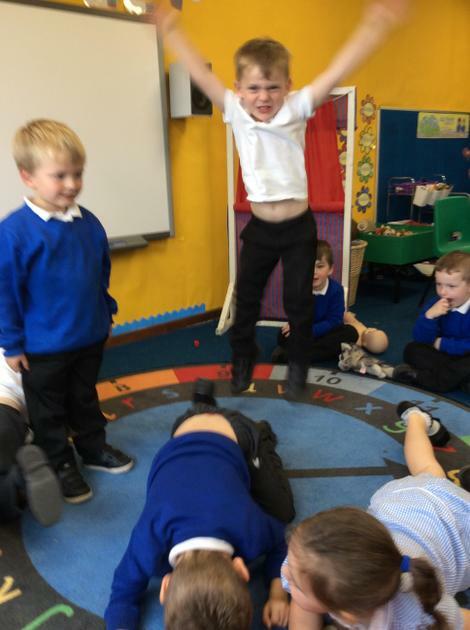 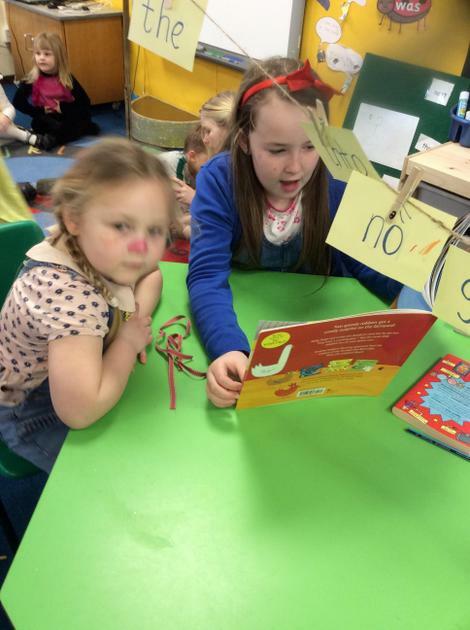 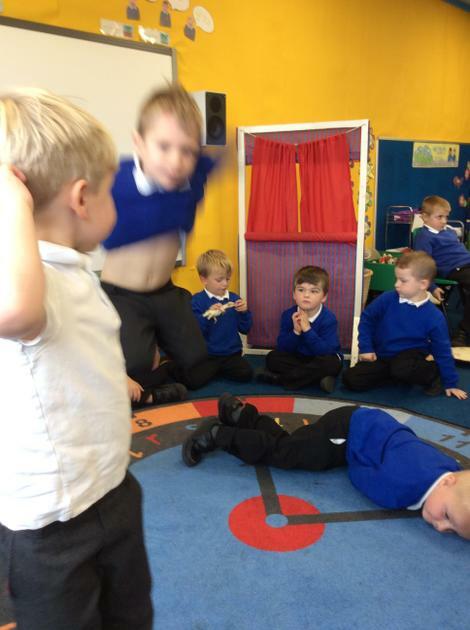 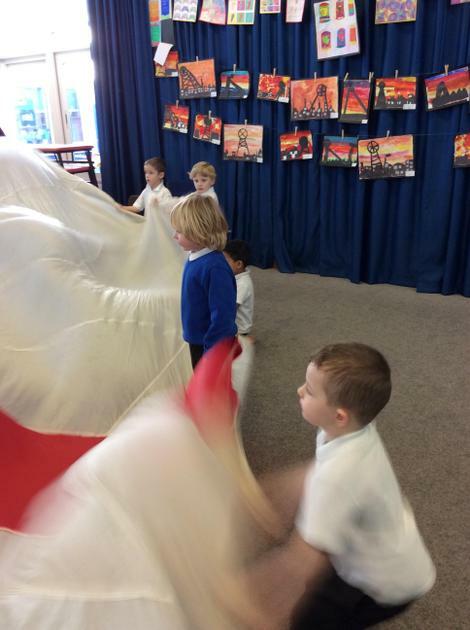 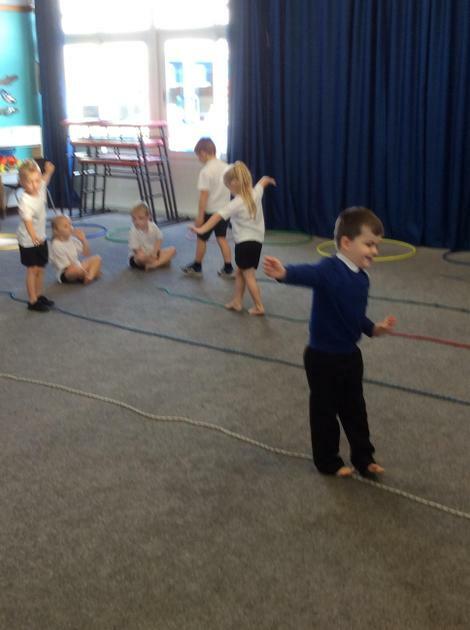 We made our own 'Superworm' dance today for the Julia Donaldson story. 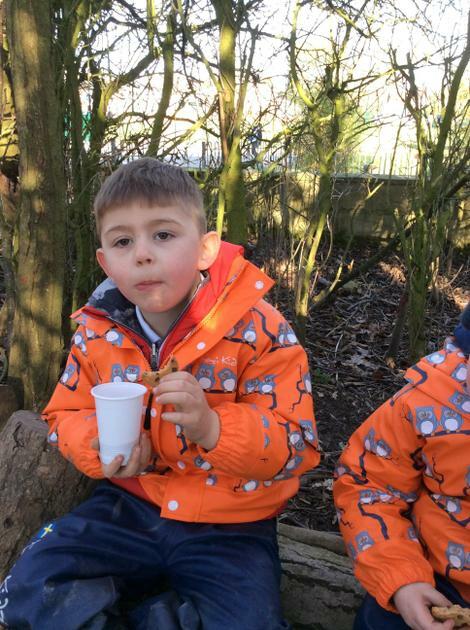 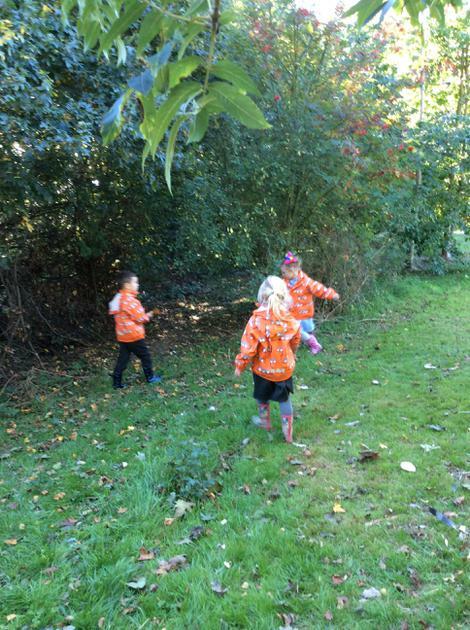 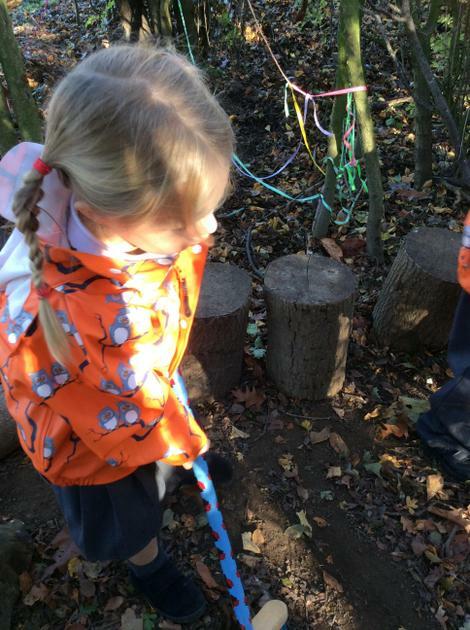 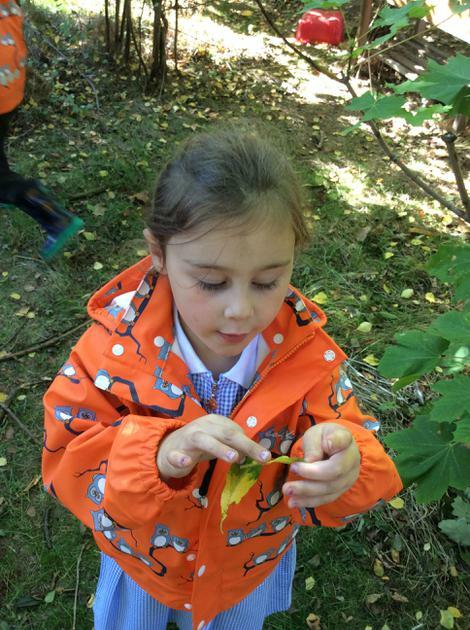 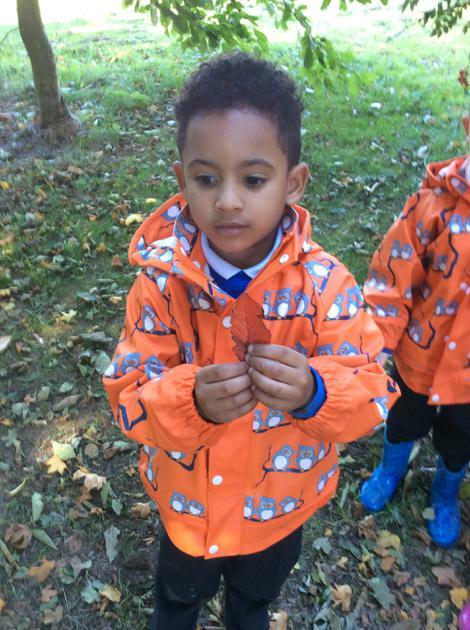 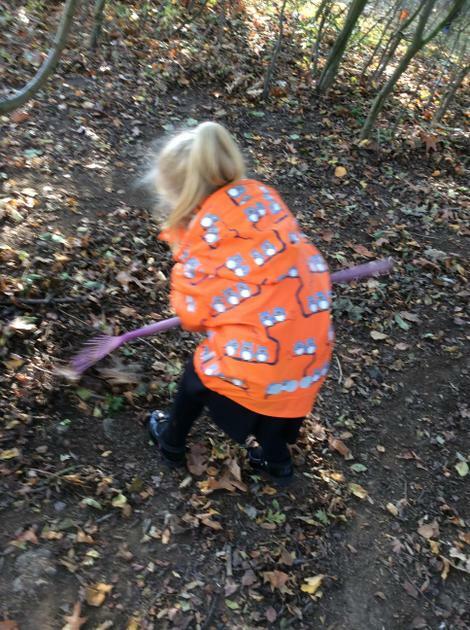 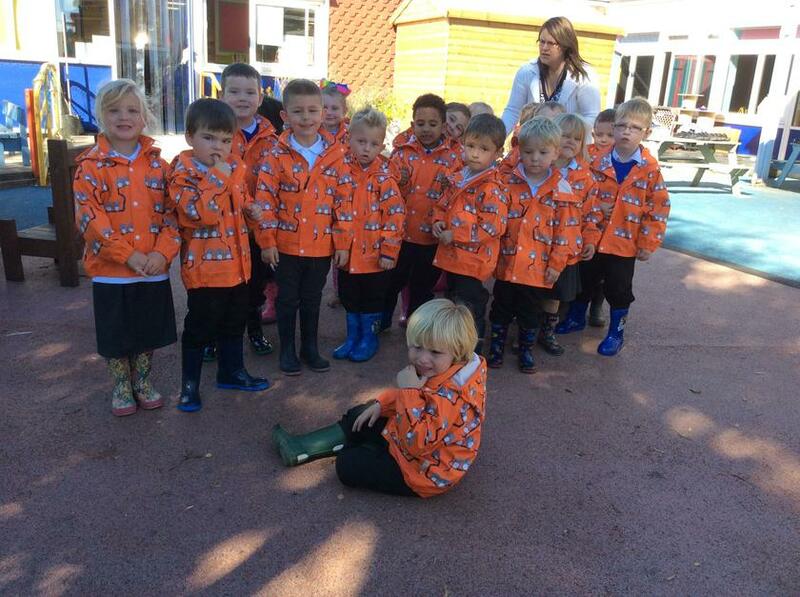 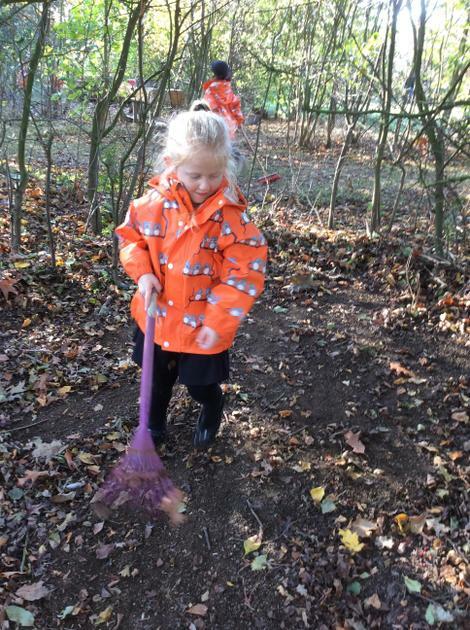 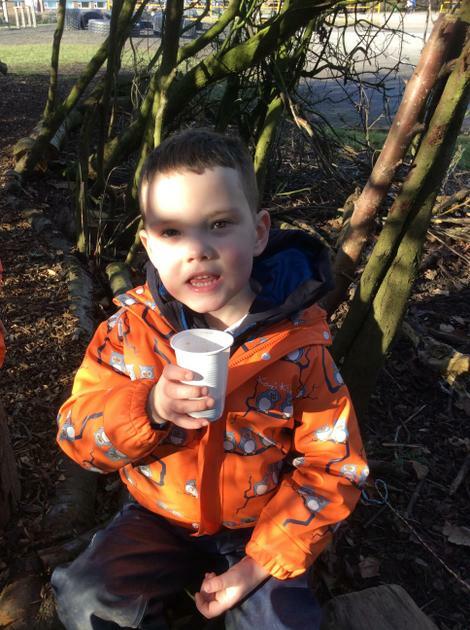 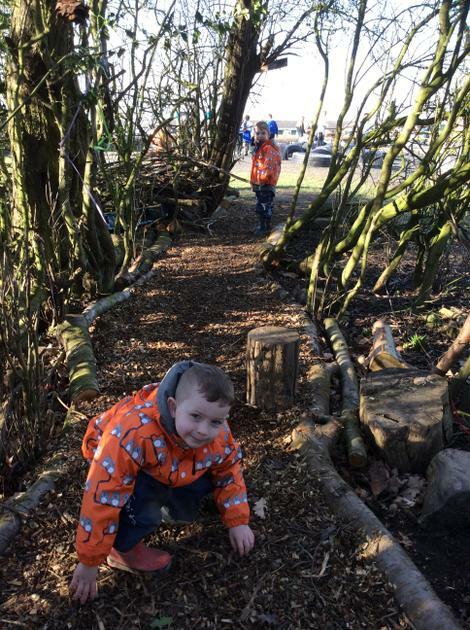 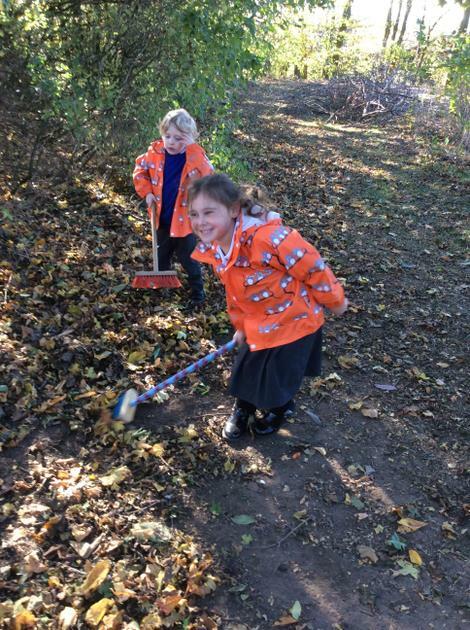 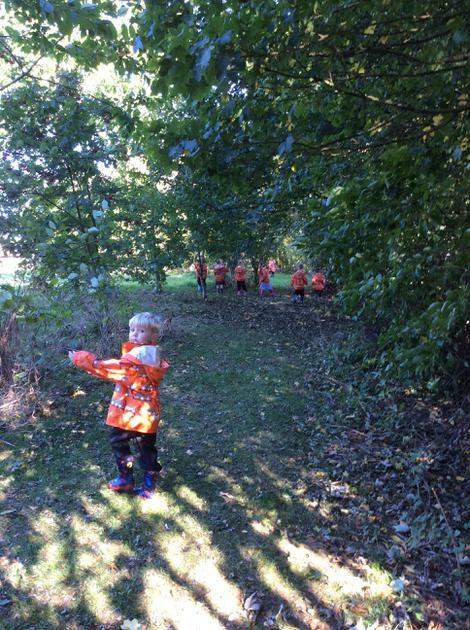 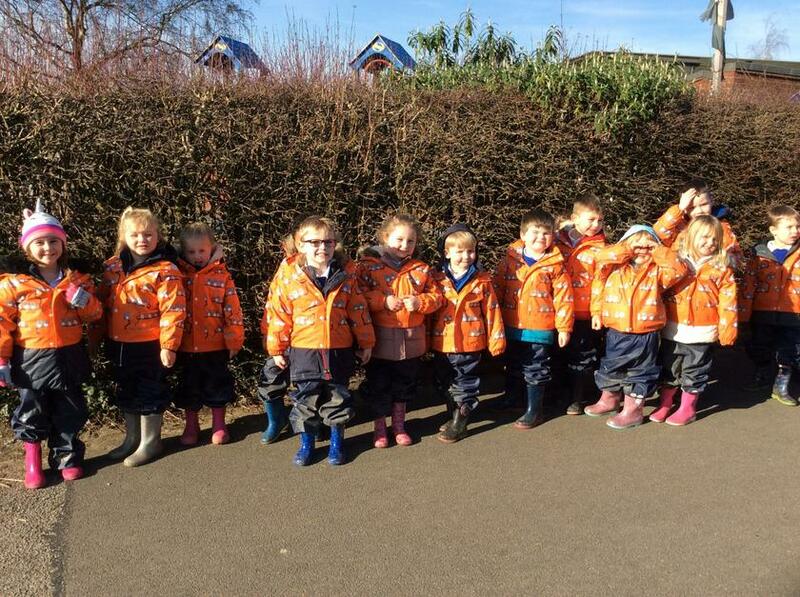 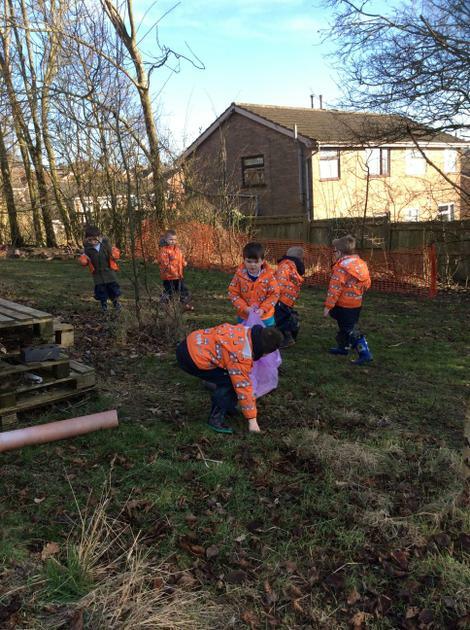 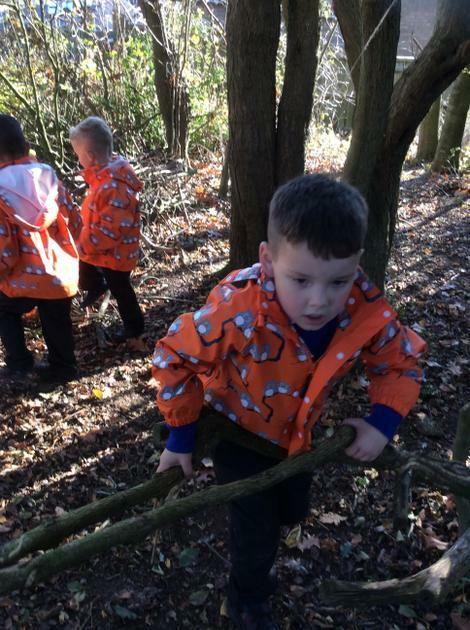 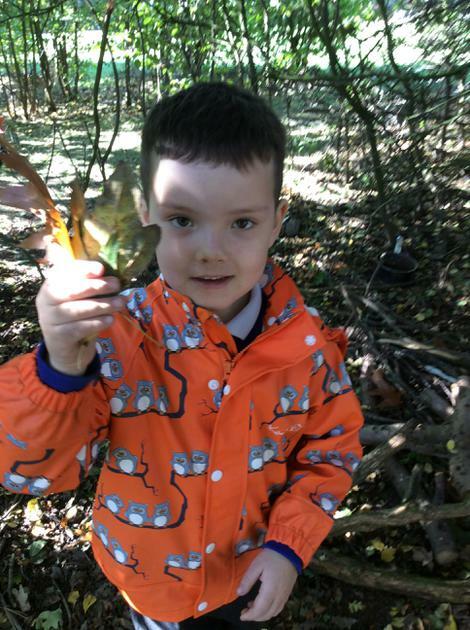 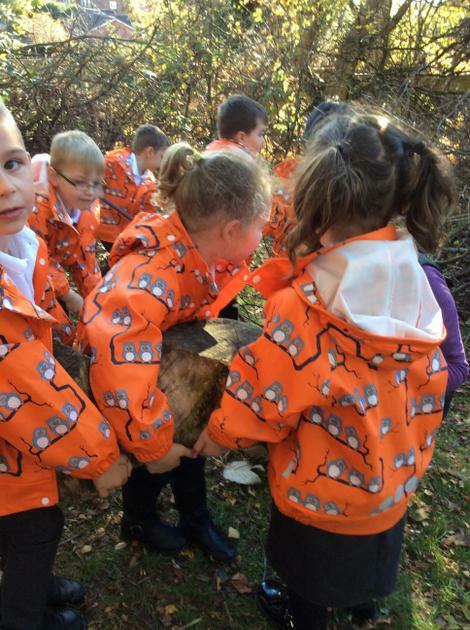 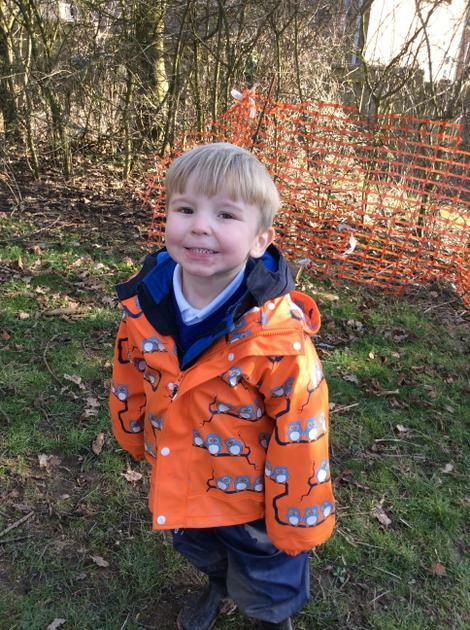 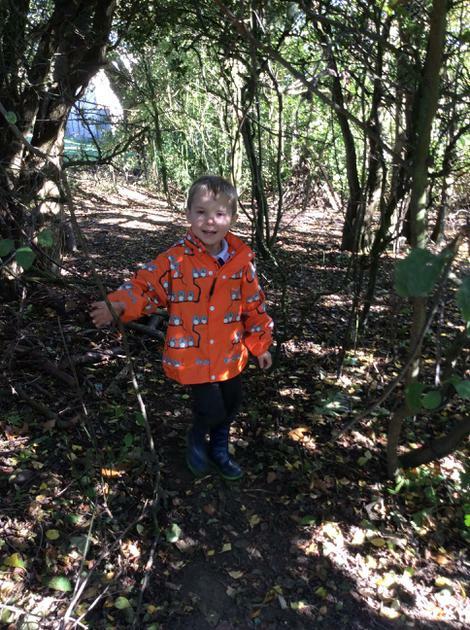 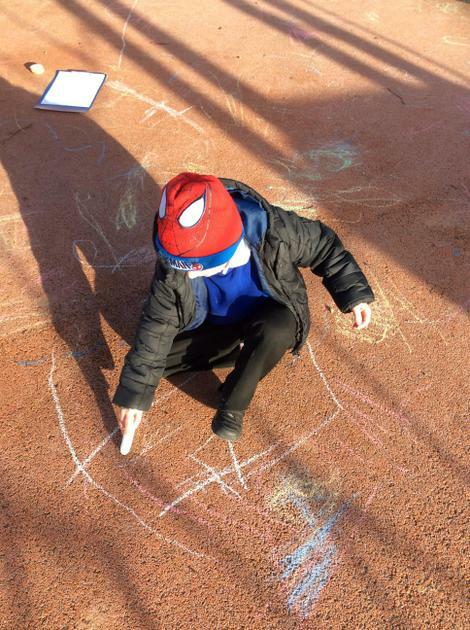 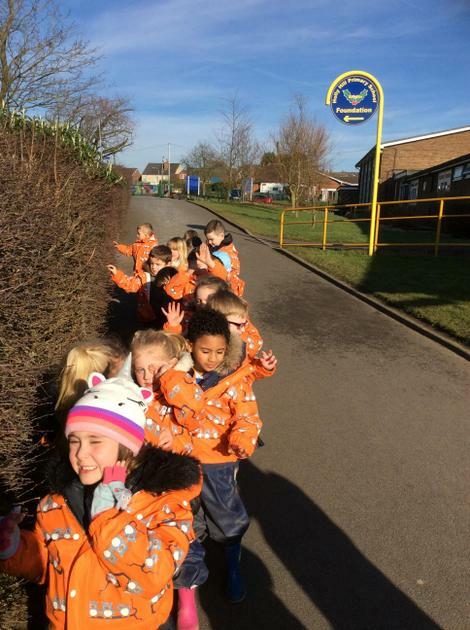 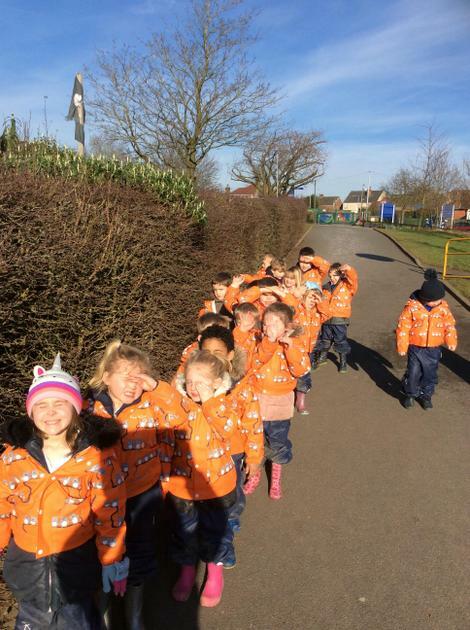 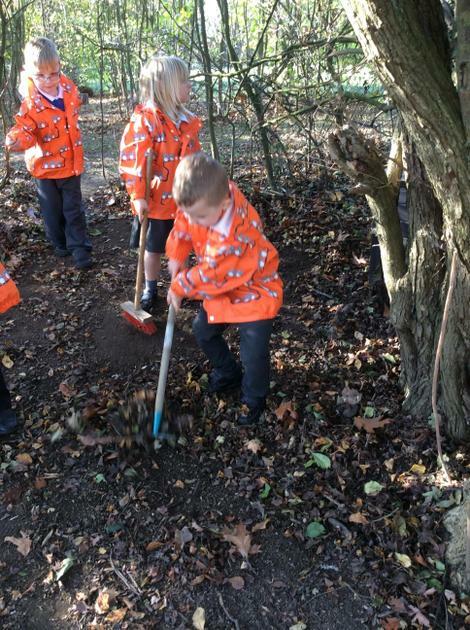 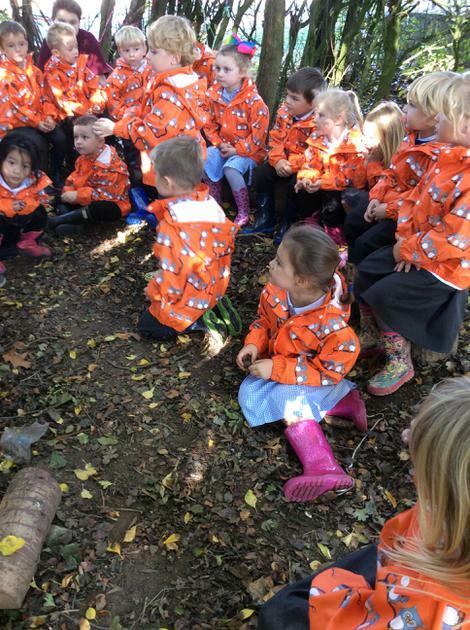 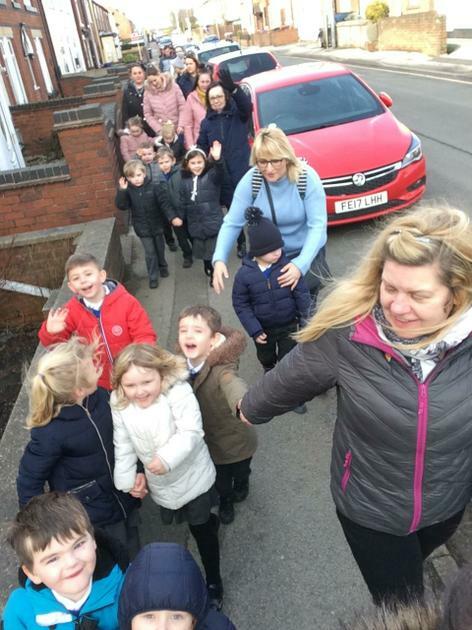 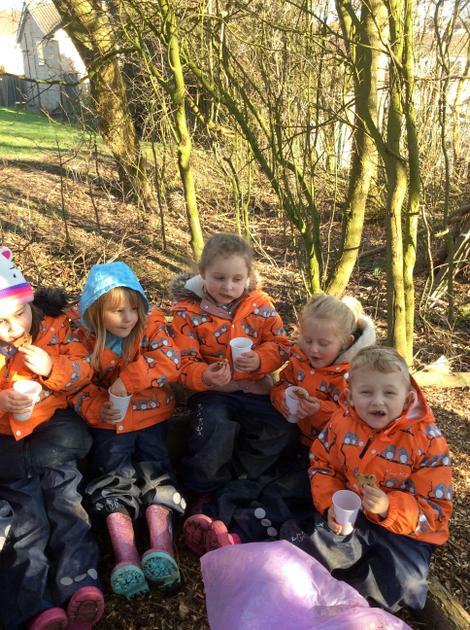 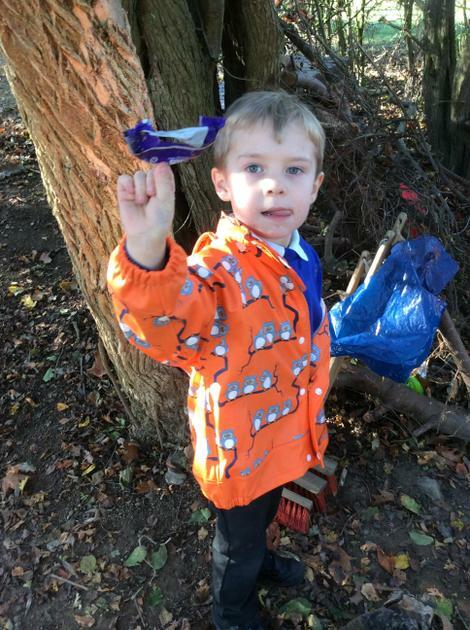 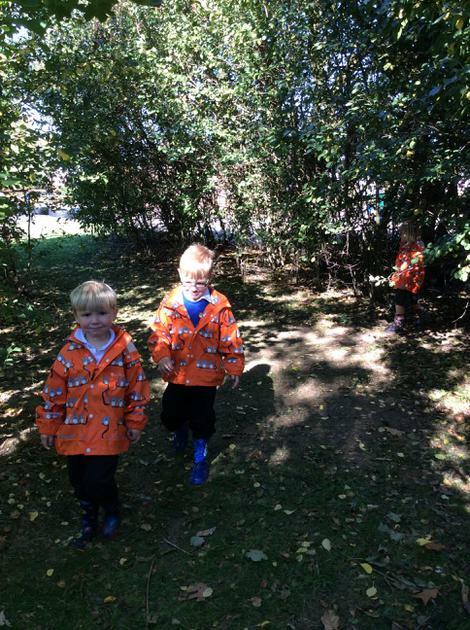 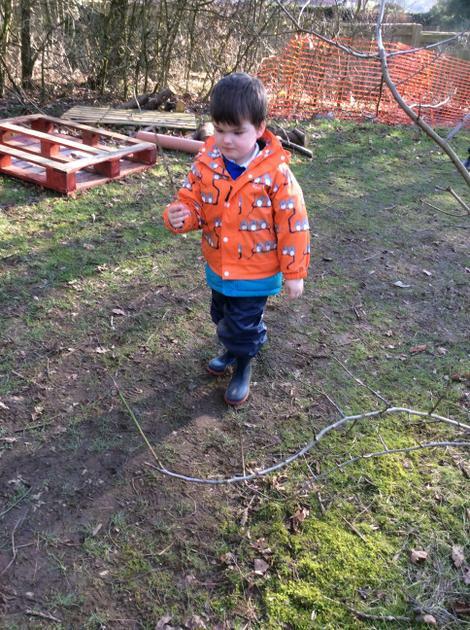 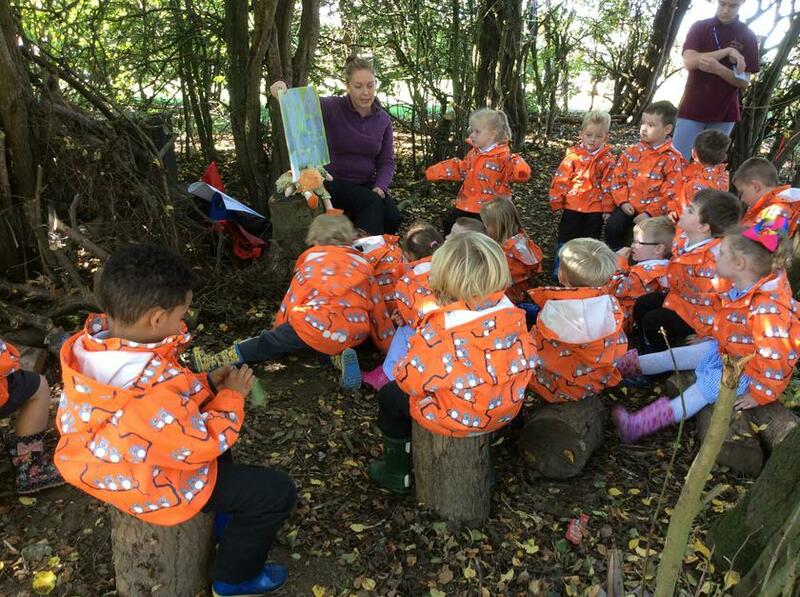 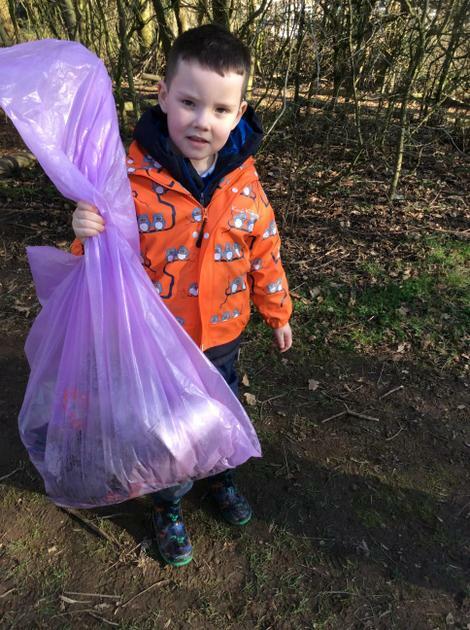 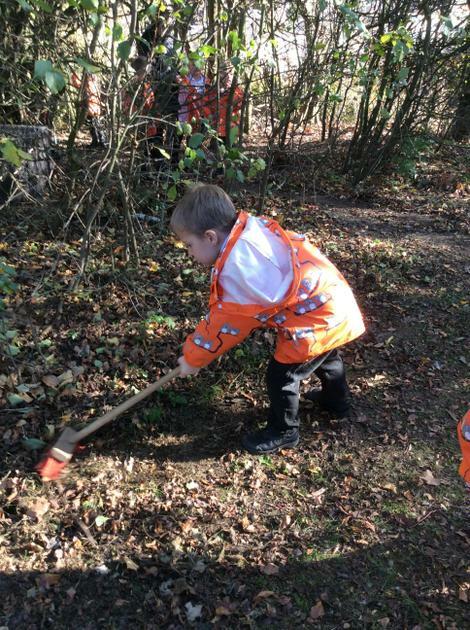 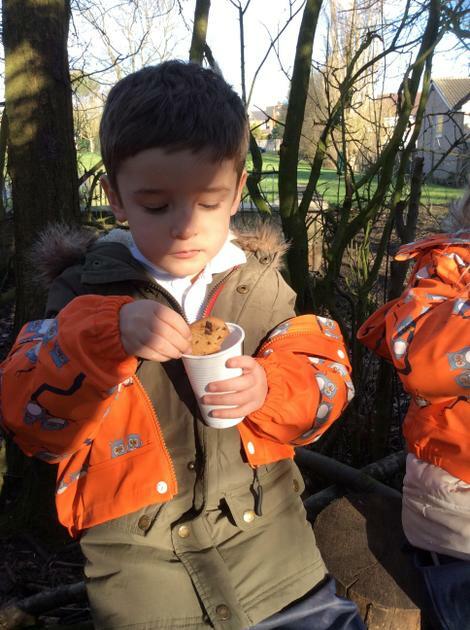 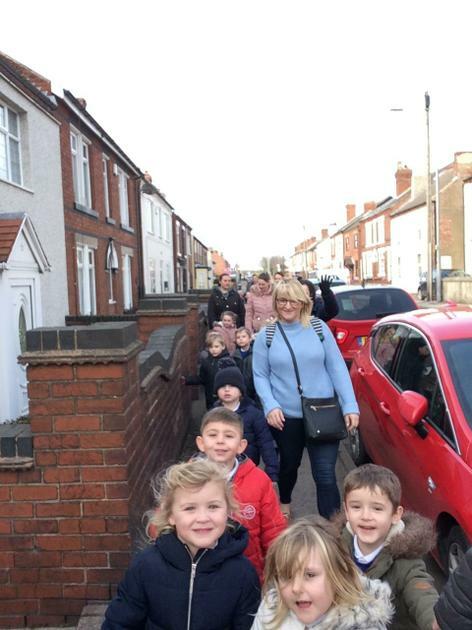 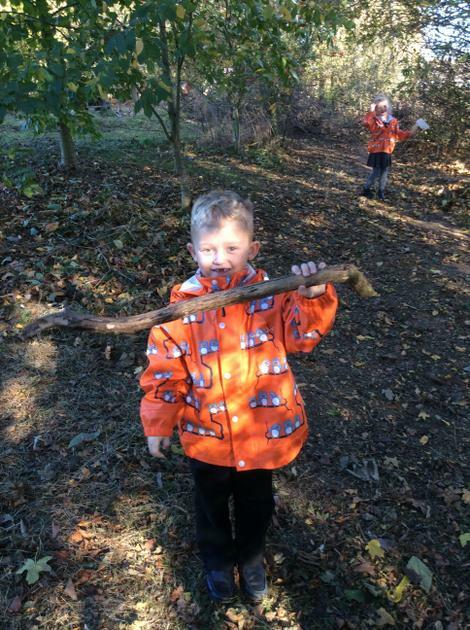 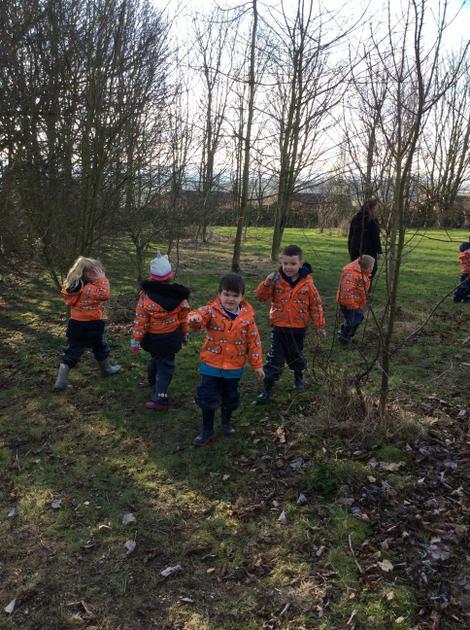 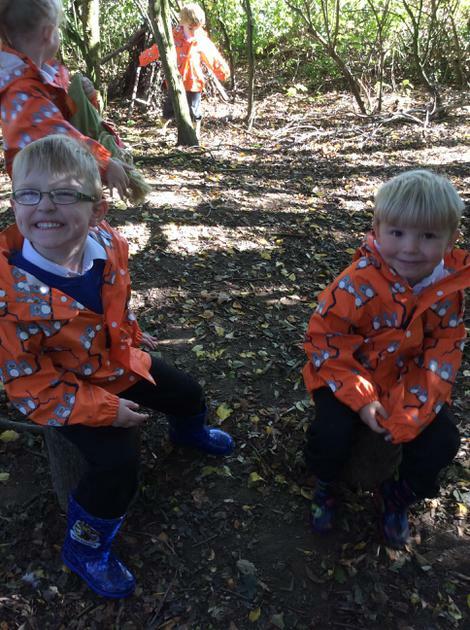 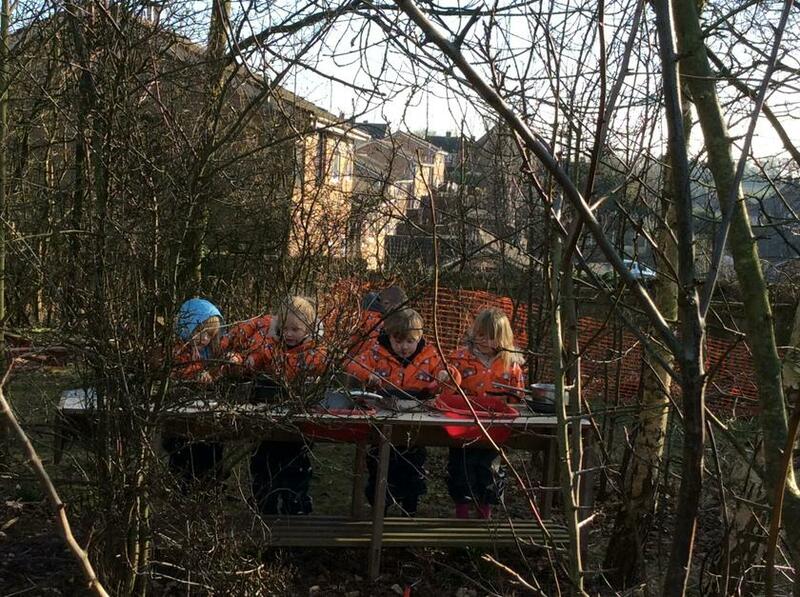 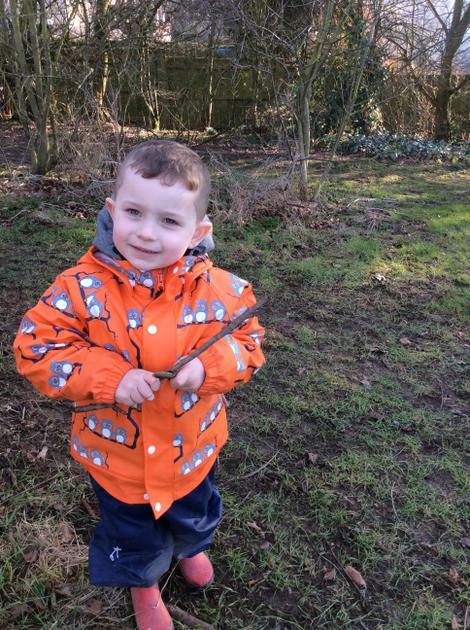 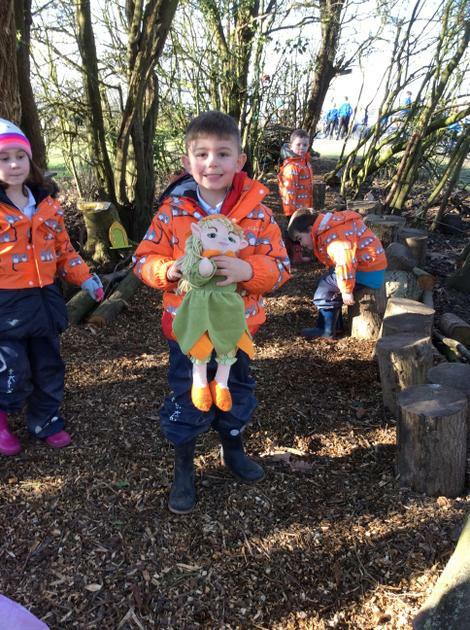 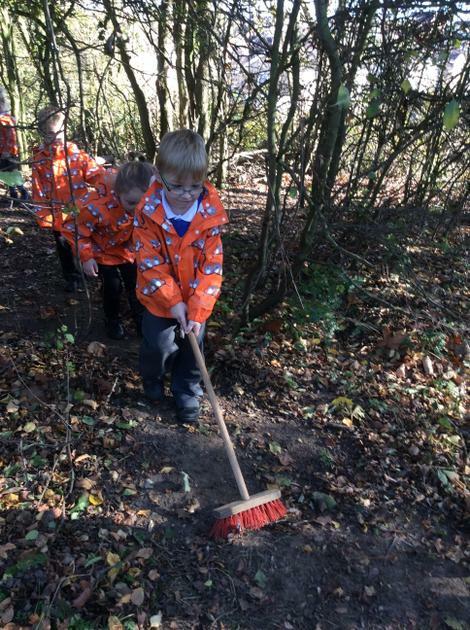 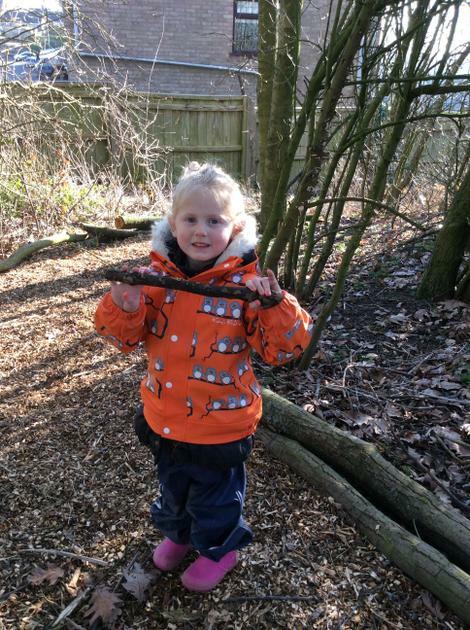 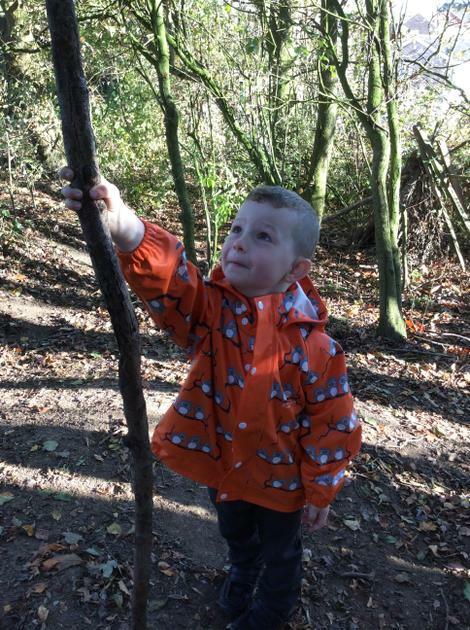 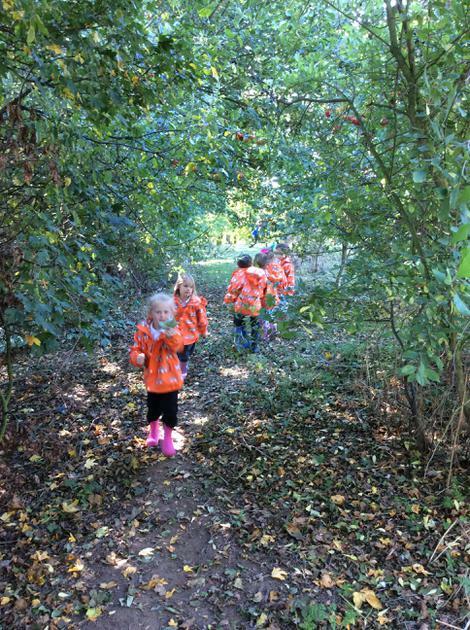 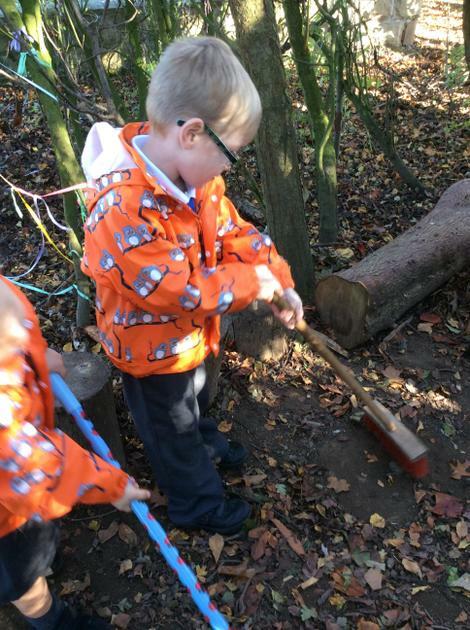 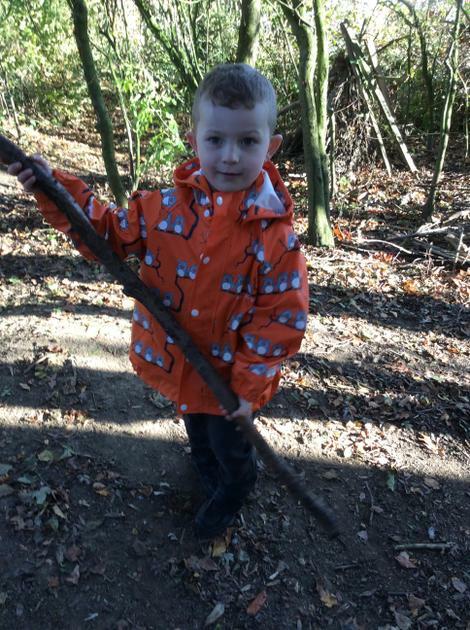 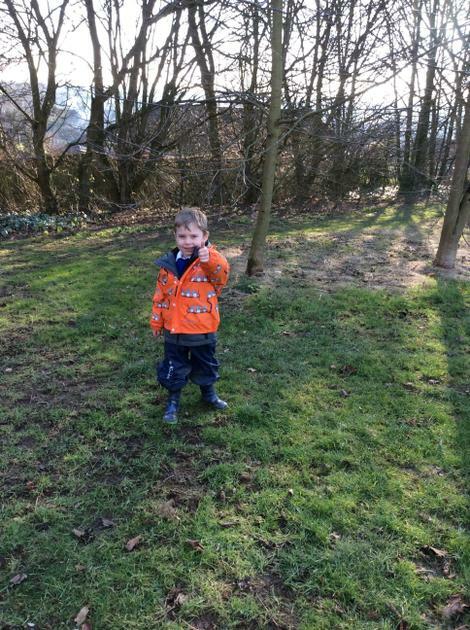 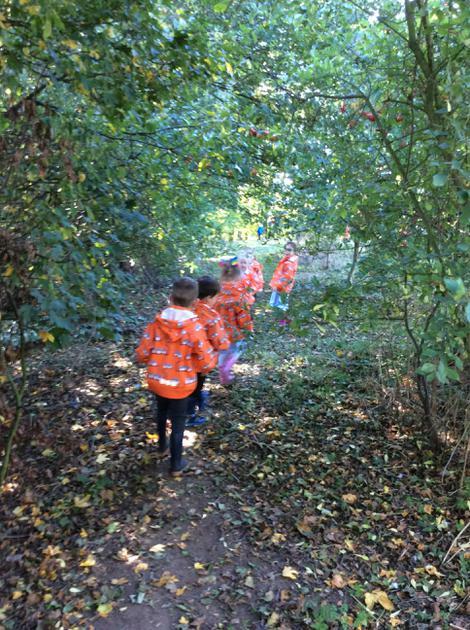 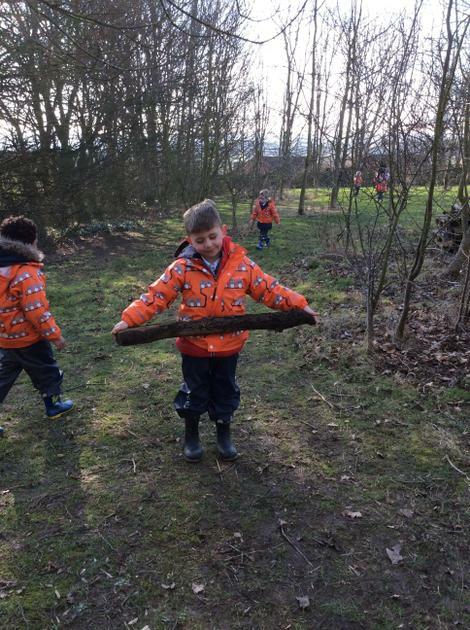 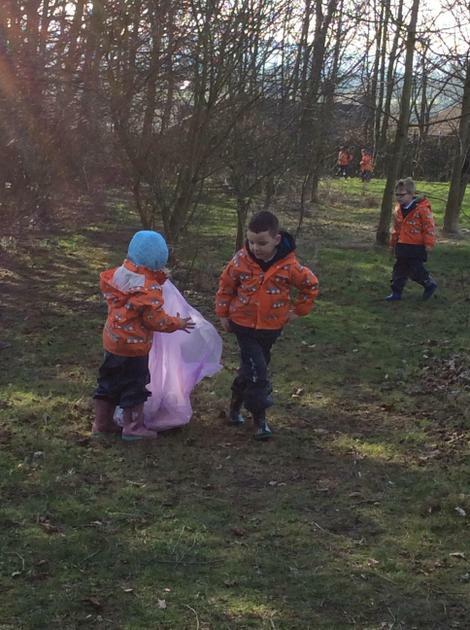 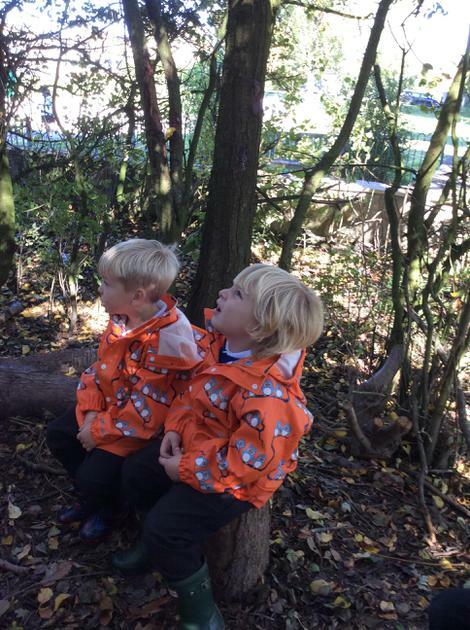 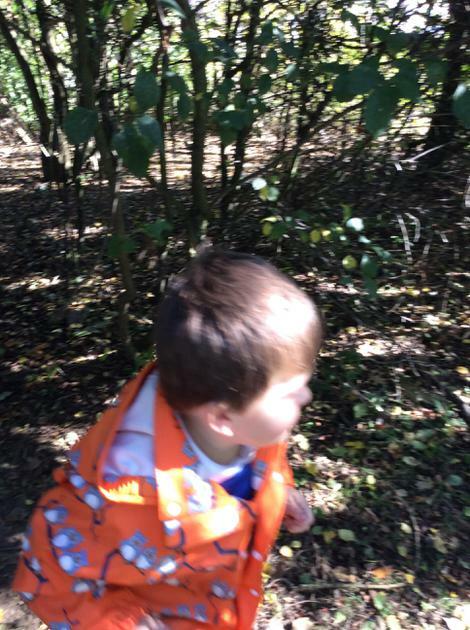 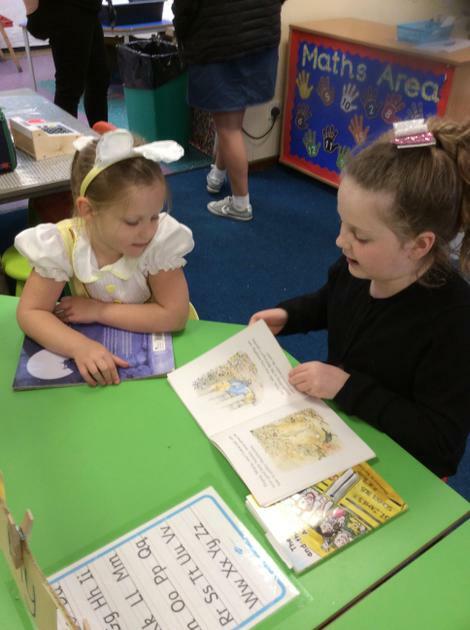 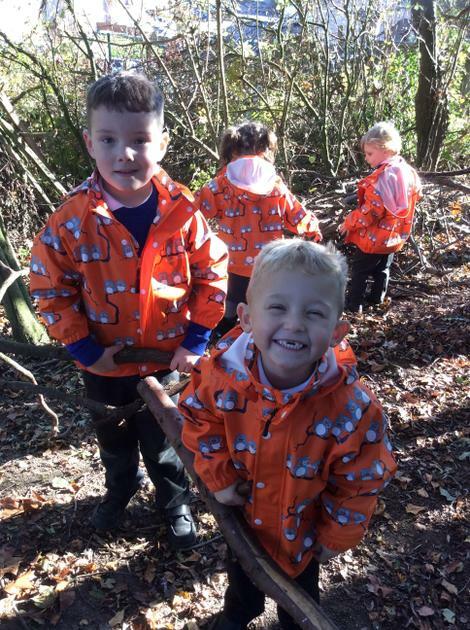 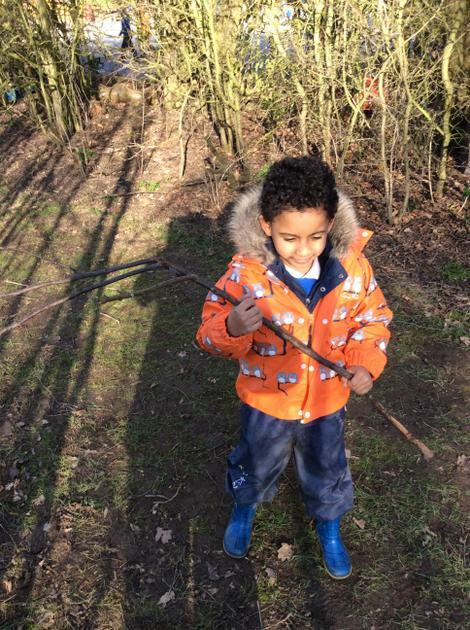 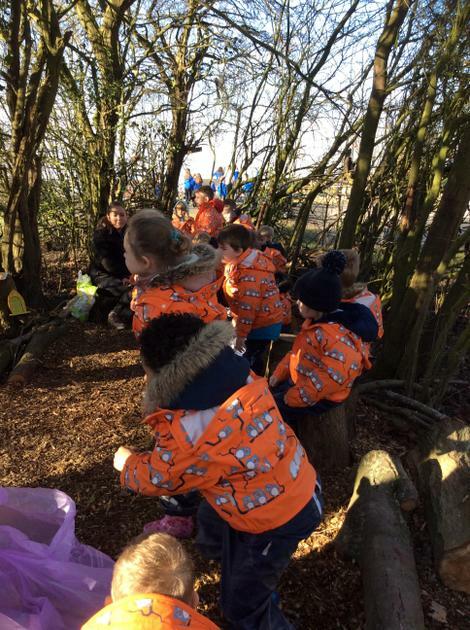 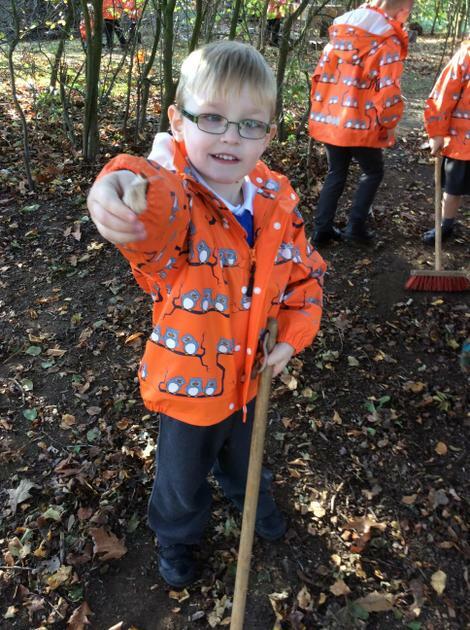 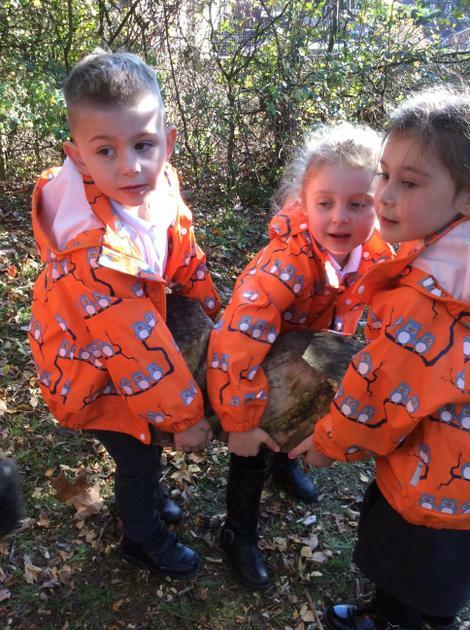 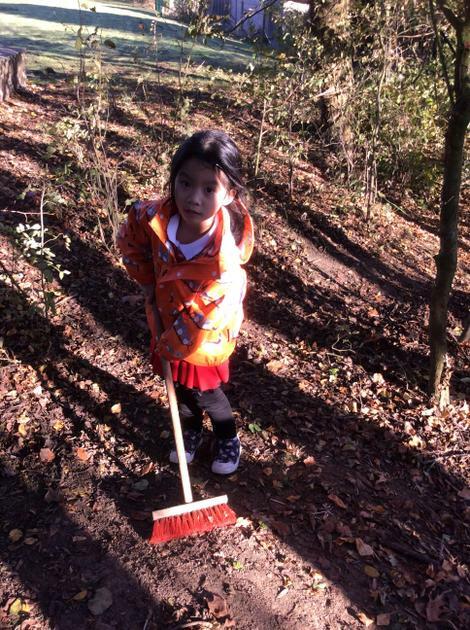 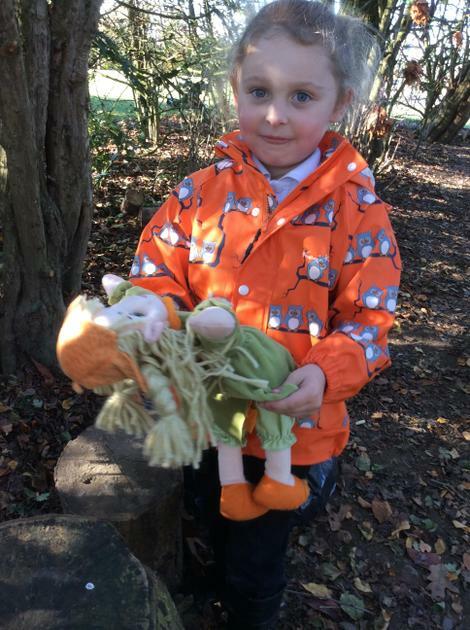 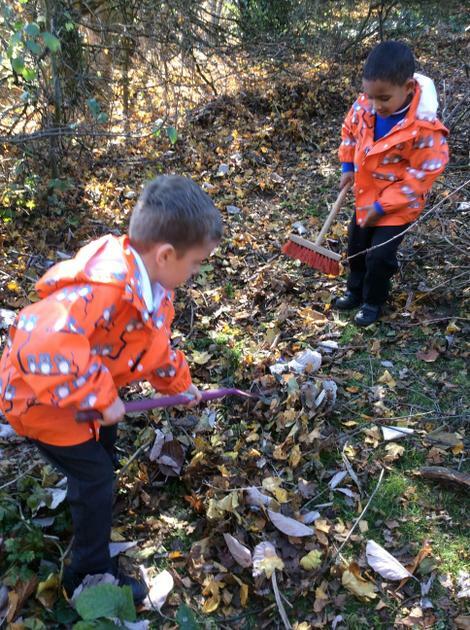 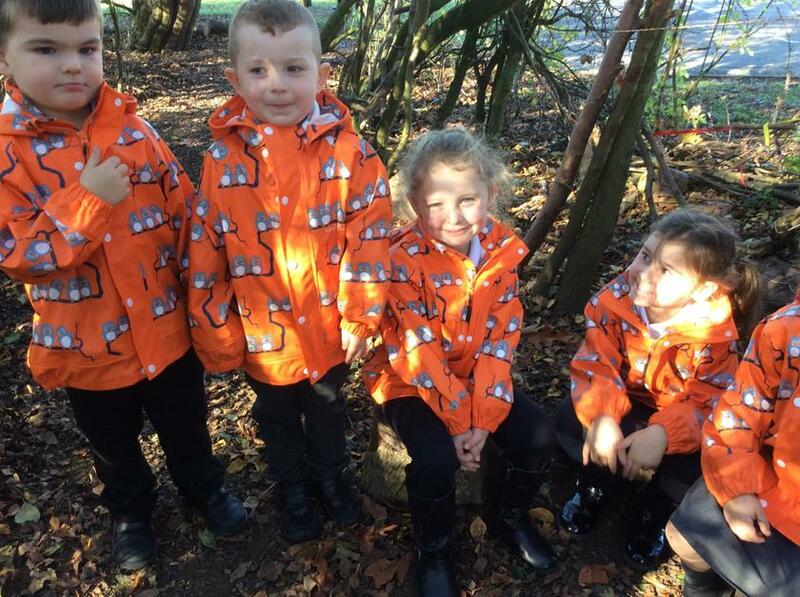 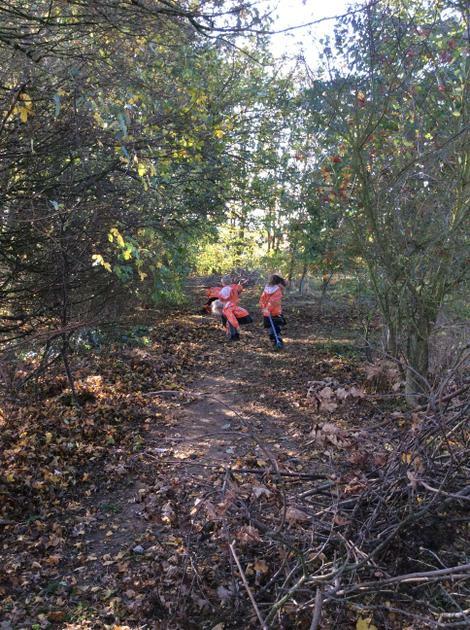 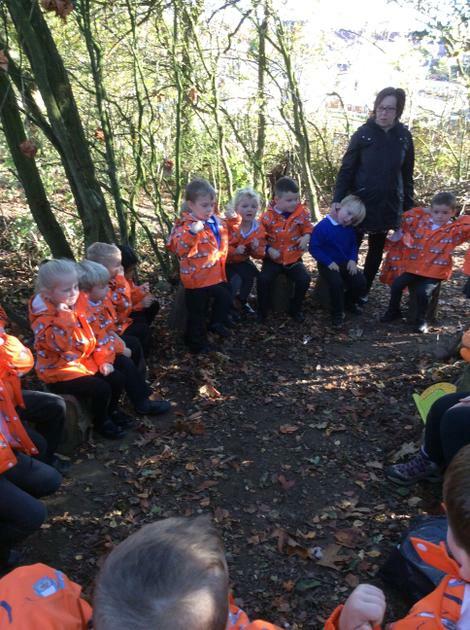 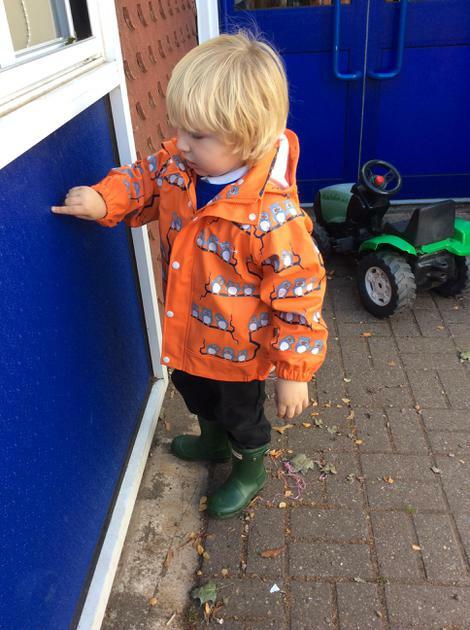 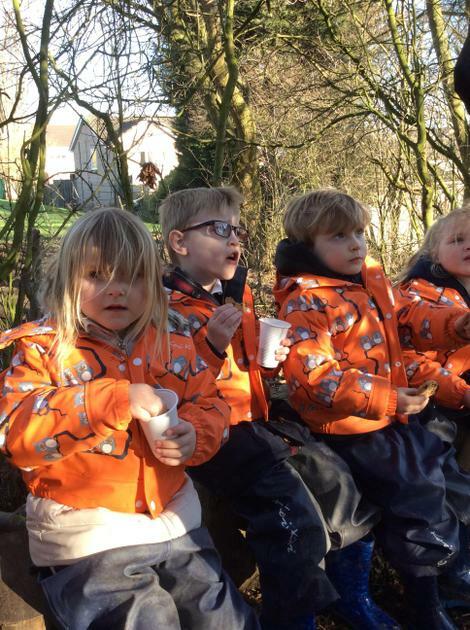 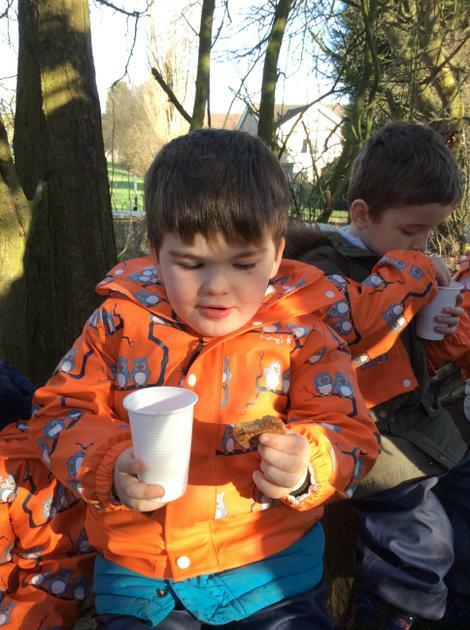 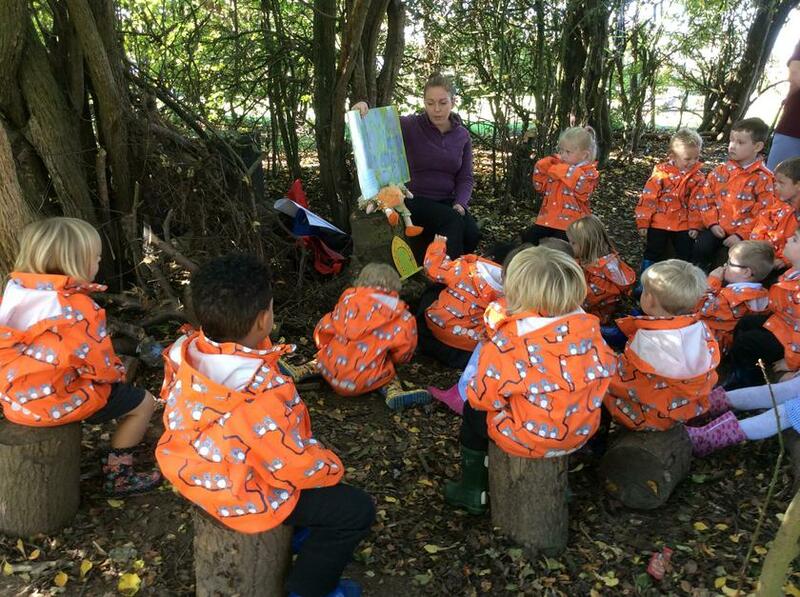 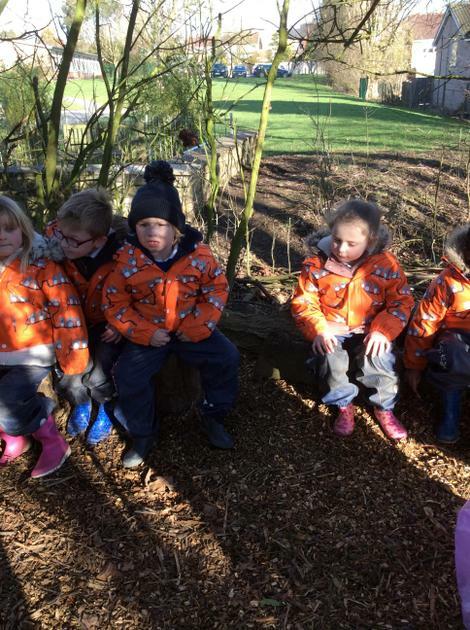 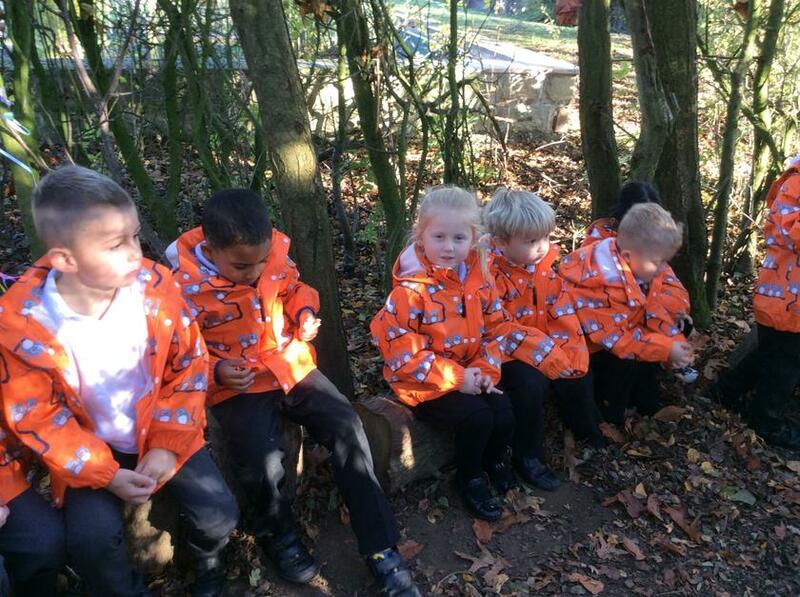 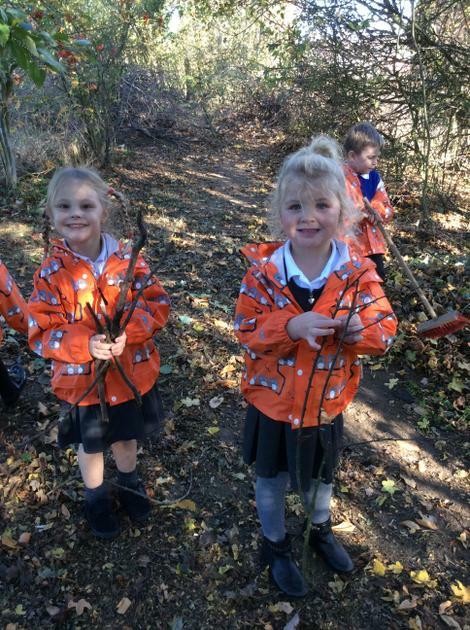 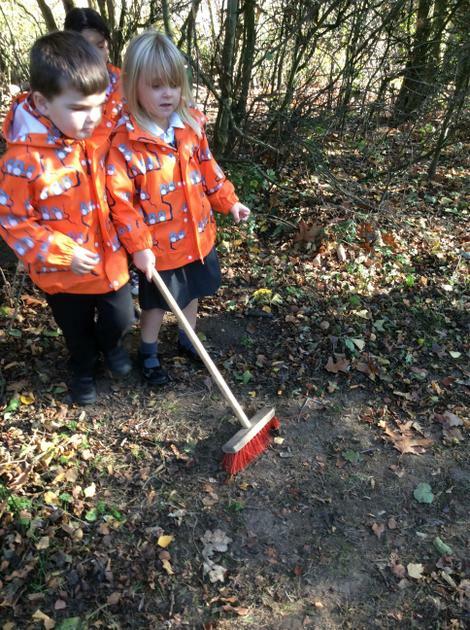 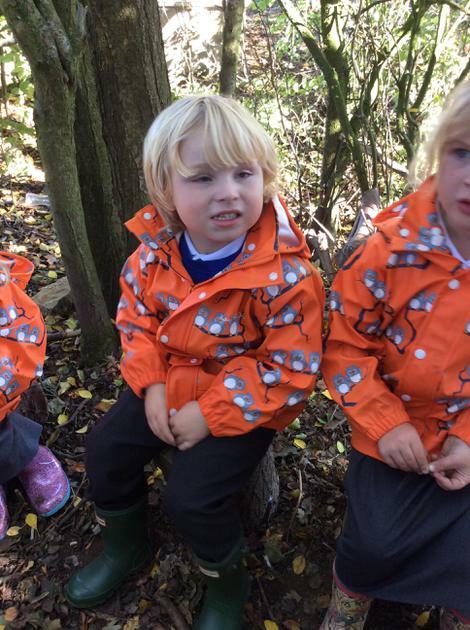 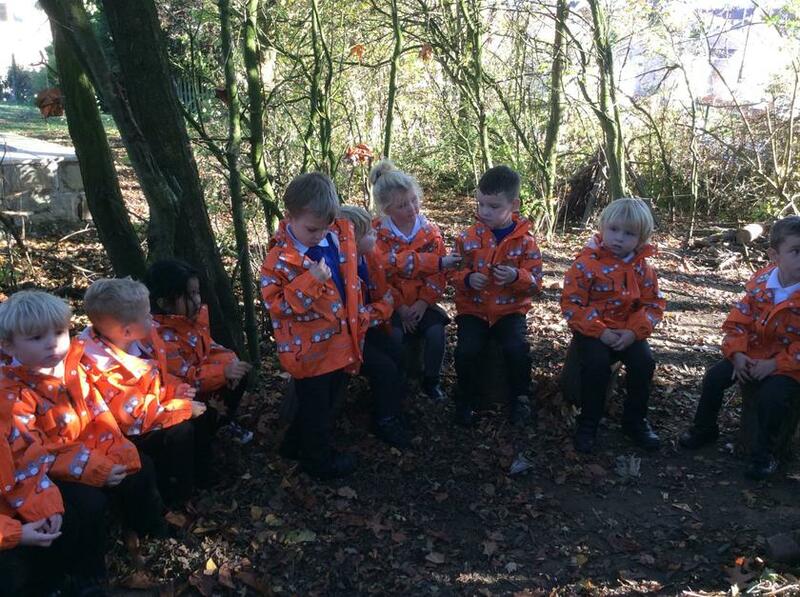 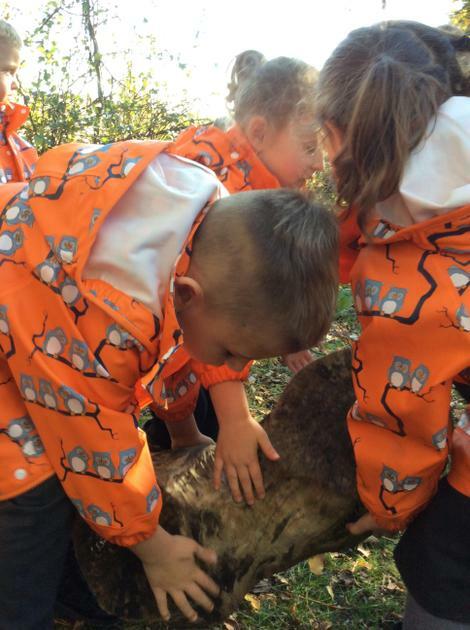 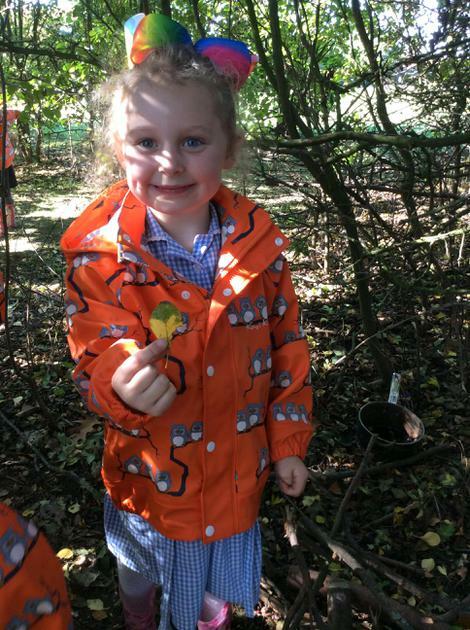 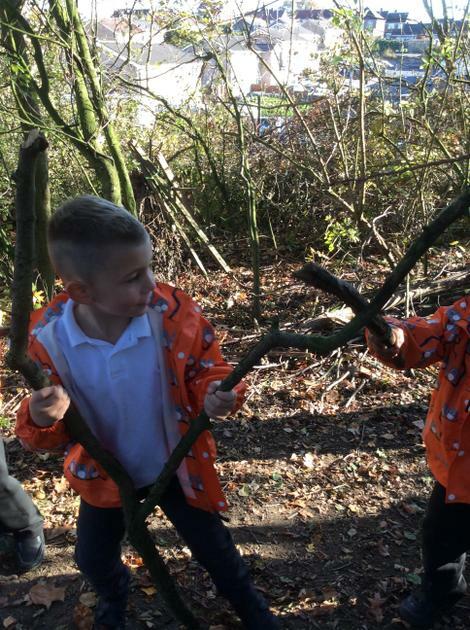 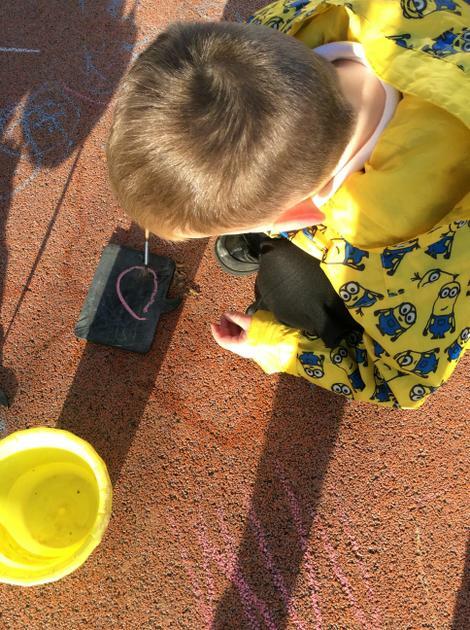 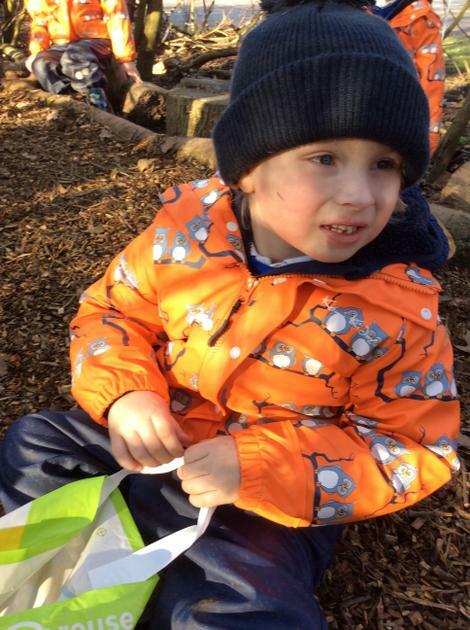 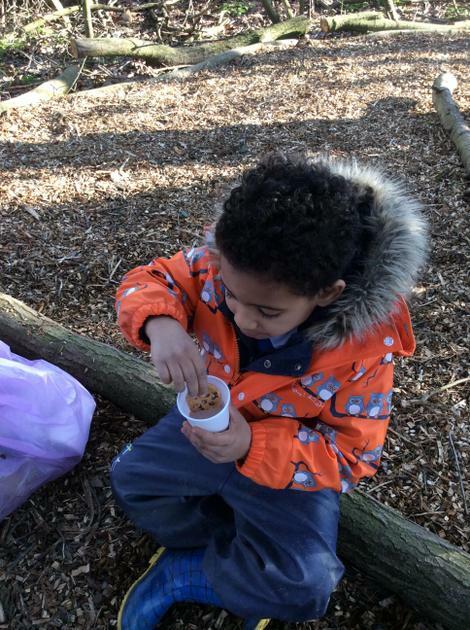 We went out and about in Selston looking at the different places in our village just like in our class book “Mrs. 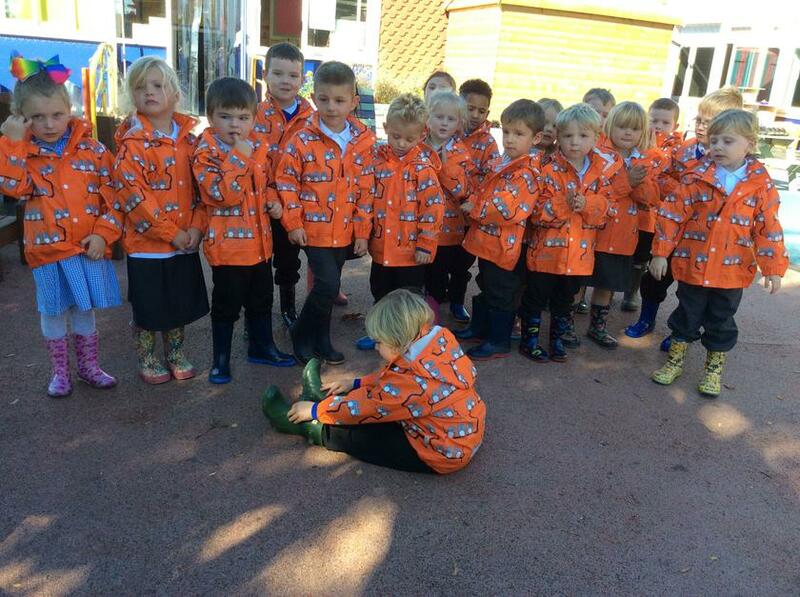 Vicker’s Knickers”. 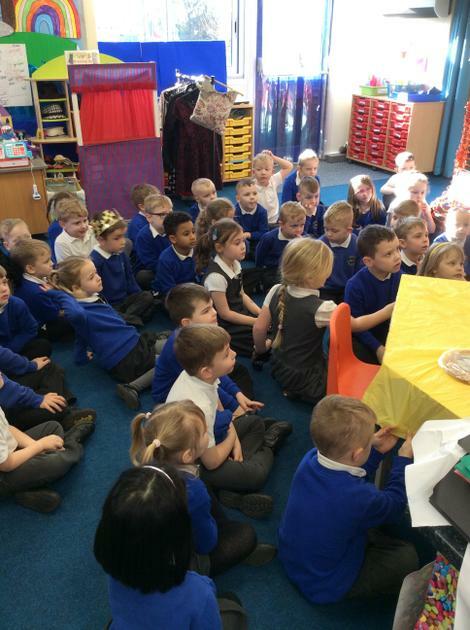 We saw the post office, doctors, allotments and school and spoke about what these places are for. 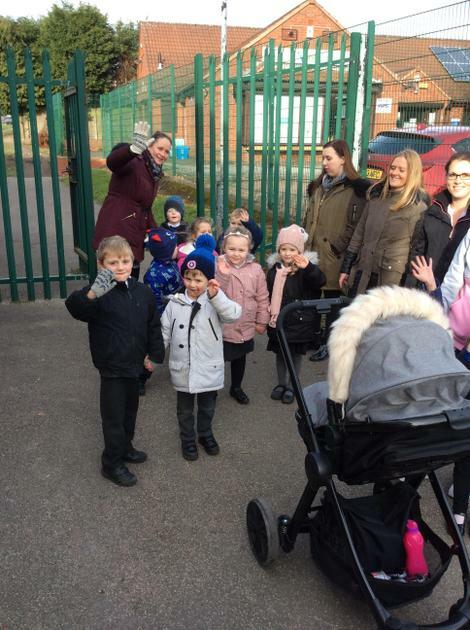 Thank you to all of the parents volunteers who walked with us and made it possible! 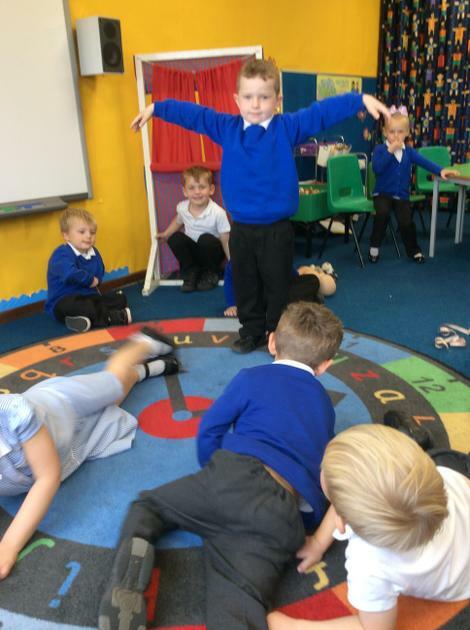 Robin's made shelters out of their bodies to protect people from the rain. 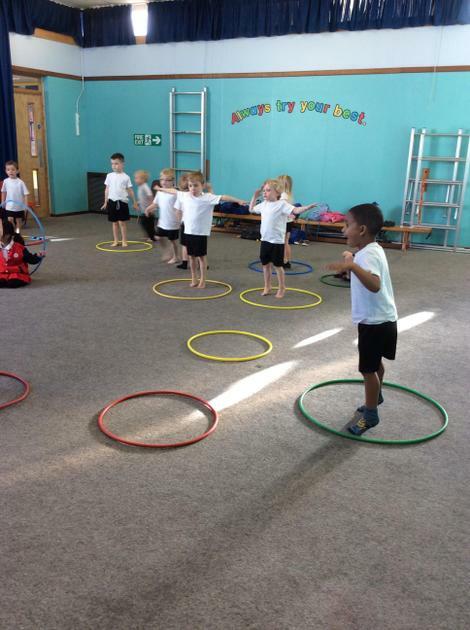 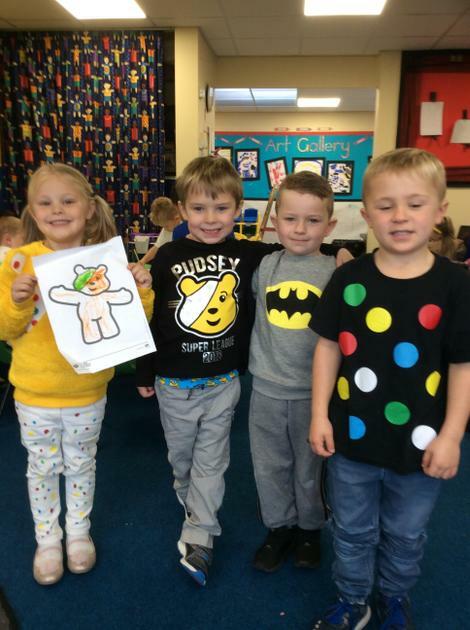 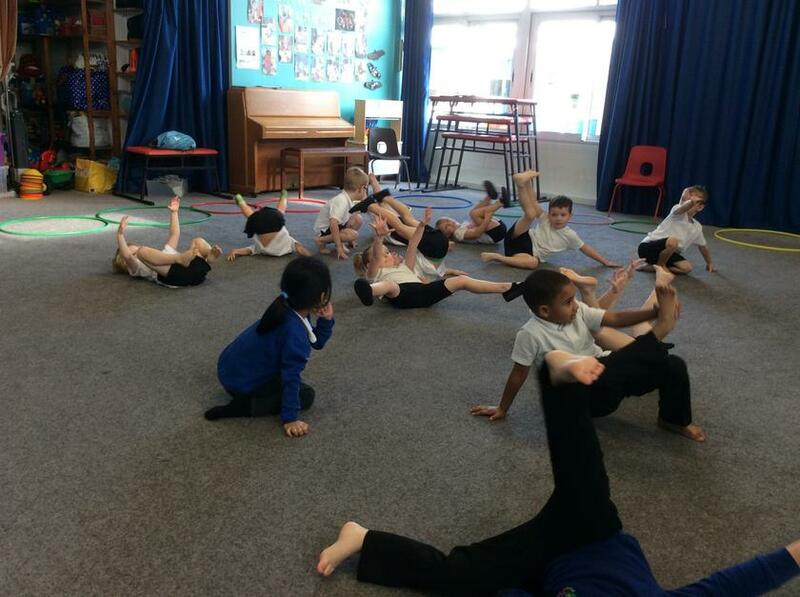 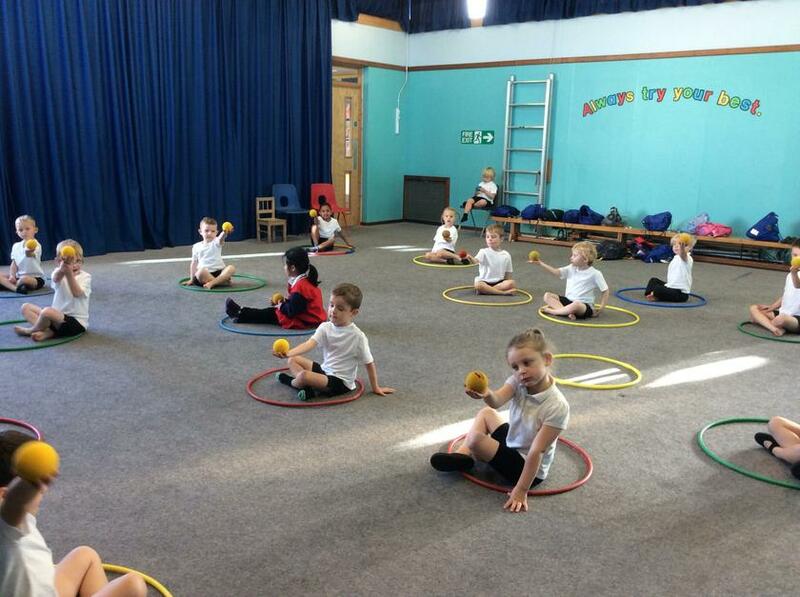 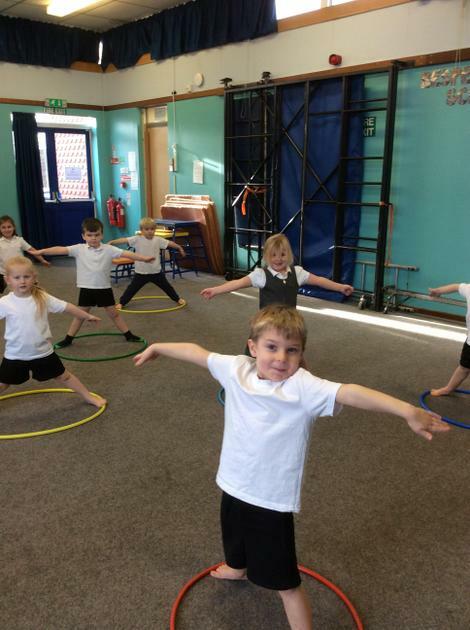 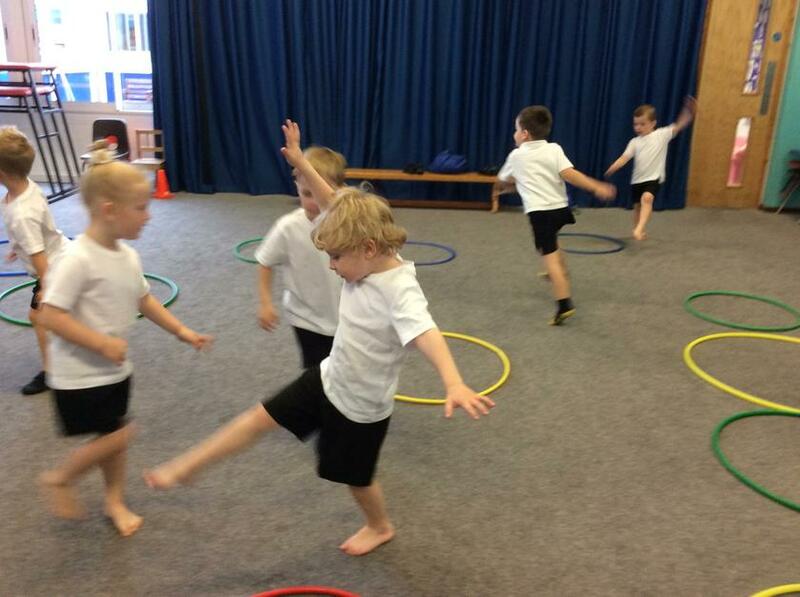 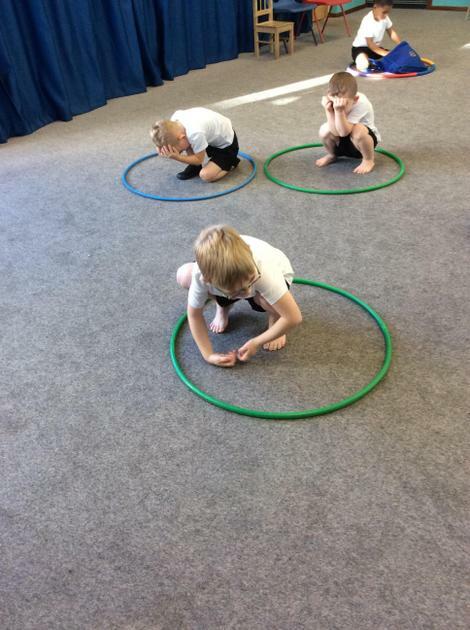 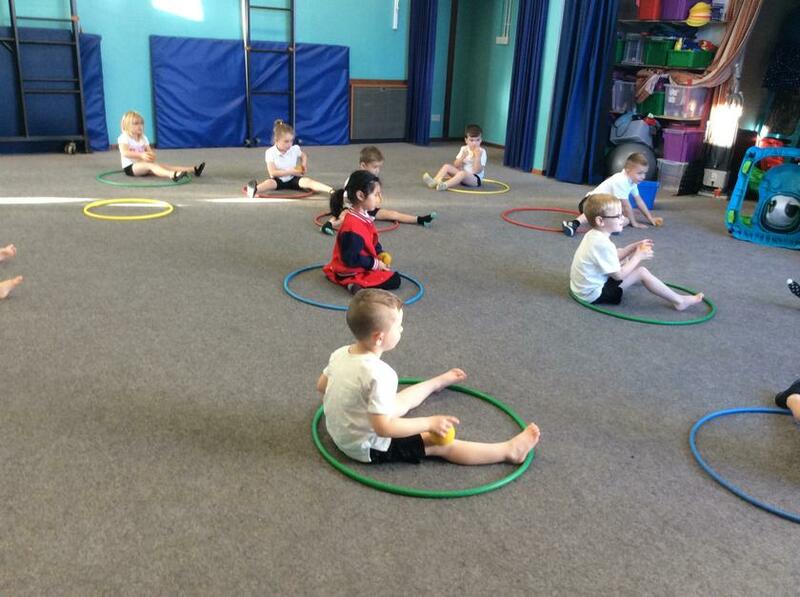 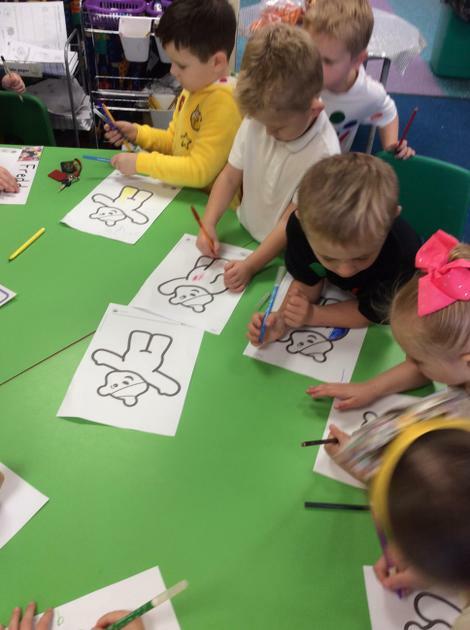 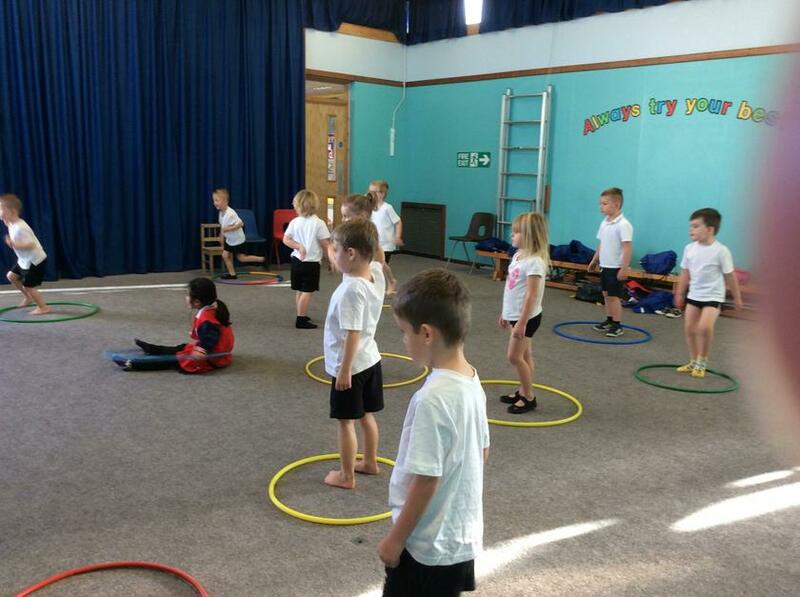 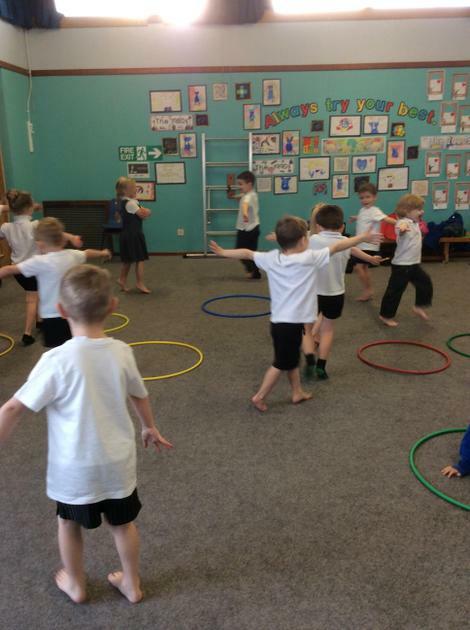 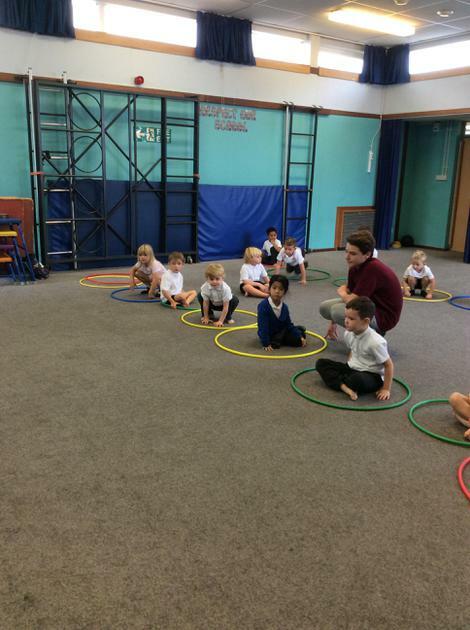 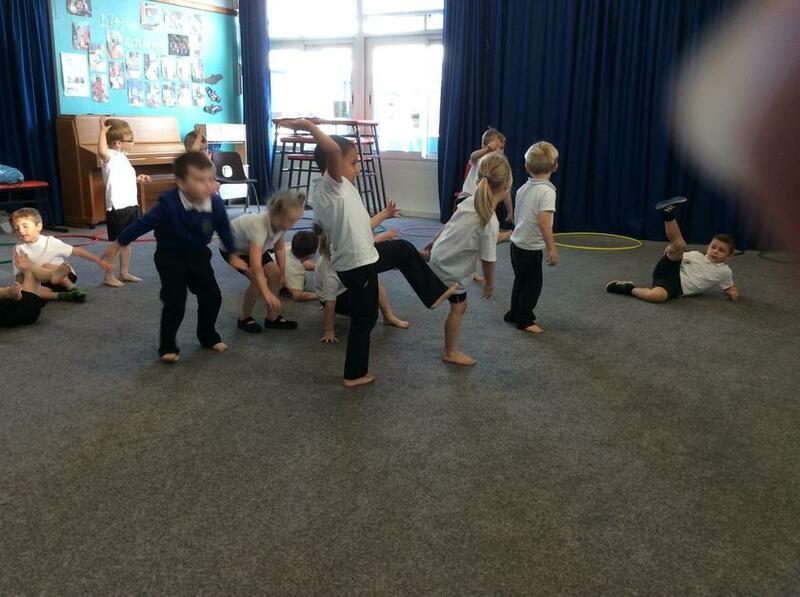 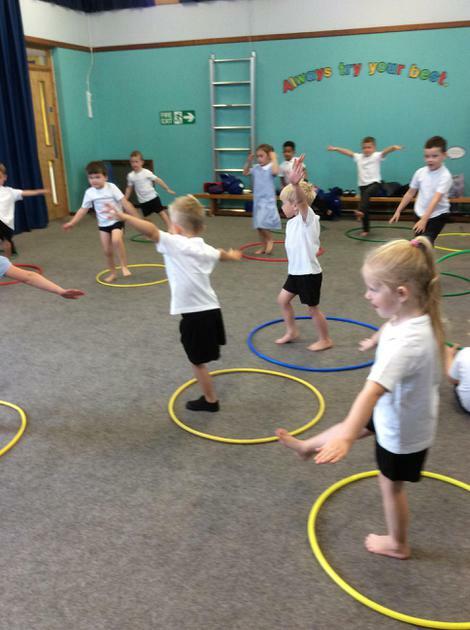 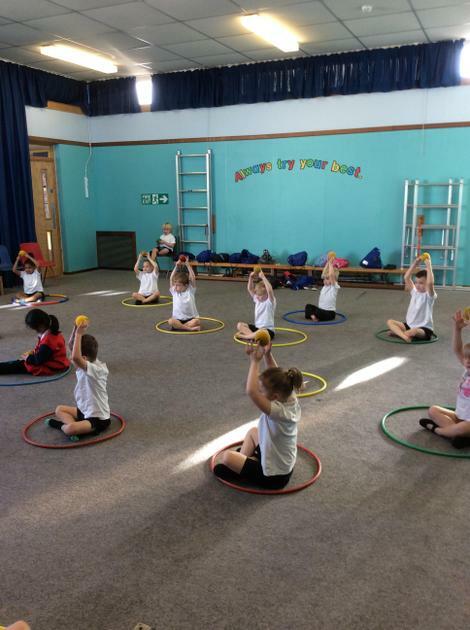 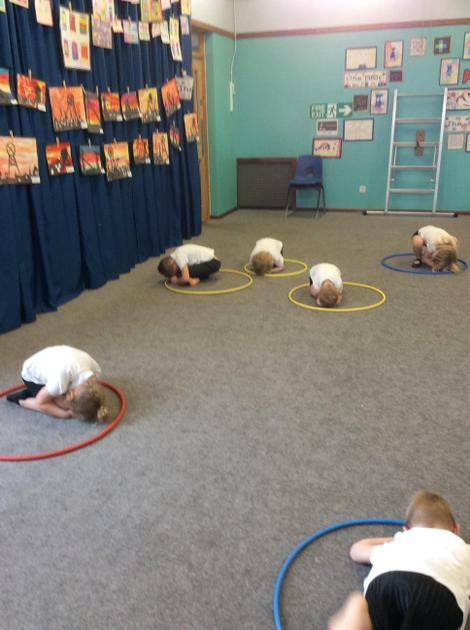 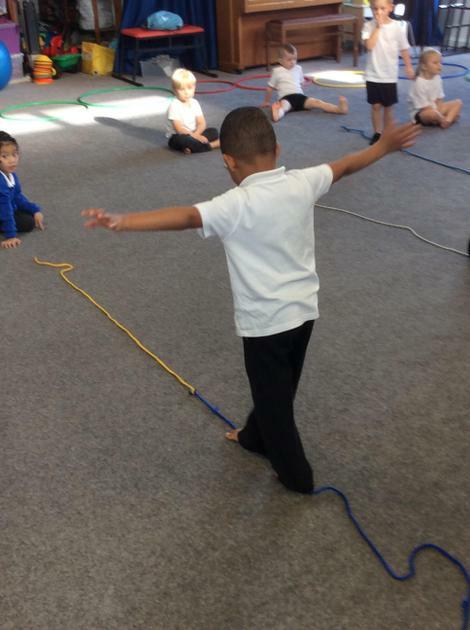 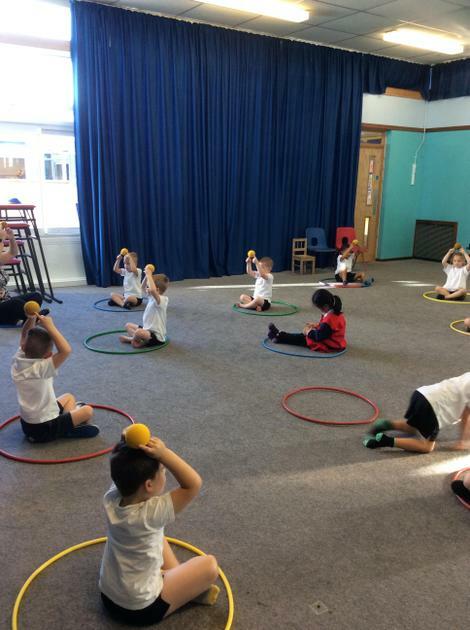 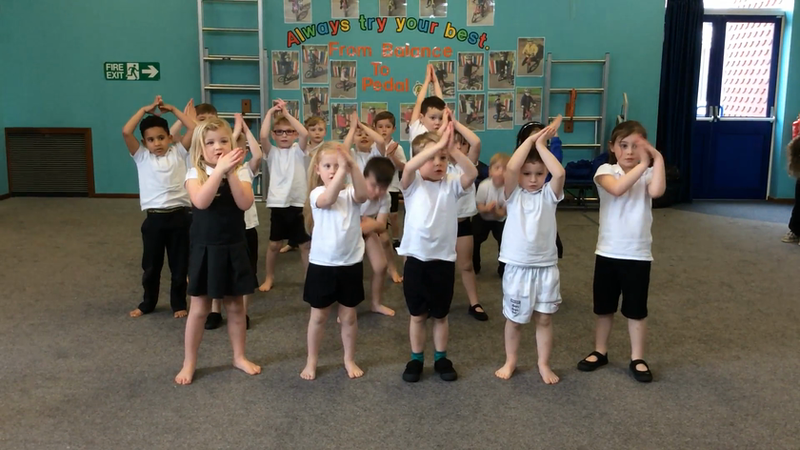 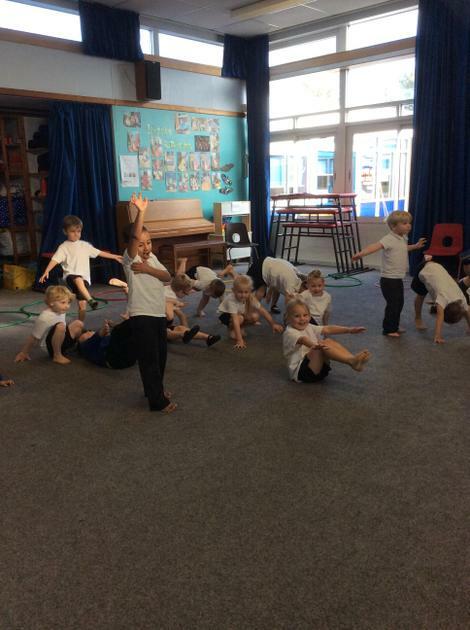 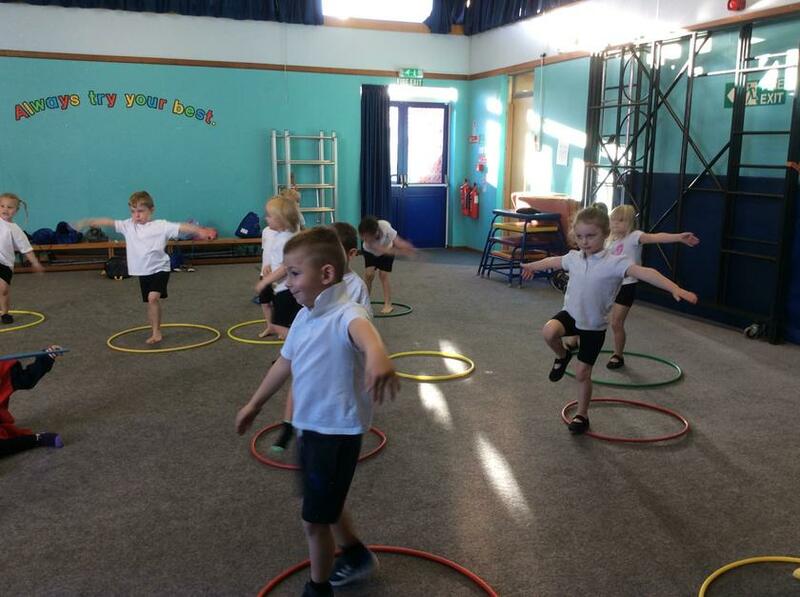 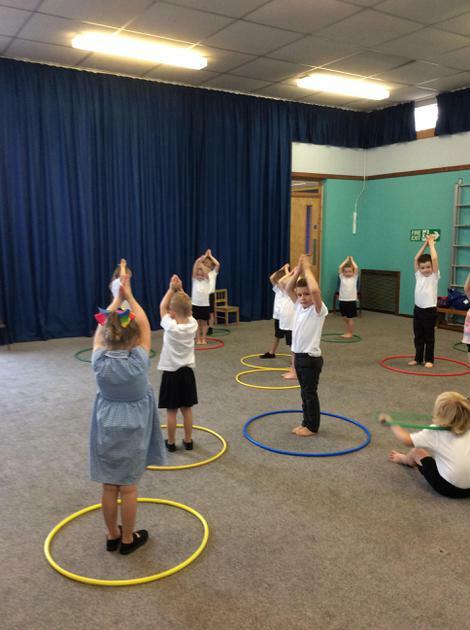 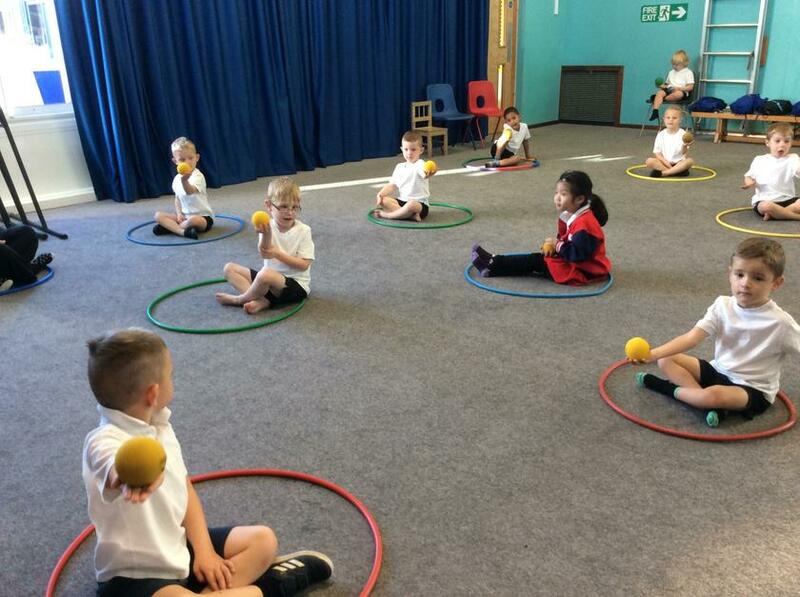 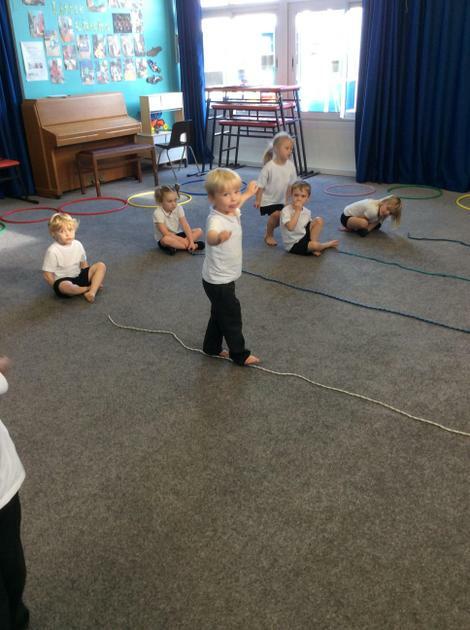 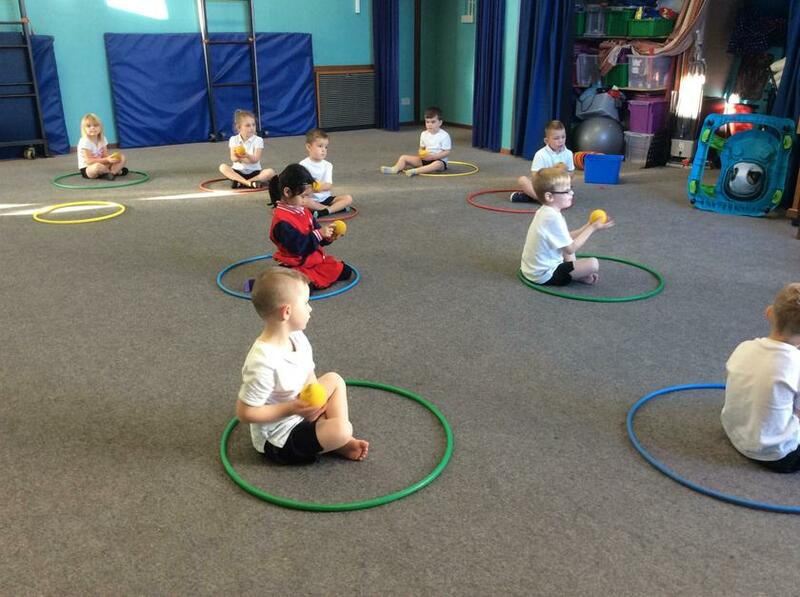 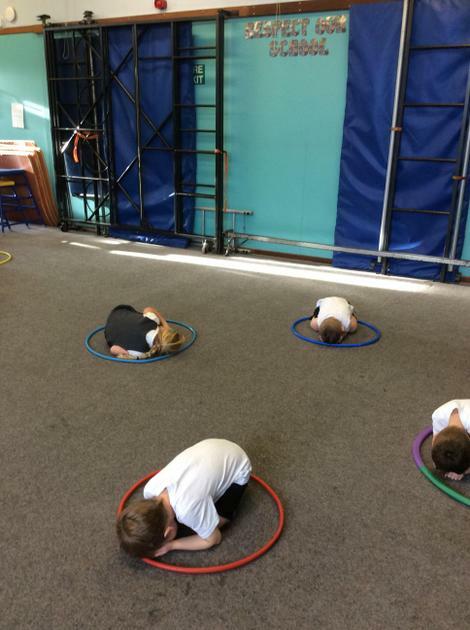 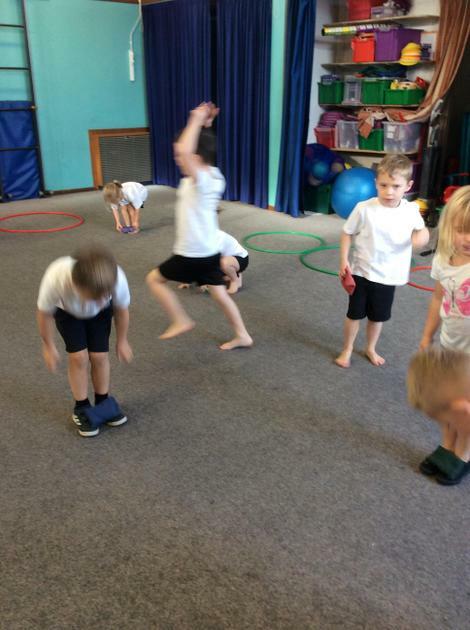 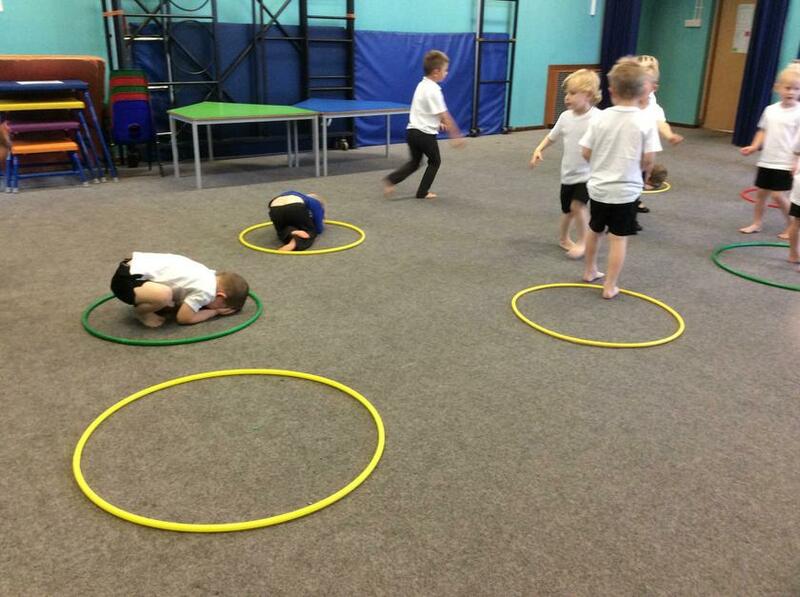 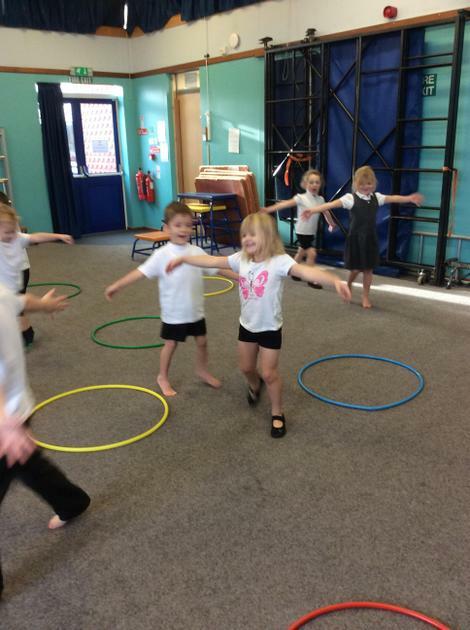 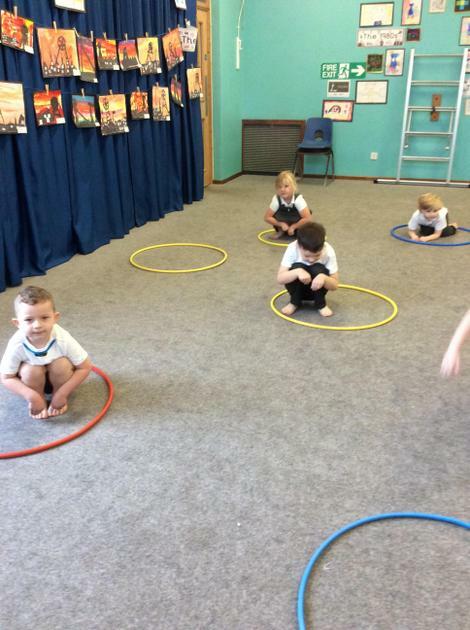 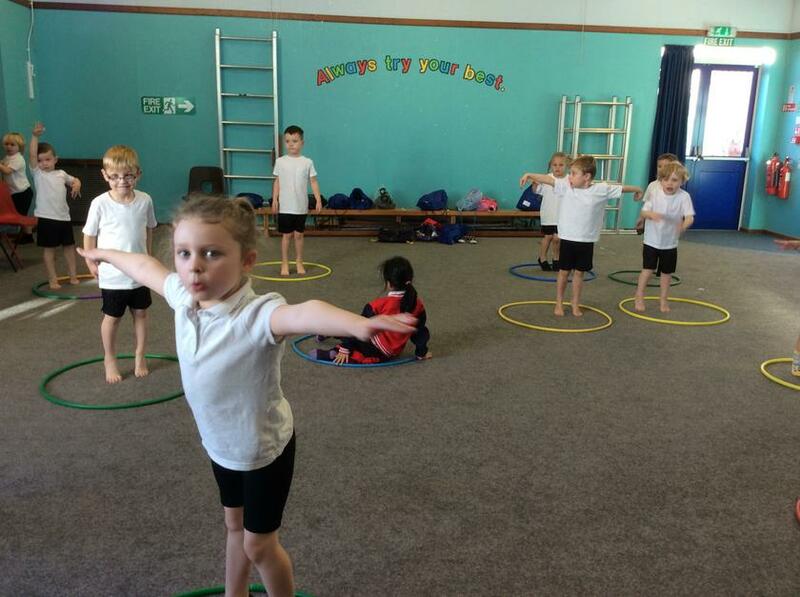 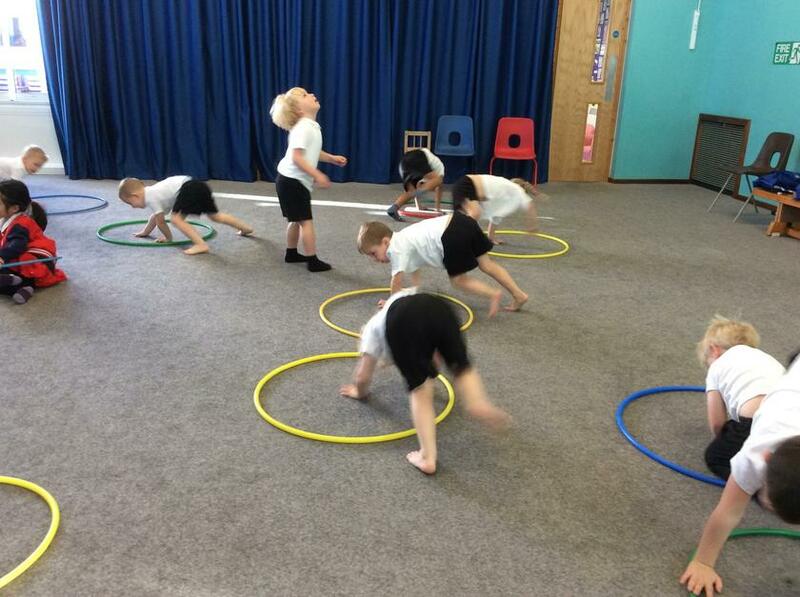 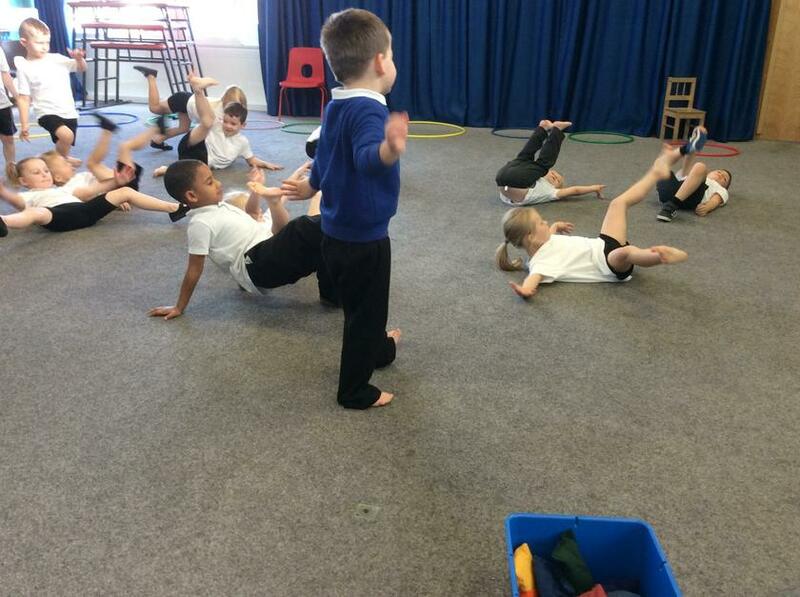 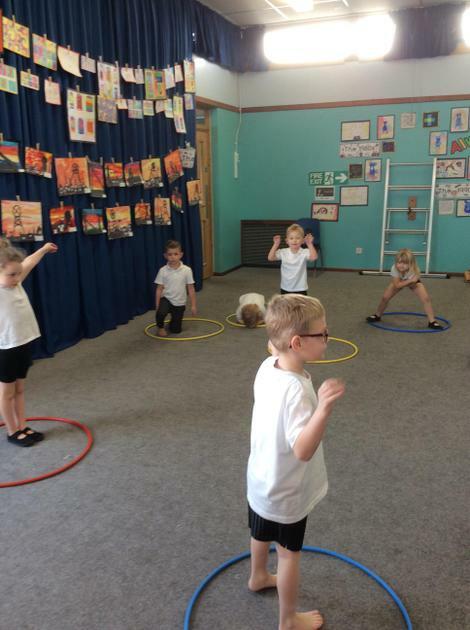 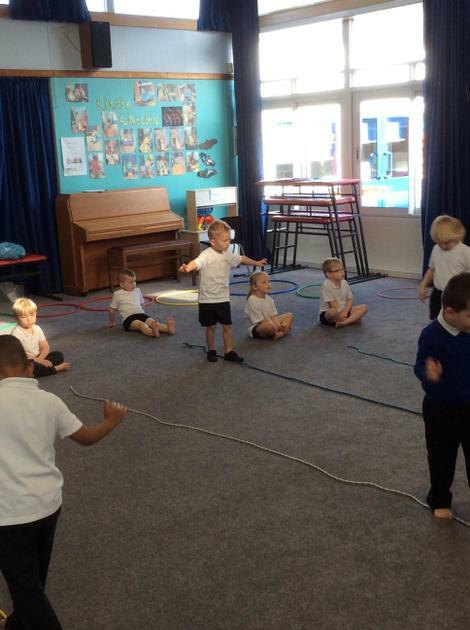 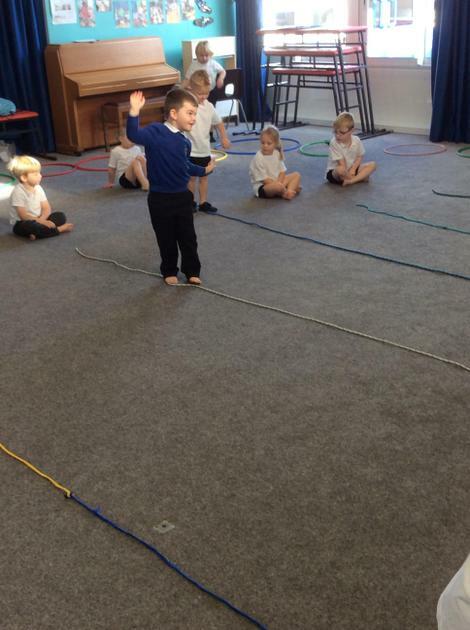 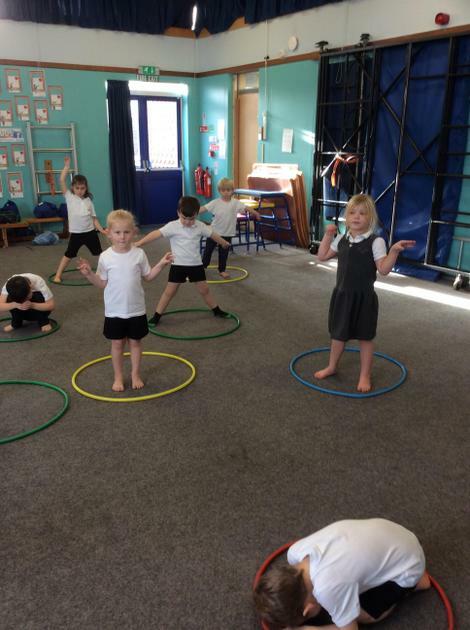 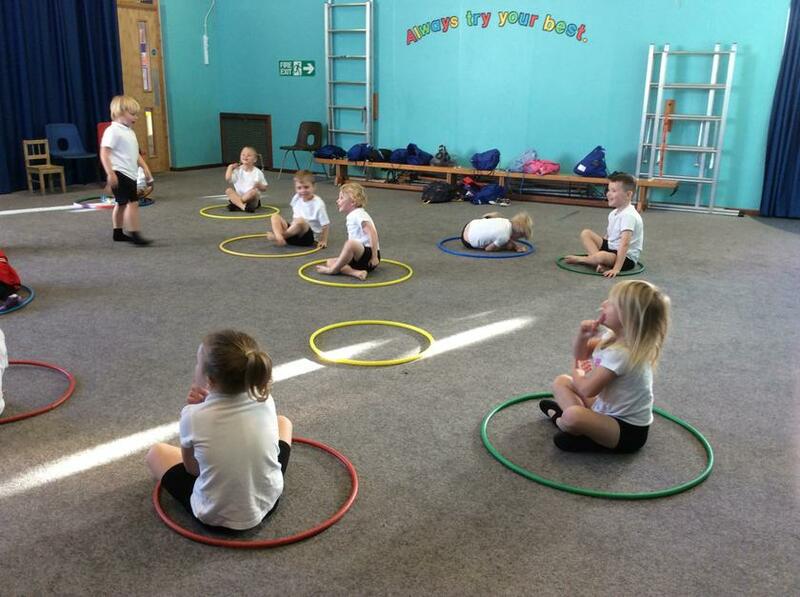 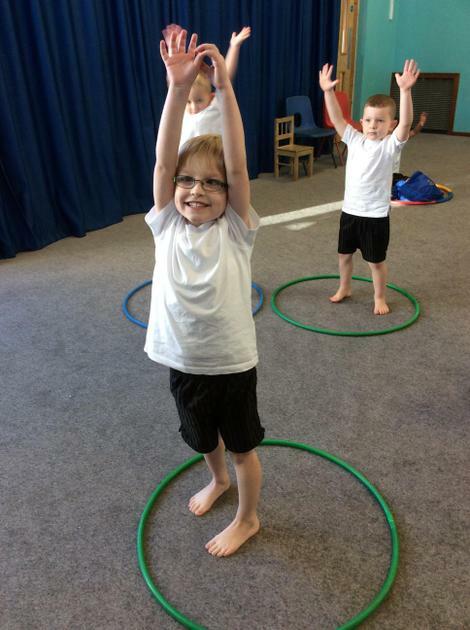 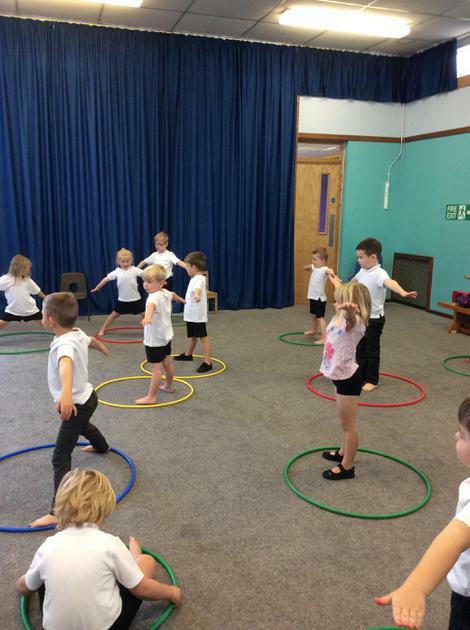 In P.E today Robin's made different shapes with their bodies. 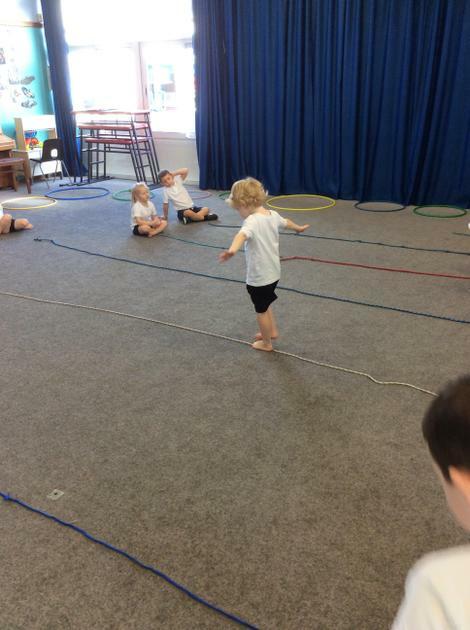 Then they walked along the beam, and performed their favourite shape after they dismounted the beam. 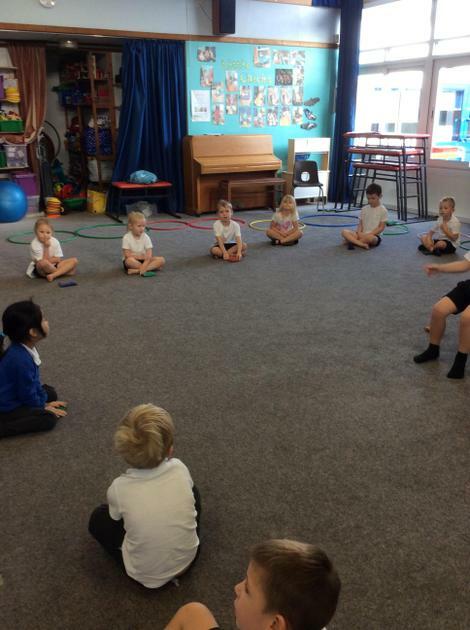 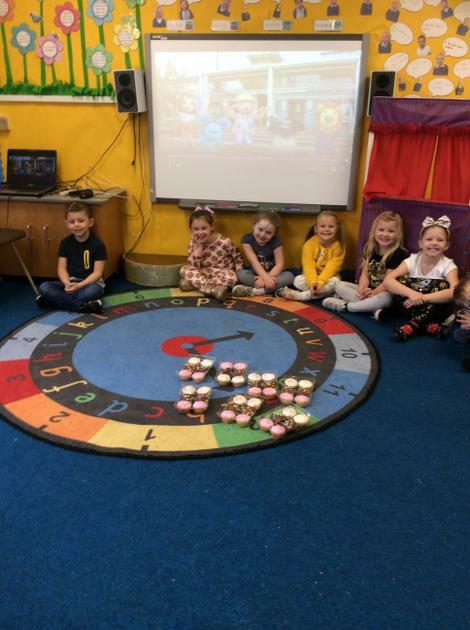 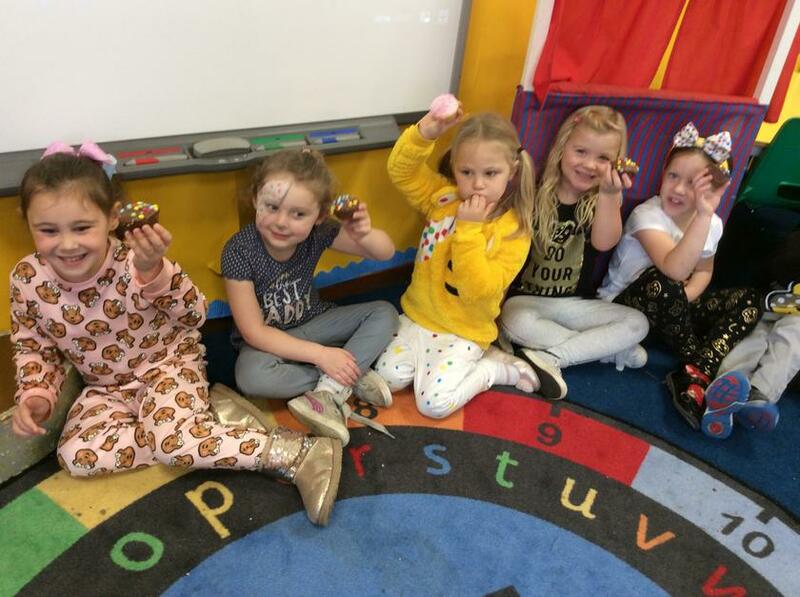 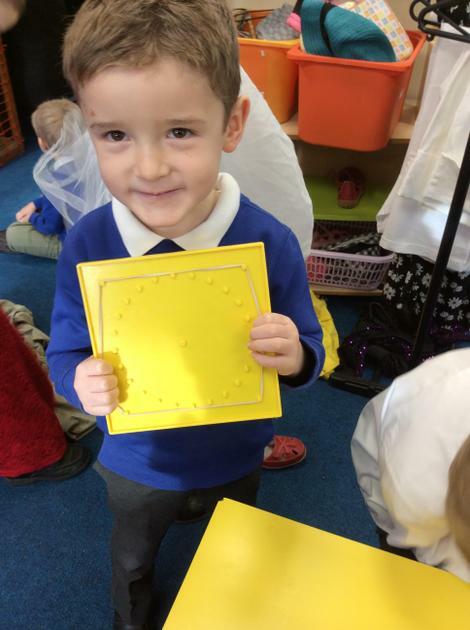 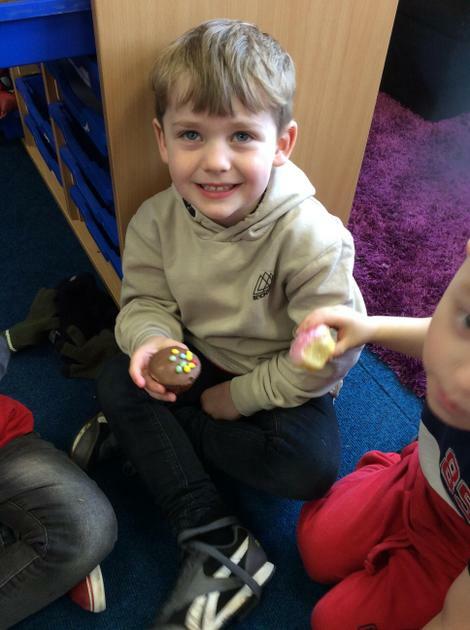 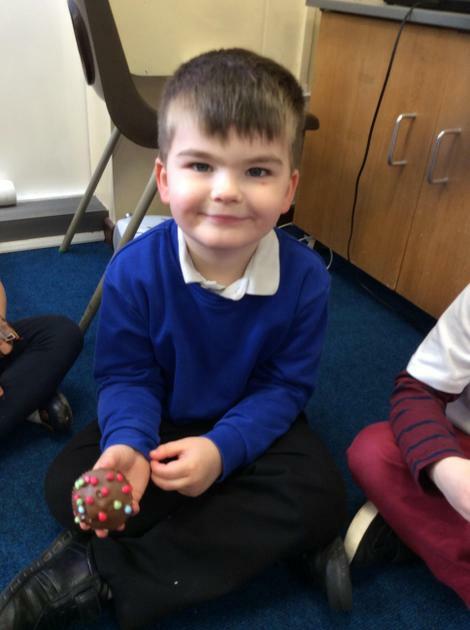 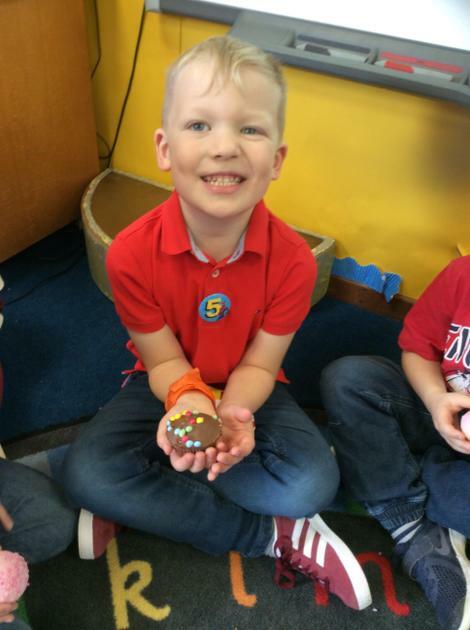 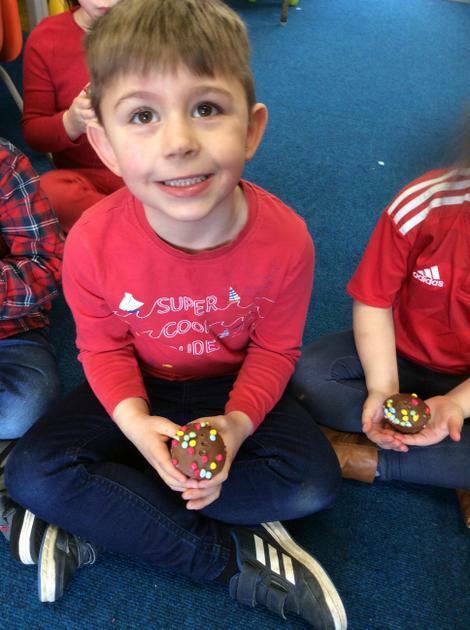 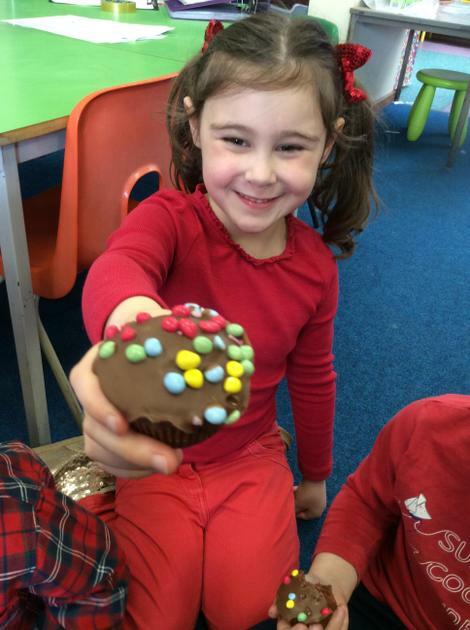 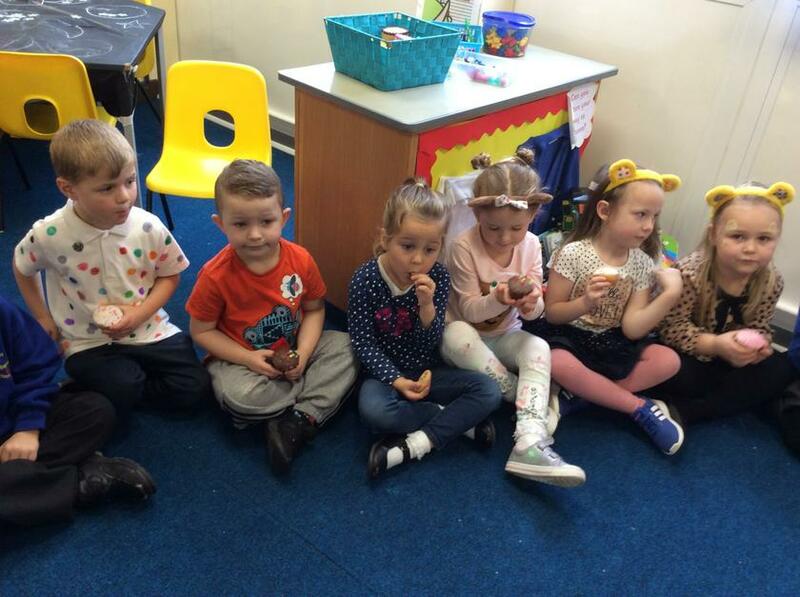 We had a great time in Music with Mrs Slater. 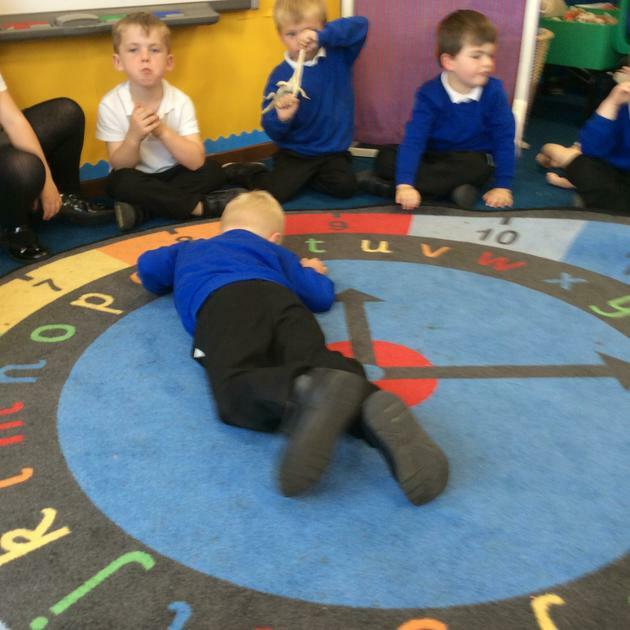 We played instruments in a variety of ways and copied different rhythms. 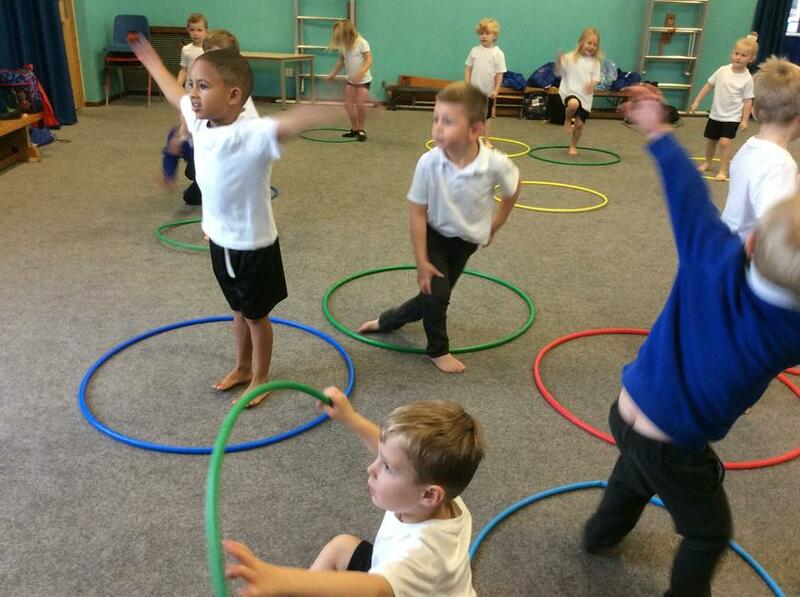 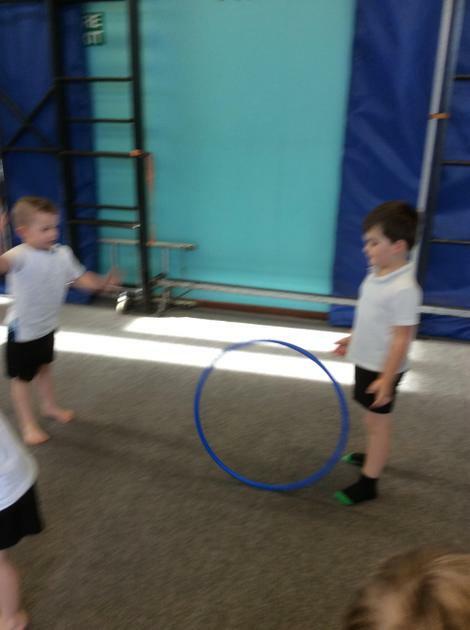 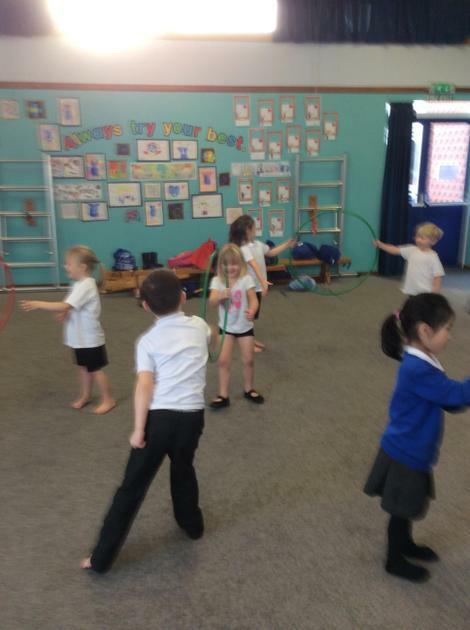 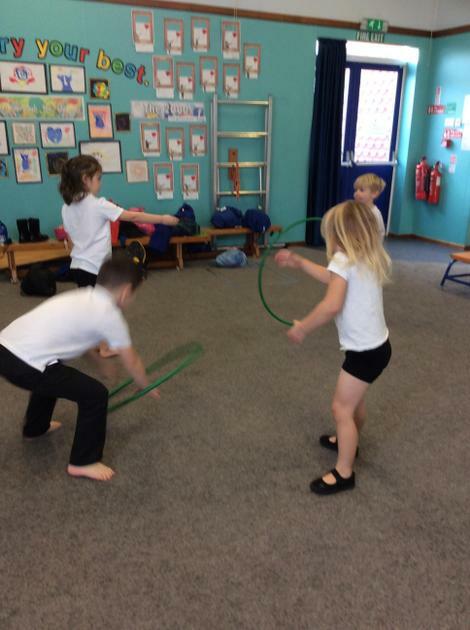 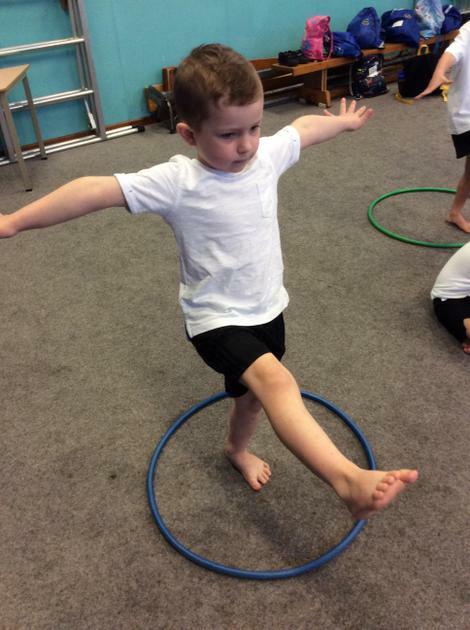 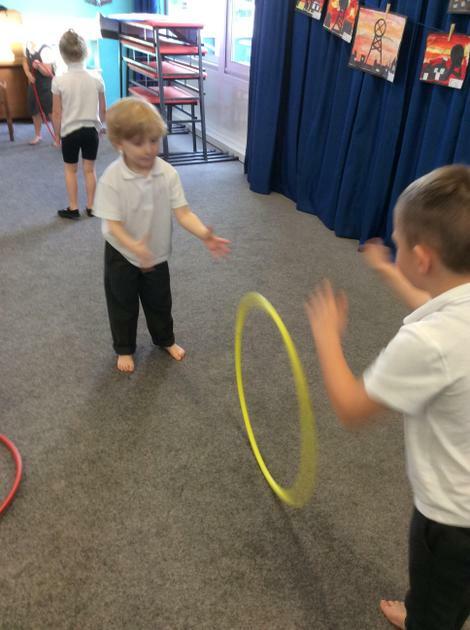 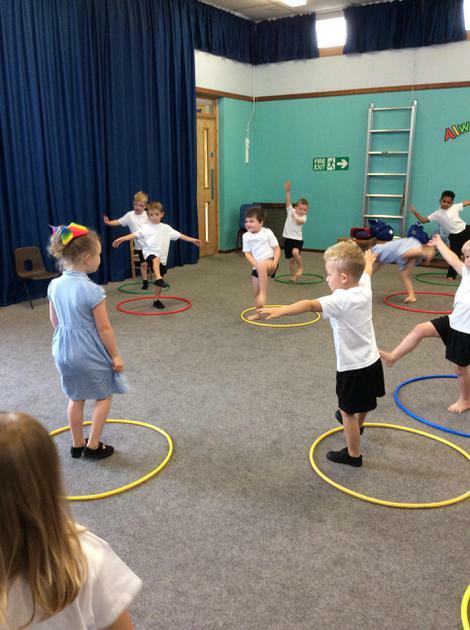 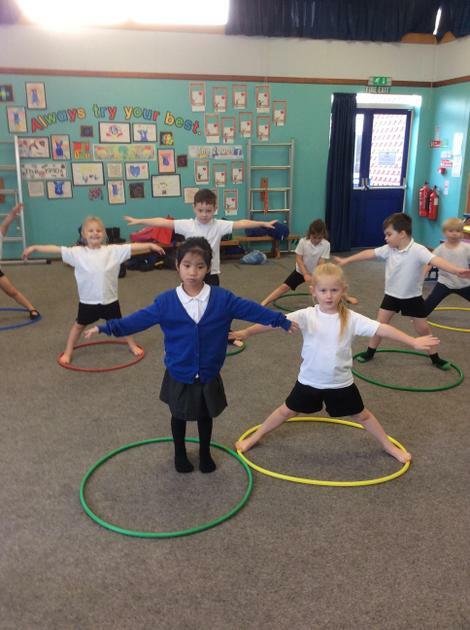 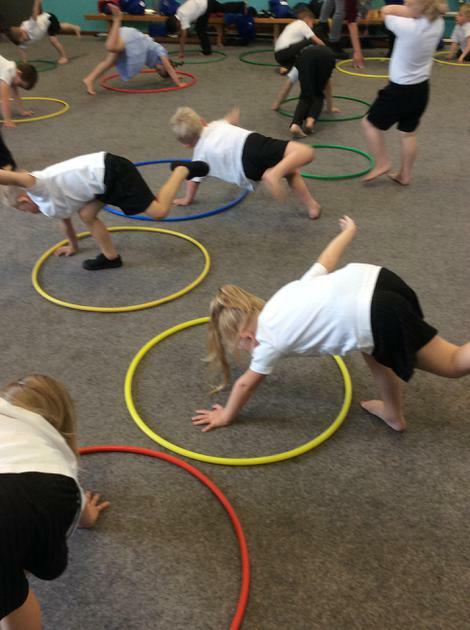 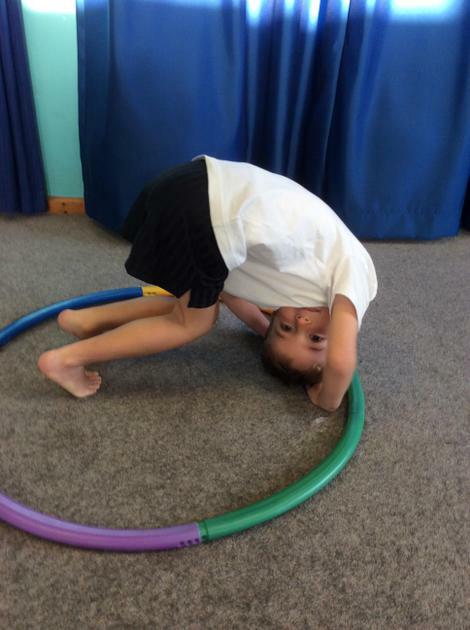 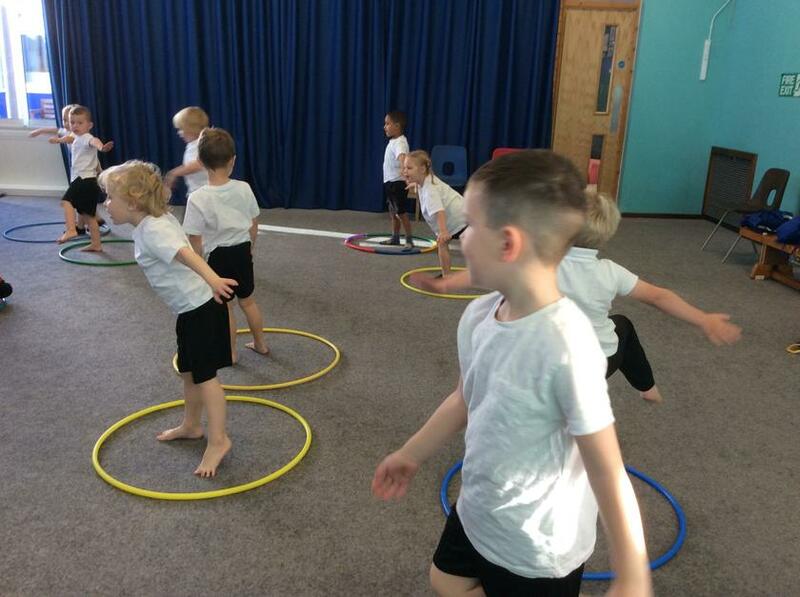 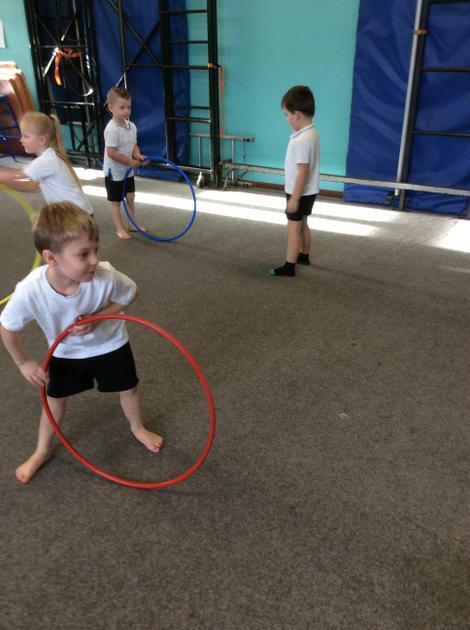 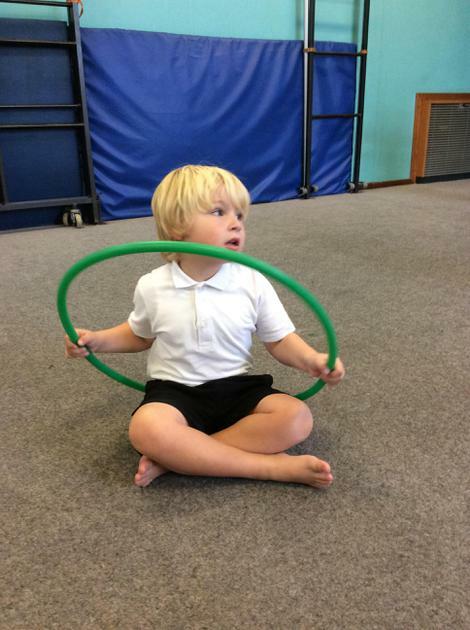 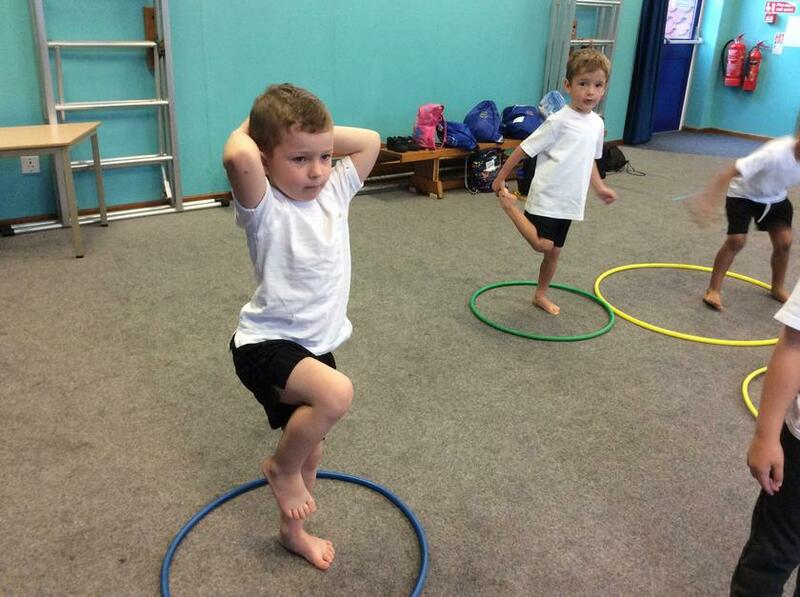 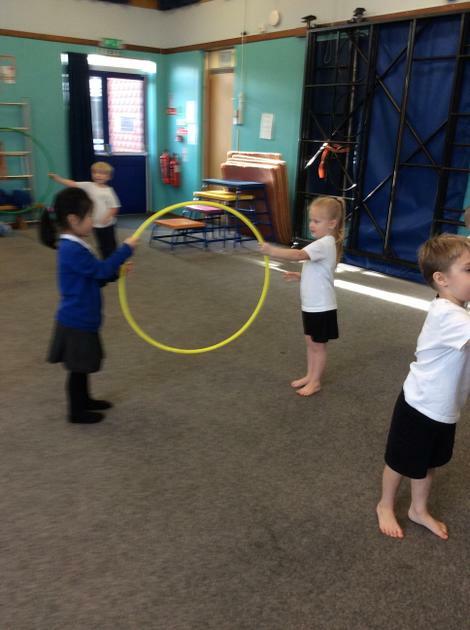 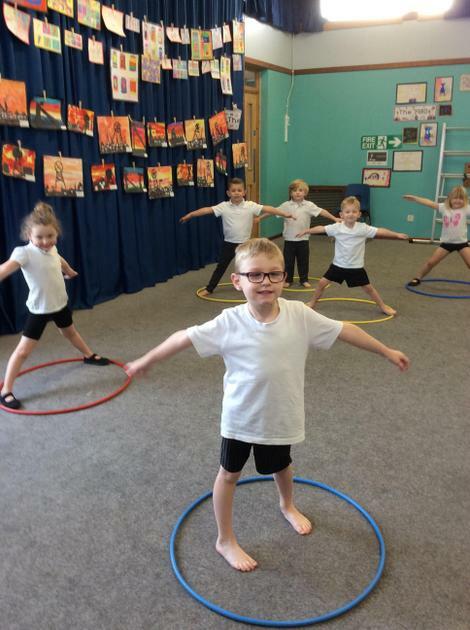 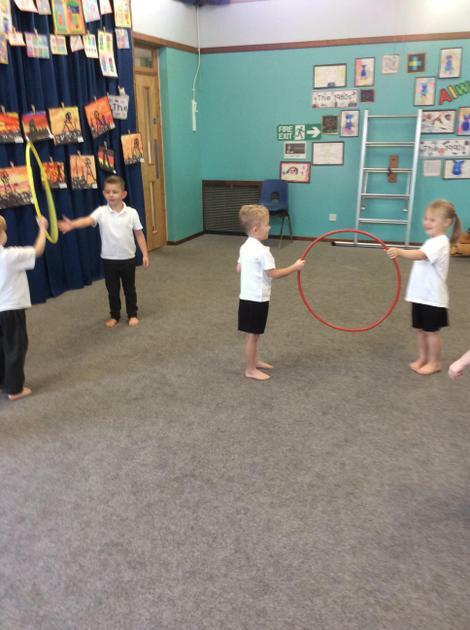 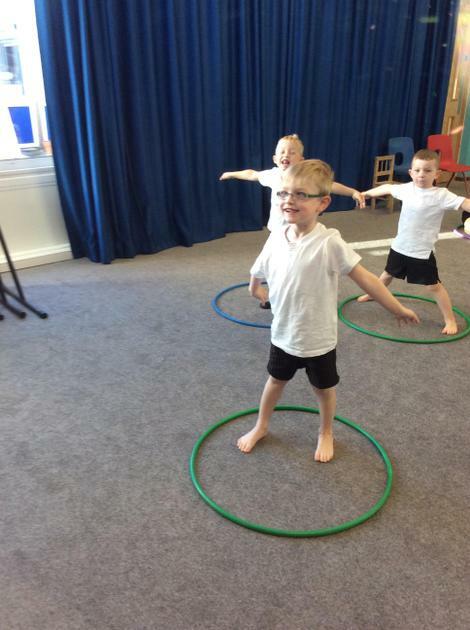 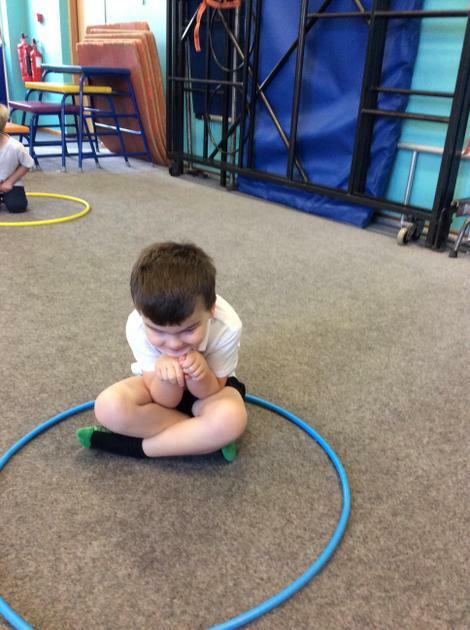 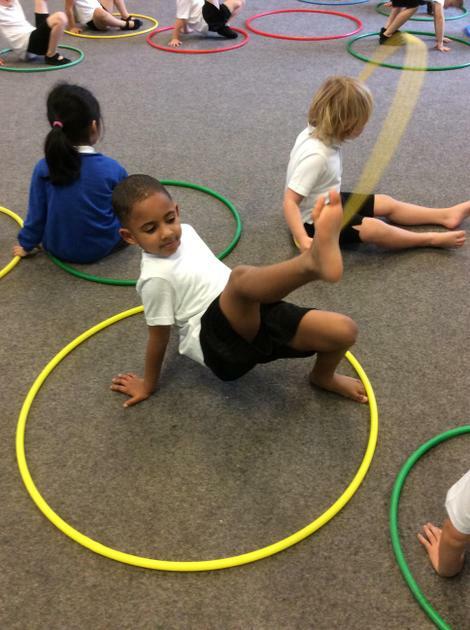 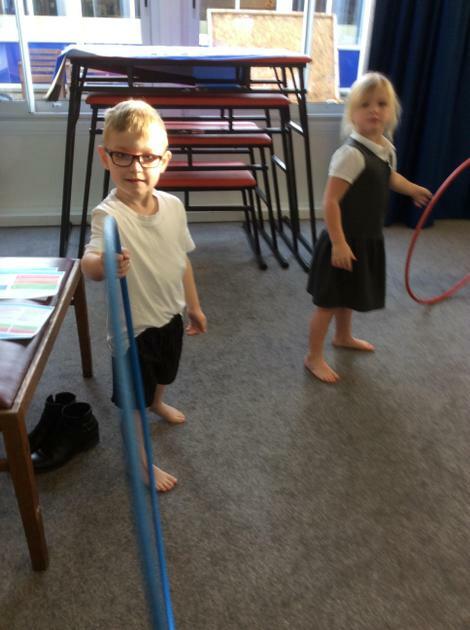 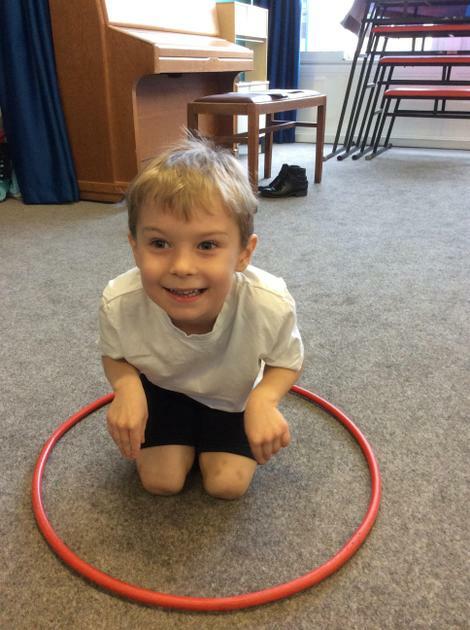 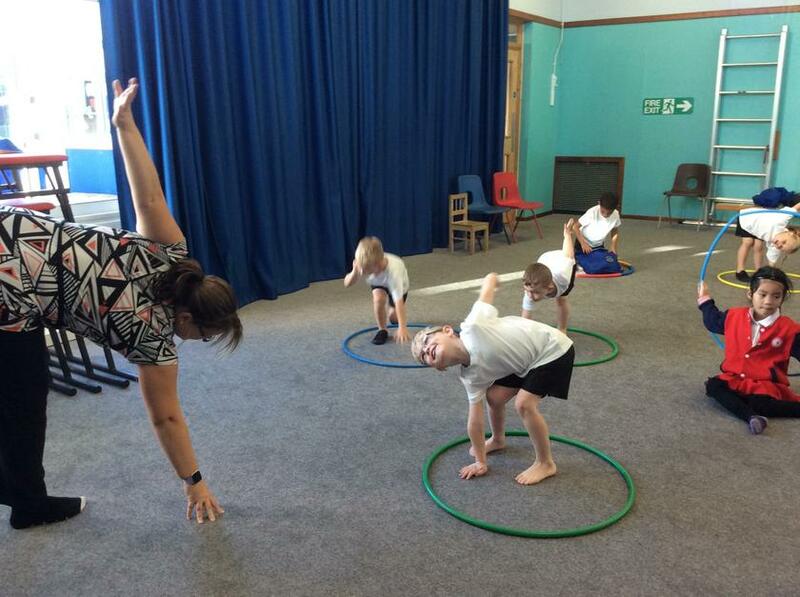 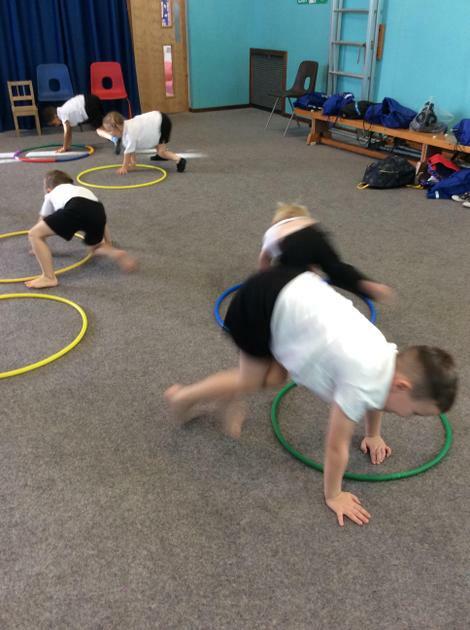 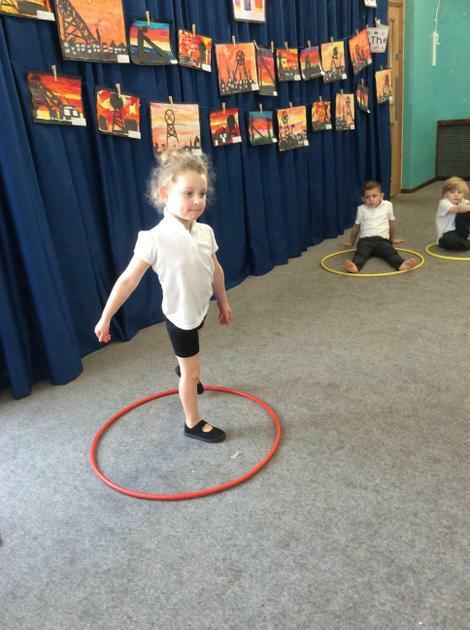 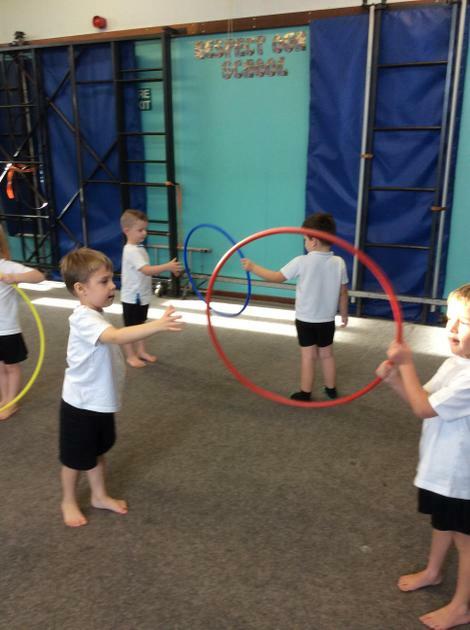 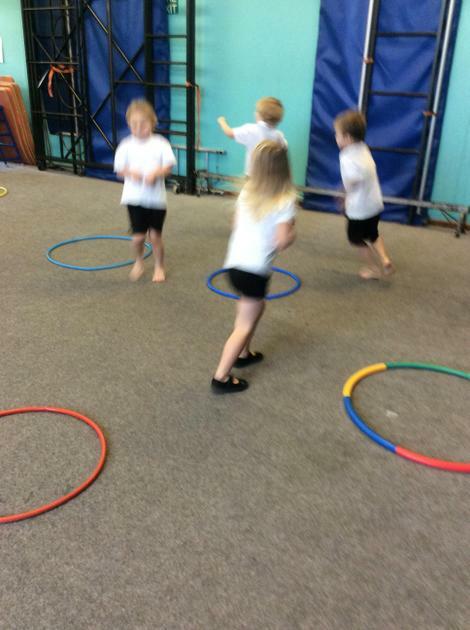 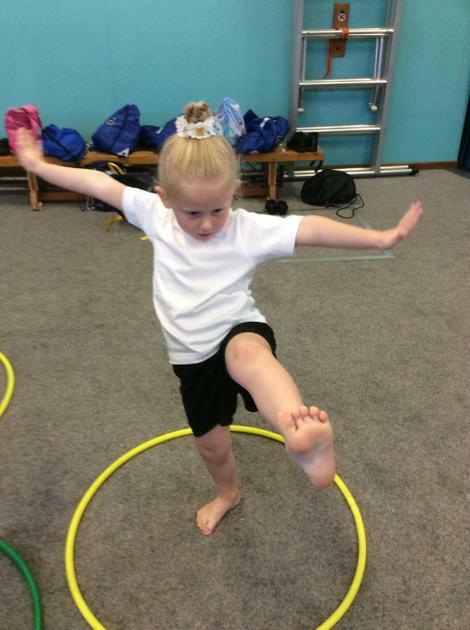 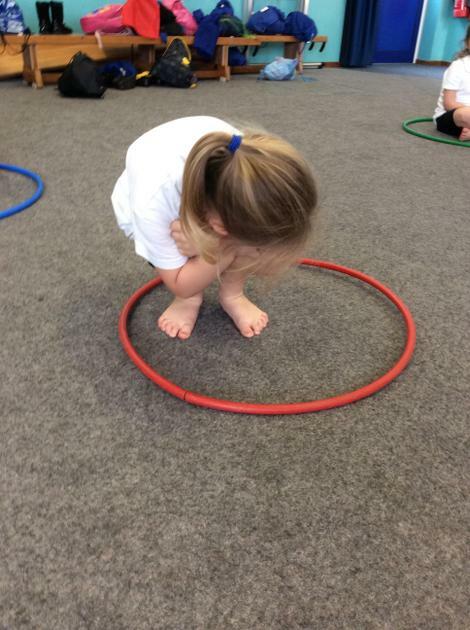 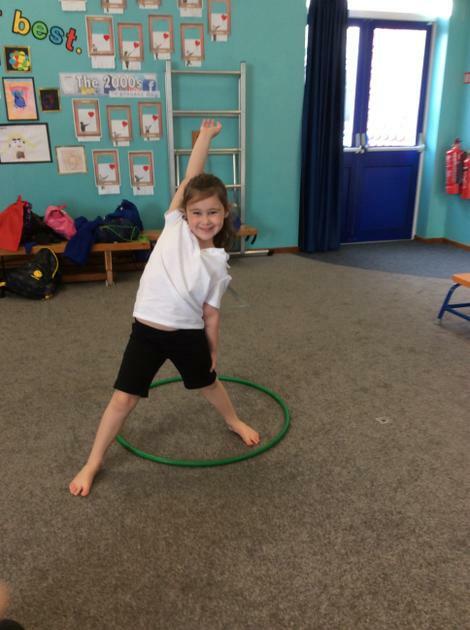 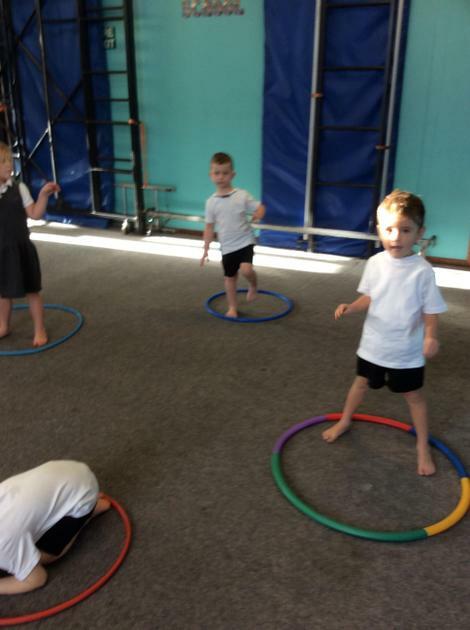 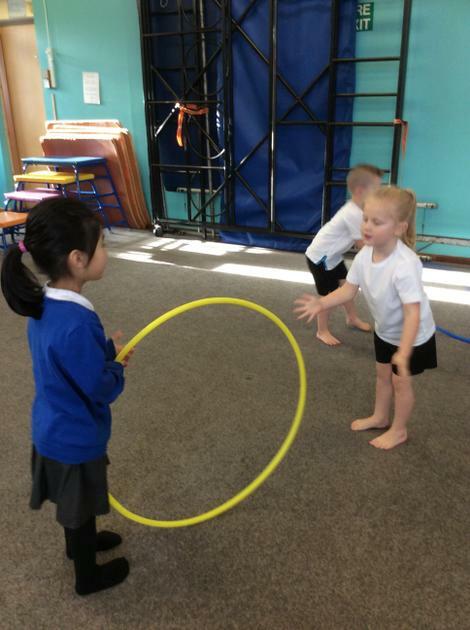 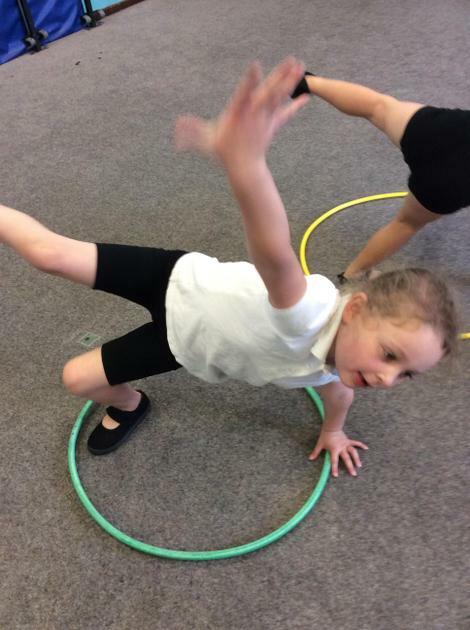 In P.E we are learning to stretch and hold different shapes, like a gymnast, and use a hoop as a gymnastic piece of equipment. 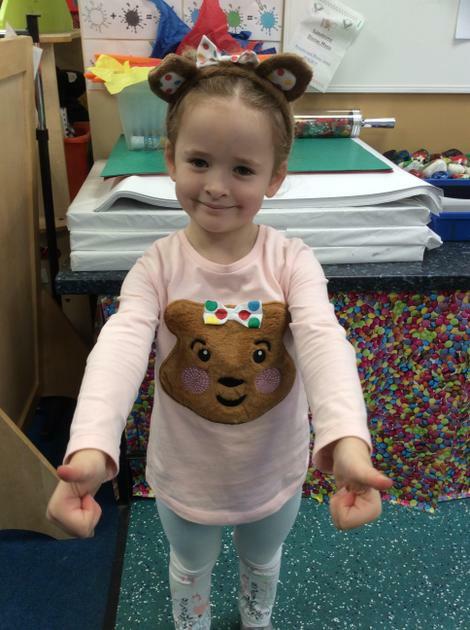 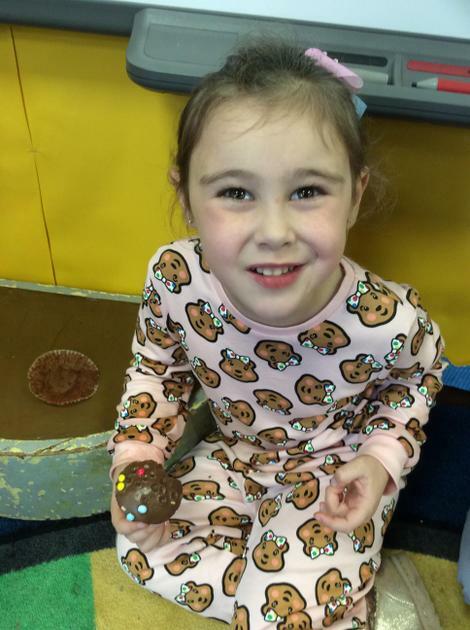 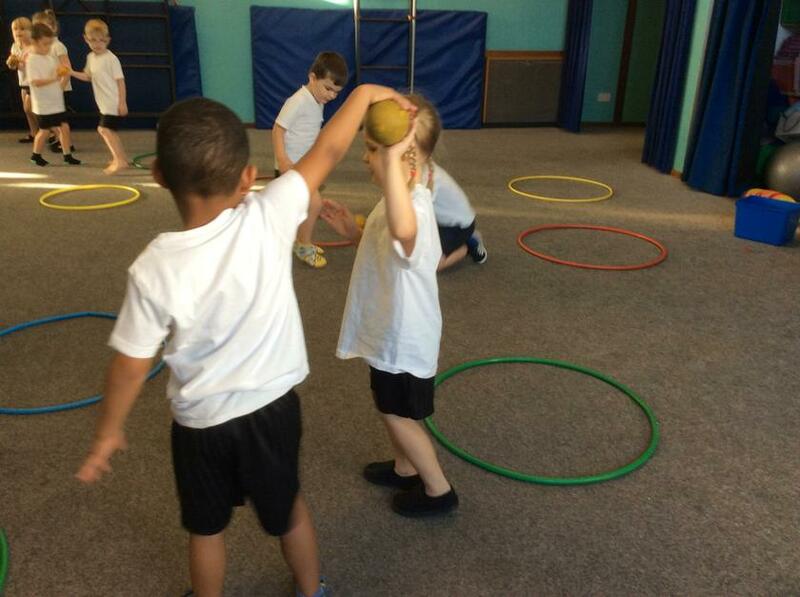 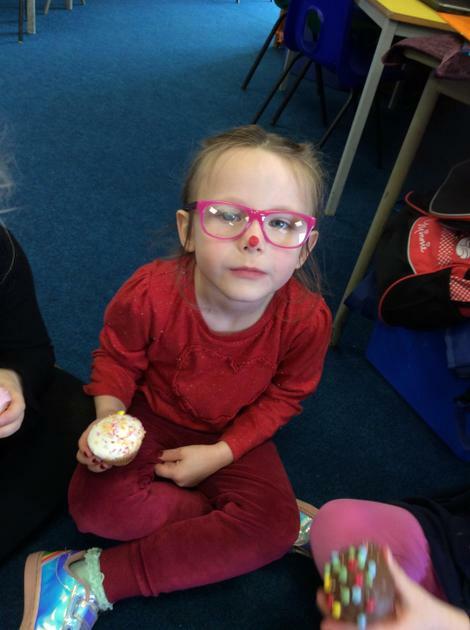 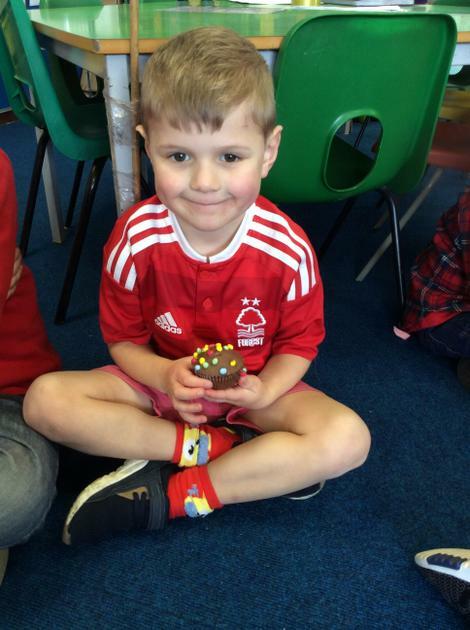 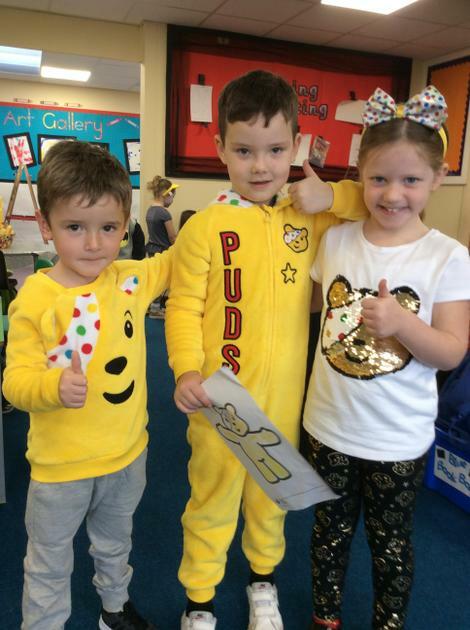 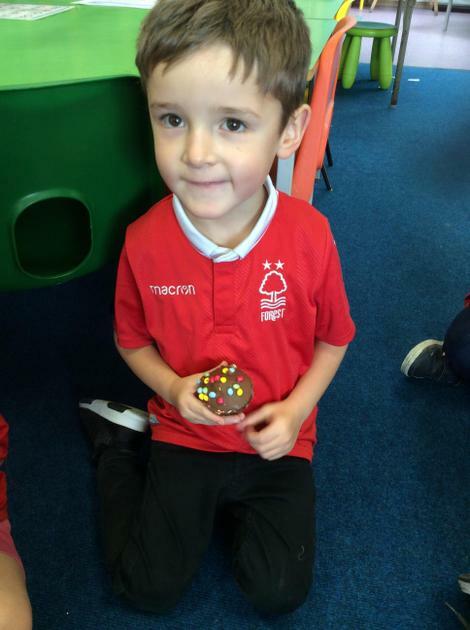 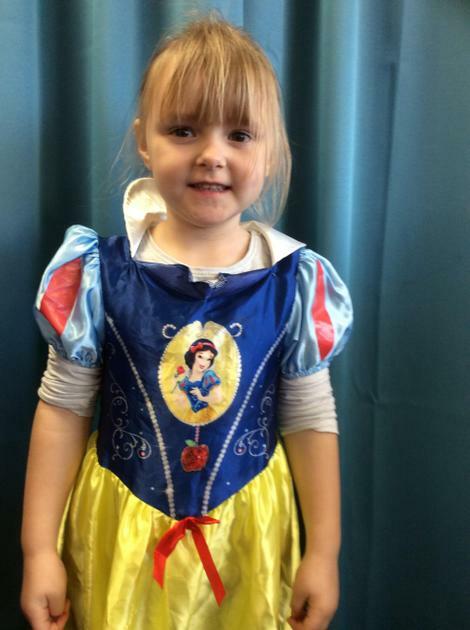 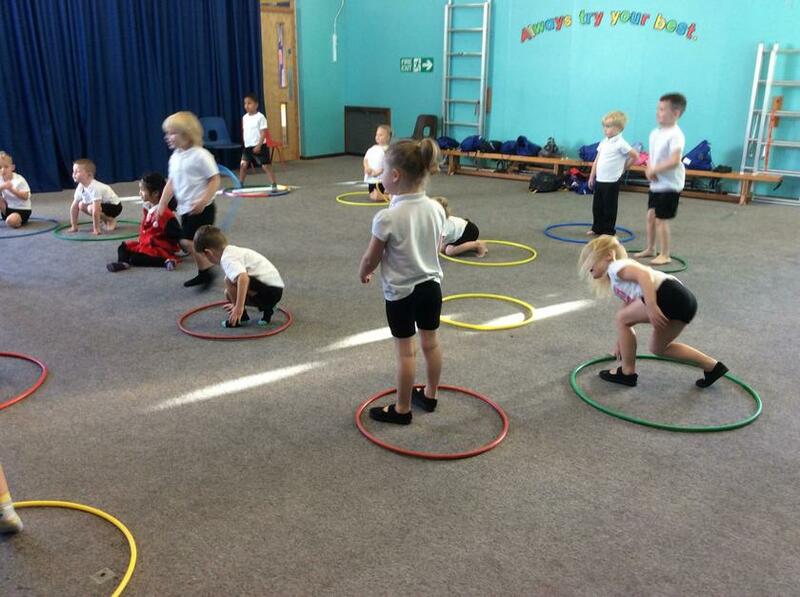 P.E- this week we used all the skills we have learnt over this half term. 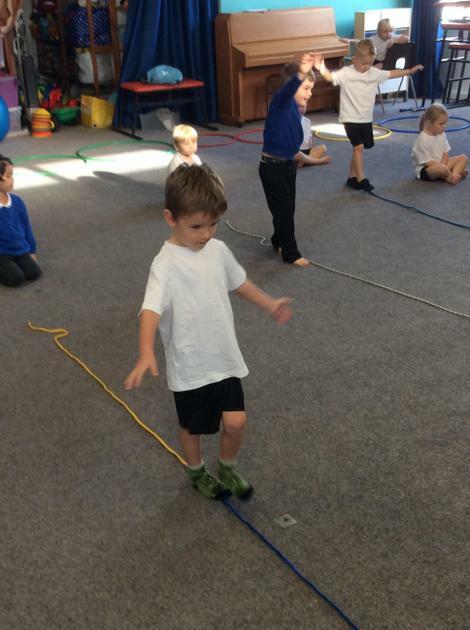 In PE this week we took a trip to the circus and continued to practice our balancing by pretending to be tight rope walkers! 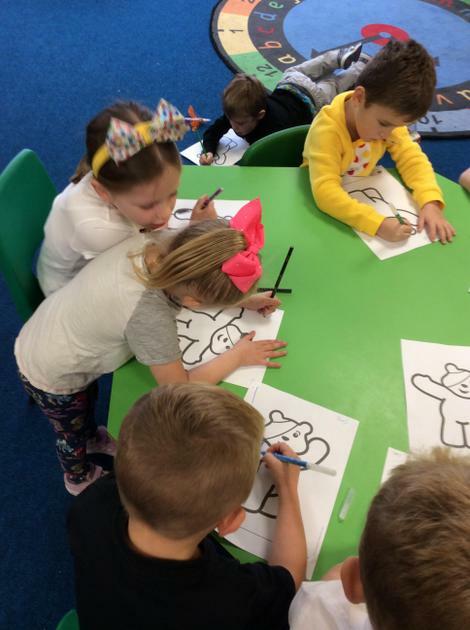 We are learning our Phase 2 phonics sounds in class, these are the songs we are singing to help us learn the letter sounds. 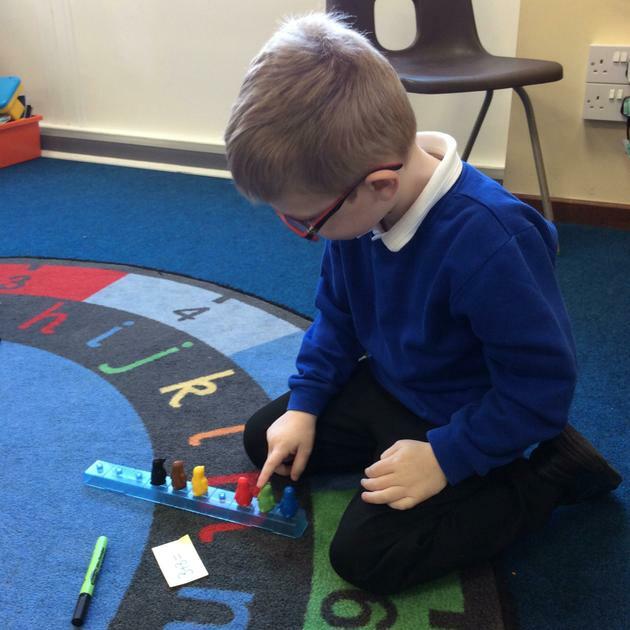 In Phonics this week we have been learning the phonemes: 'i' and 'n'. 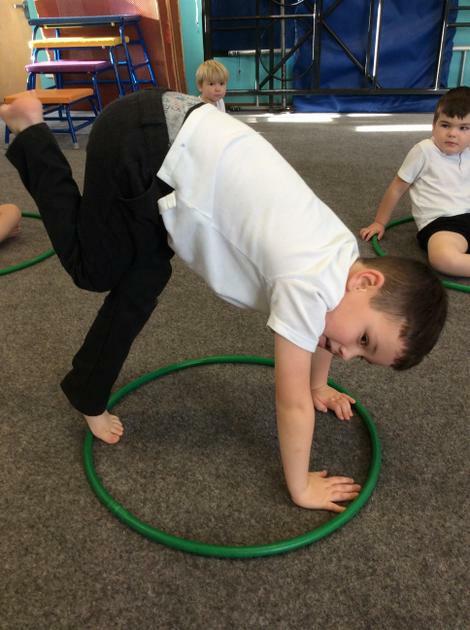 We have been moving like different dinosaurs this week, then freeze framing our movements to practise our balancing skills. 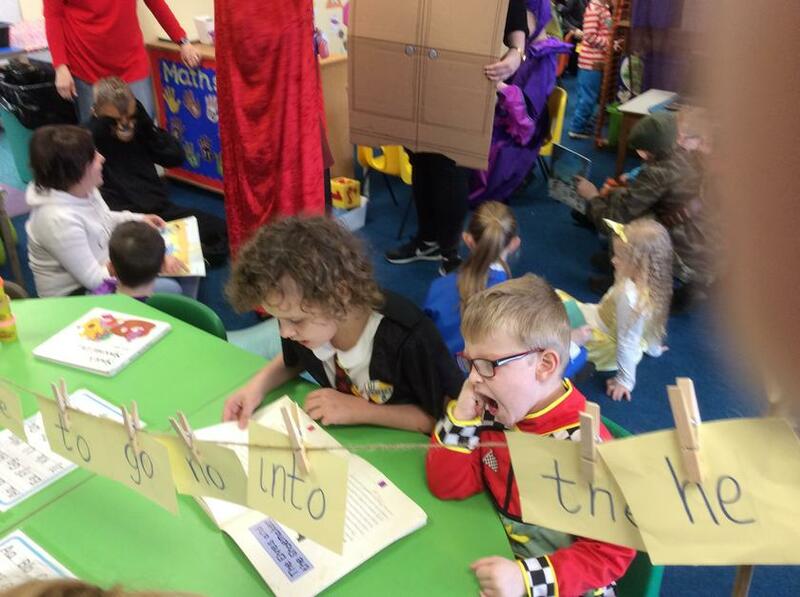 And the tricky words: 'no' and 'go'. 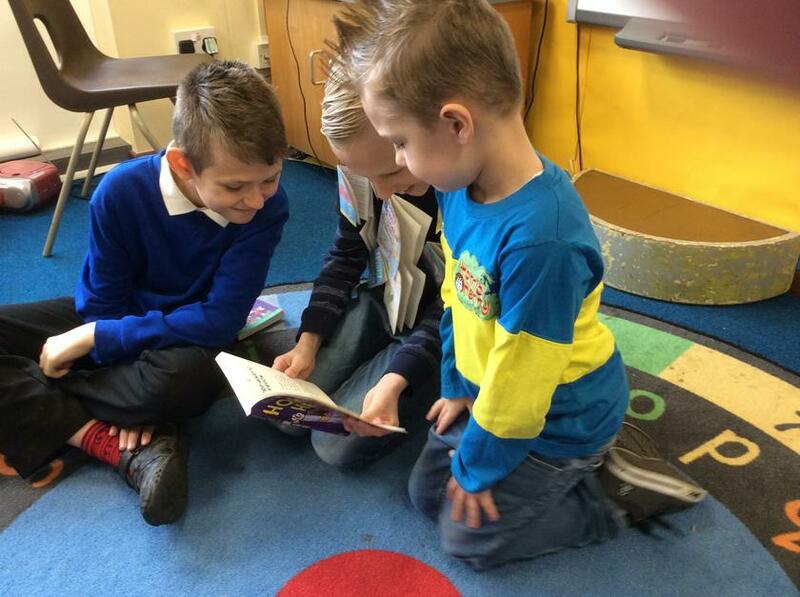 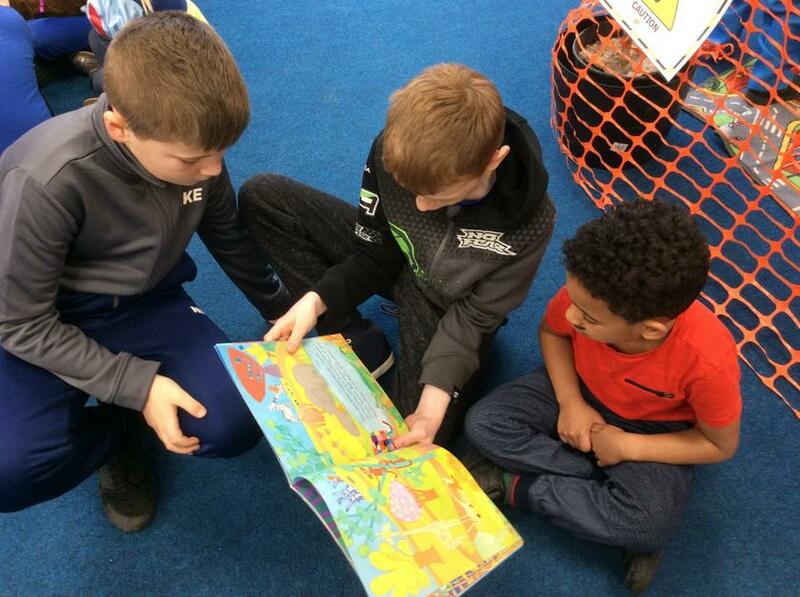 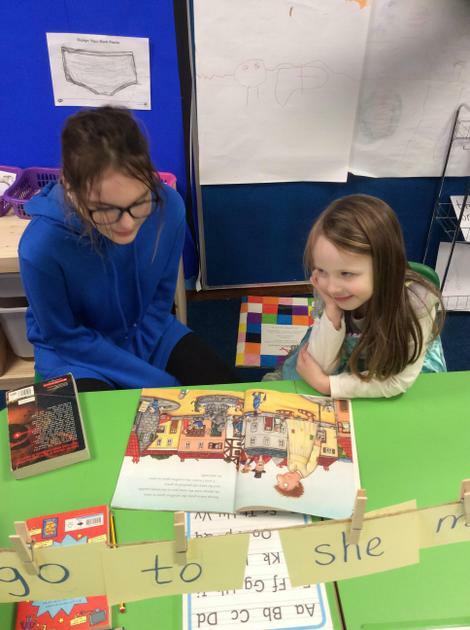 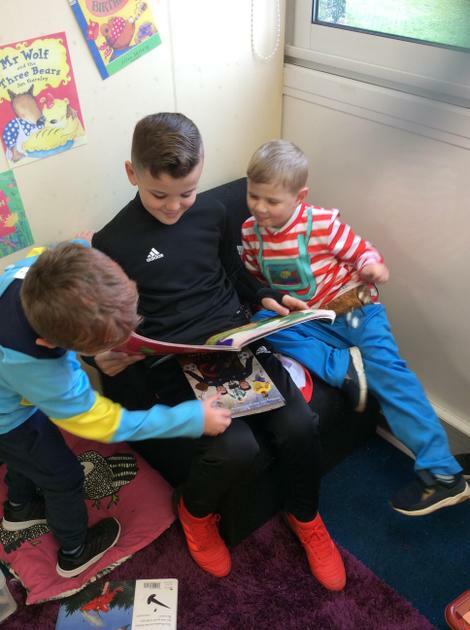 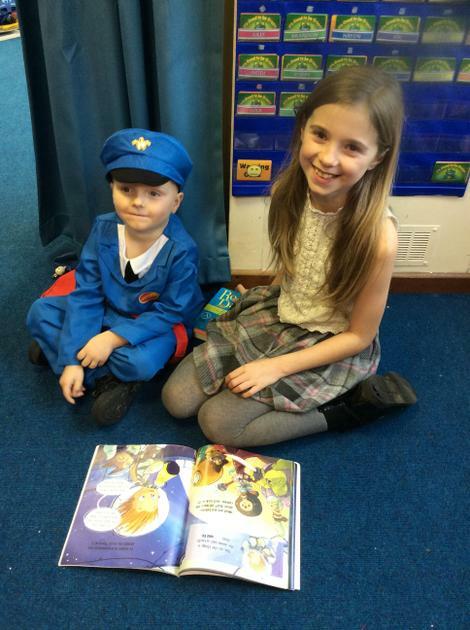 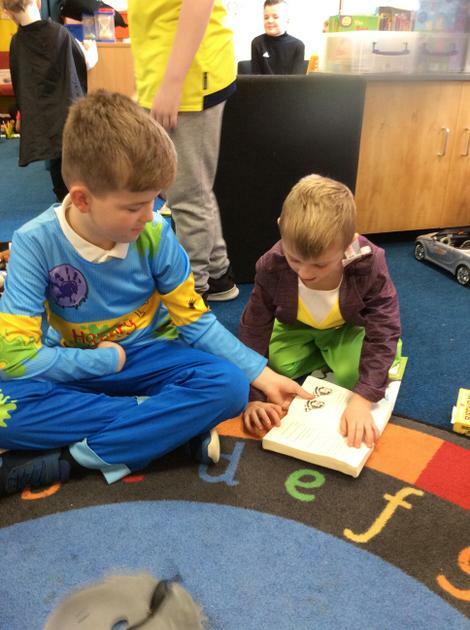 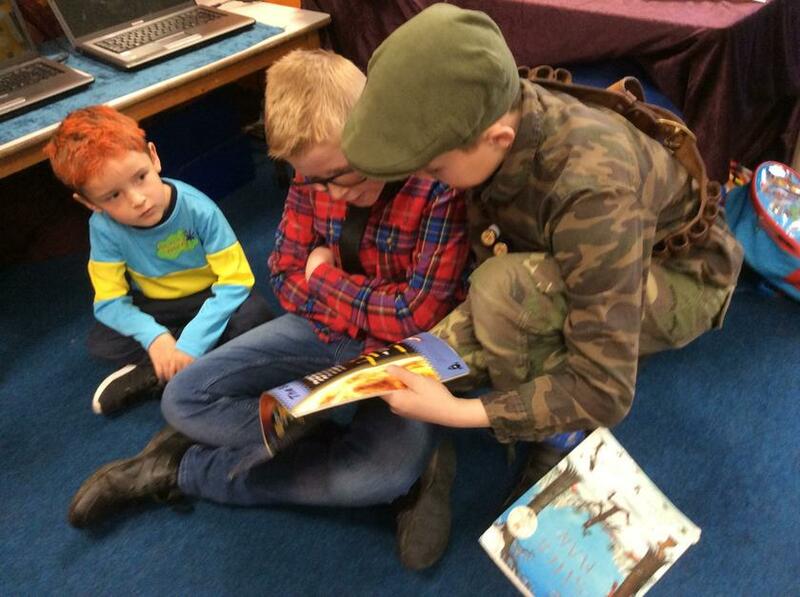 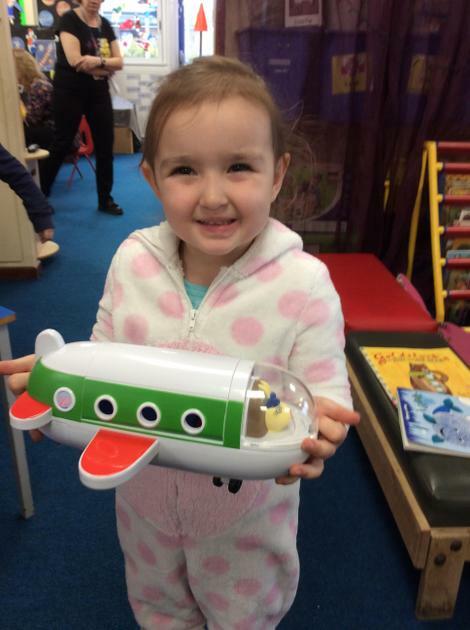 We have had our first Helicopter Story session this week. 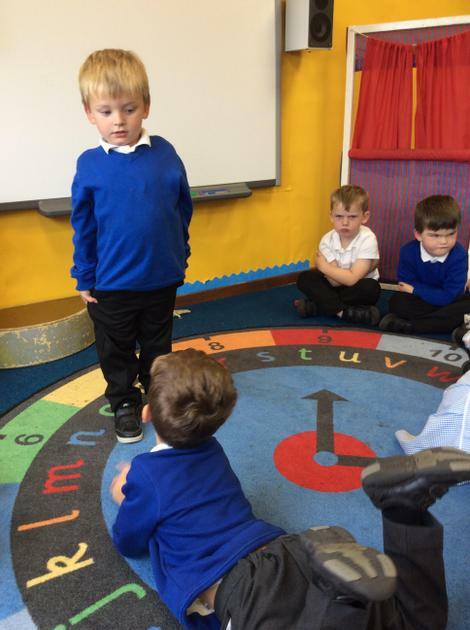 Helicopter stories are where the children tell their own stories scribed by an adult and then their peers act them out on a stage. 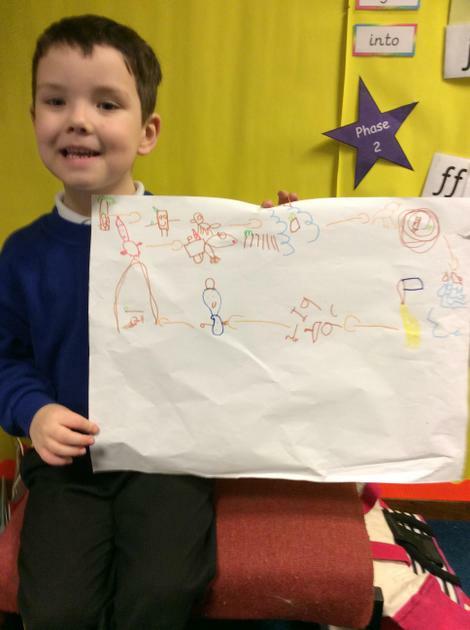 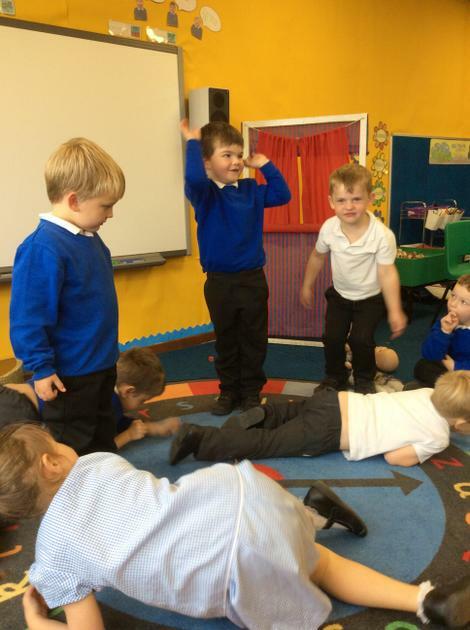 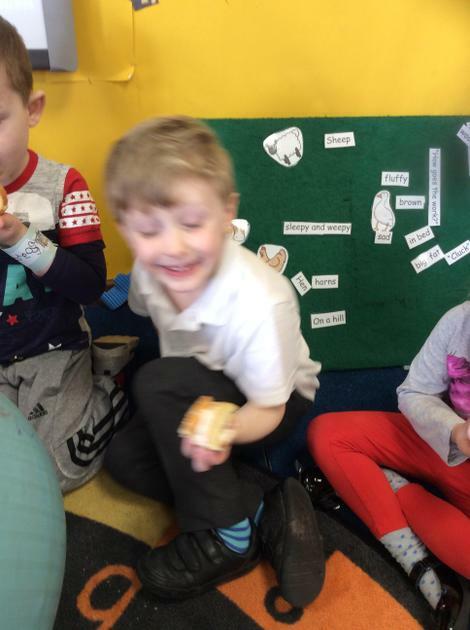 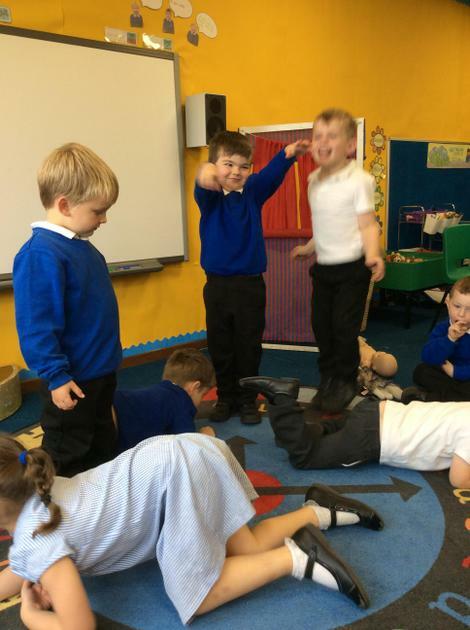 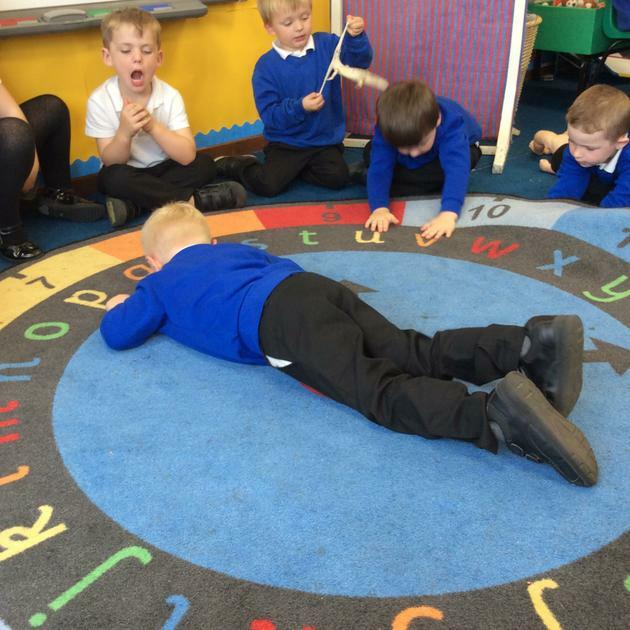 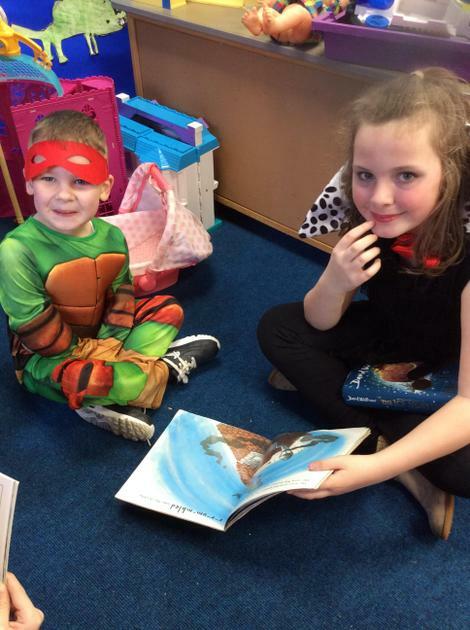 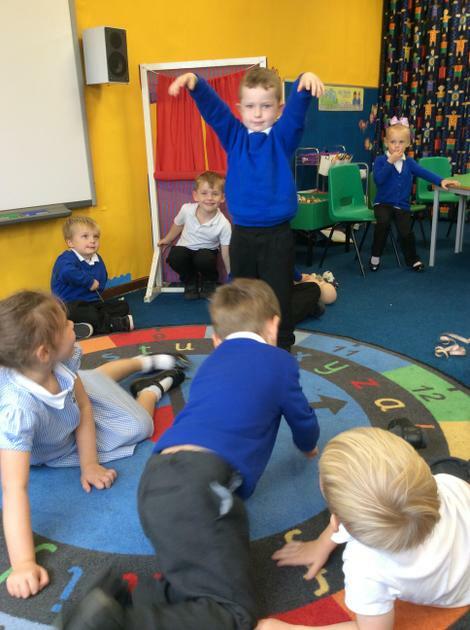 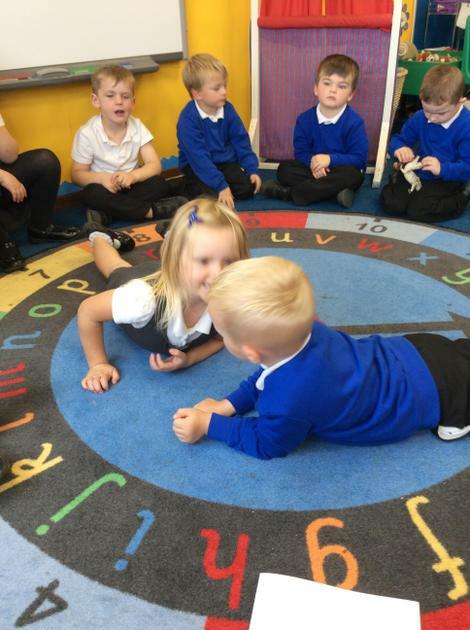 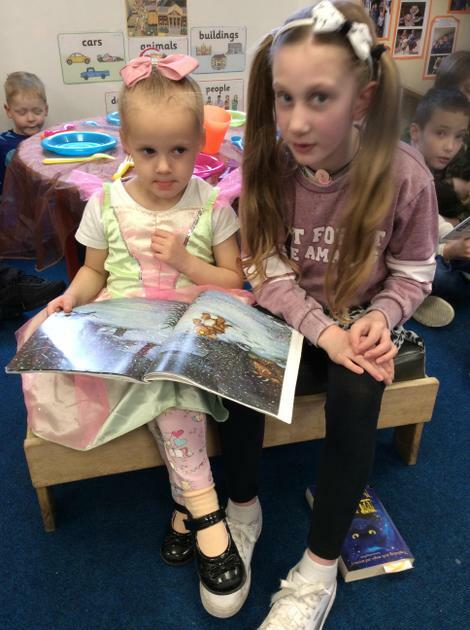 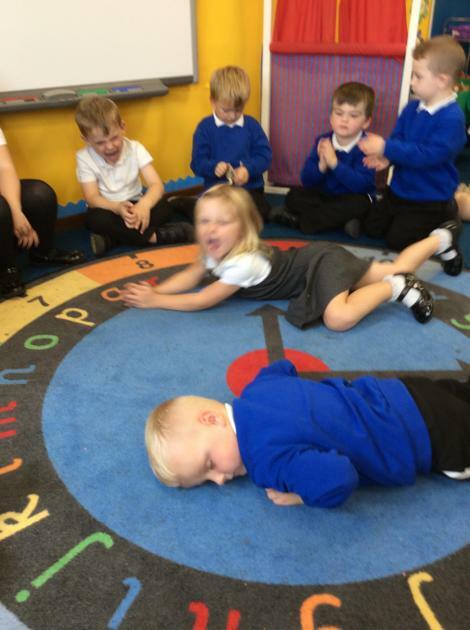 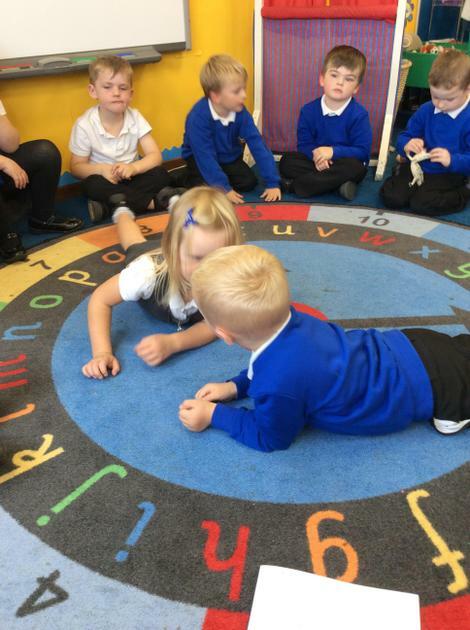 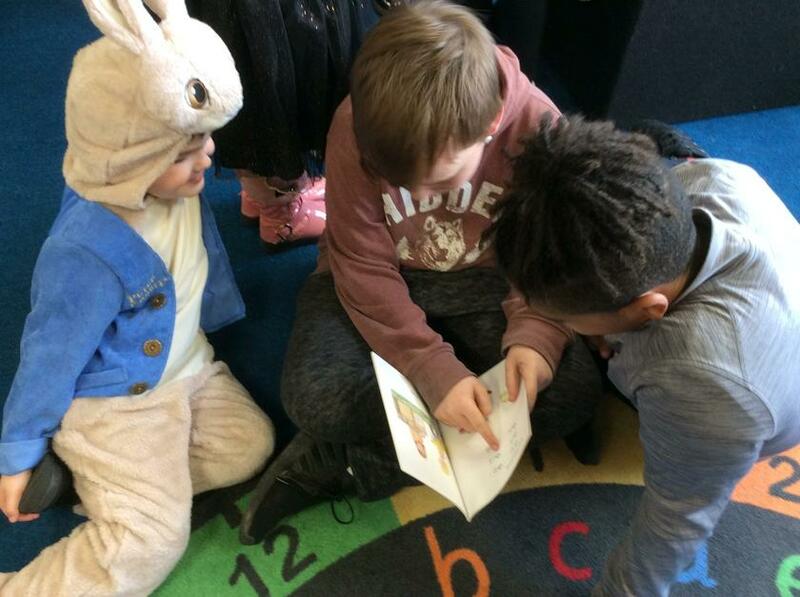 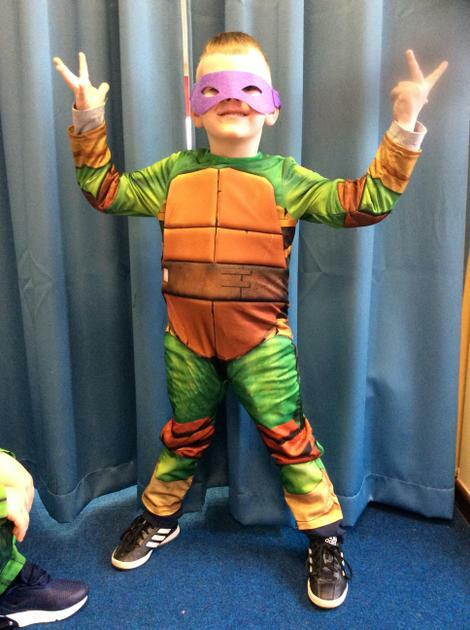 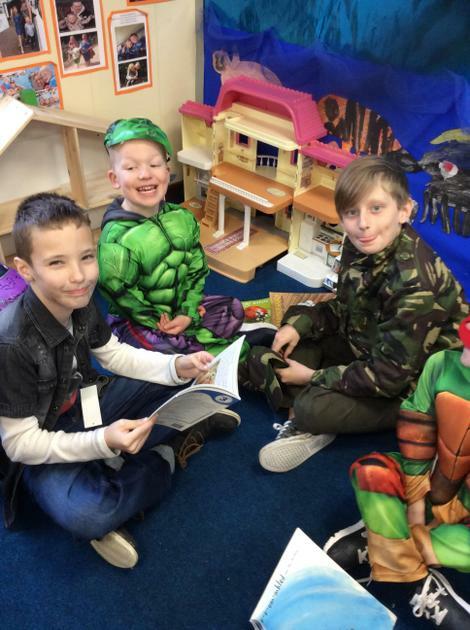 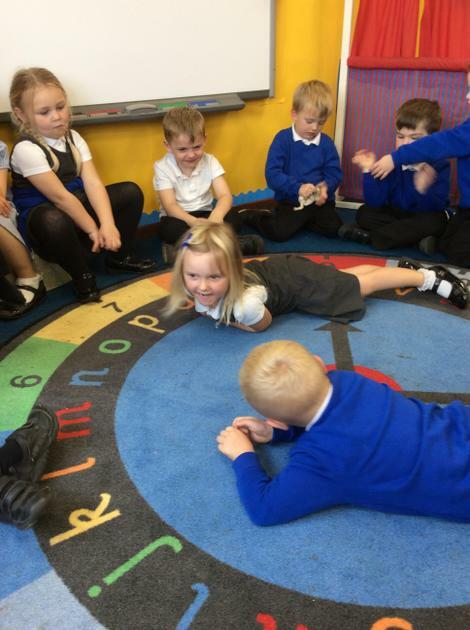 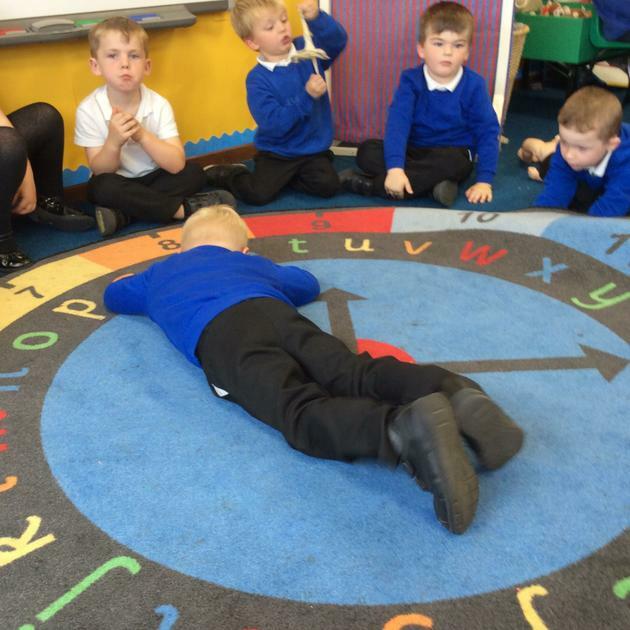 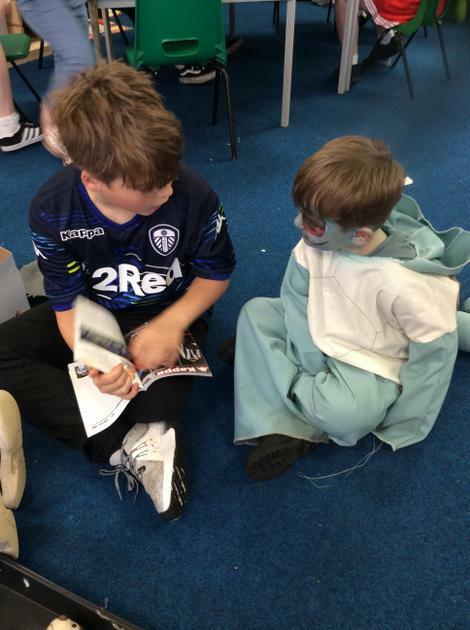 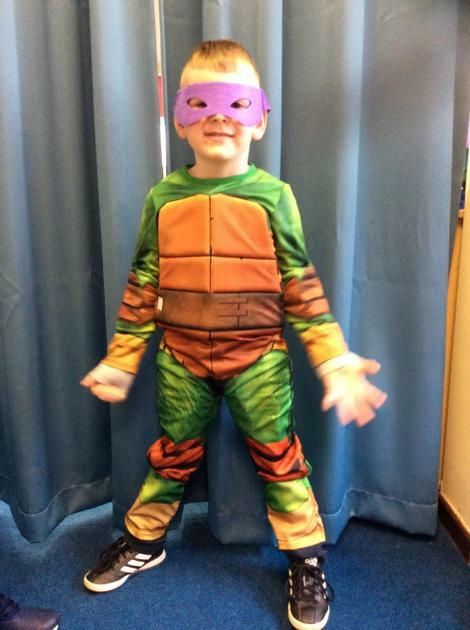 This week we acted out a story about turtles caught in a storm and another about a fish who was eaten by a crocodile but then the crocodile was eaten by a shark! 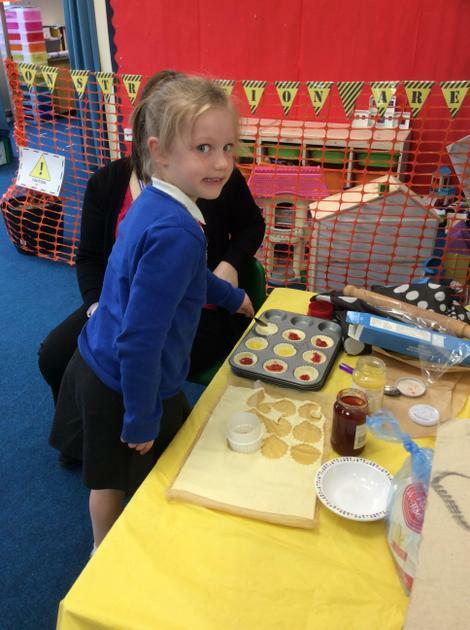 We all had so much fun and can't wait until next week when we do it again! 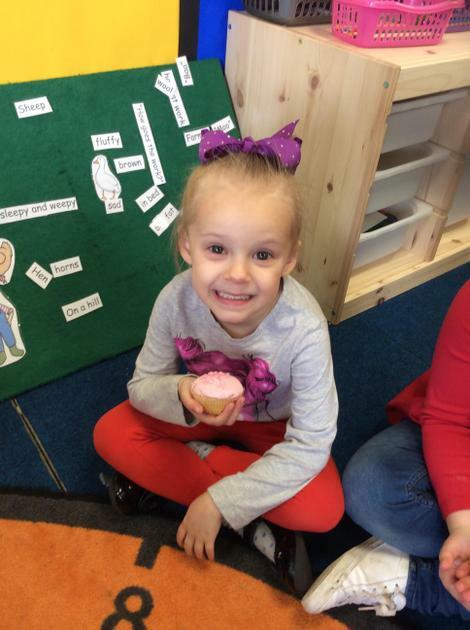 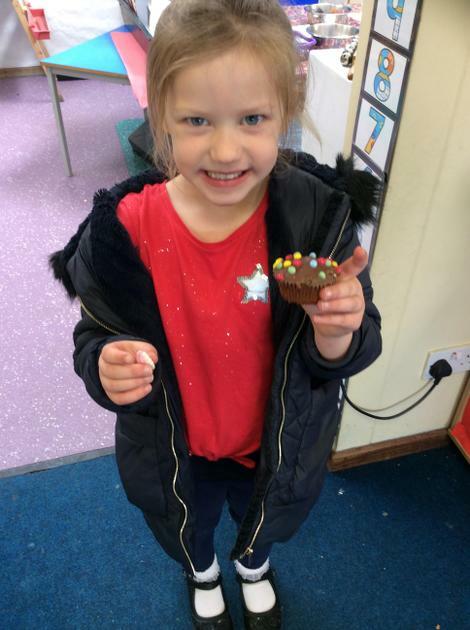 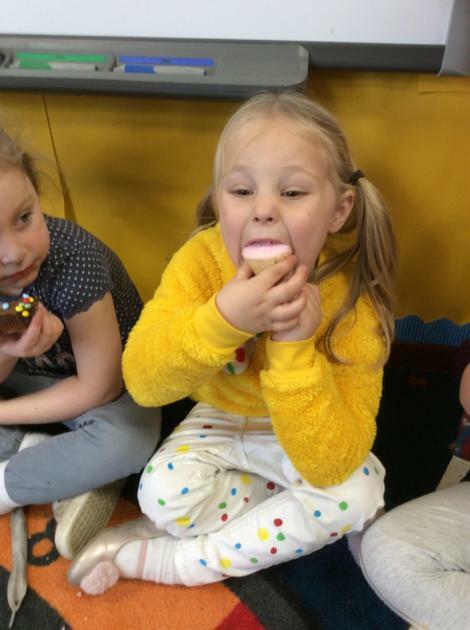 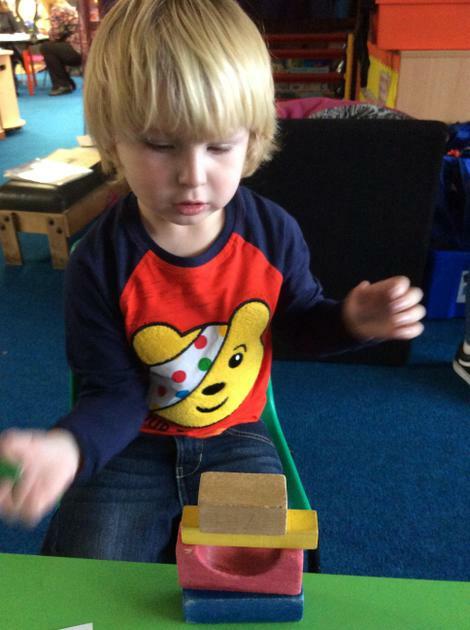 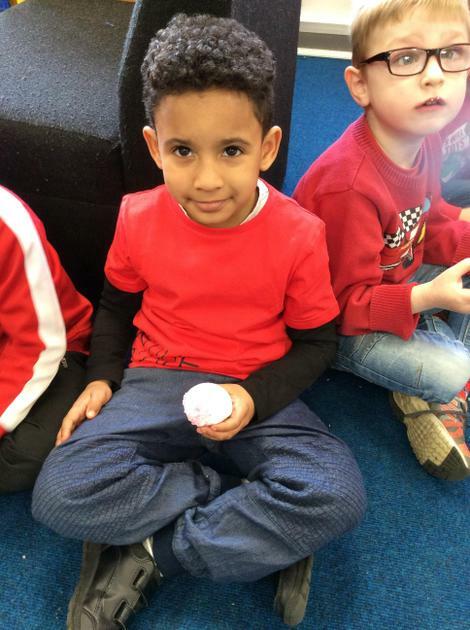 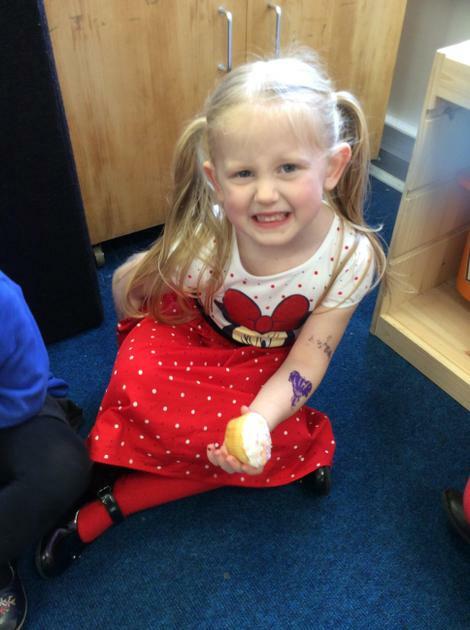 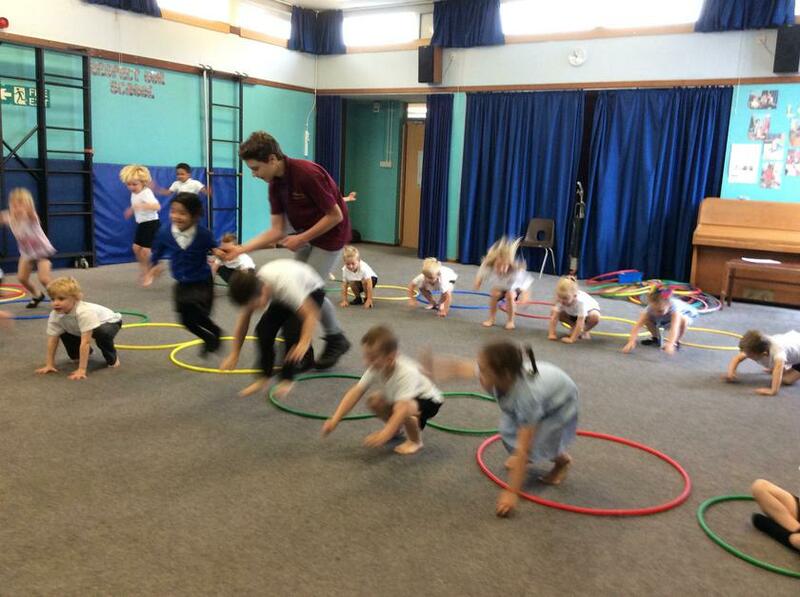 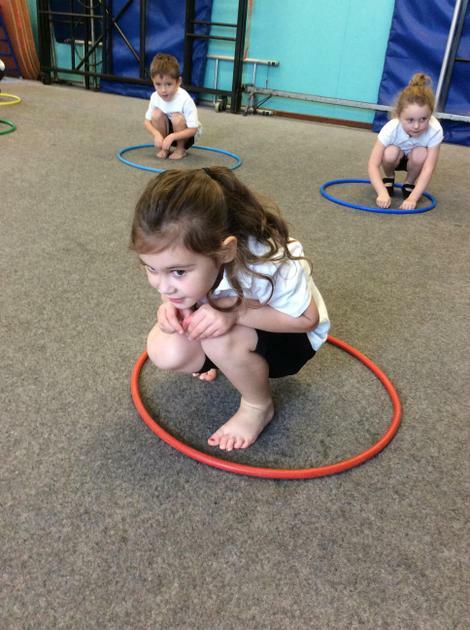 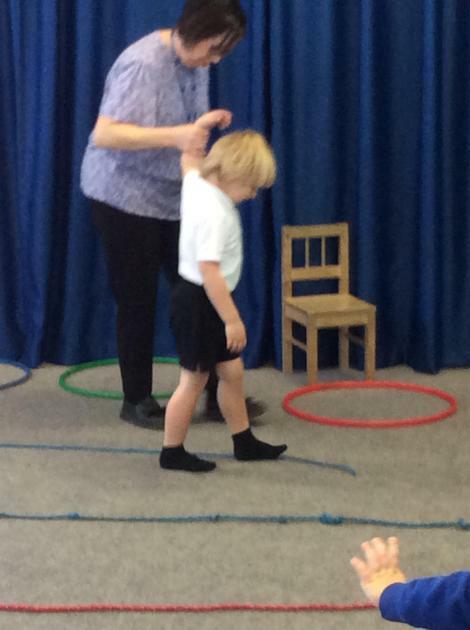 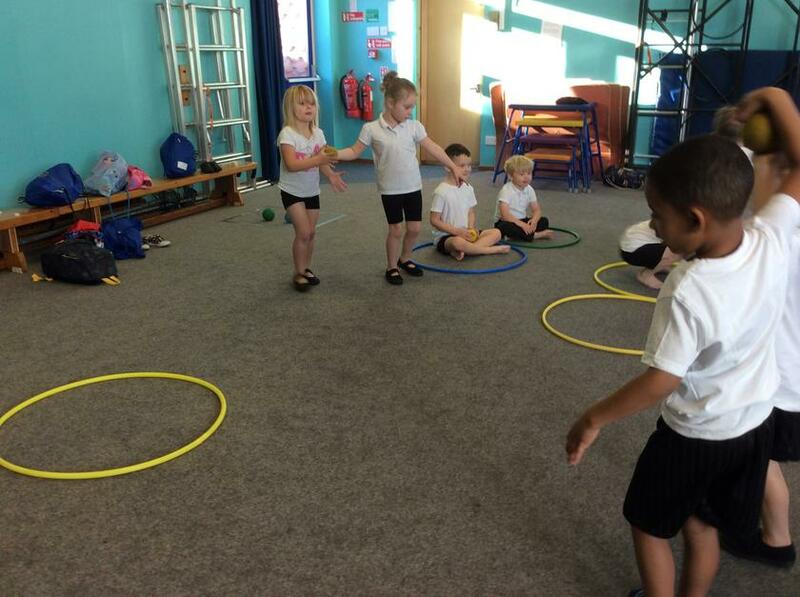 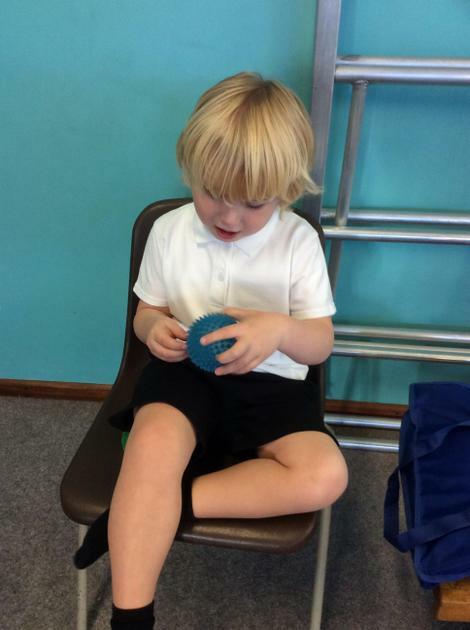 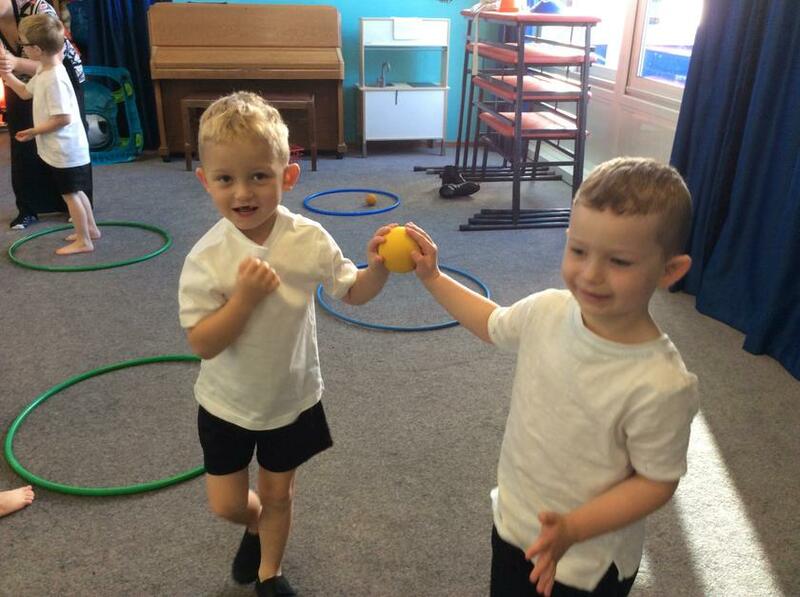 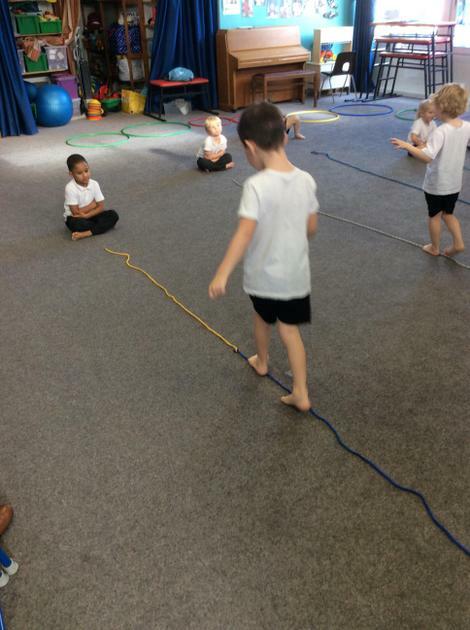 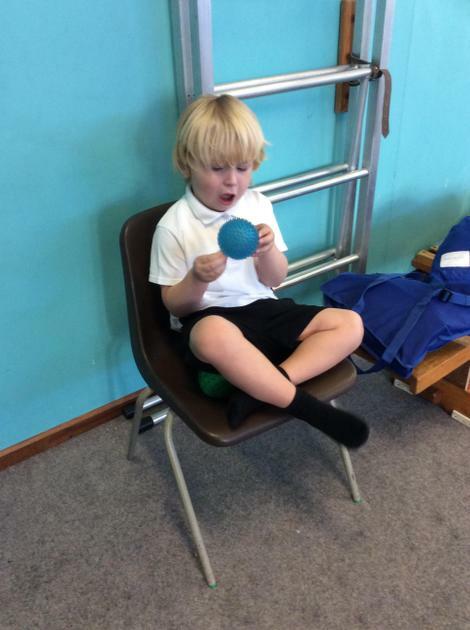 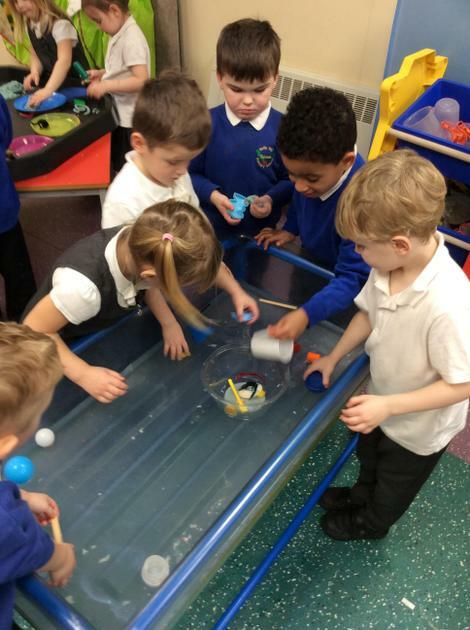 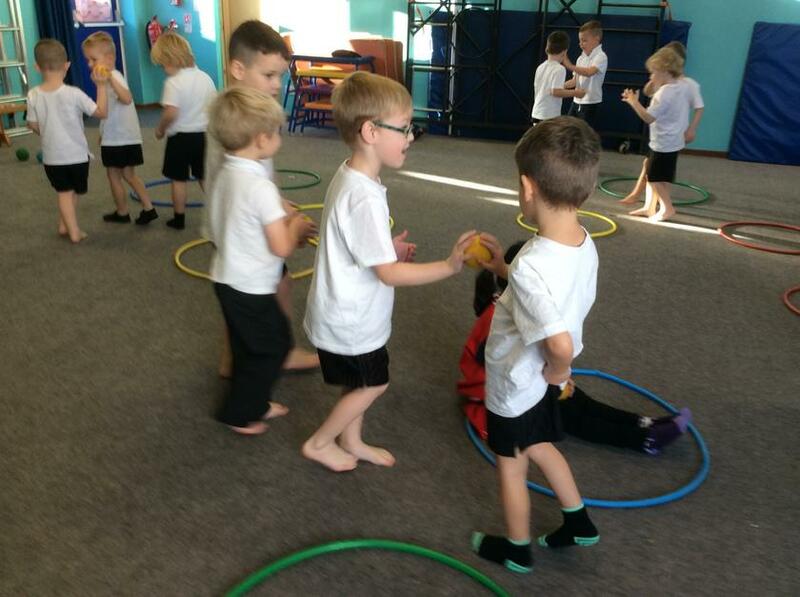 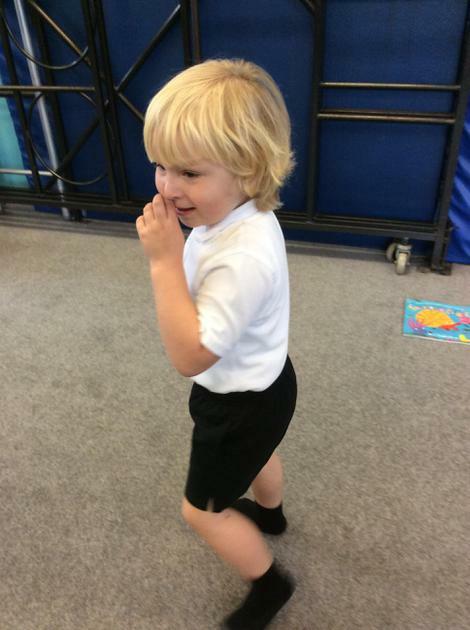 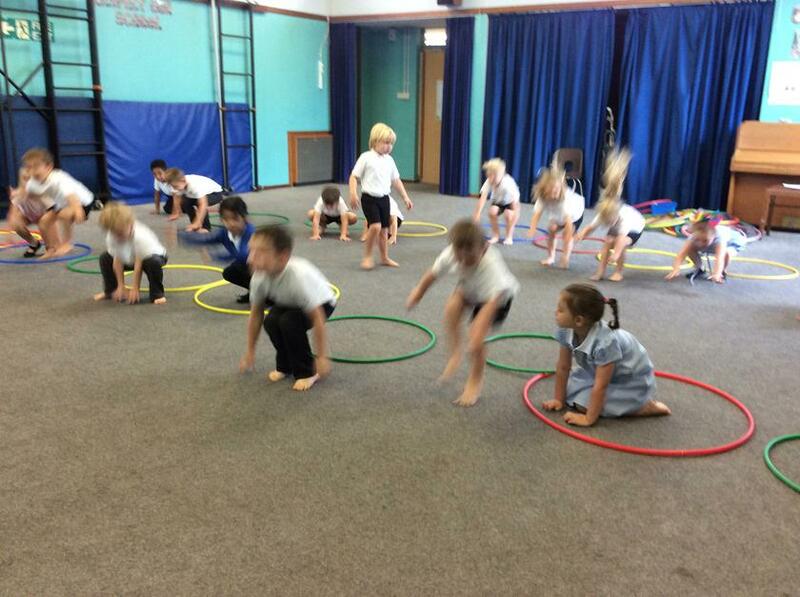 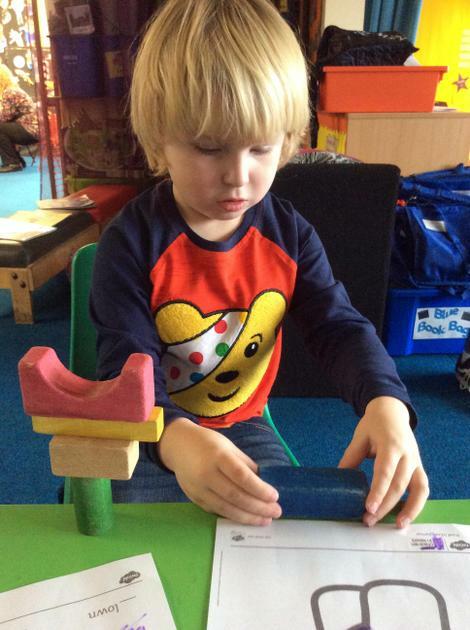 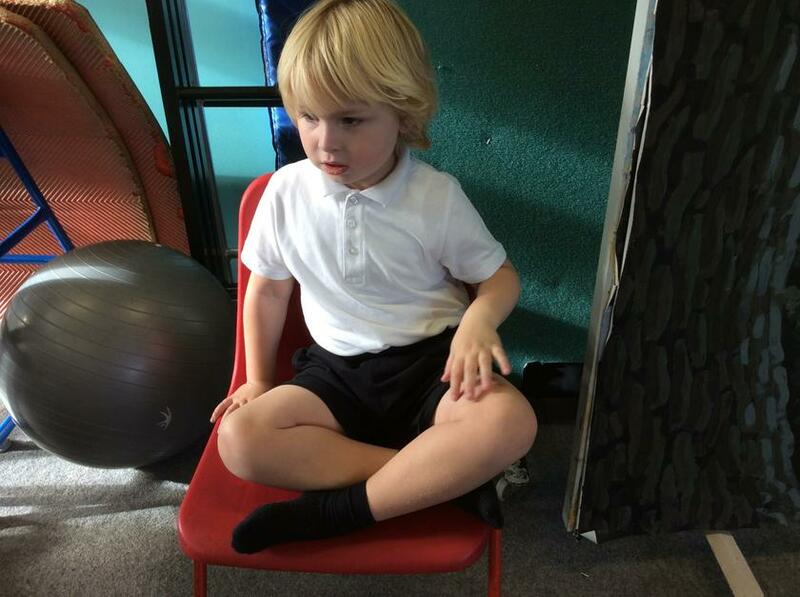 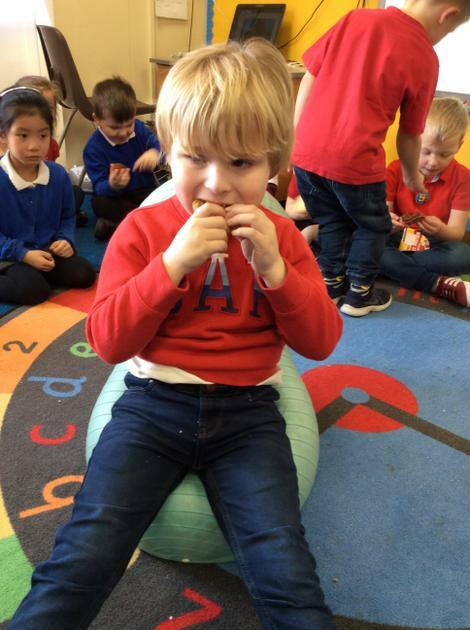 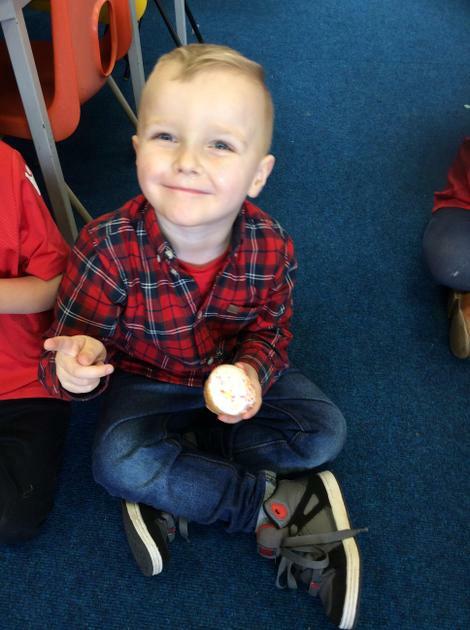 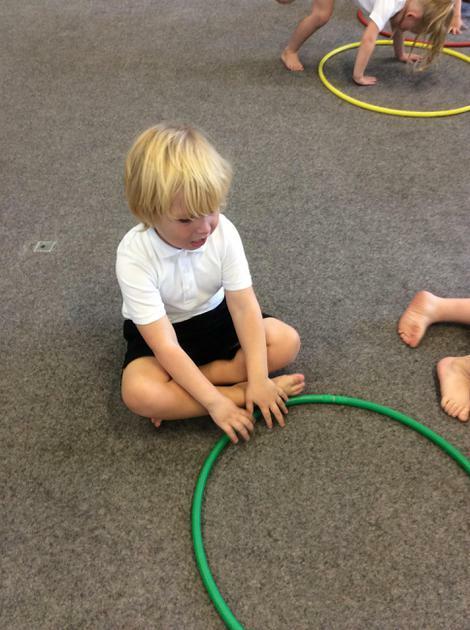 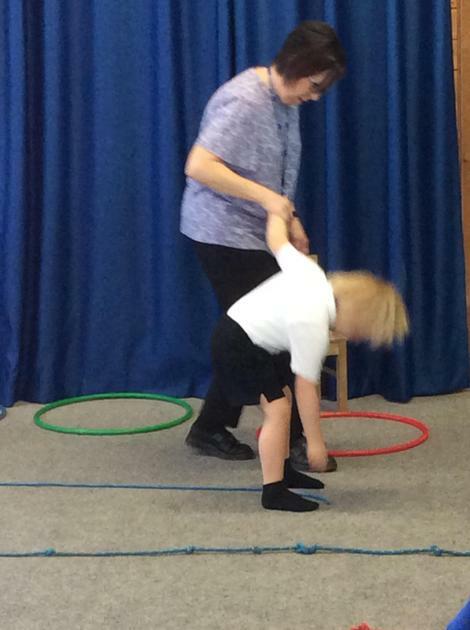 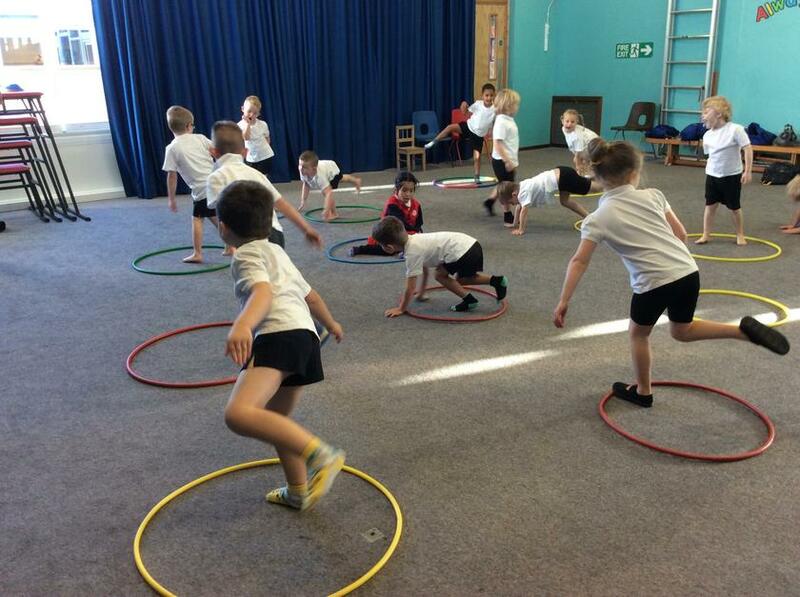 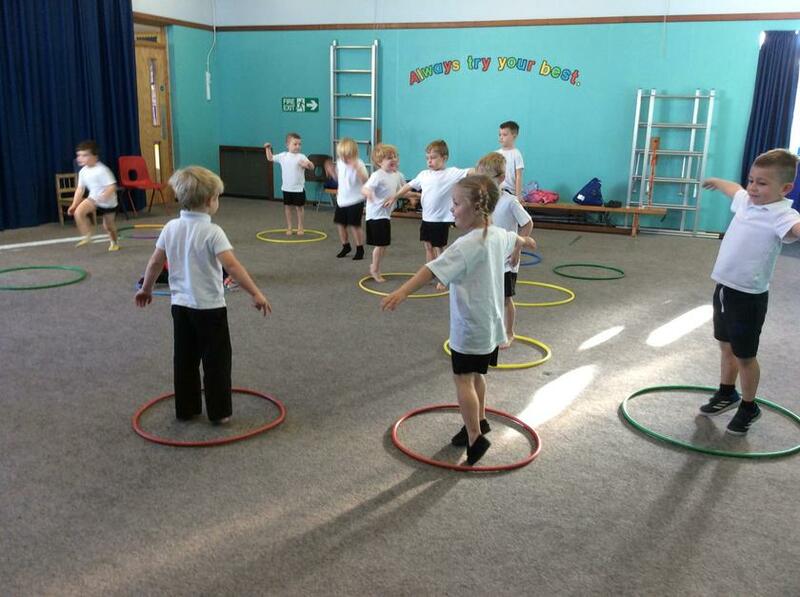 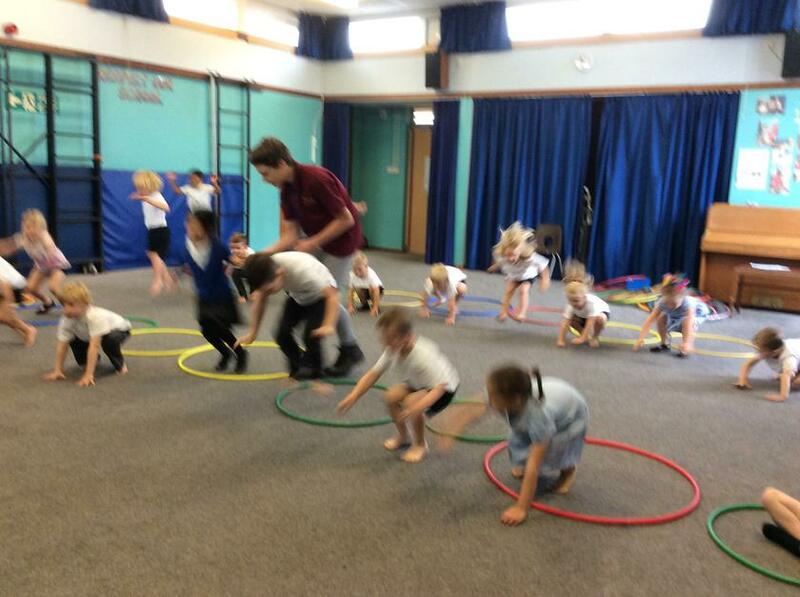 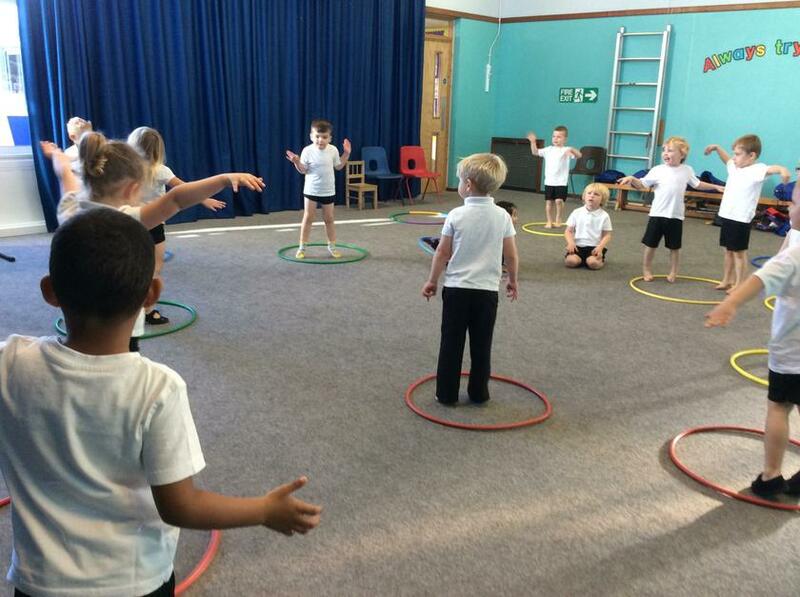 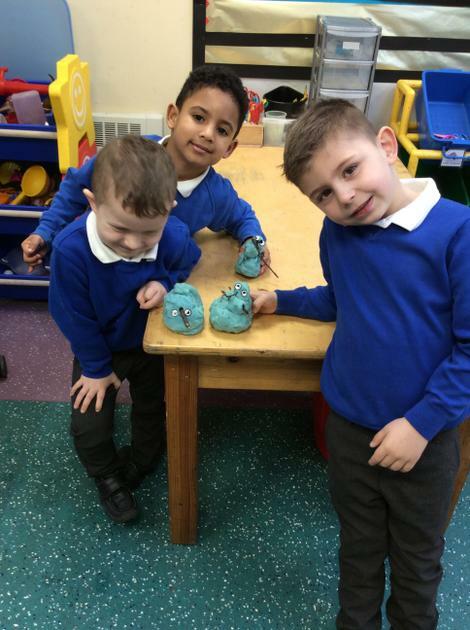 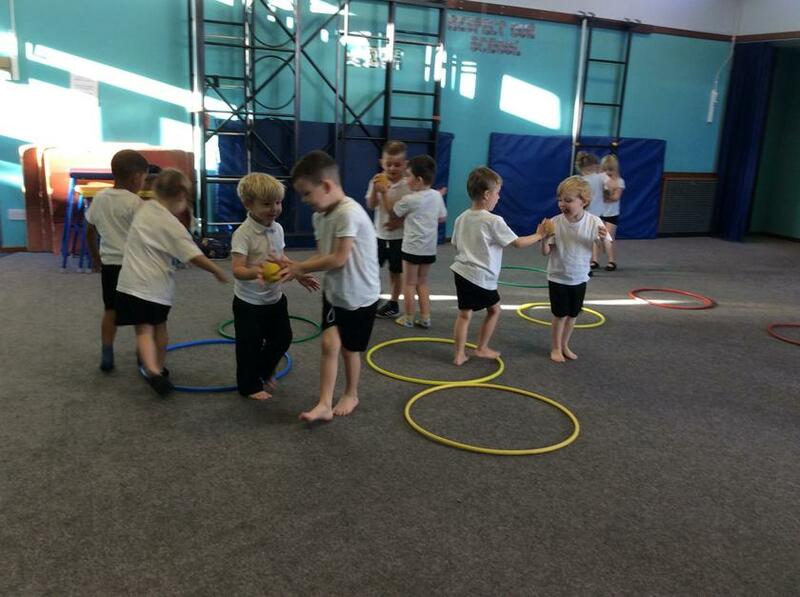 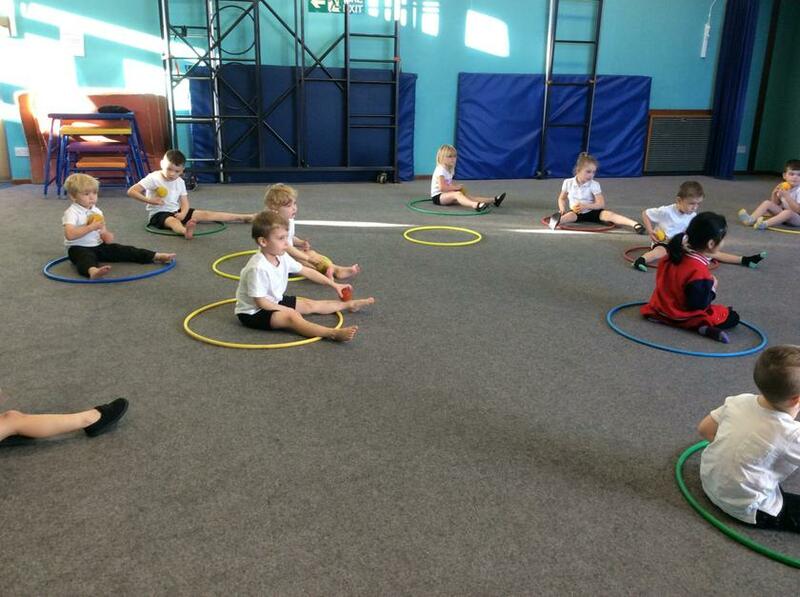 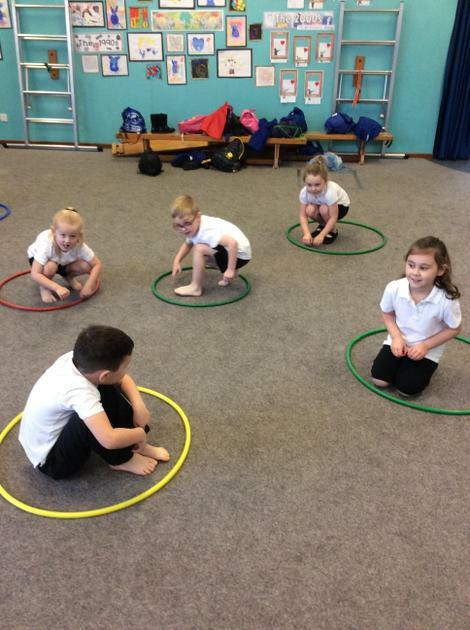 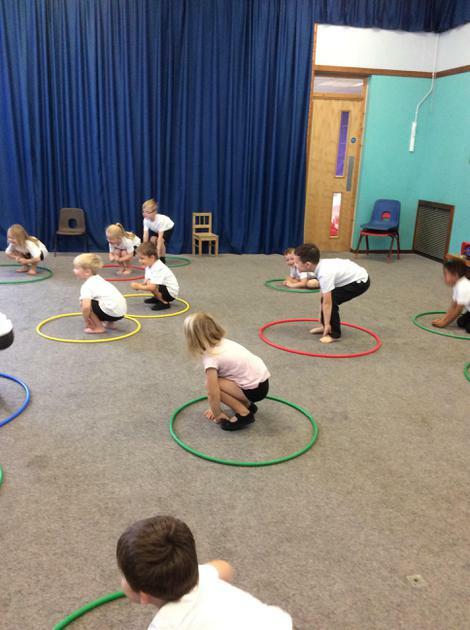 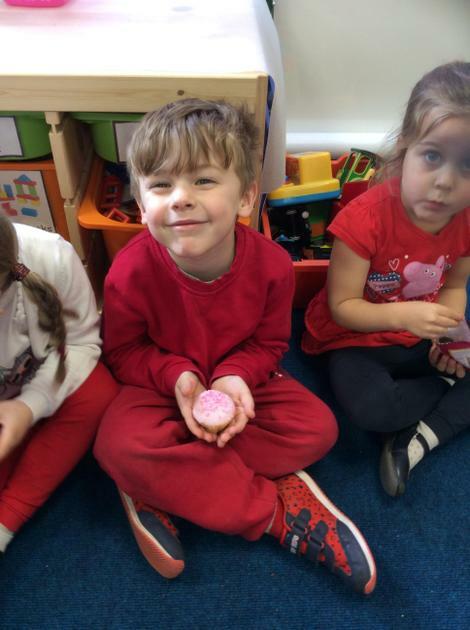 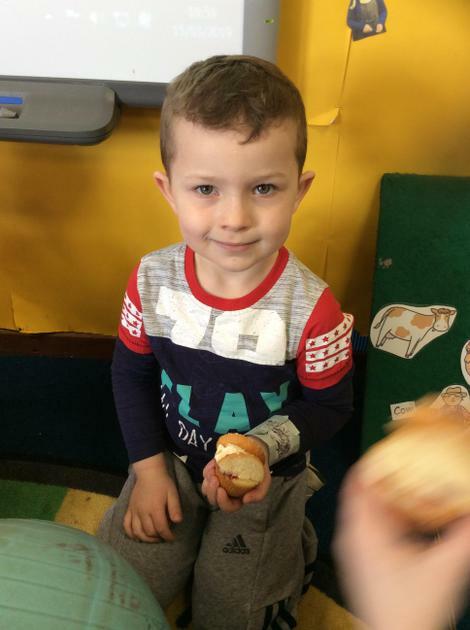 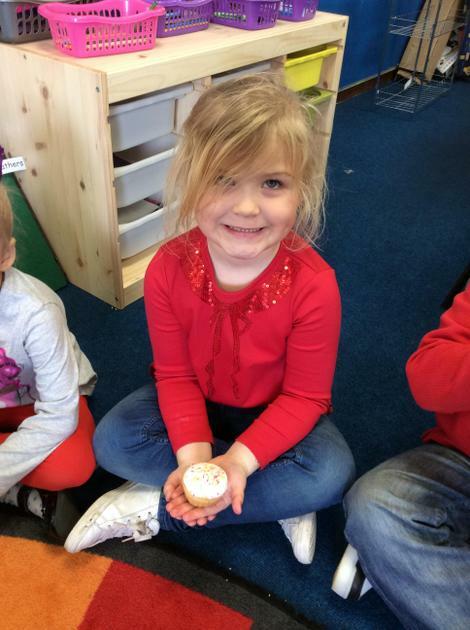 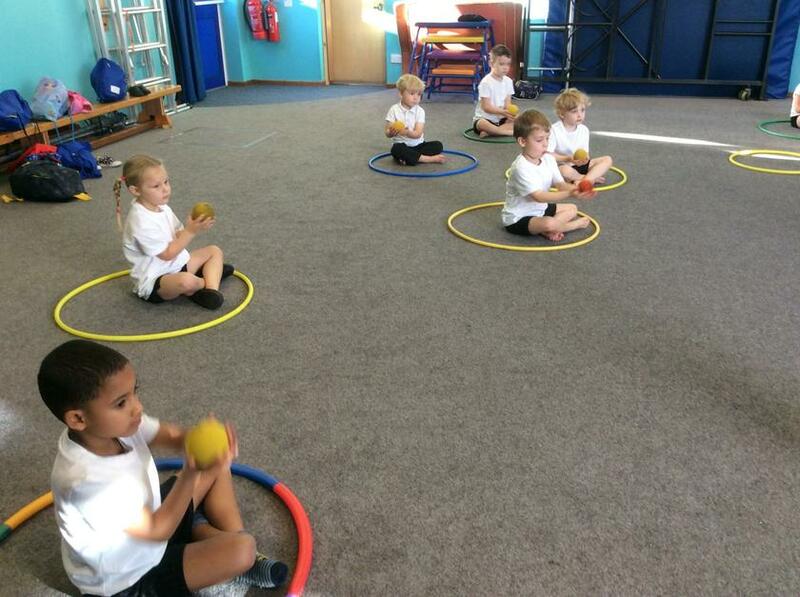 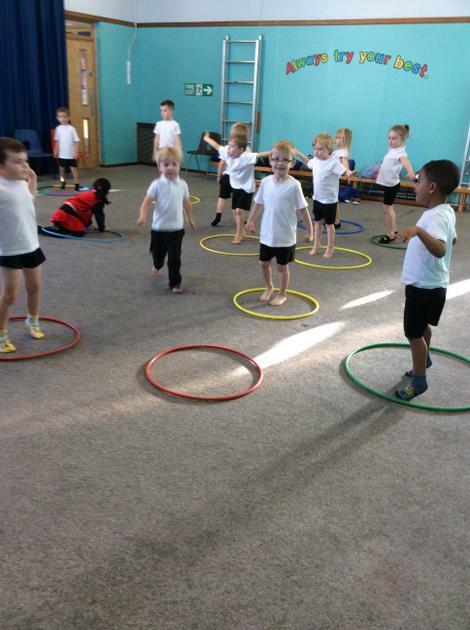 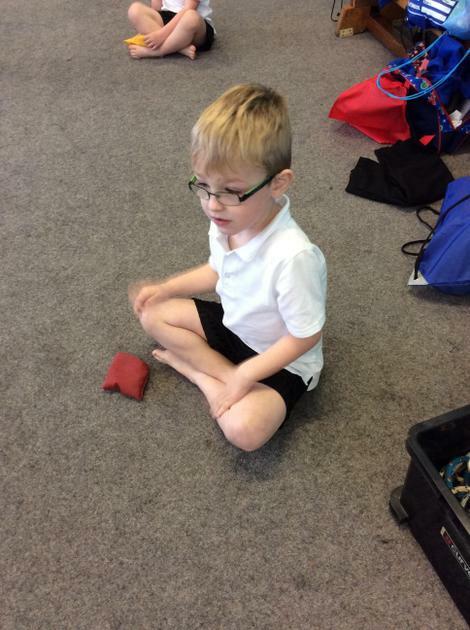 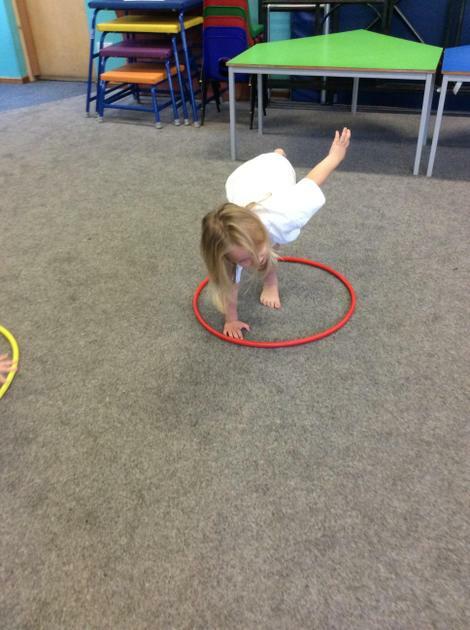 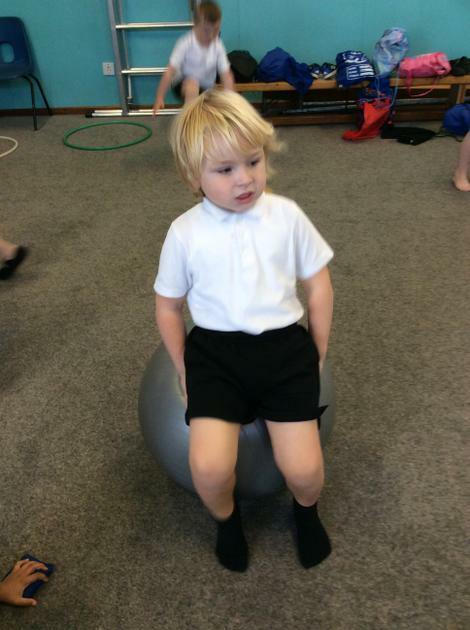 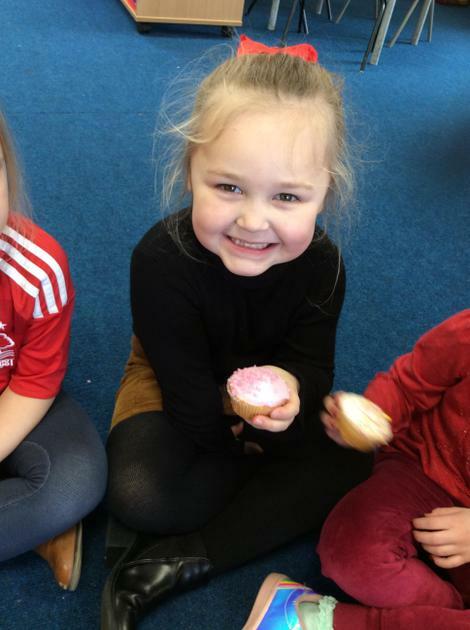 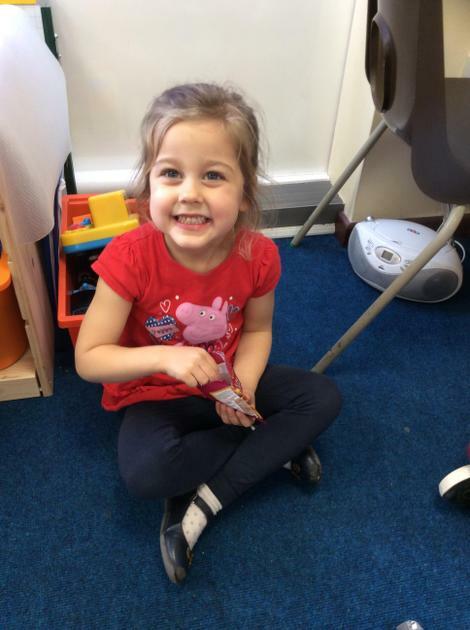 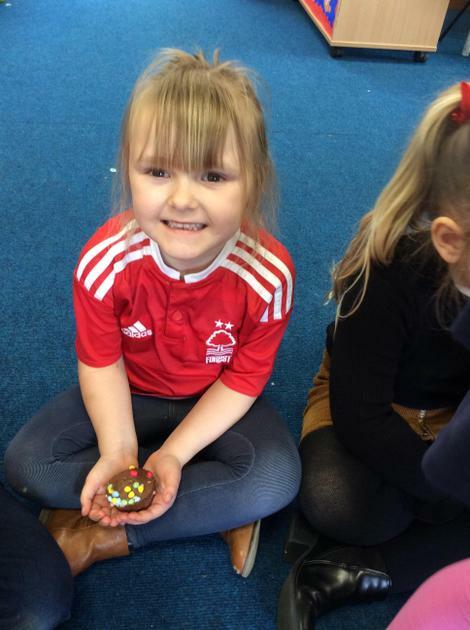 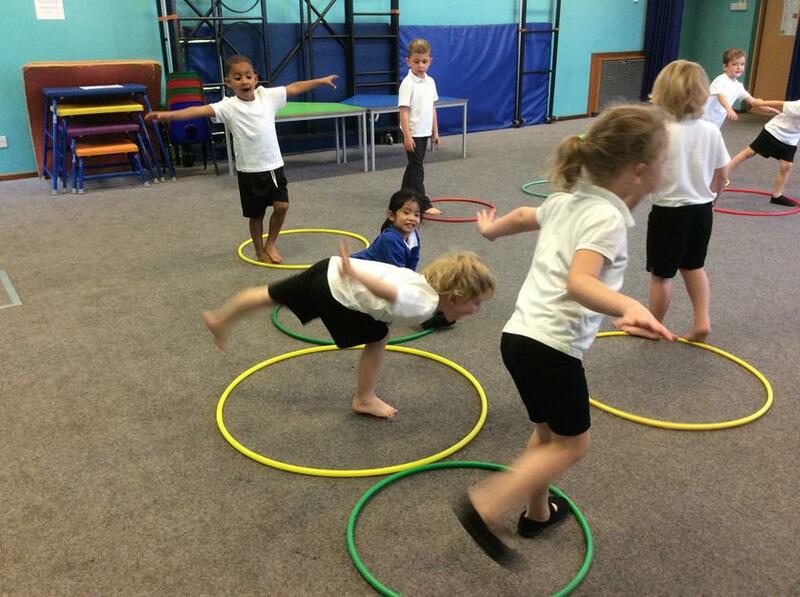 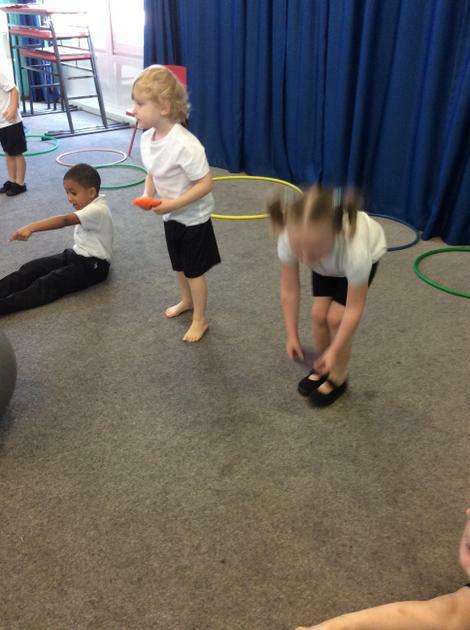 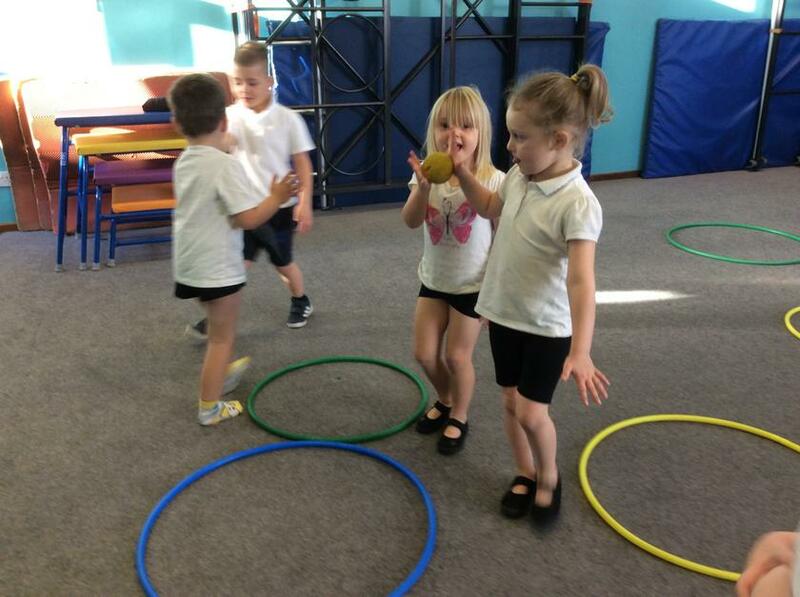 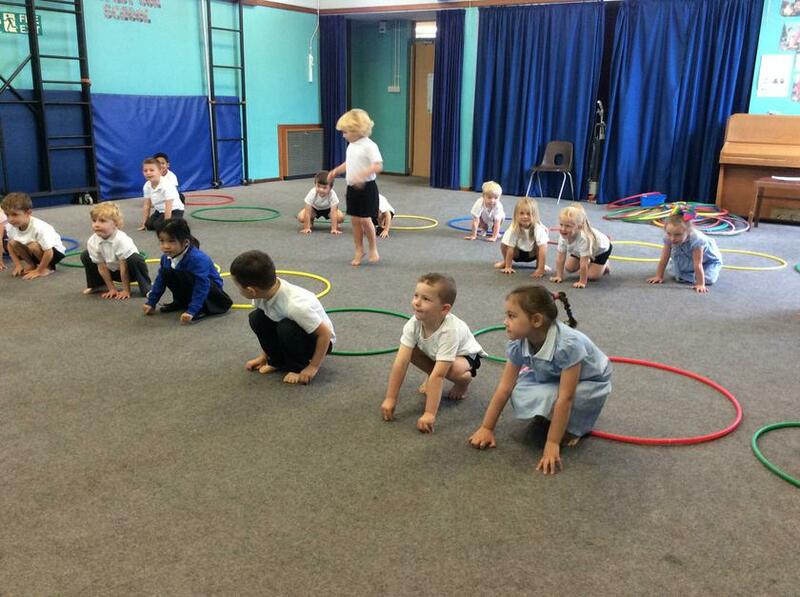 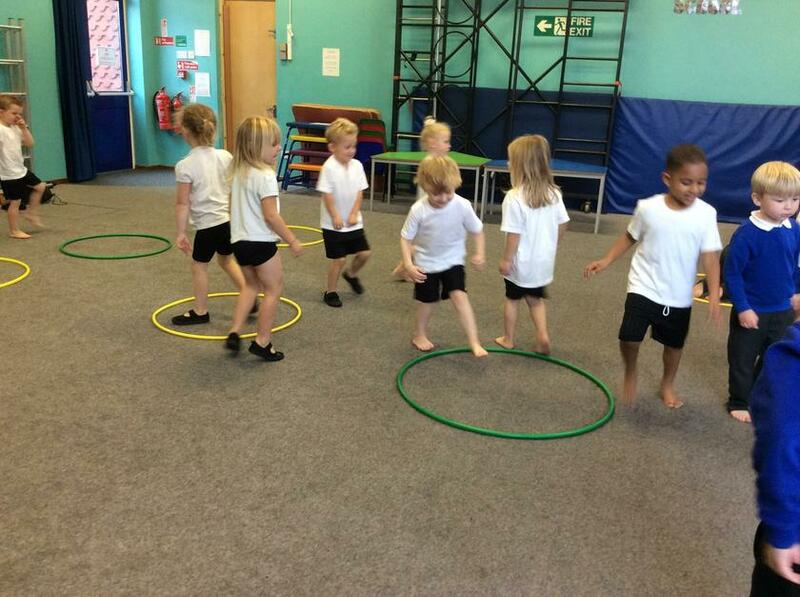 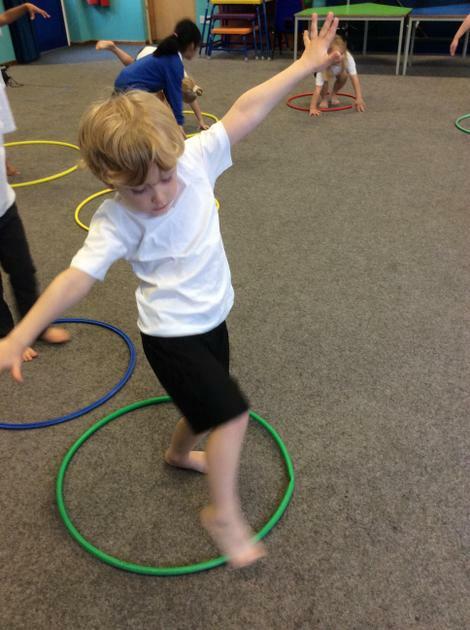 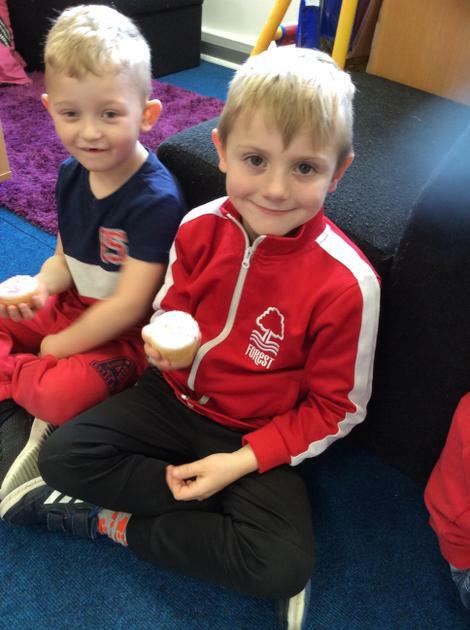 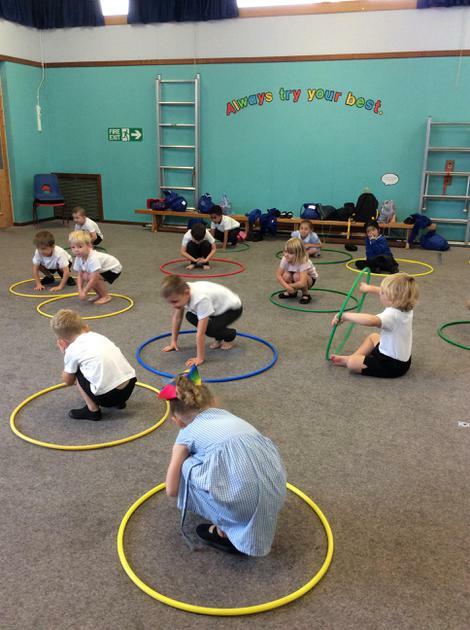 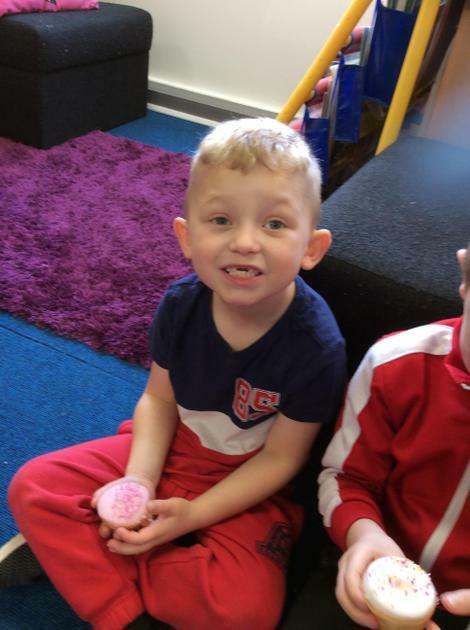 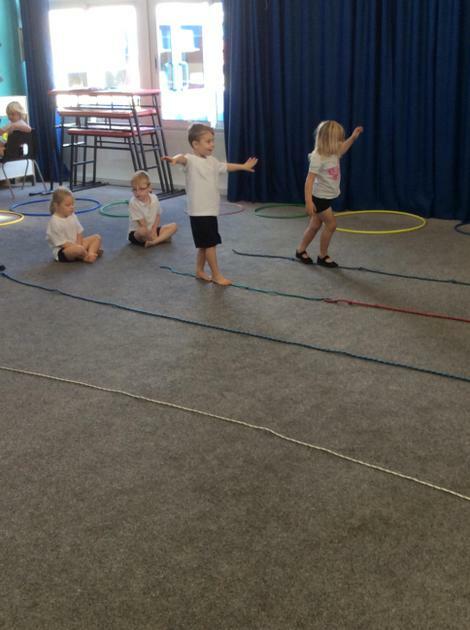 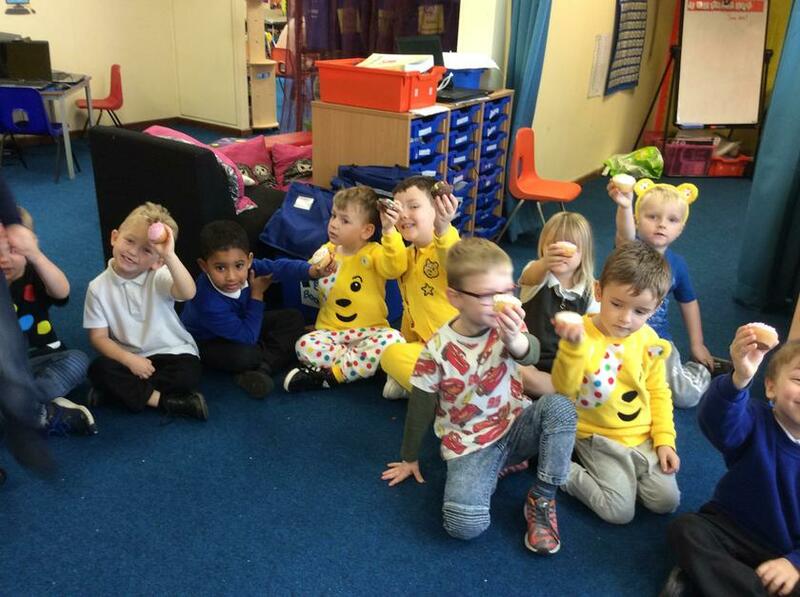 This week in P.E we have been learning to balance and roll objects safely. 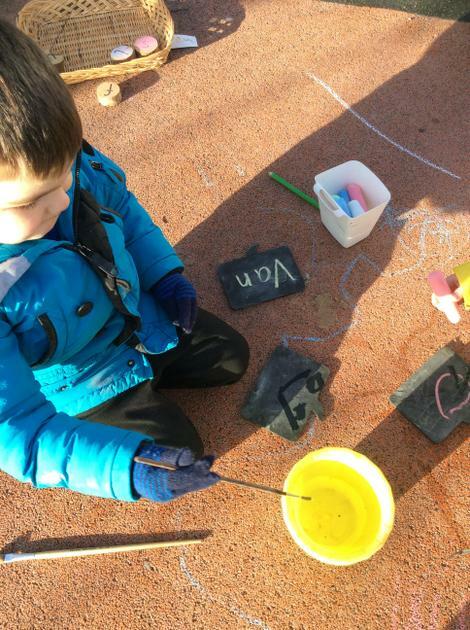 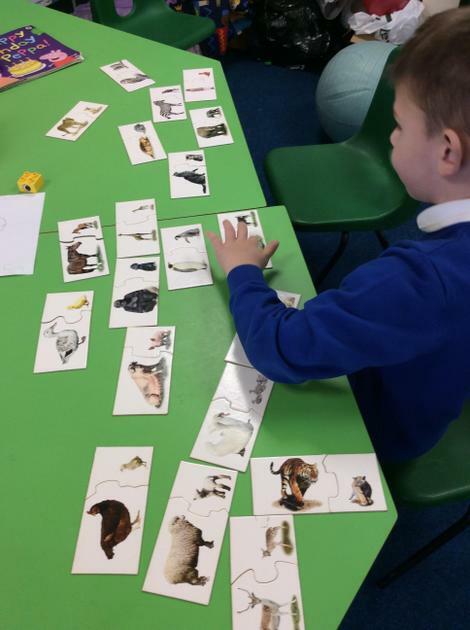 In Phonics we have been learning the phonemes 's' and 'a', as well as the tricky word 'the'. 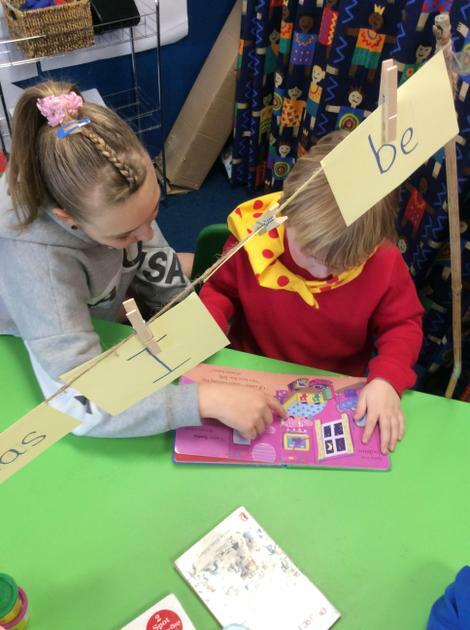 Please remember to attend our phonics meeting on Tuesday 2nd October 9am or 3:30pm to find out more about how phonics is taught at Holly Hill. 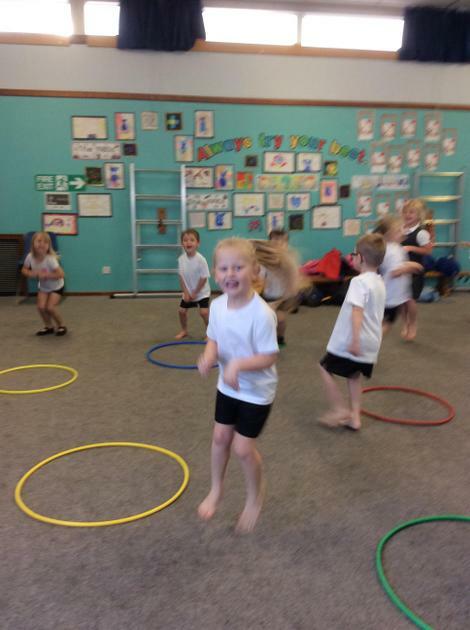 Today we had our first P.E experience. 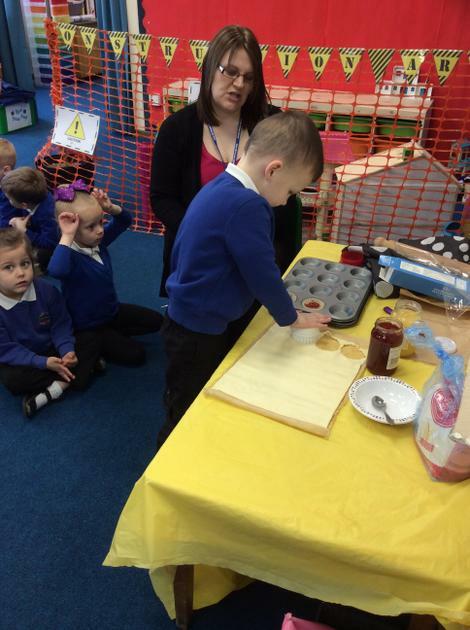 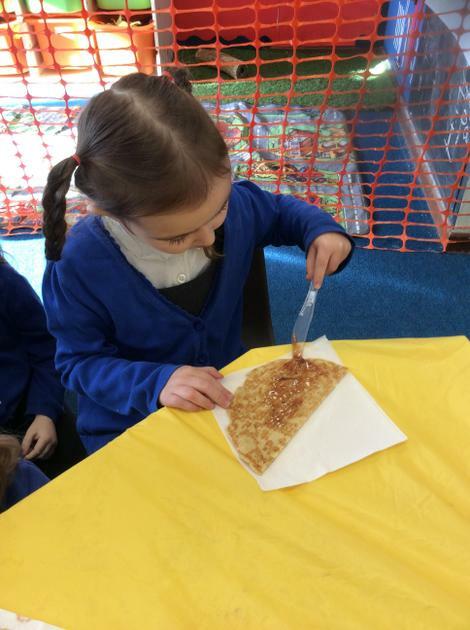 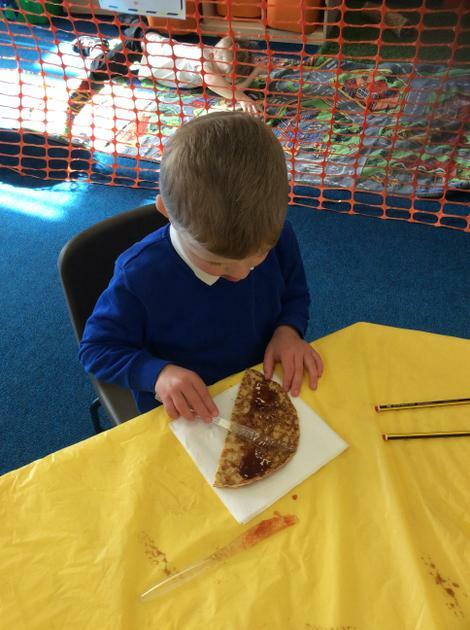 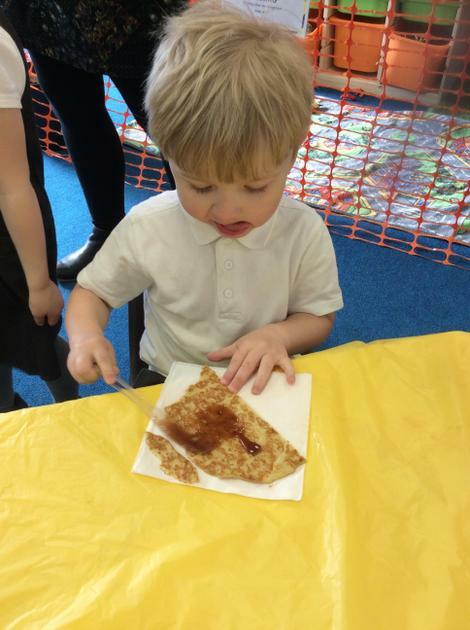 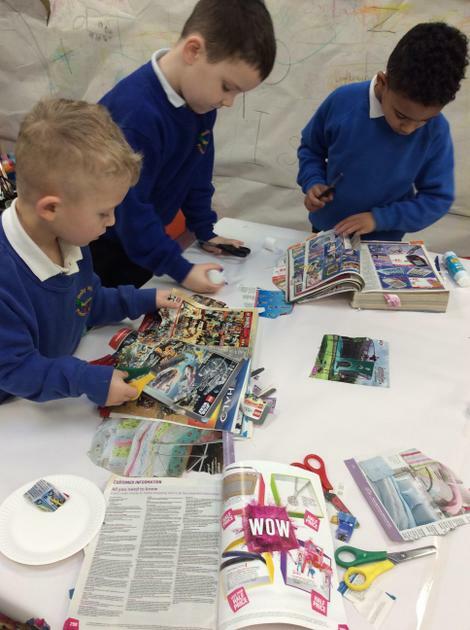 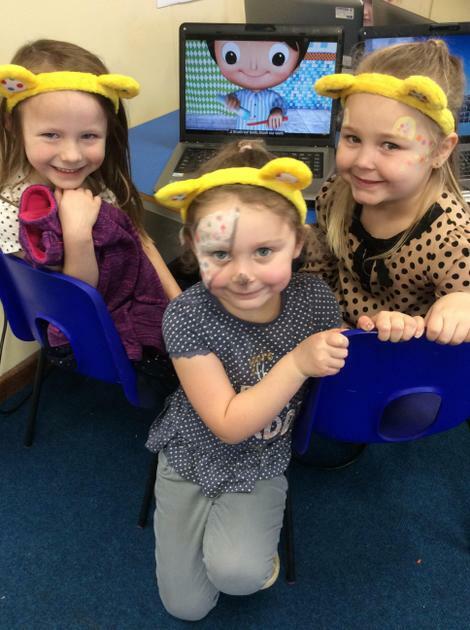 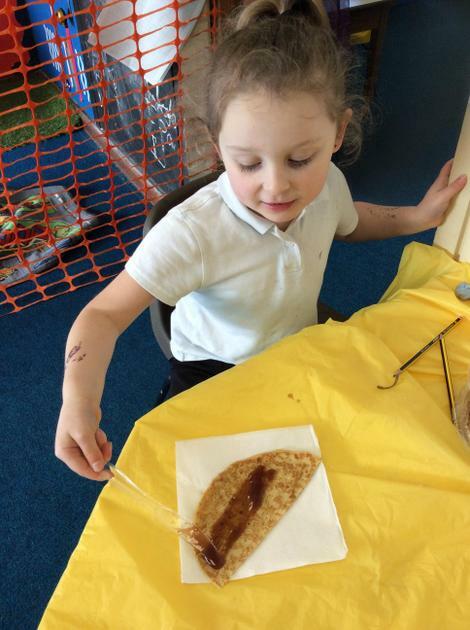 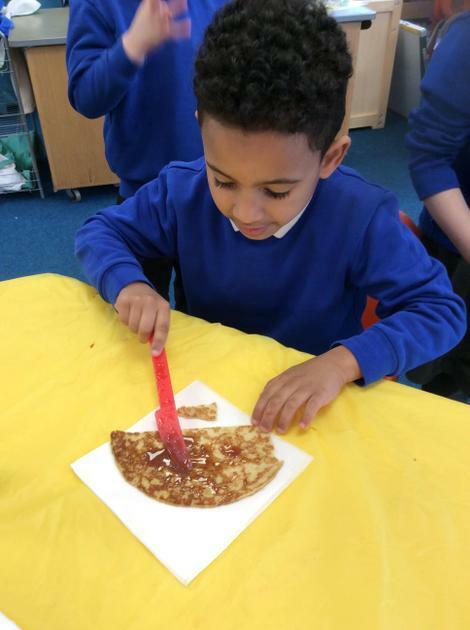 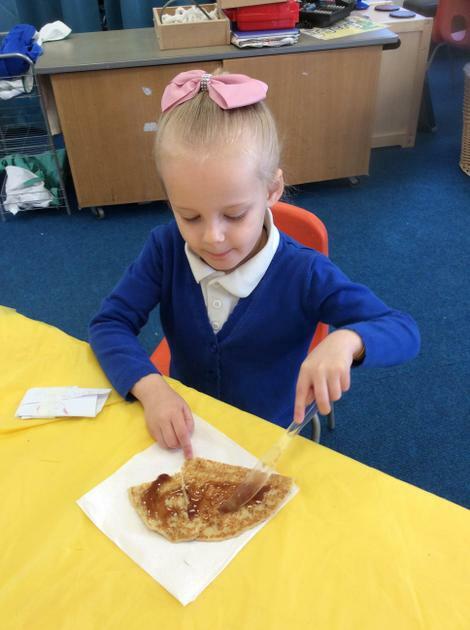 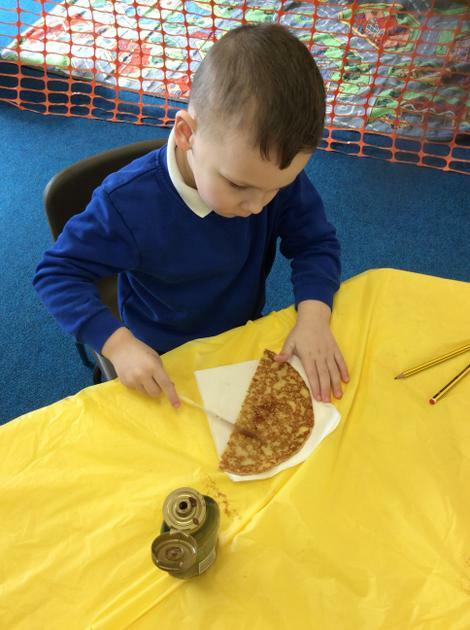 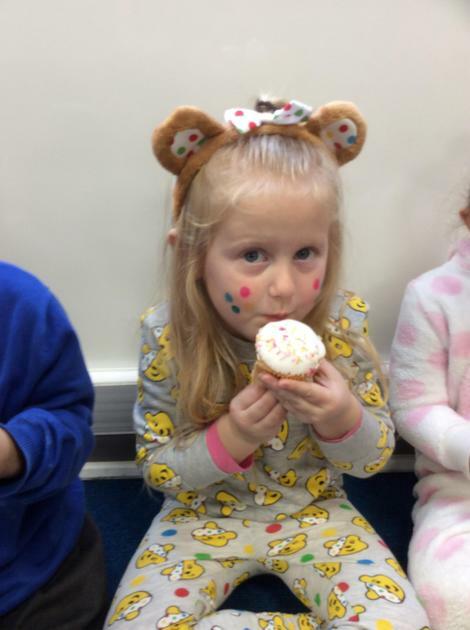 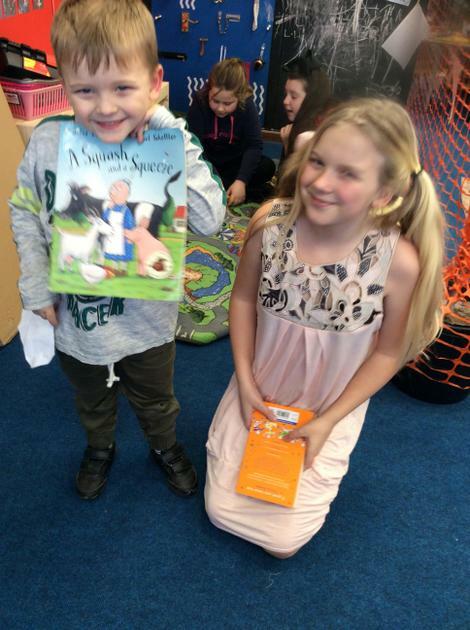 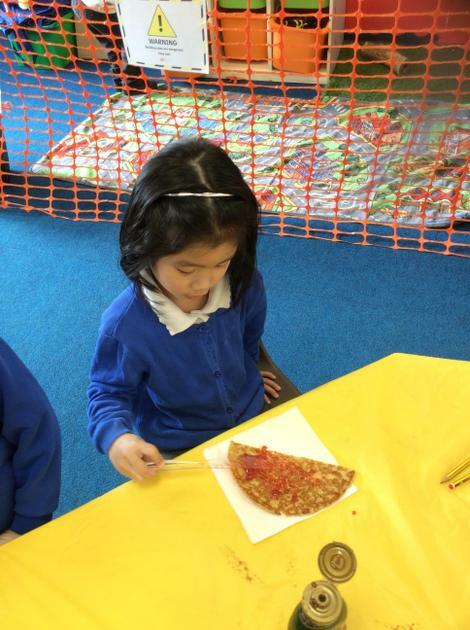 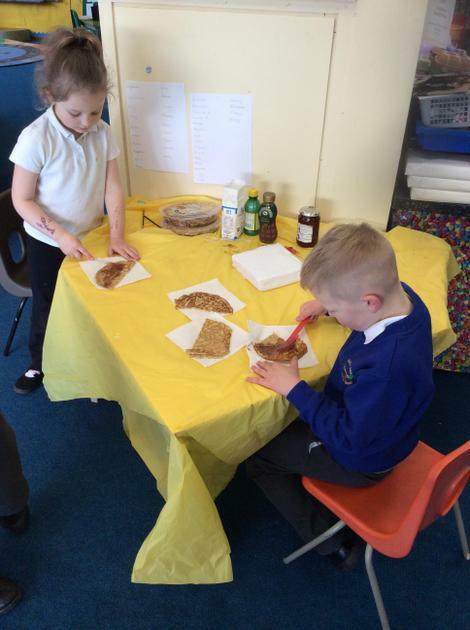 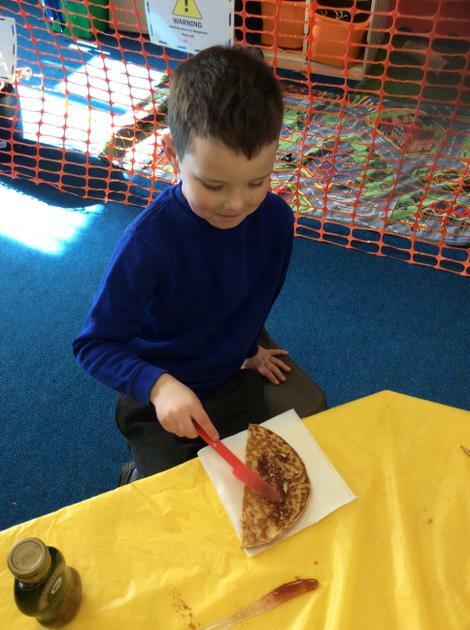 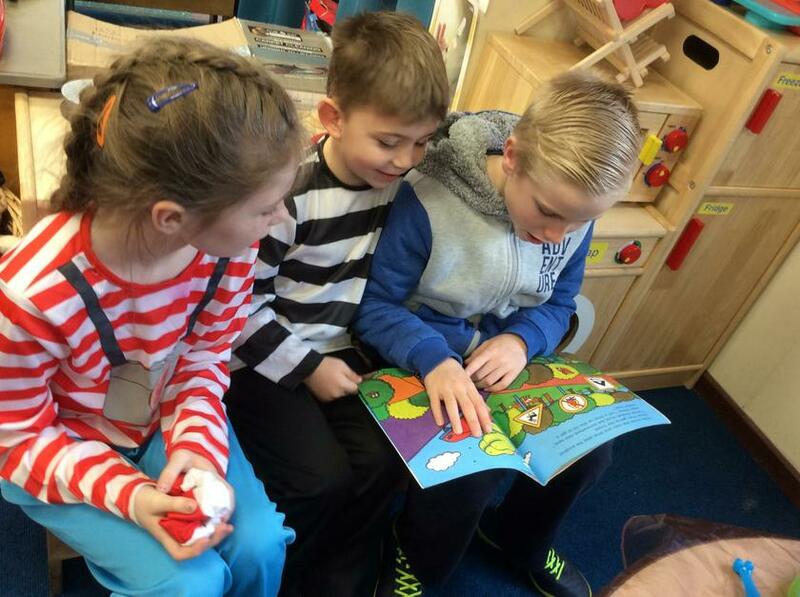 The children really enjoyed it. 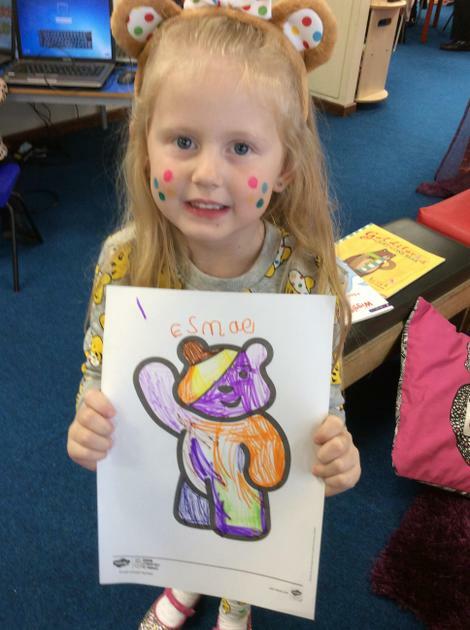 Our Elmer day is Friday 28th September. 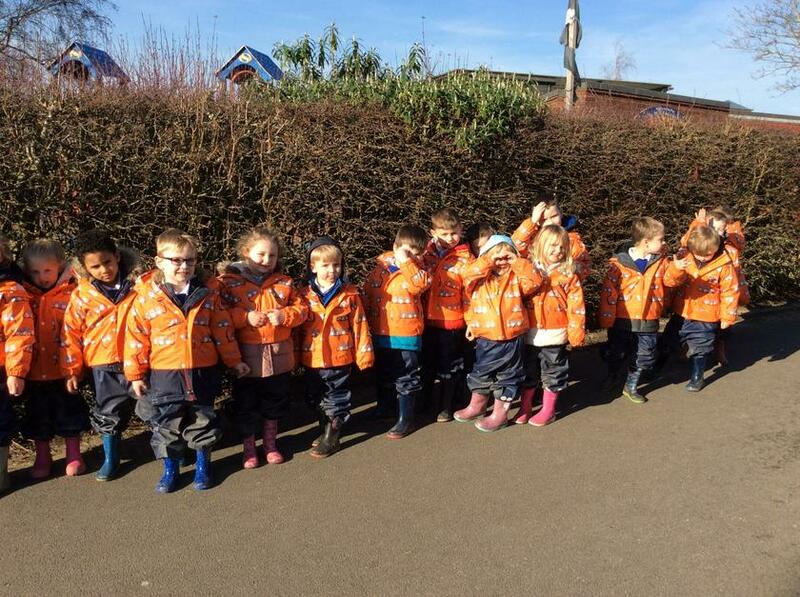 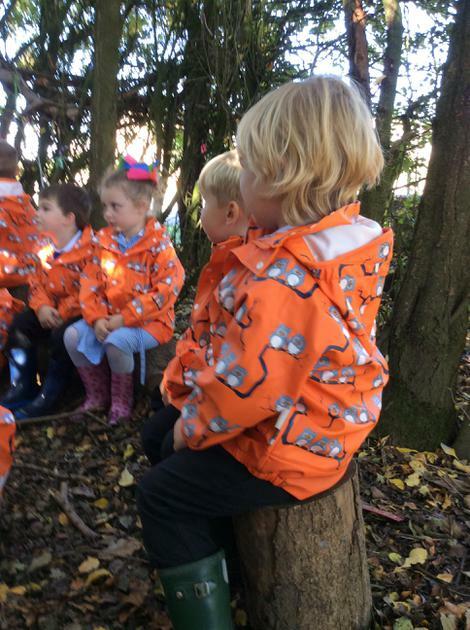 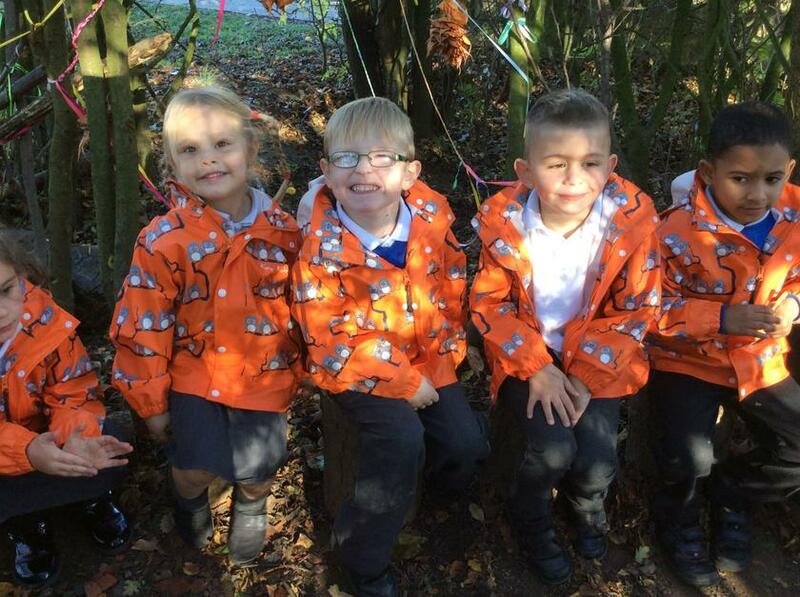 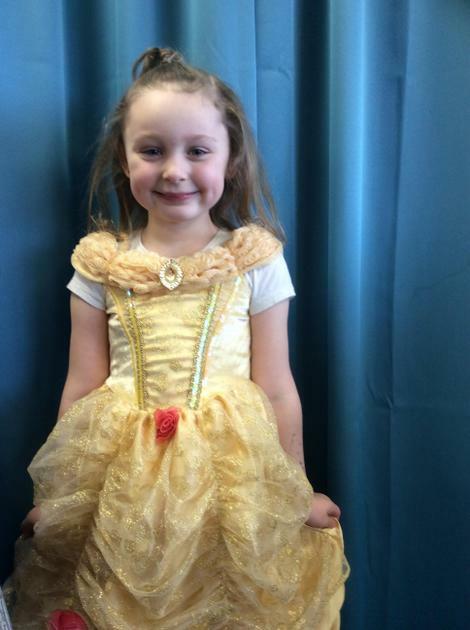 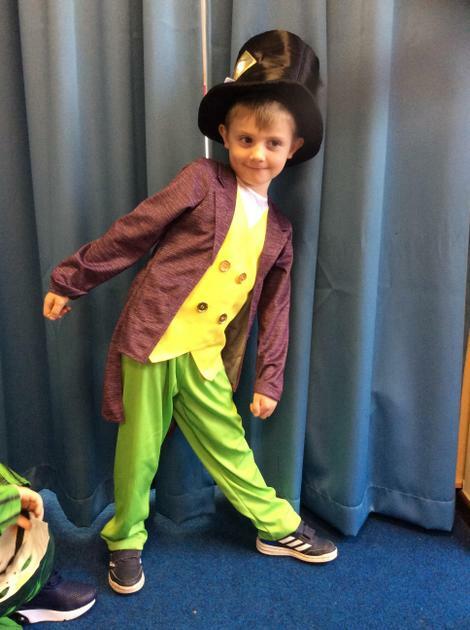 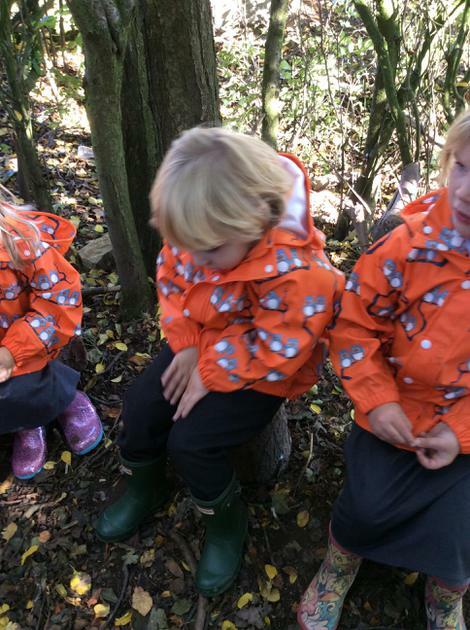 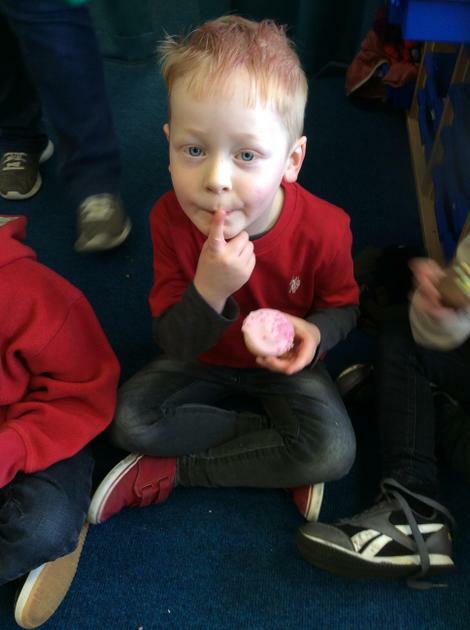 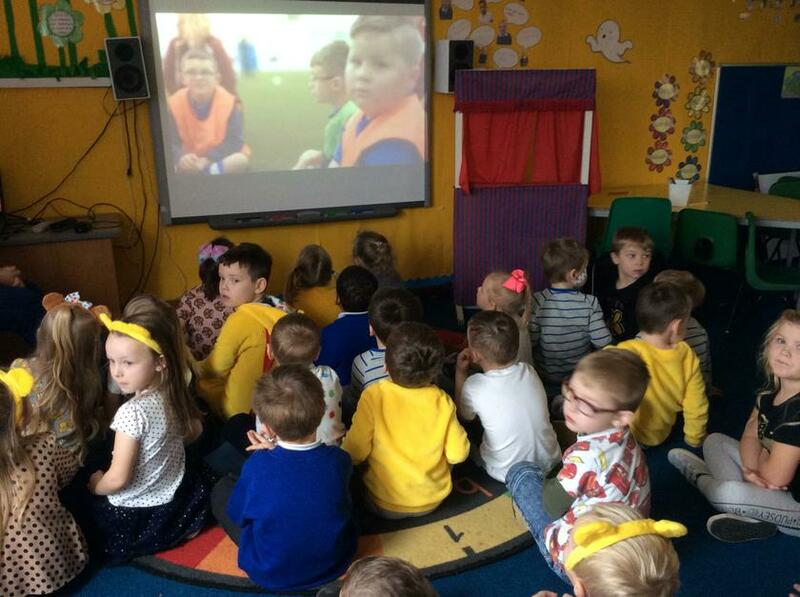 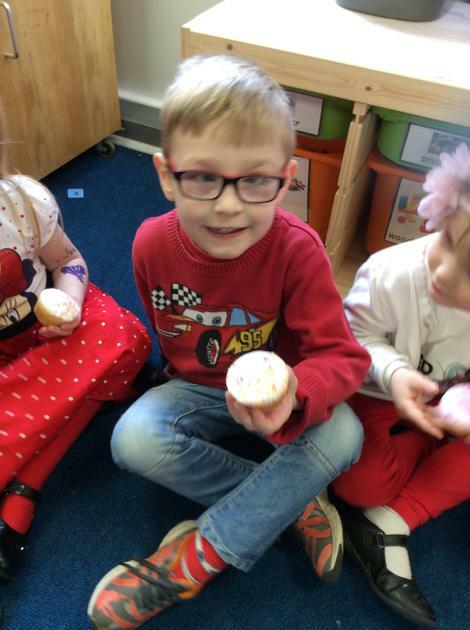 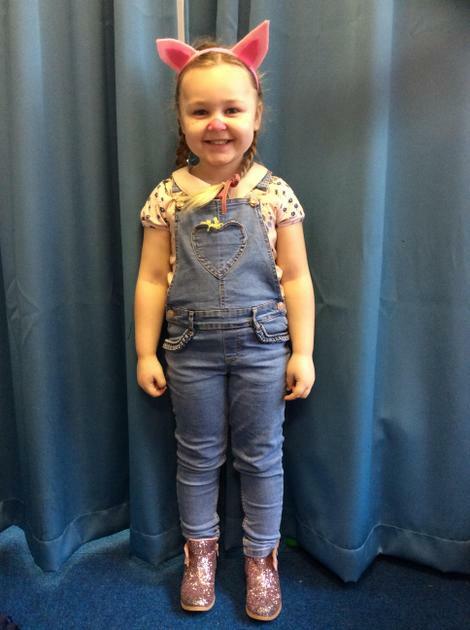 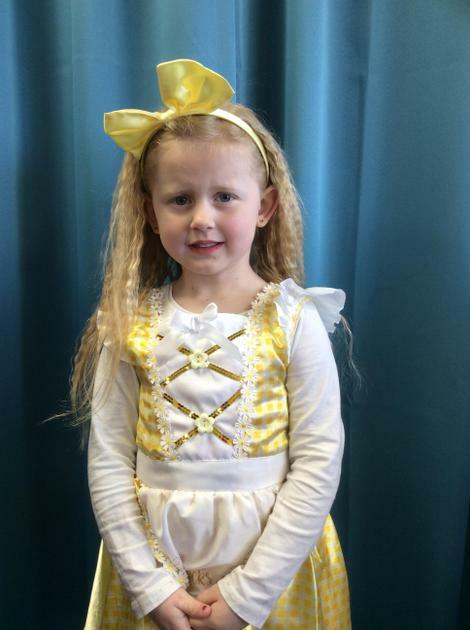 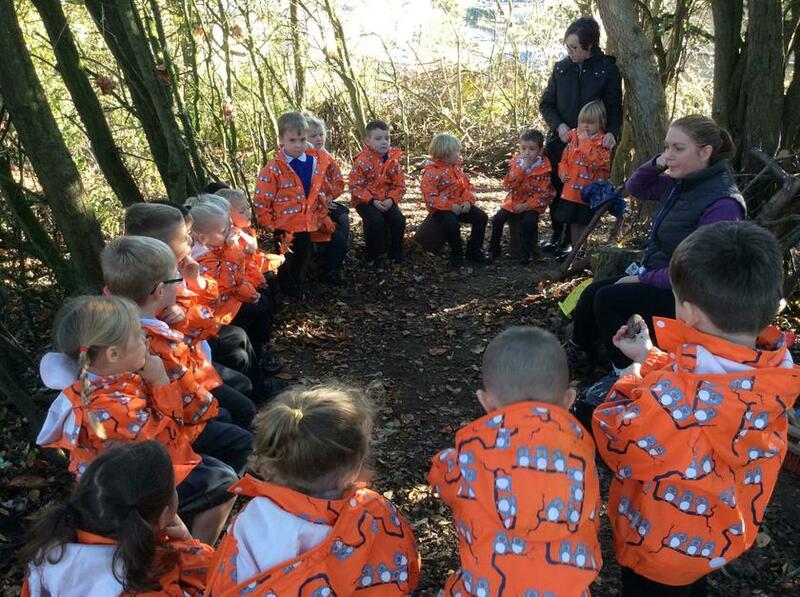 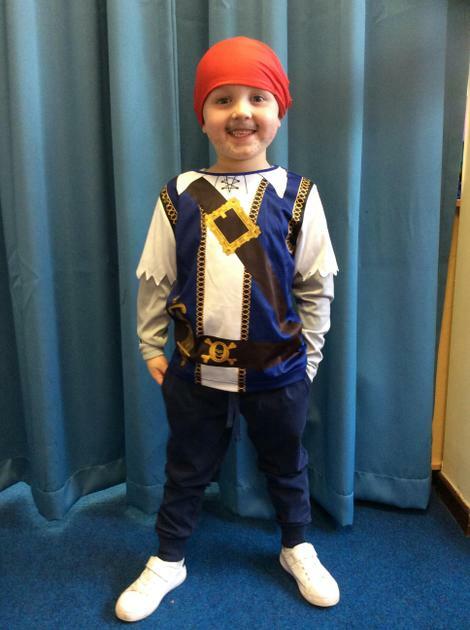 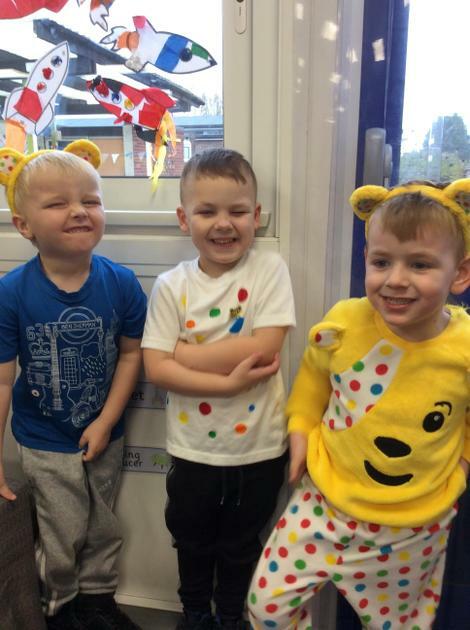 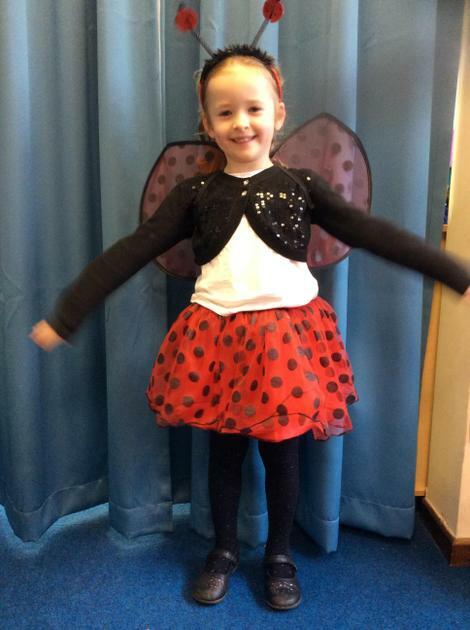 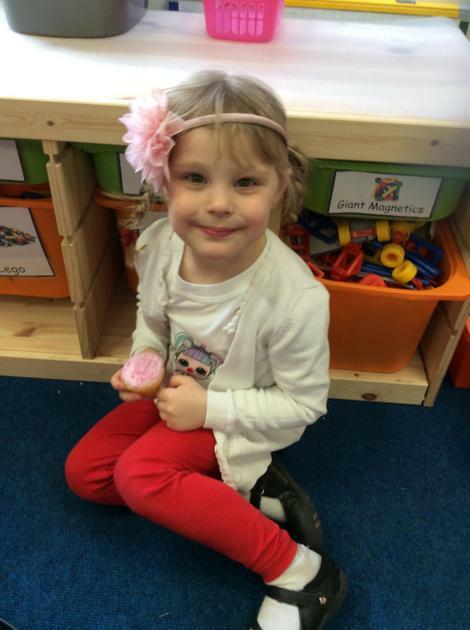 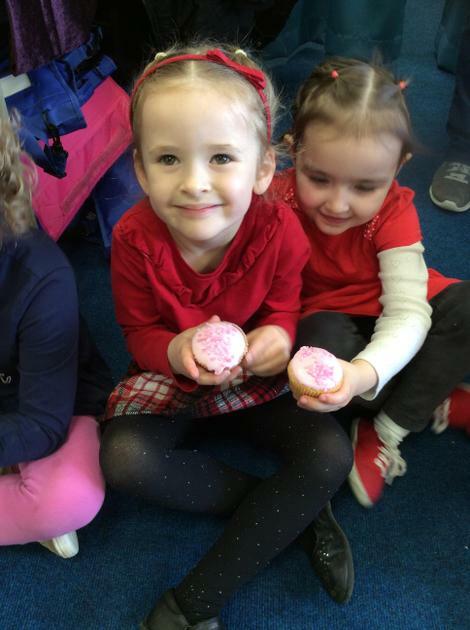 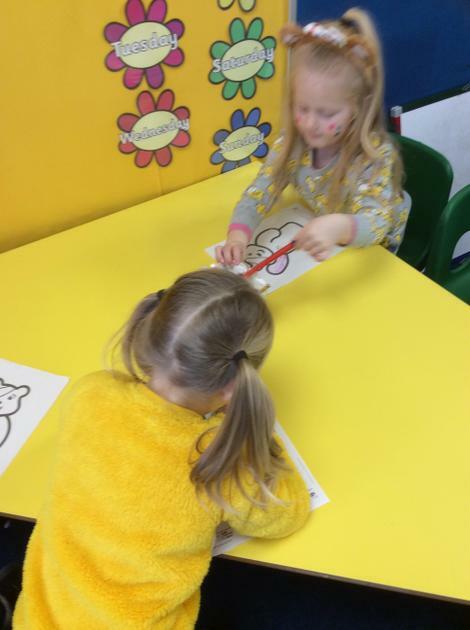 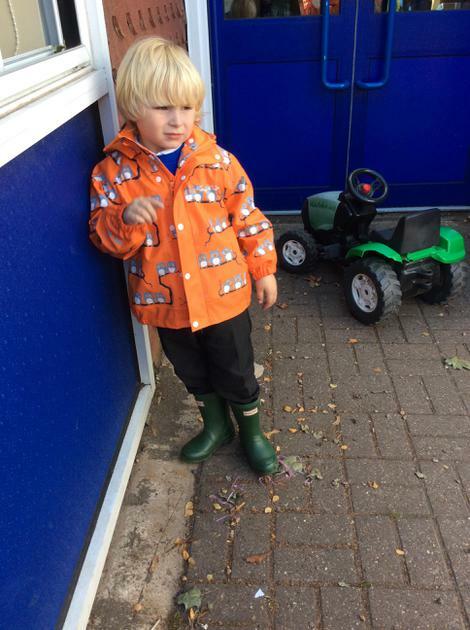 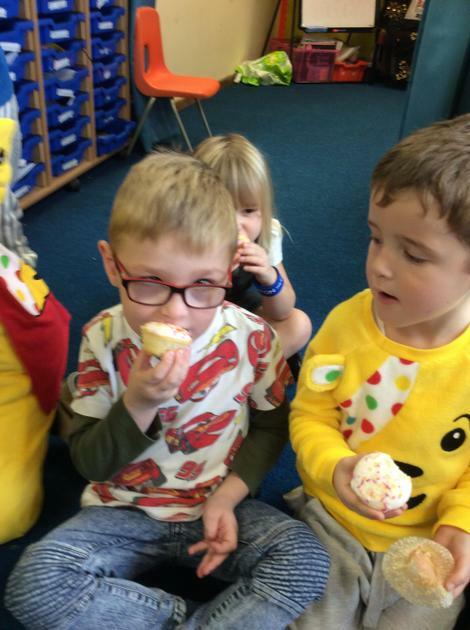 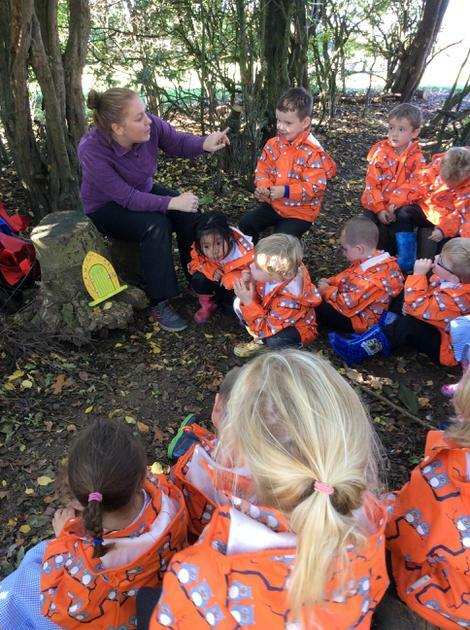 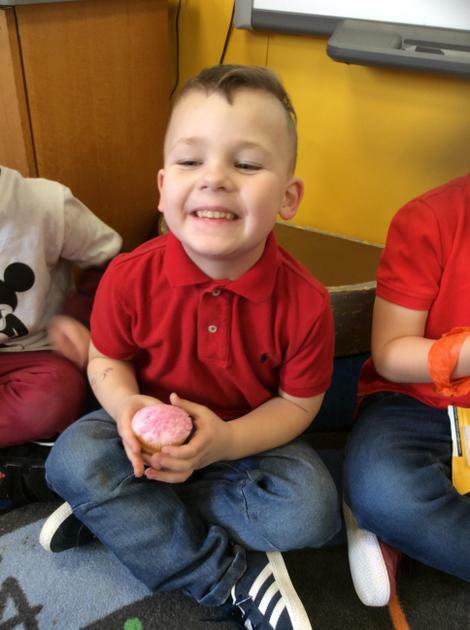 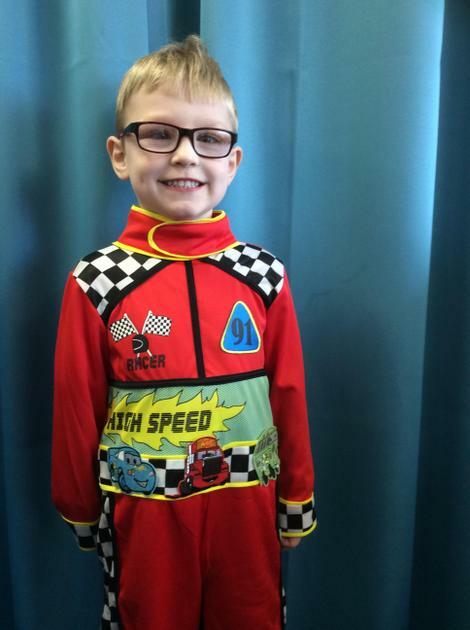 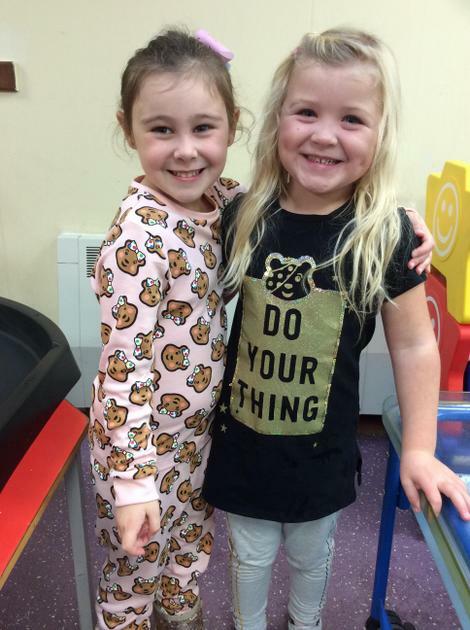 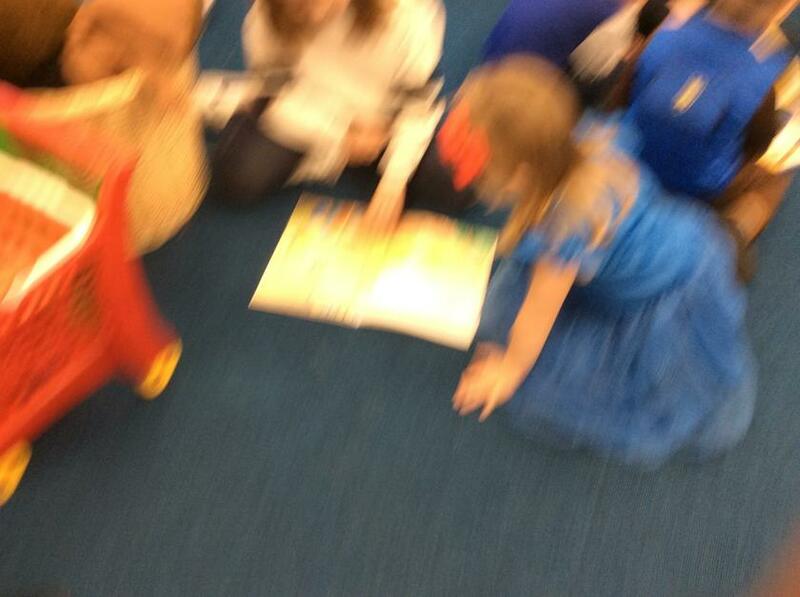 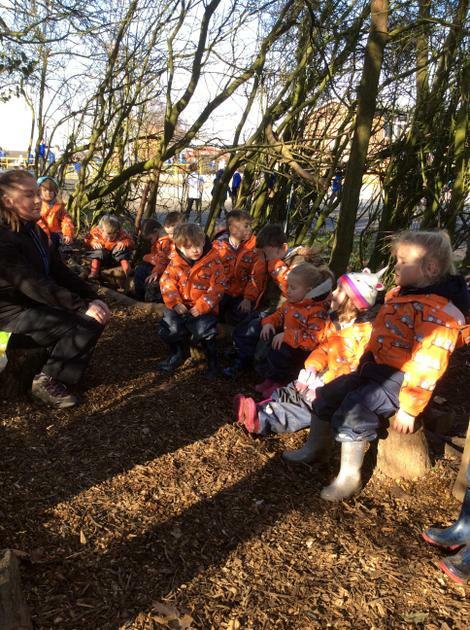 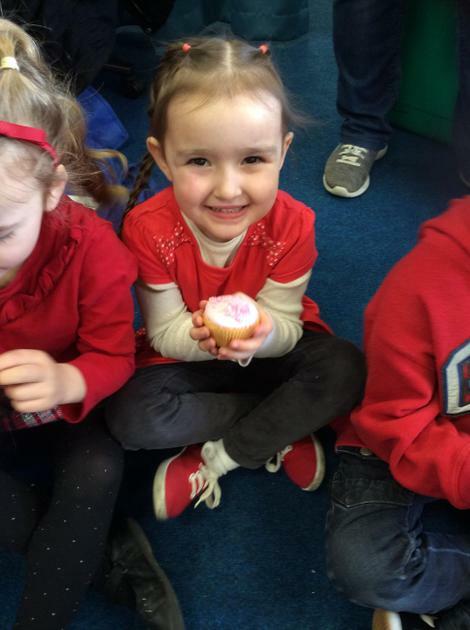 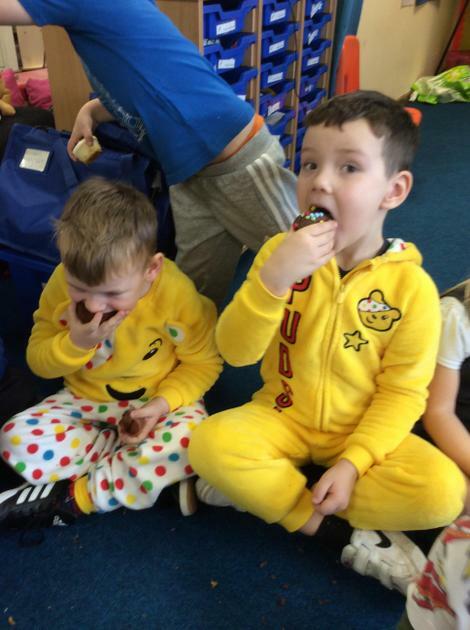 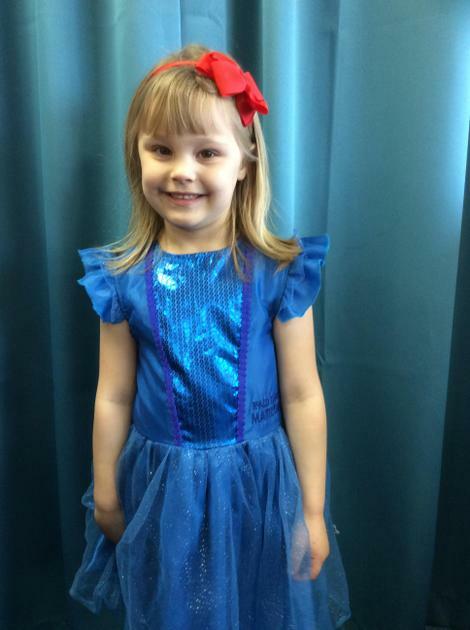 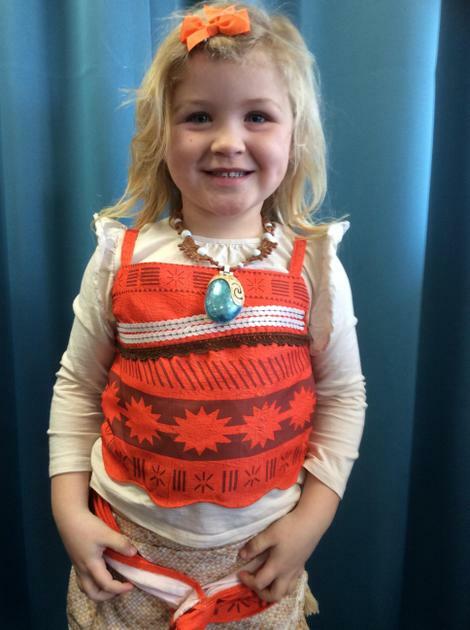 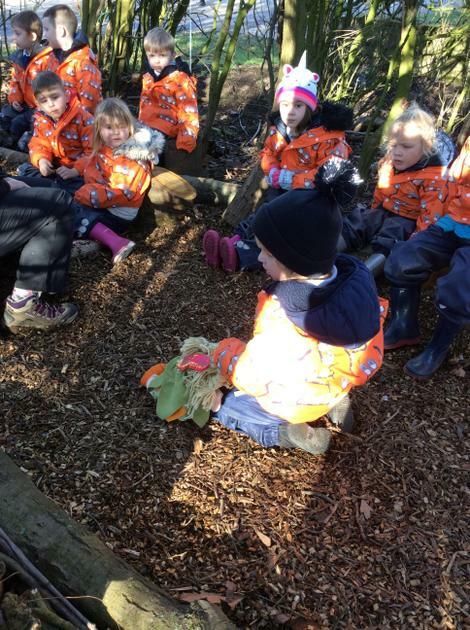 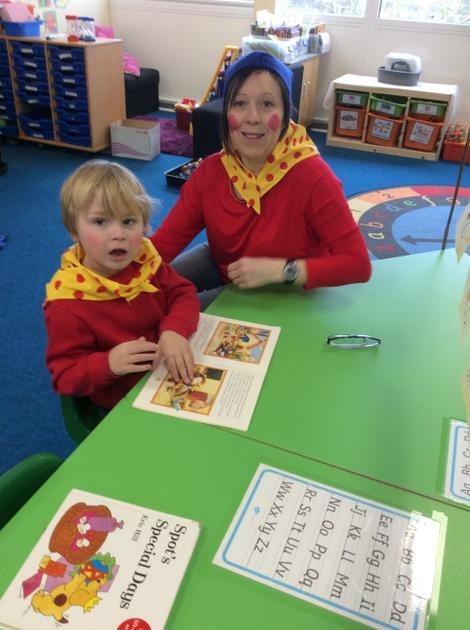 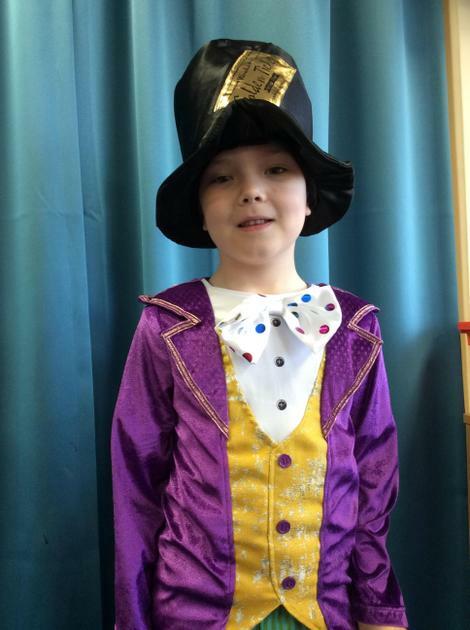 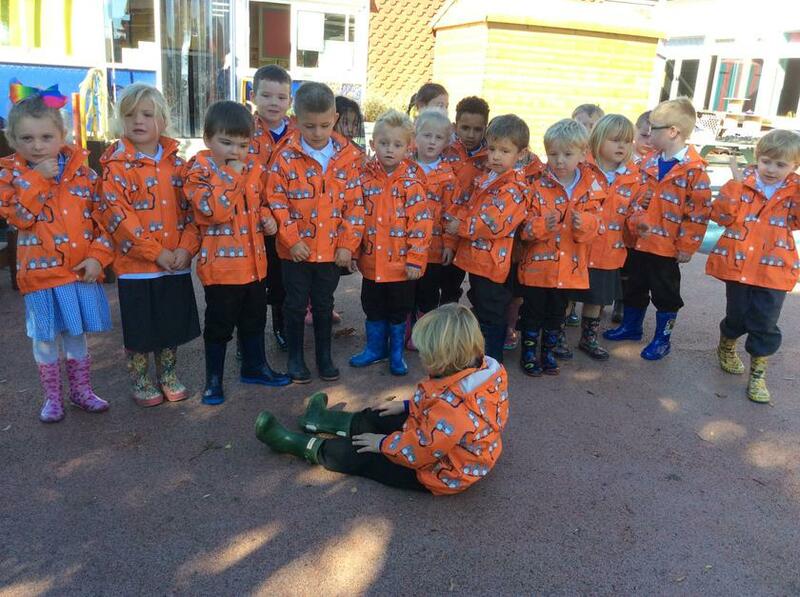 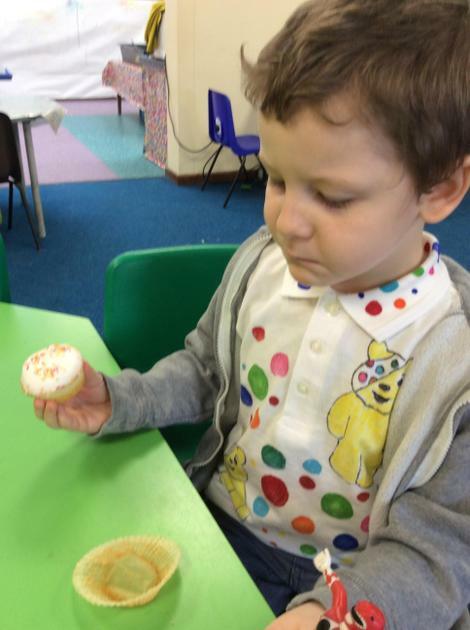 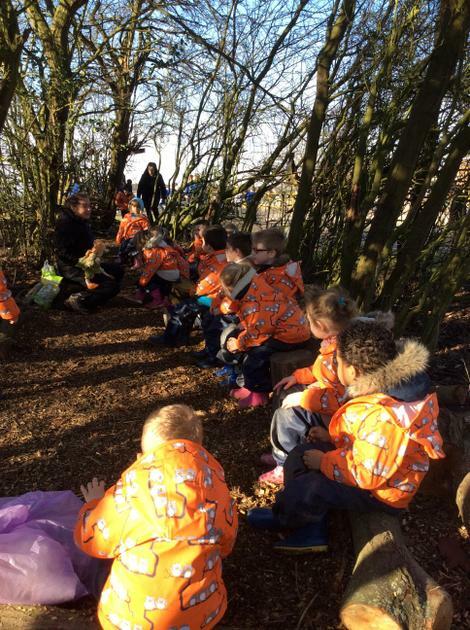 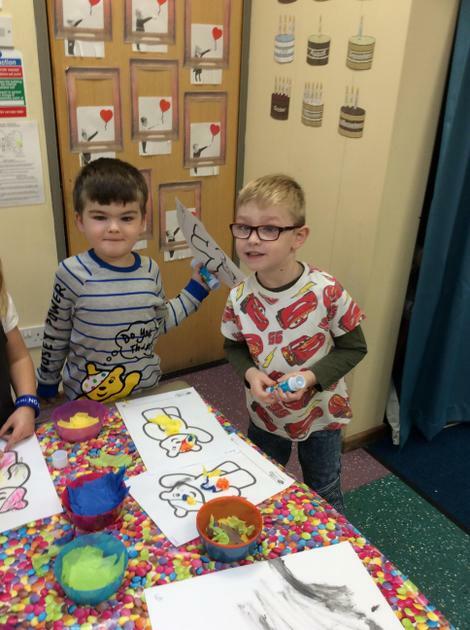 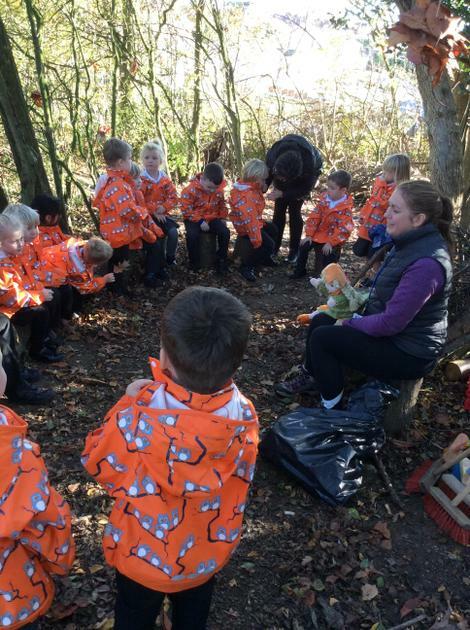 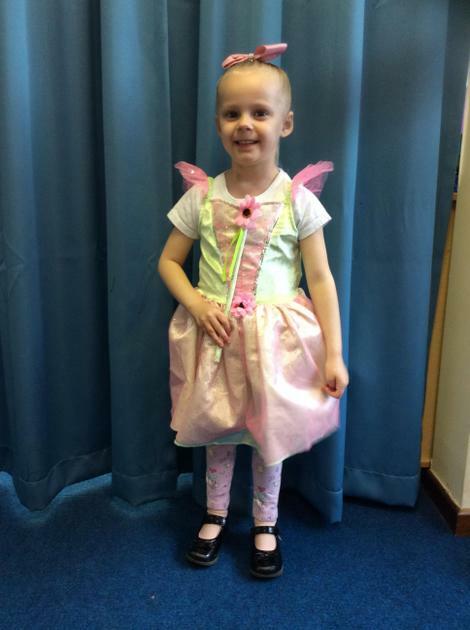 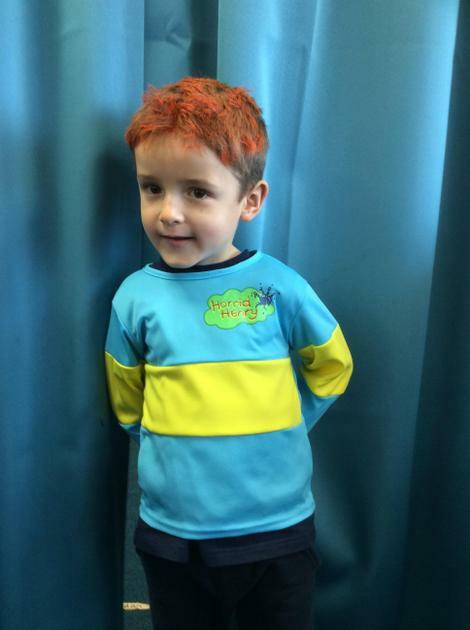 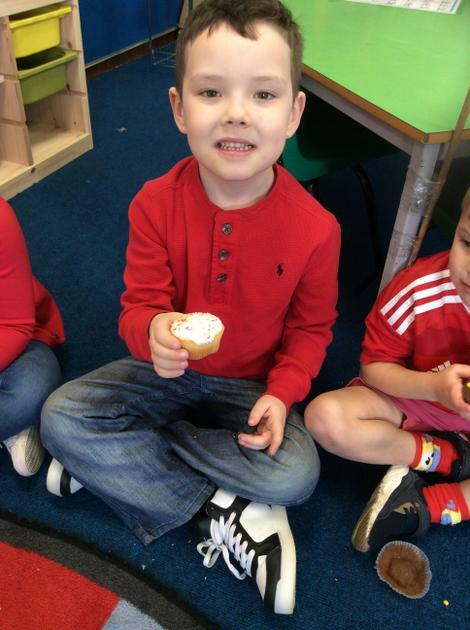 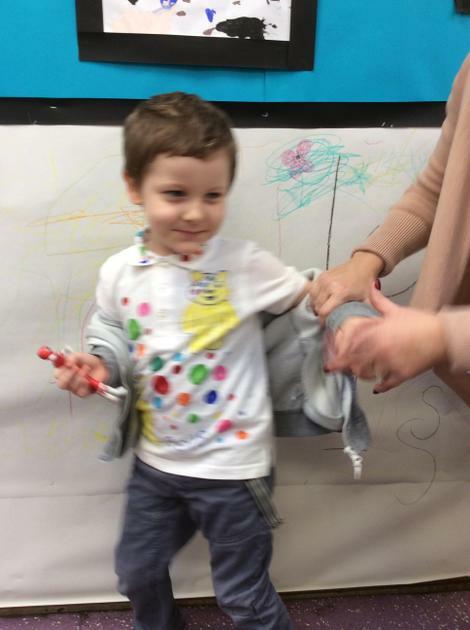 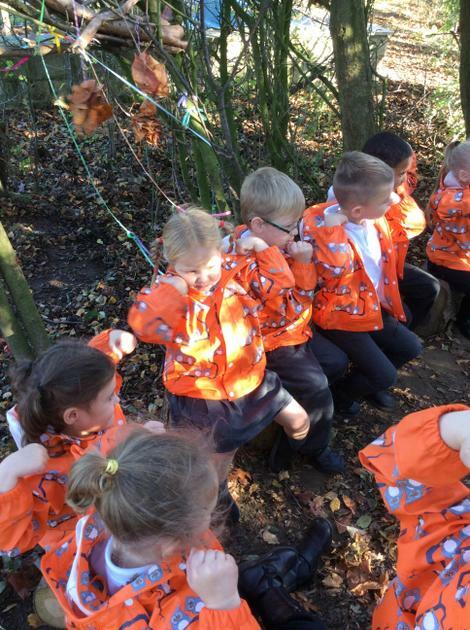 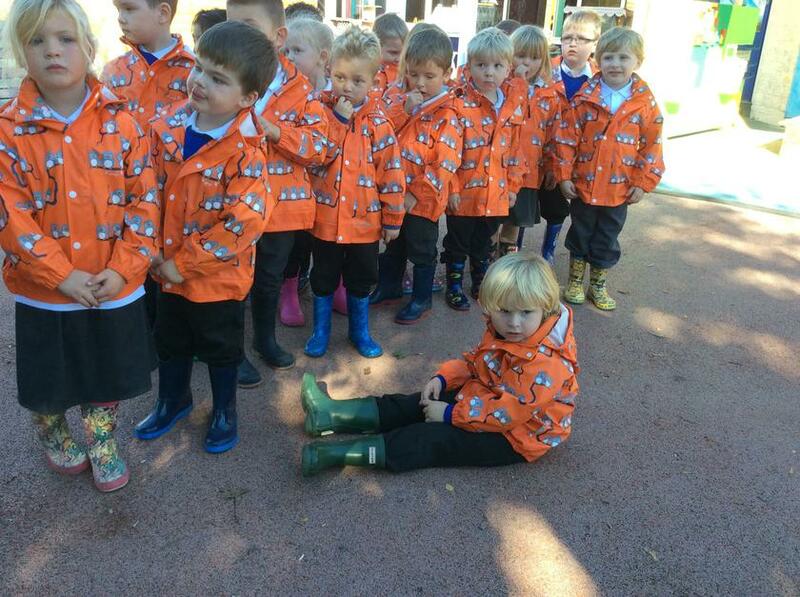 Robin and Goldfinch class are invited to wear lots of bright coloured clothes for the day. 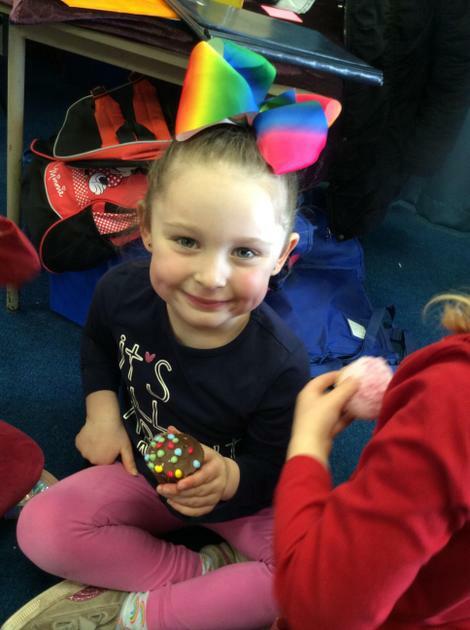 We will be celebrating what is special and unique about us all. 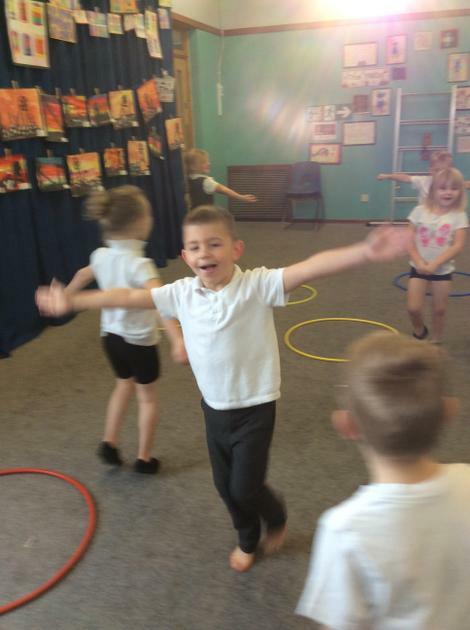 This week is all about settling in, finding our feet and having fun! 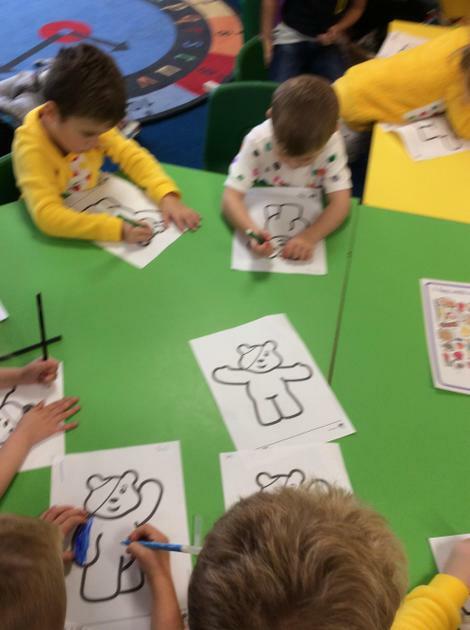 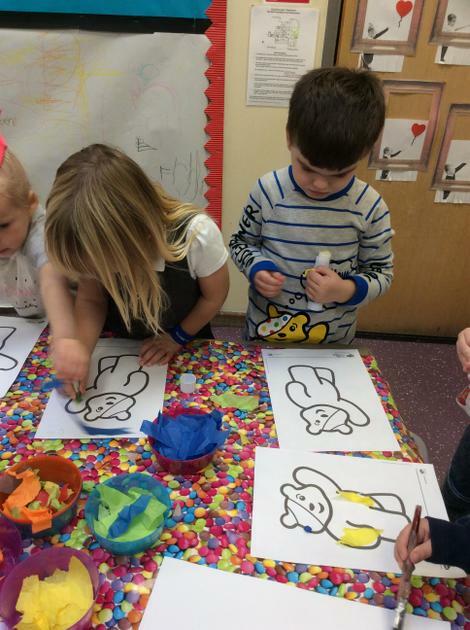 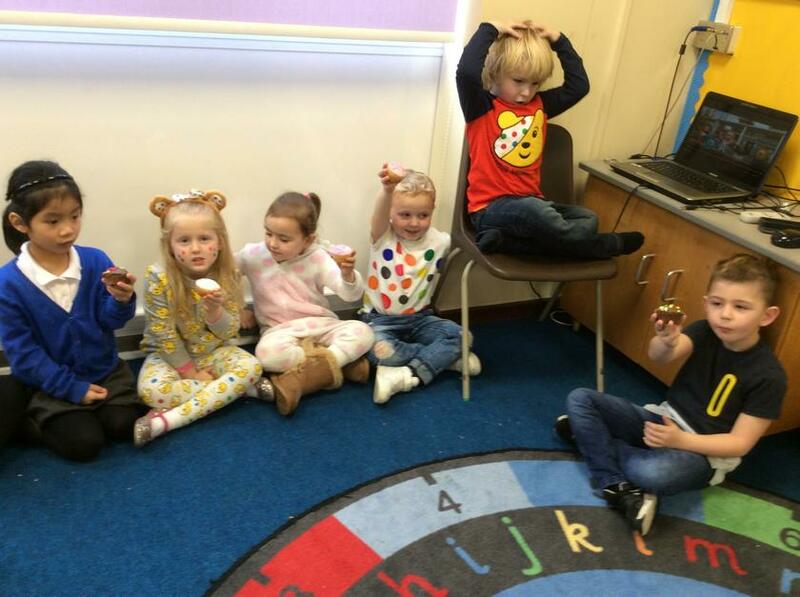 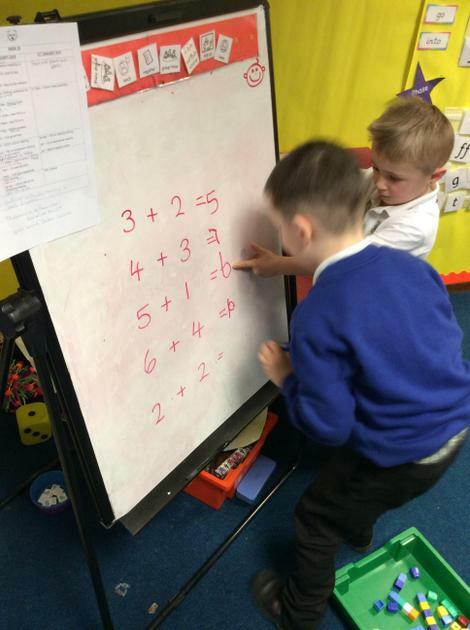 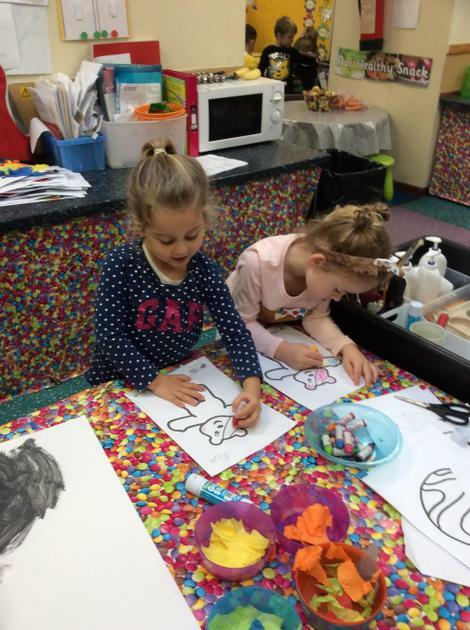 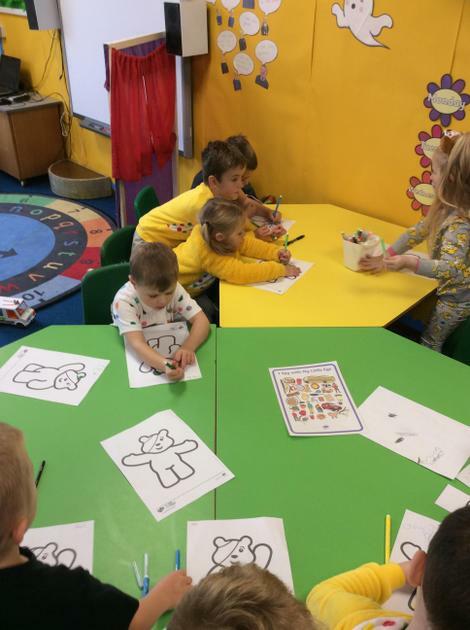 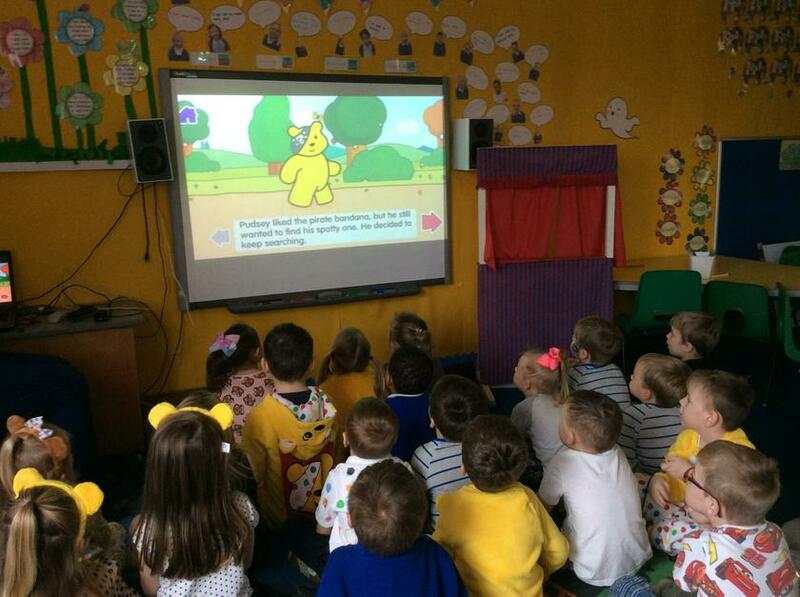 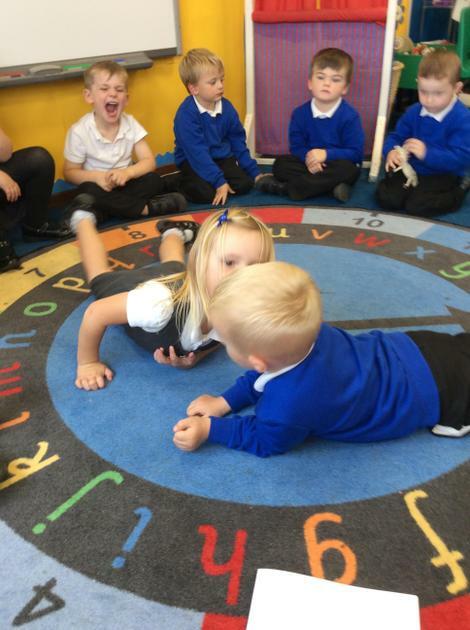 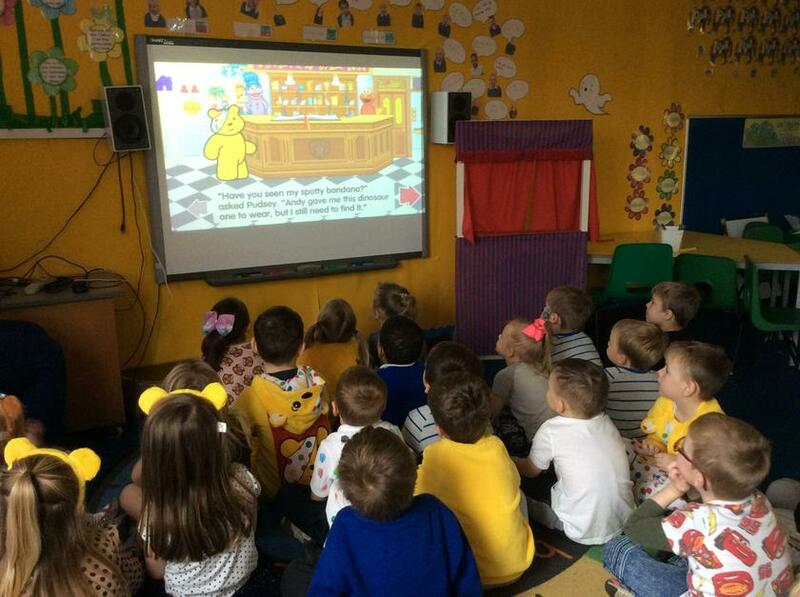 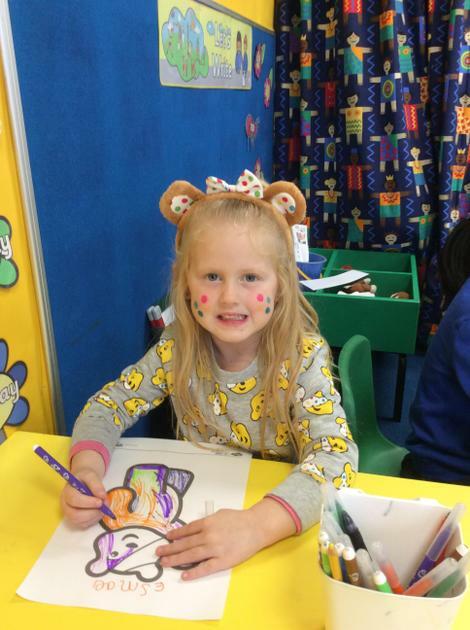 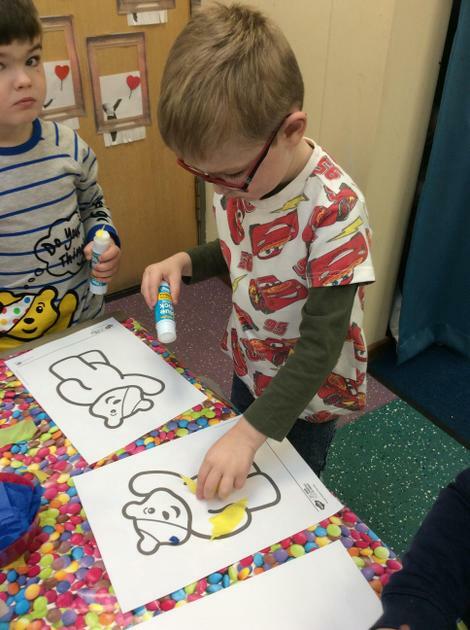 We are already being very busy and learning how to be Fabulous F2s!